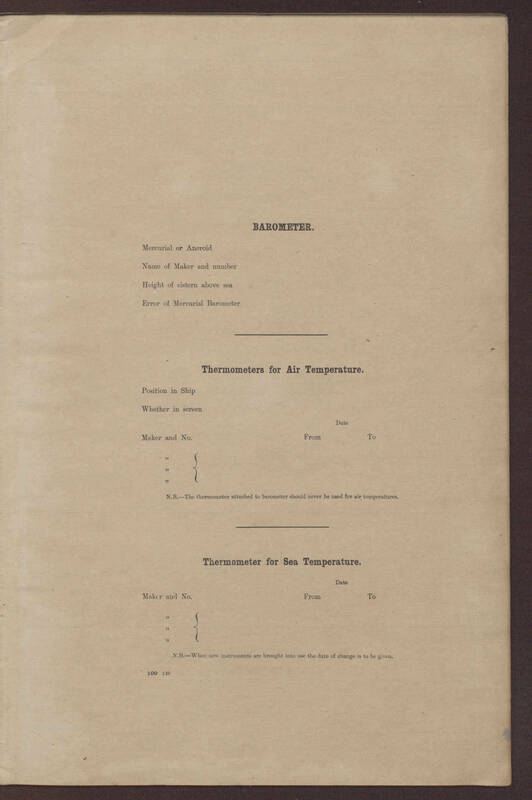 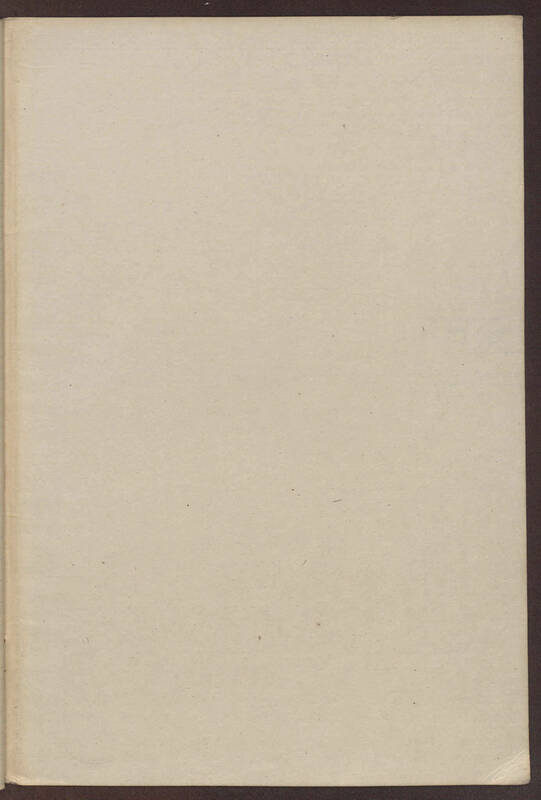 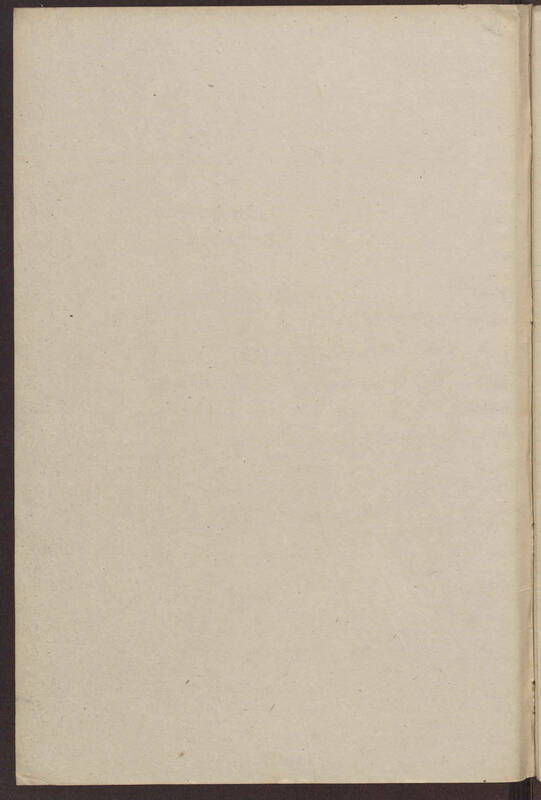 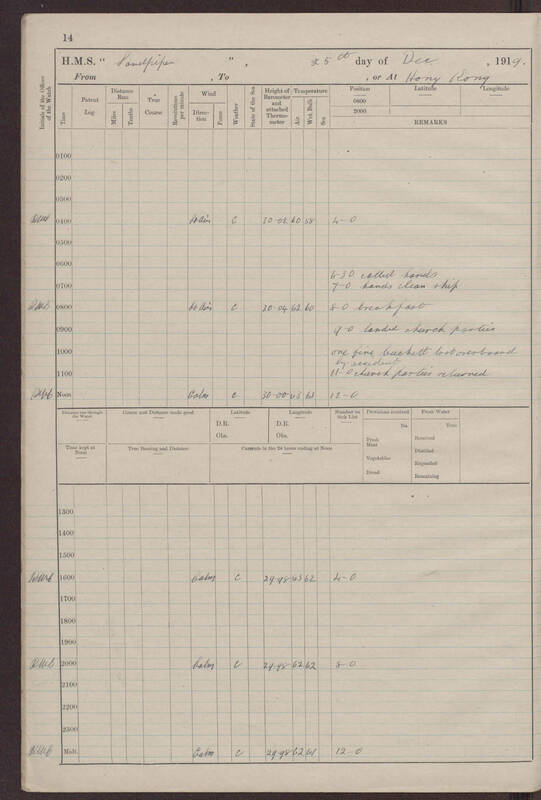 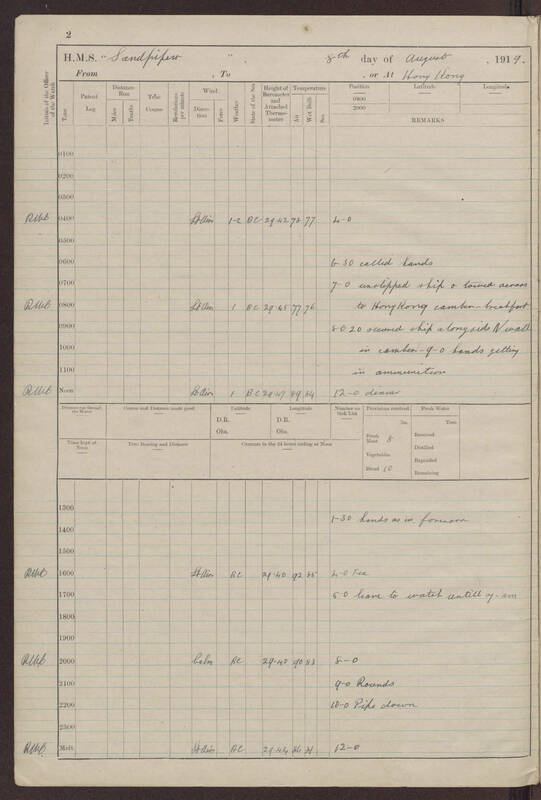 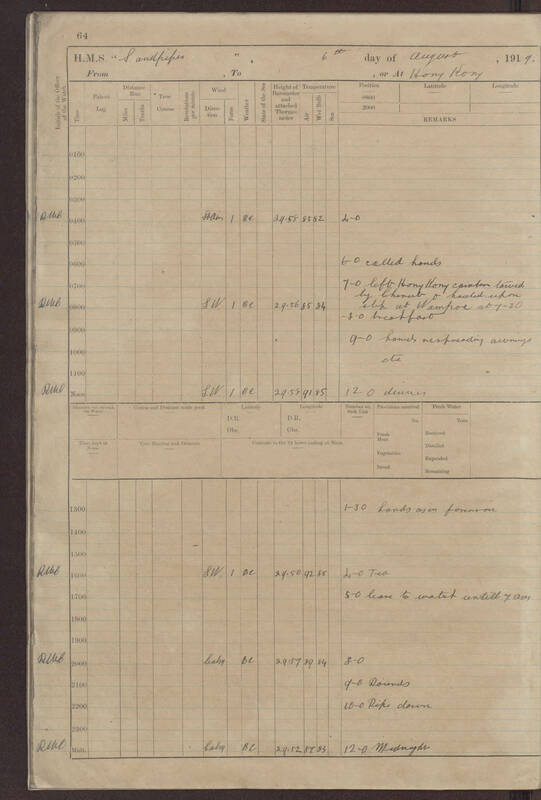 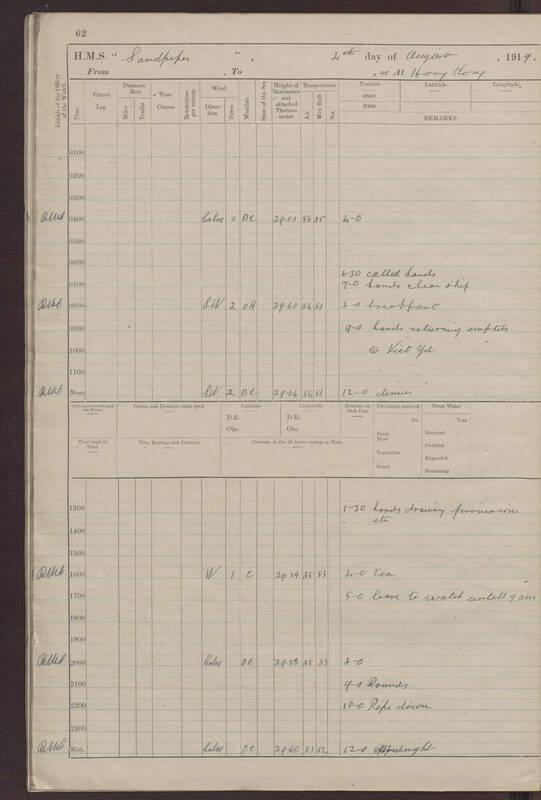 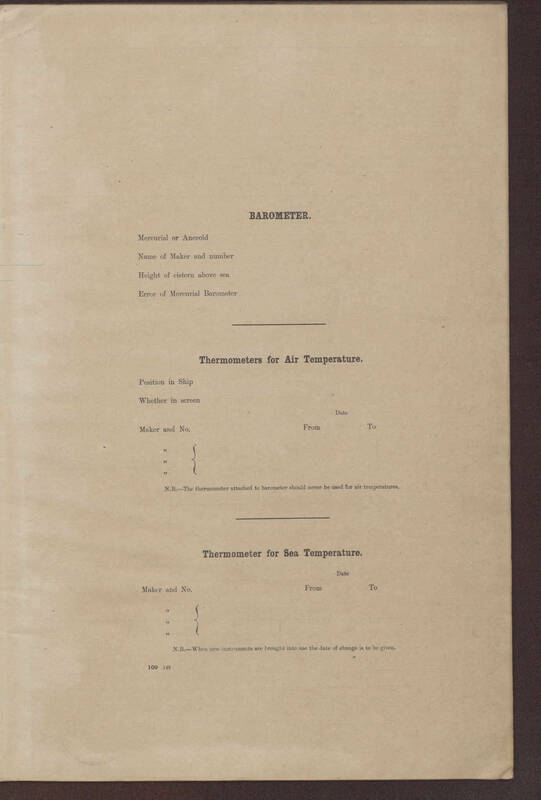 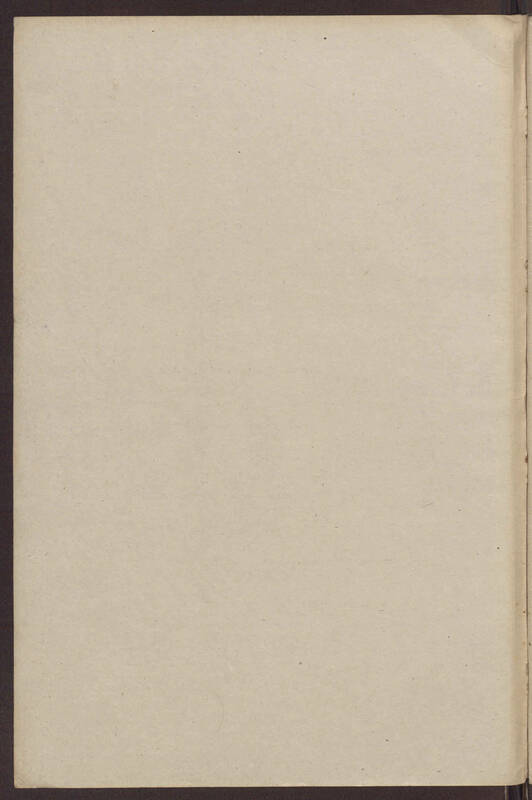 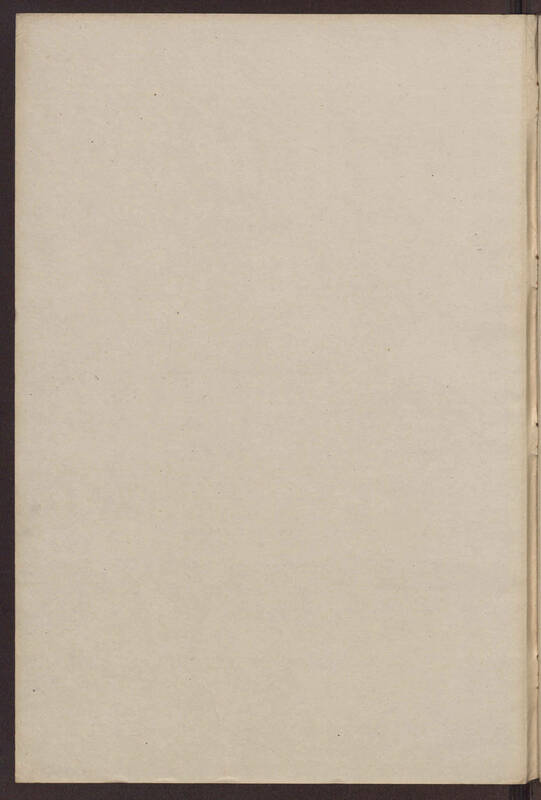 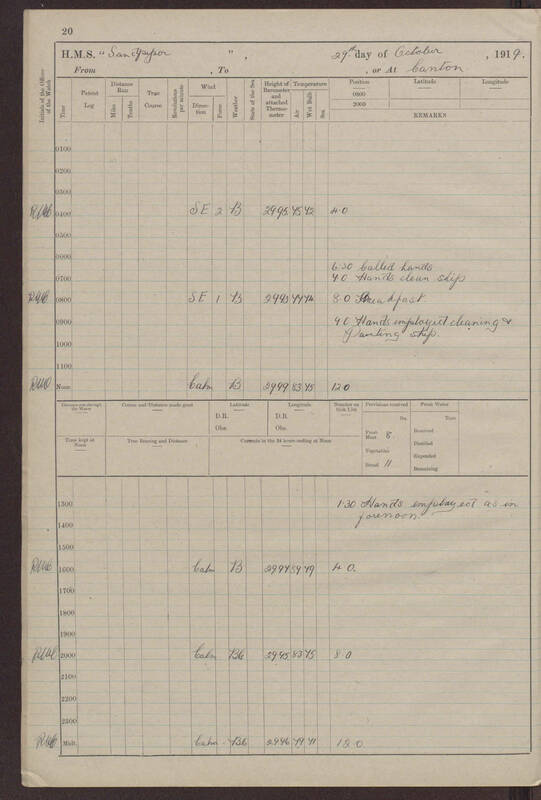 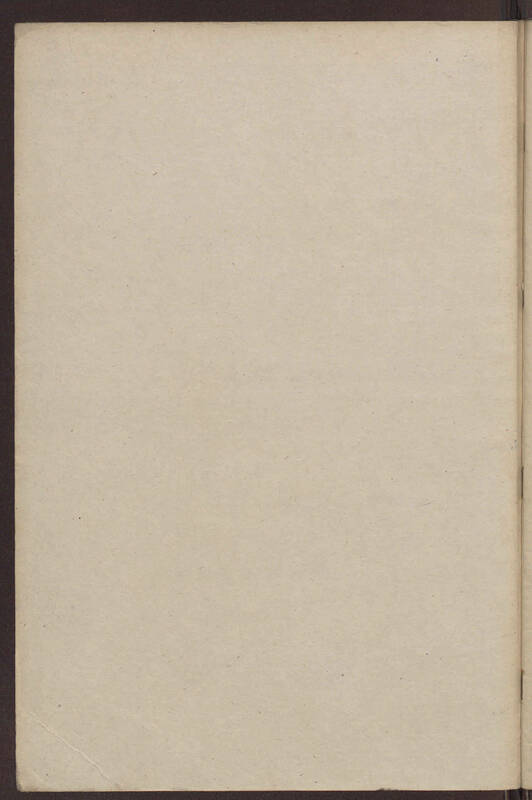 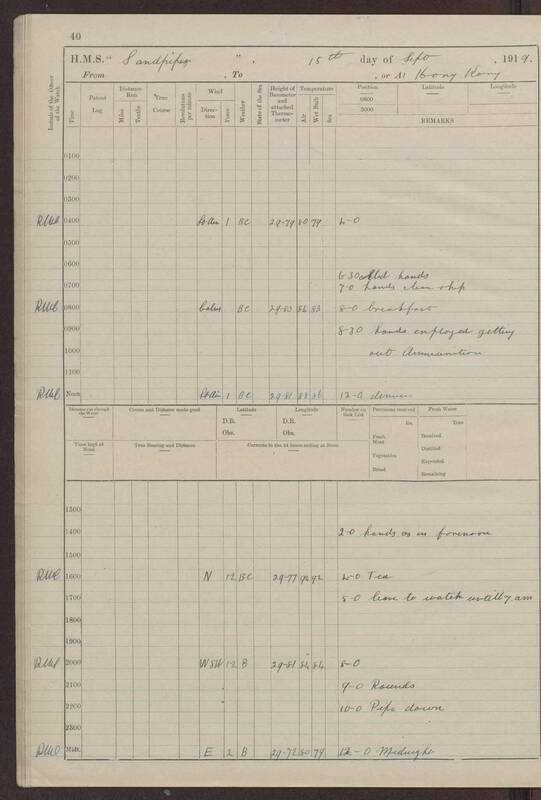 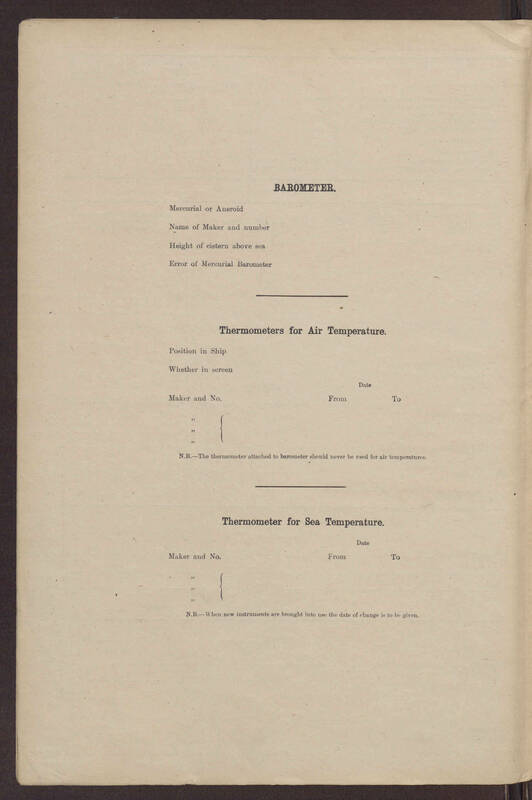 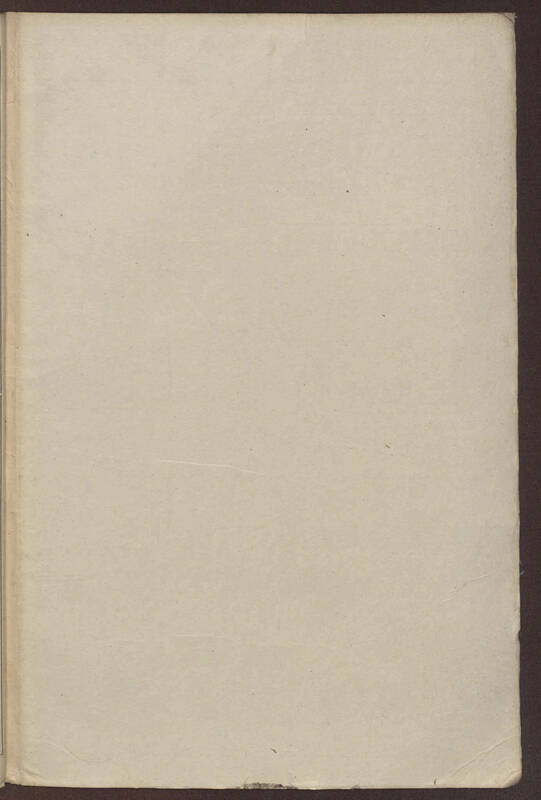 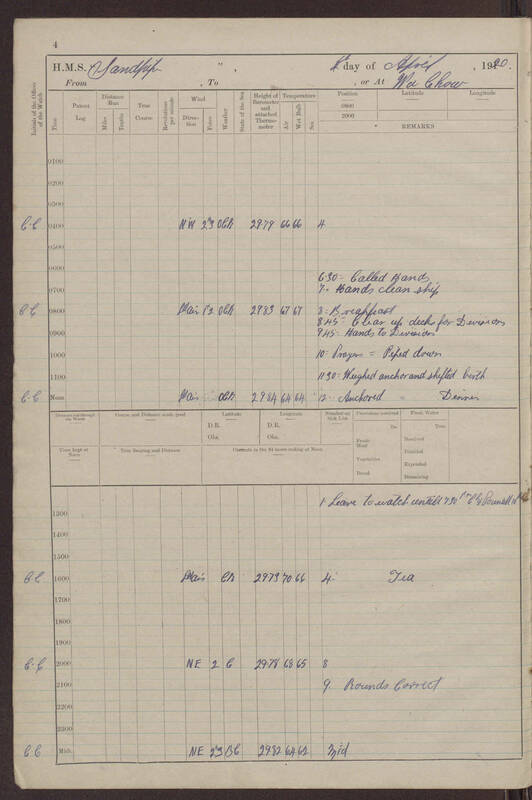 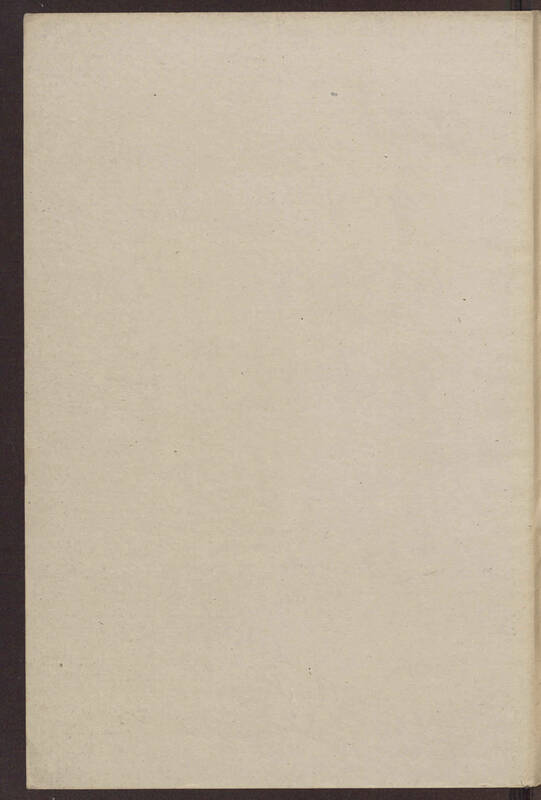 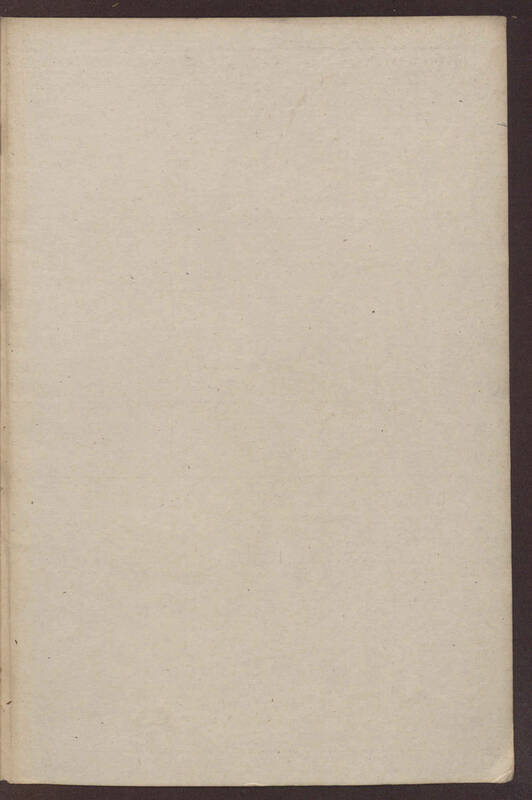 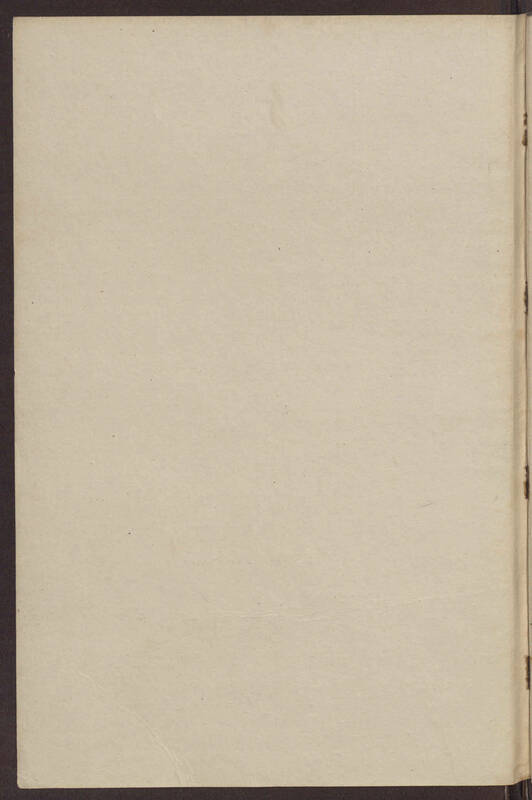 The logbook naval events have been formatted but not edited. 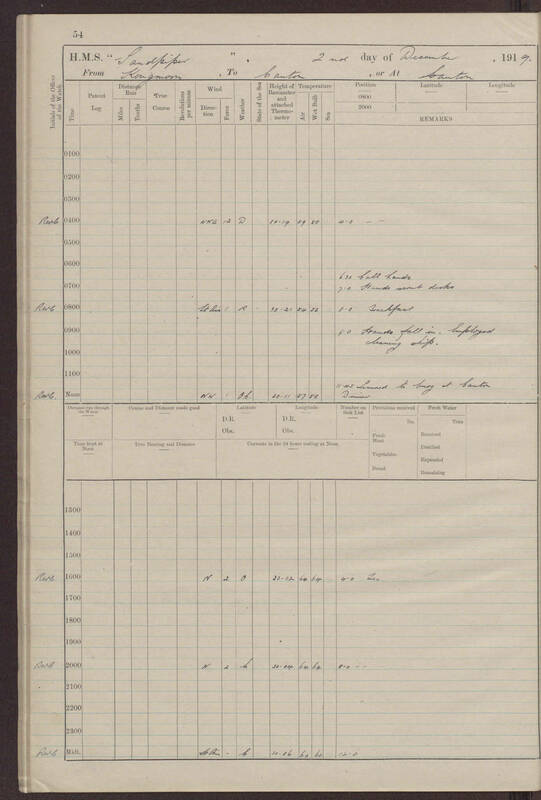 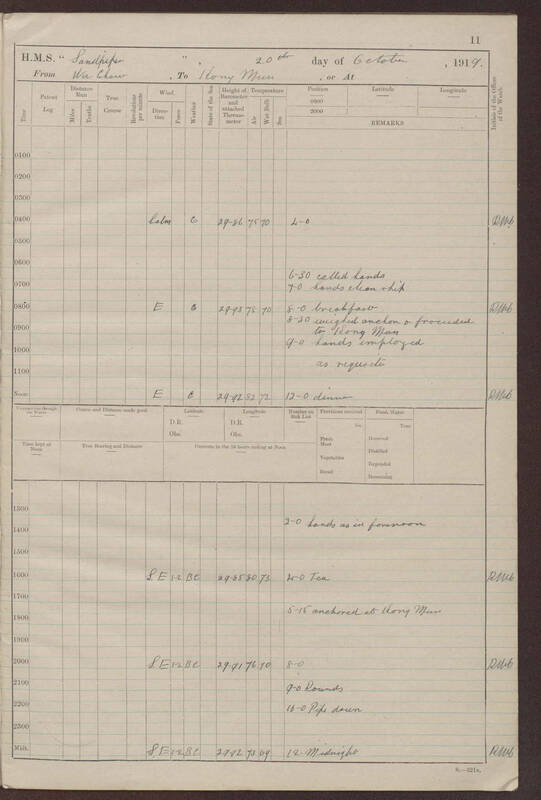 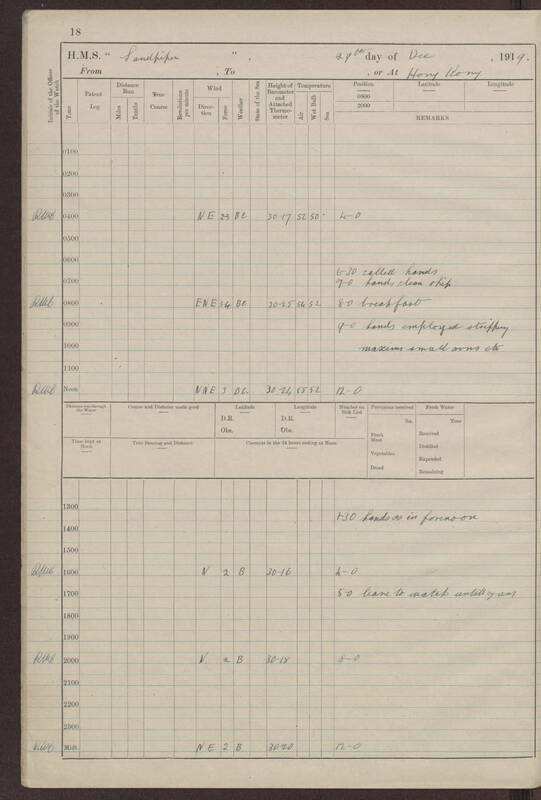 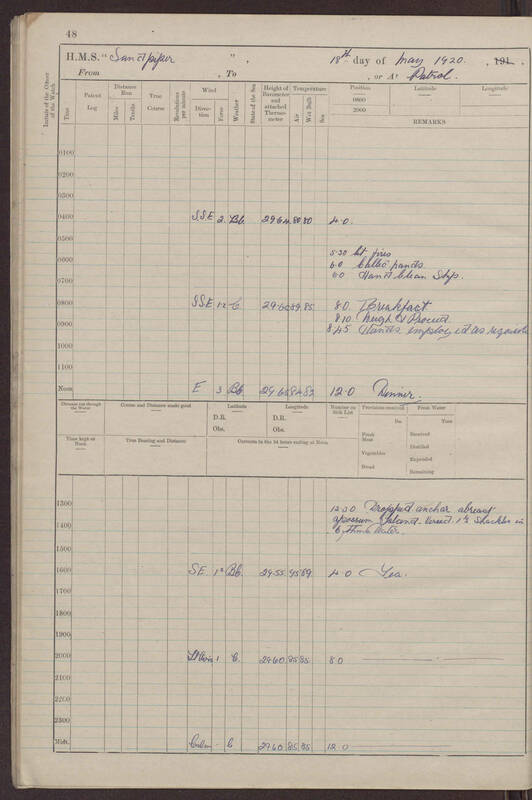 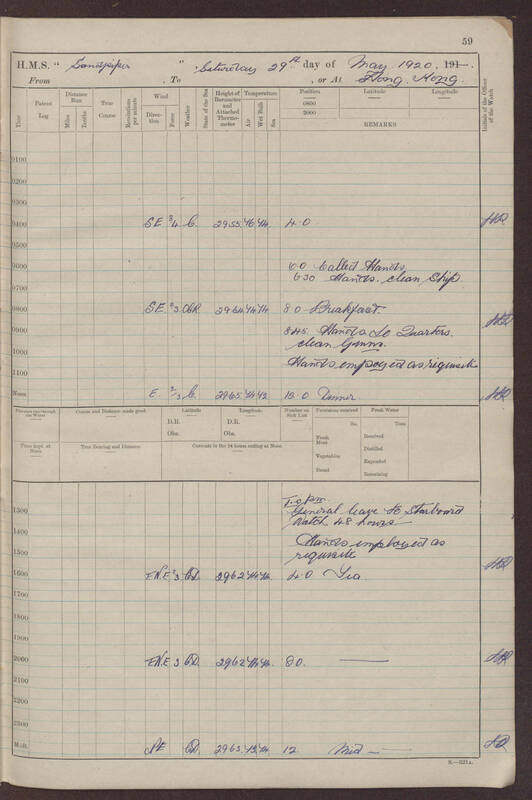 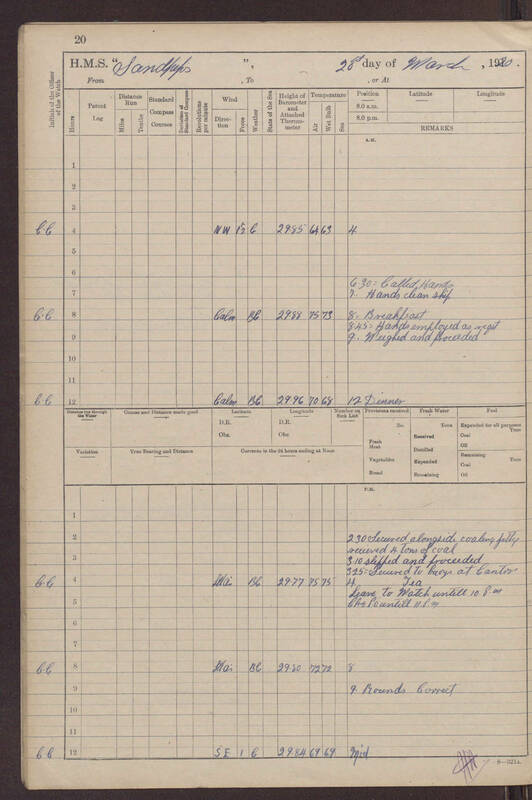 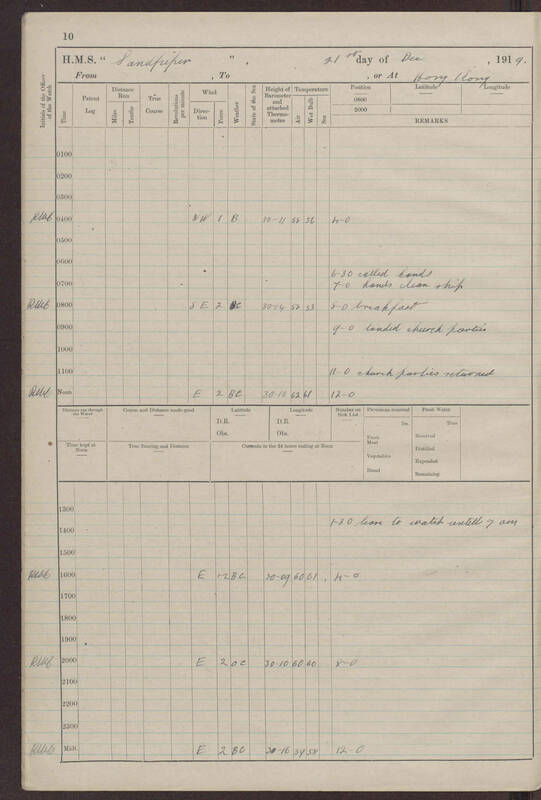 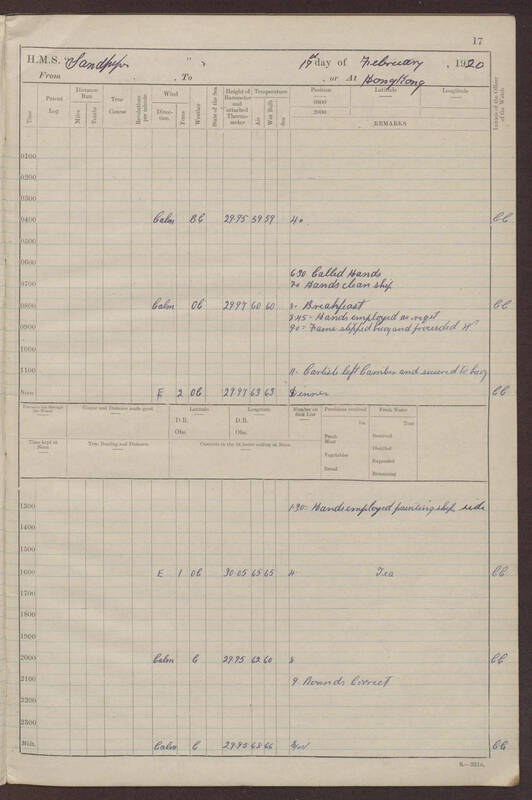 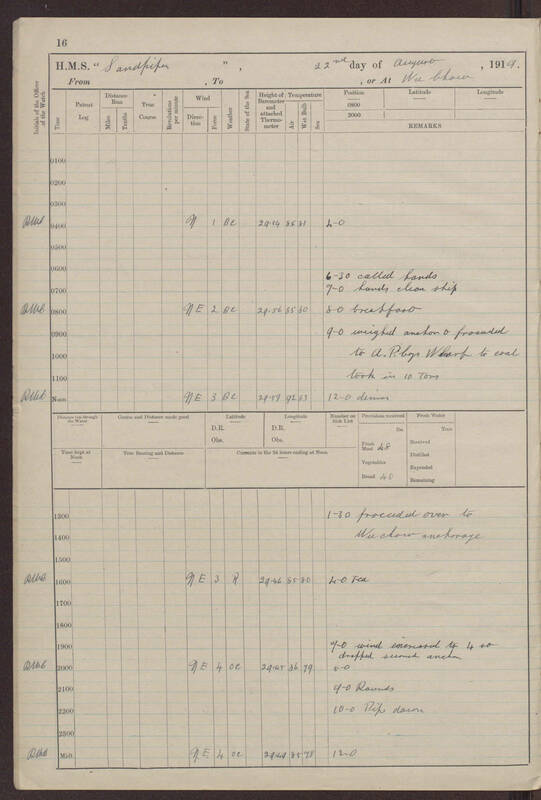 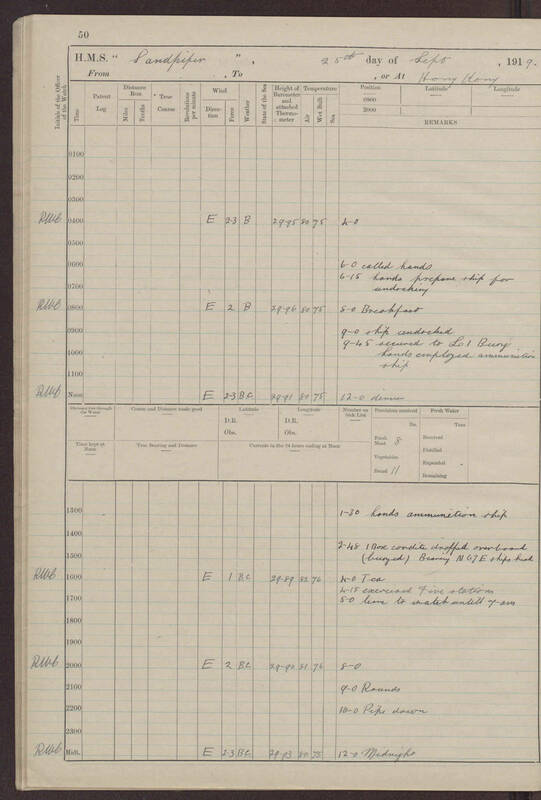 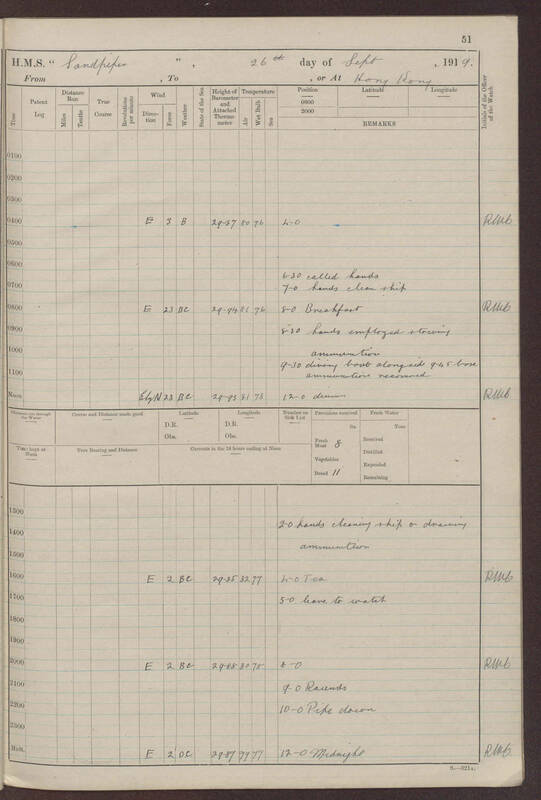 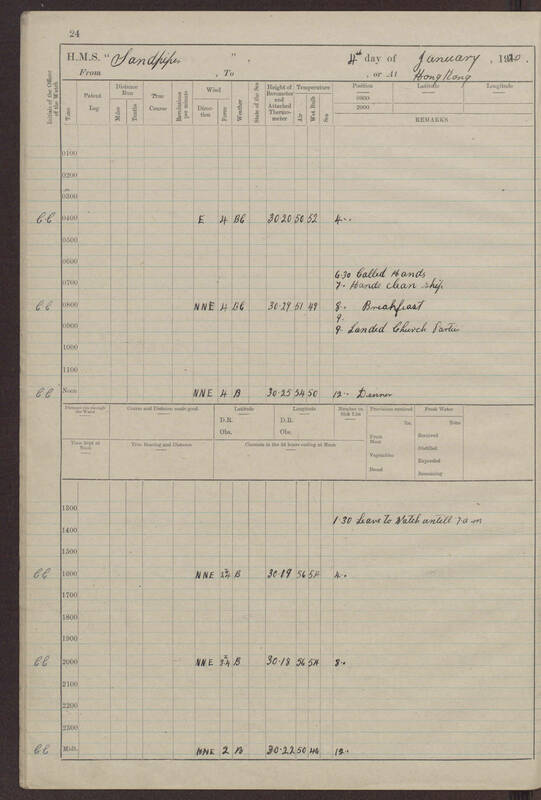 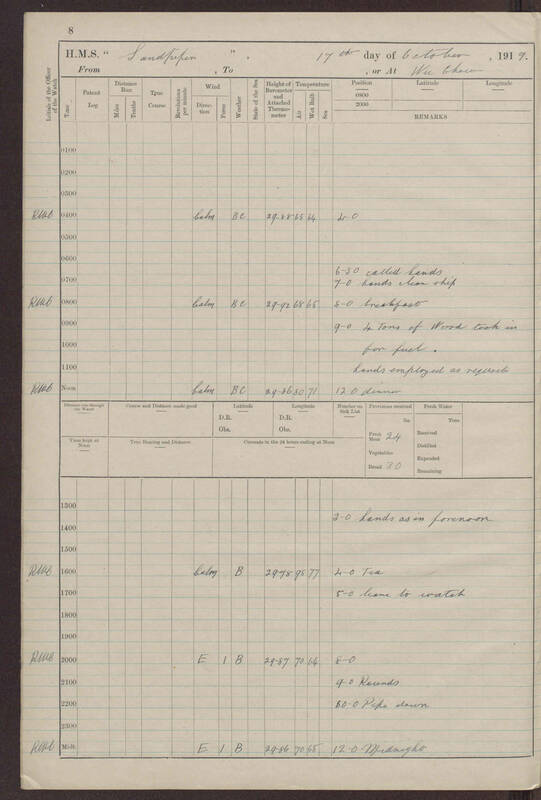 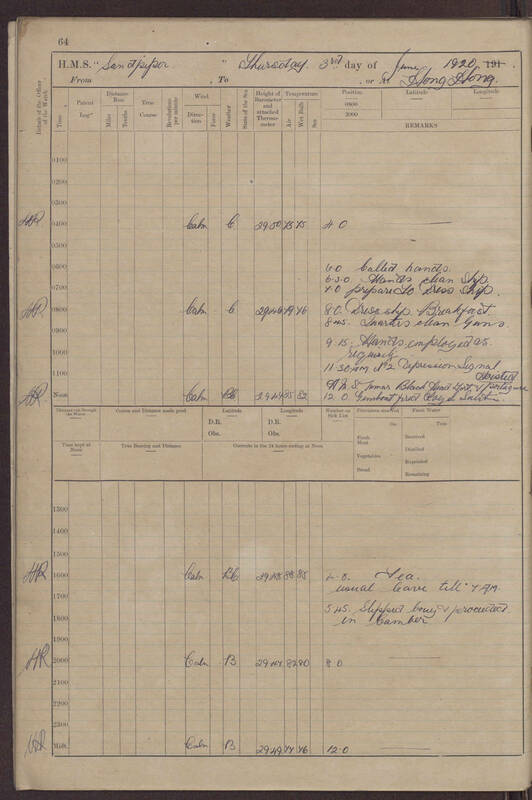 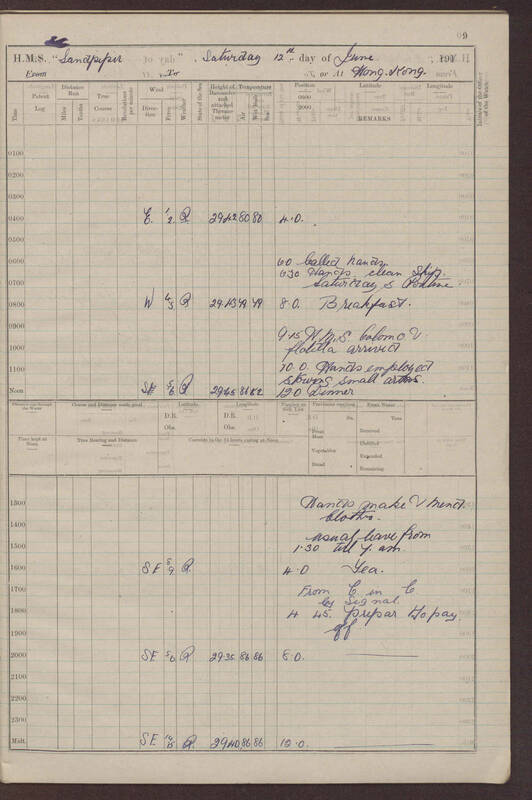 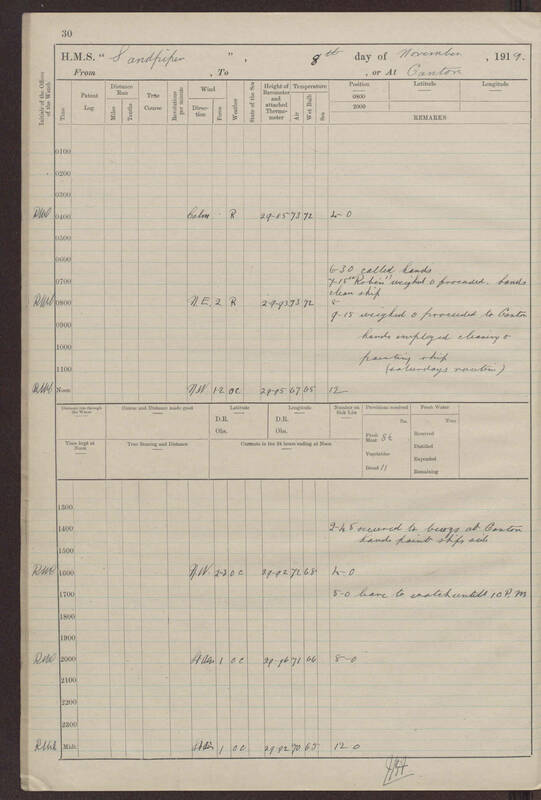 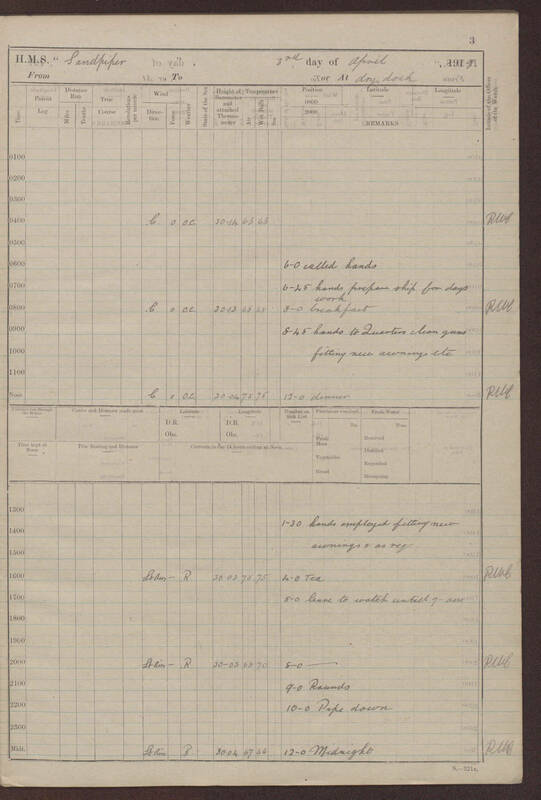 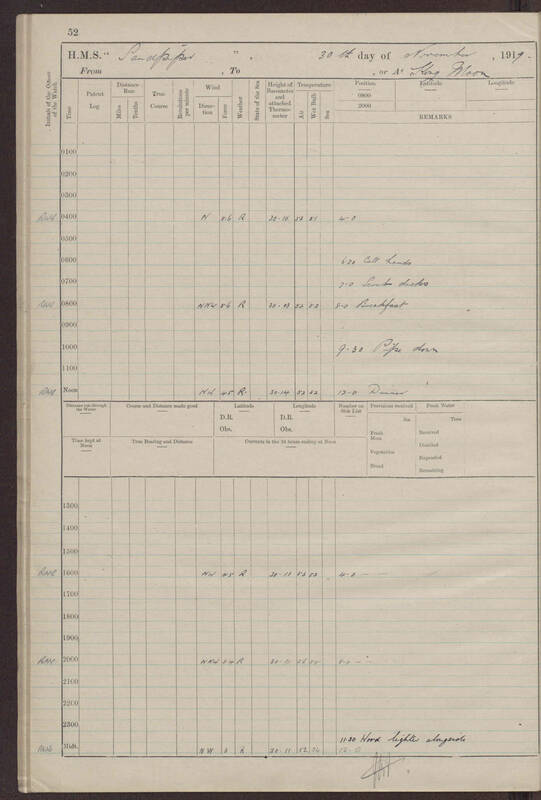 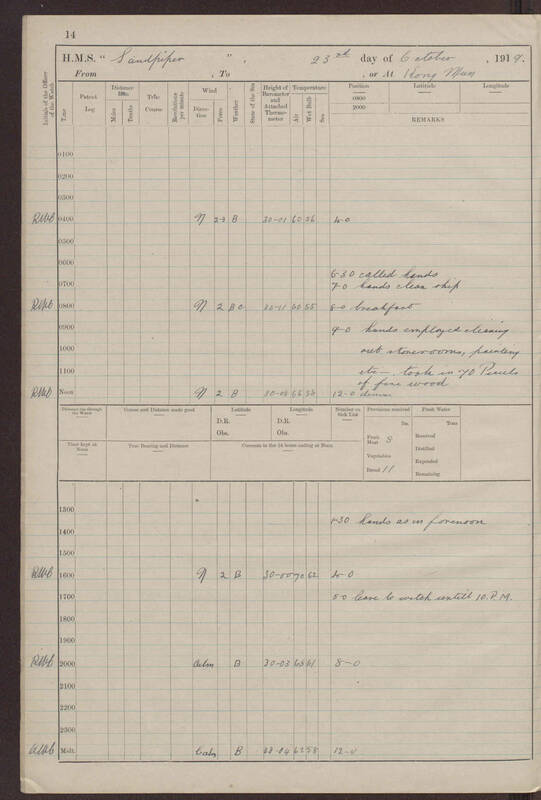 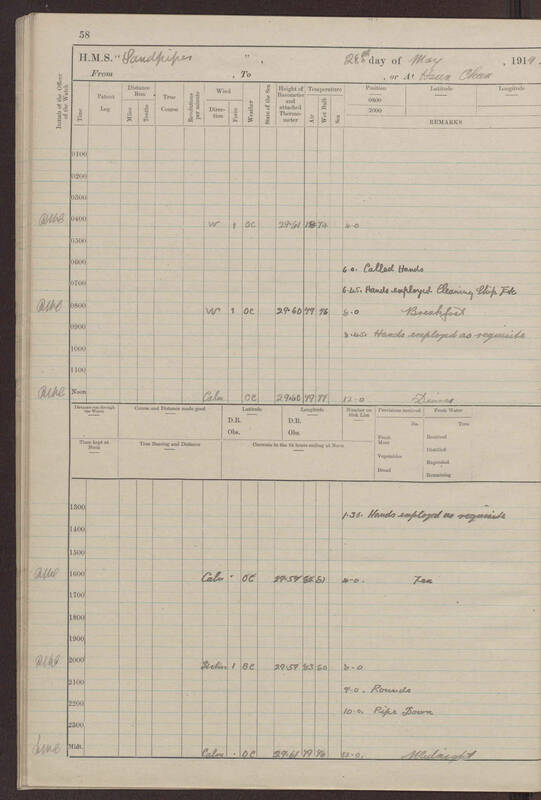 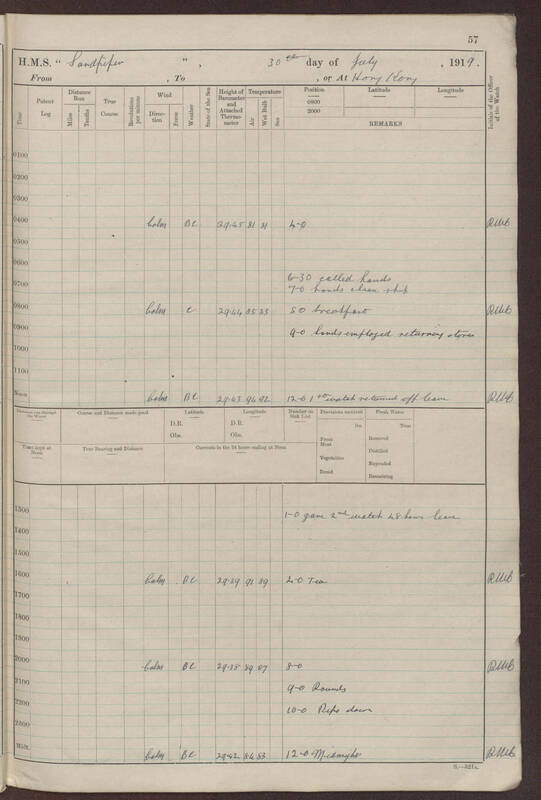 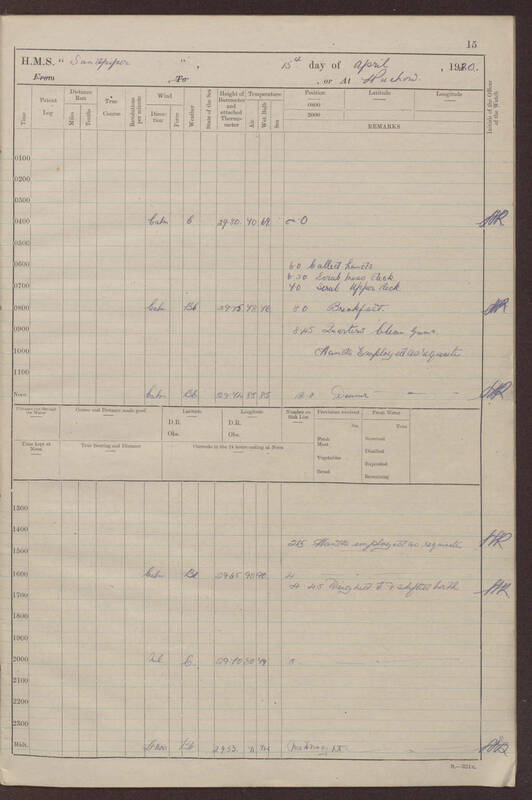 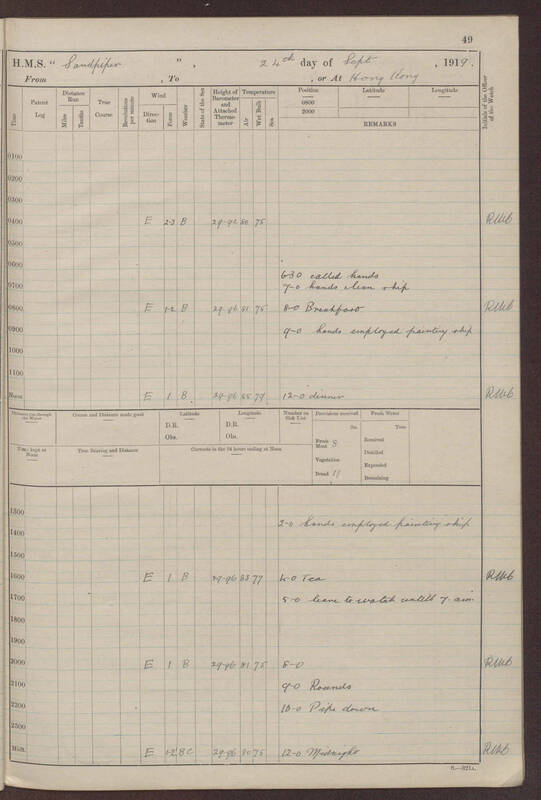 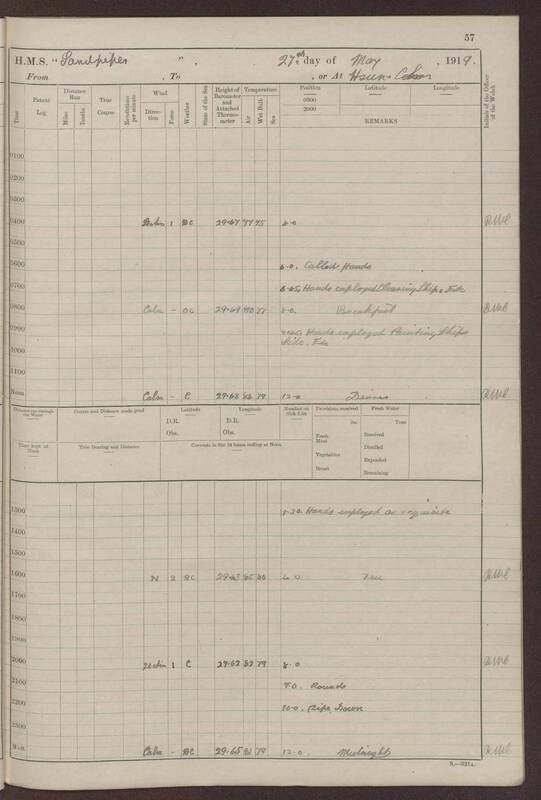 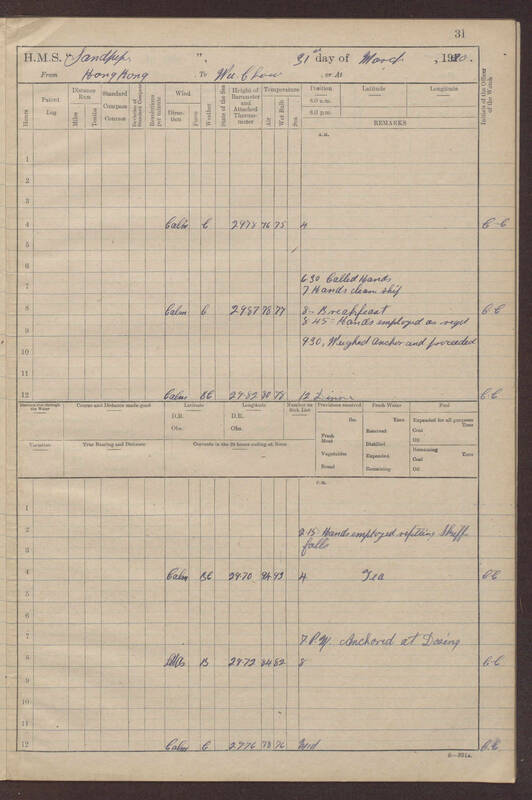 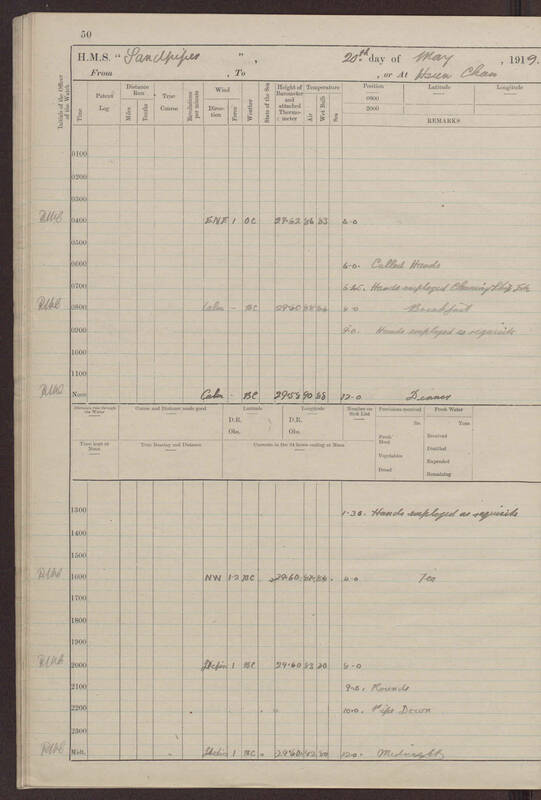 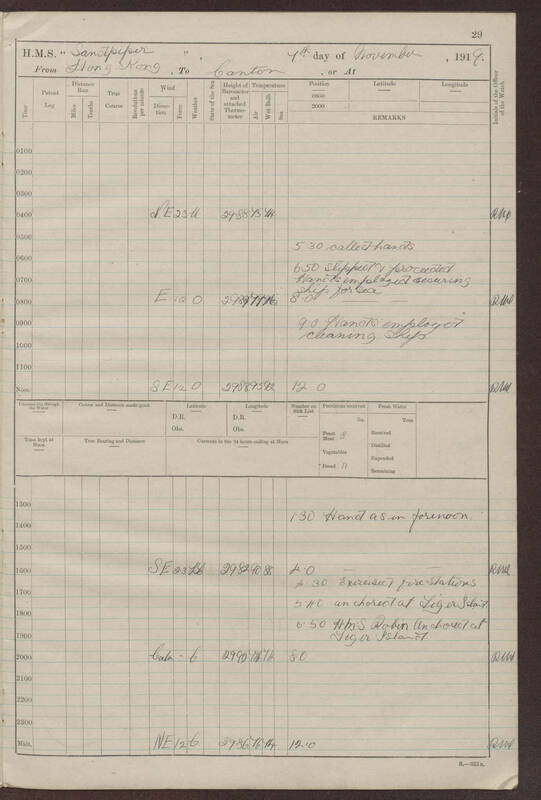 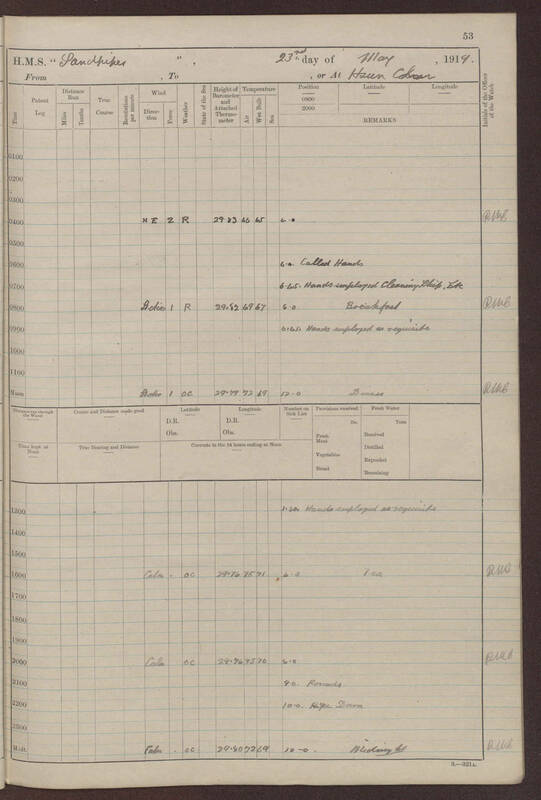 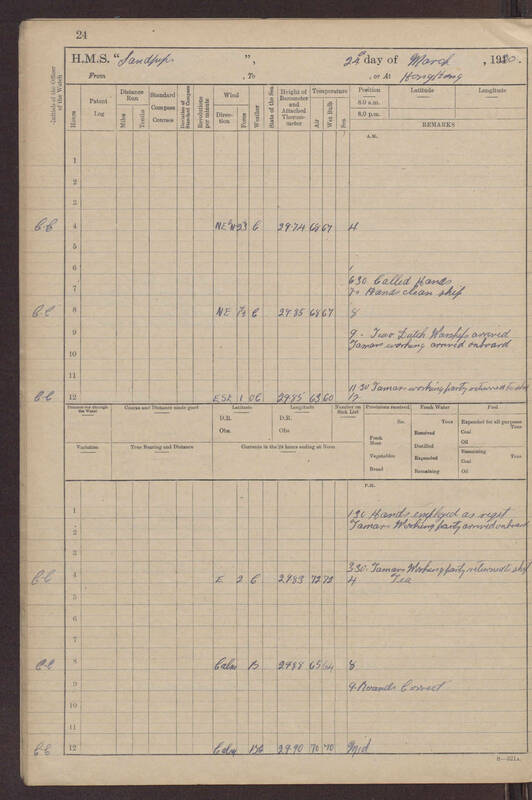 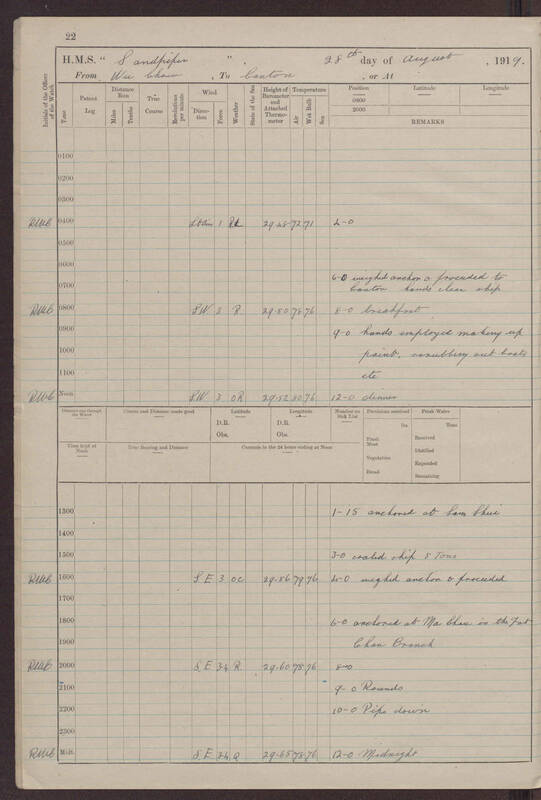 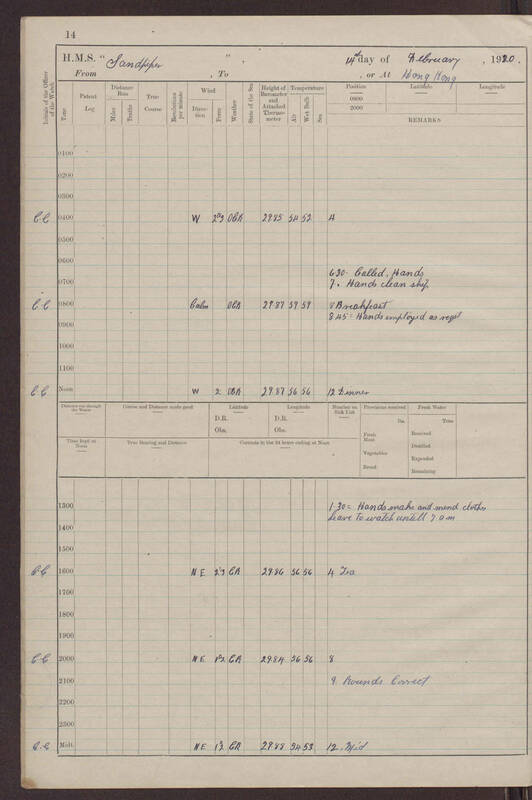 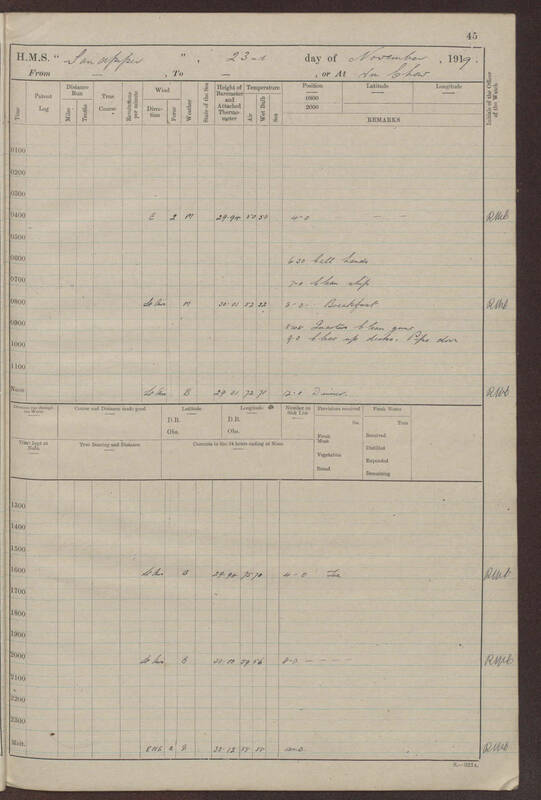 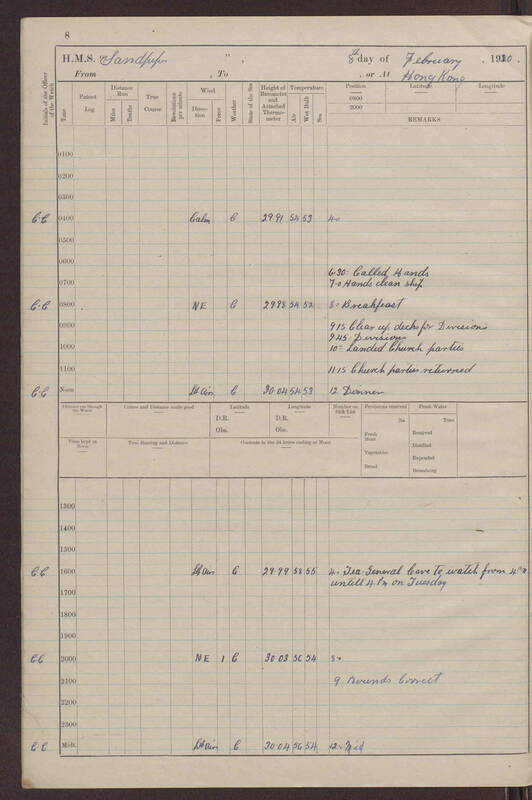 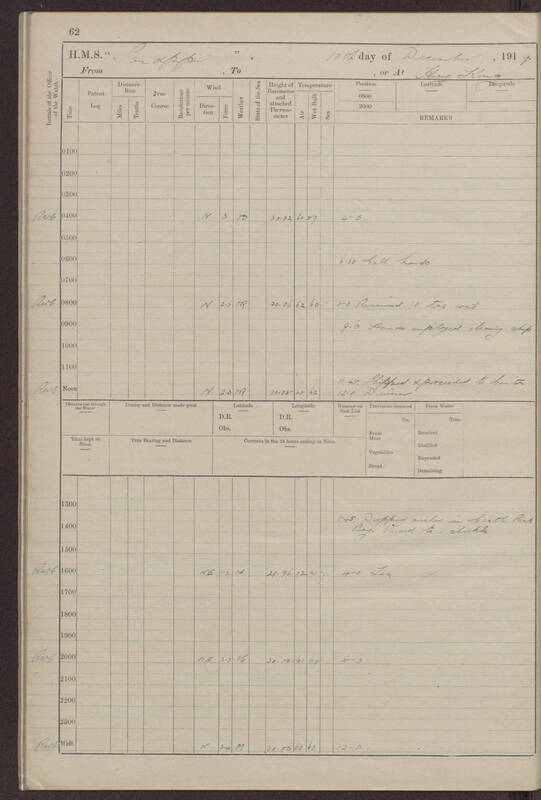 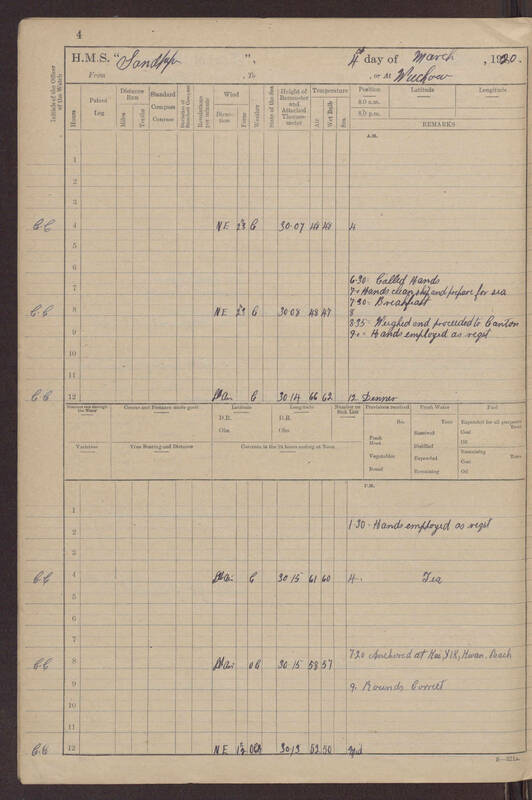 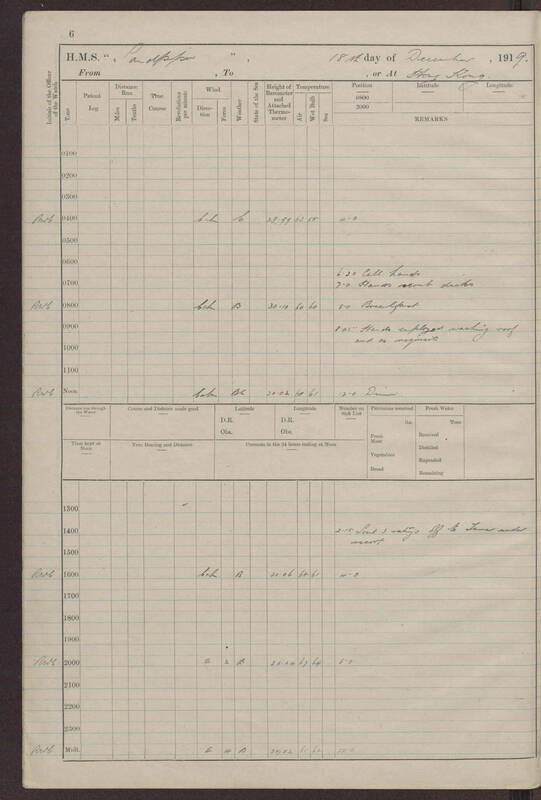 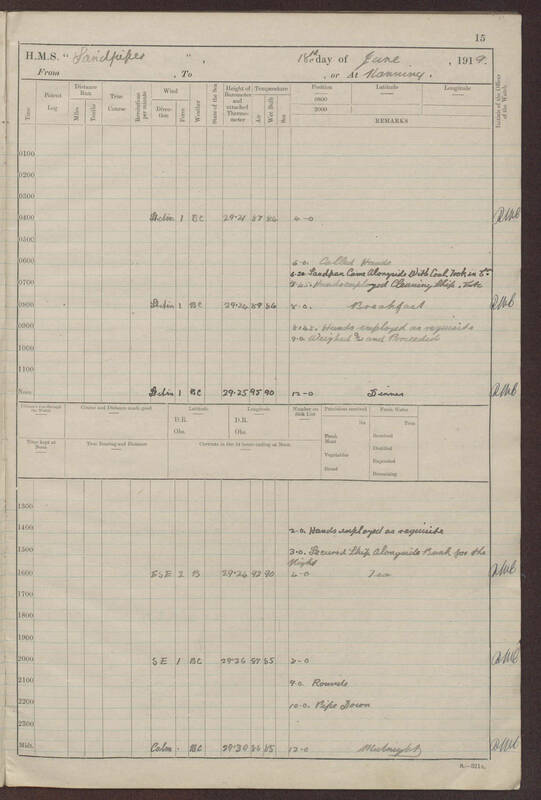 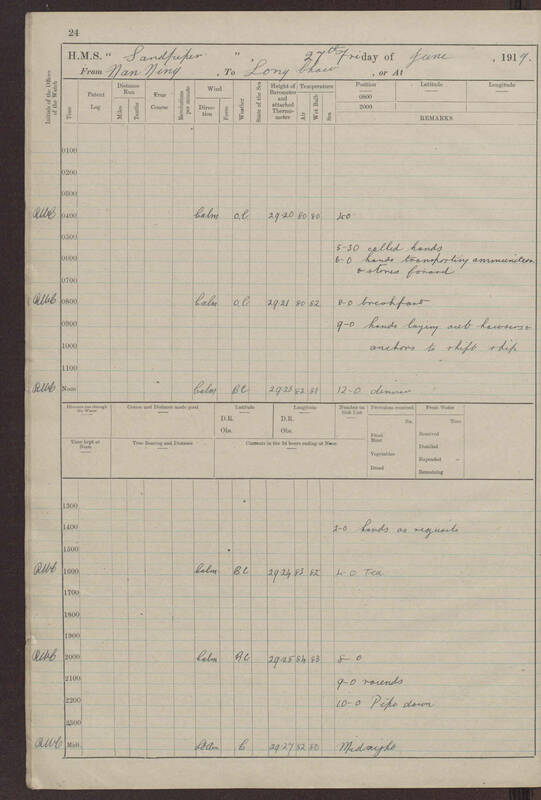 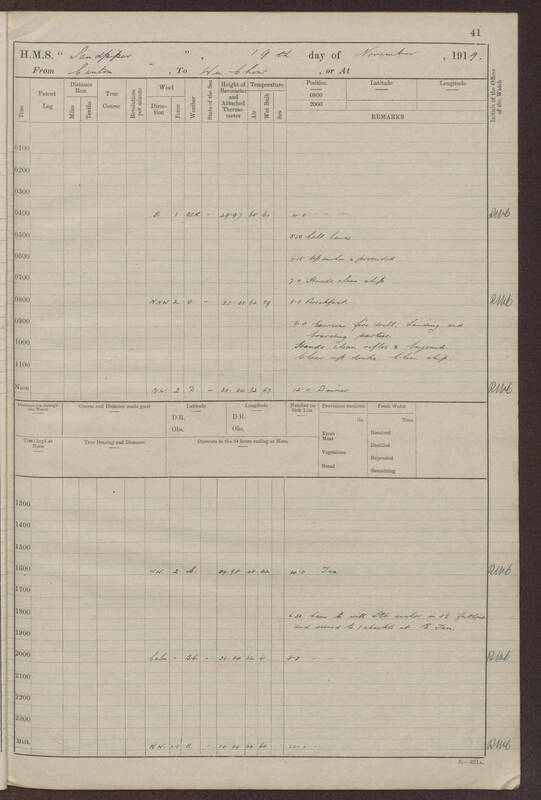 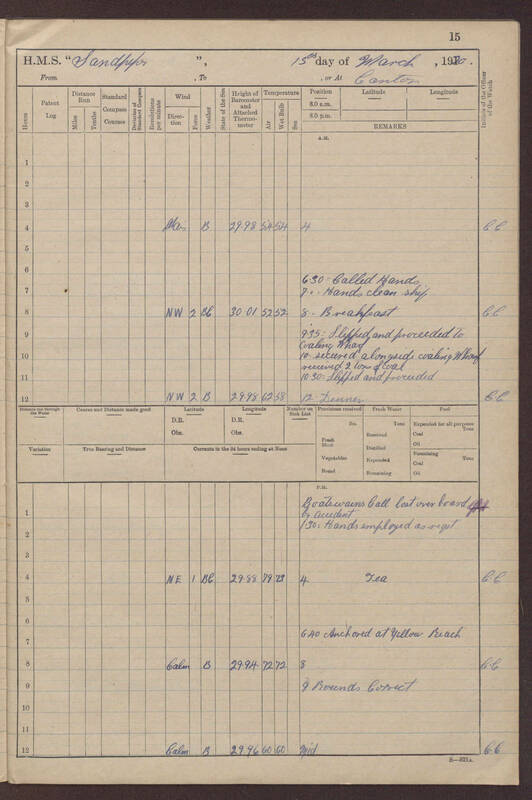 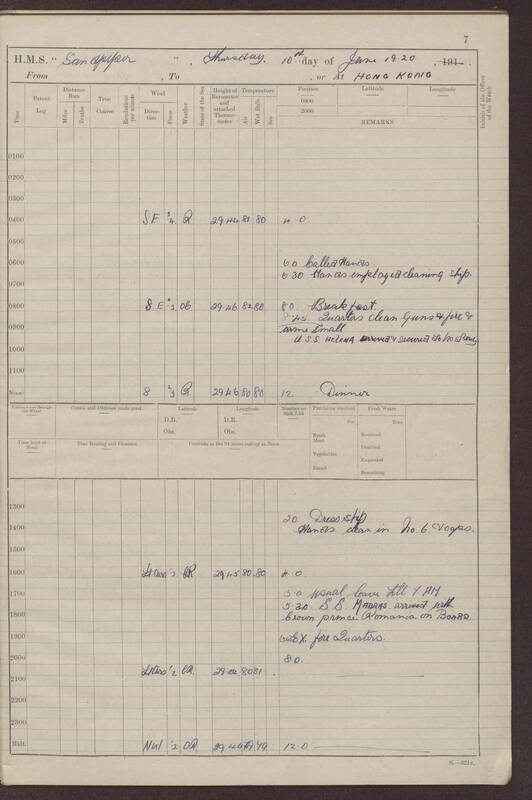 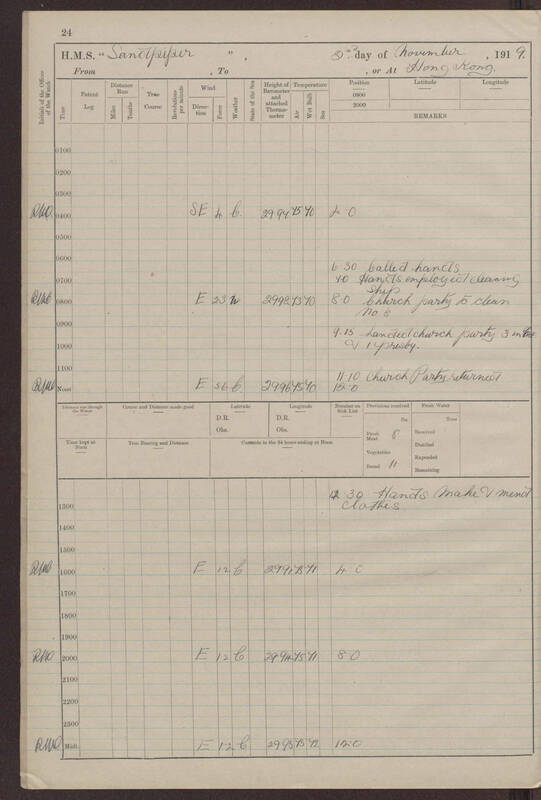 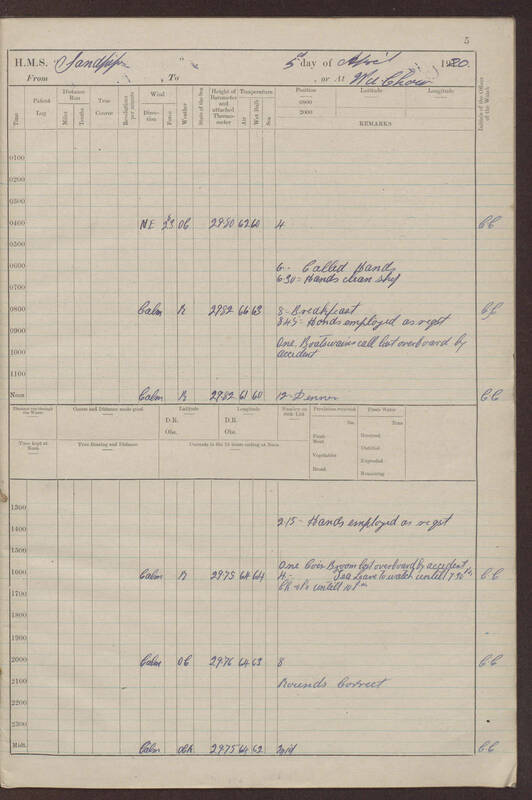 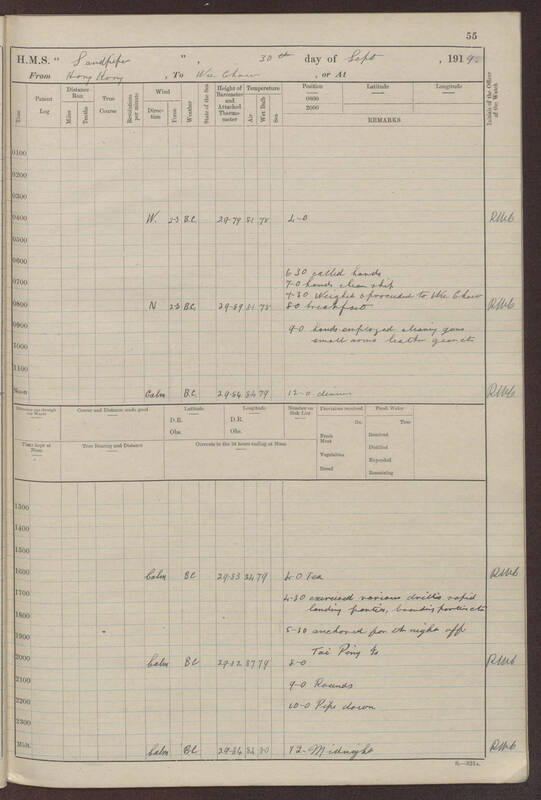 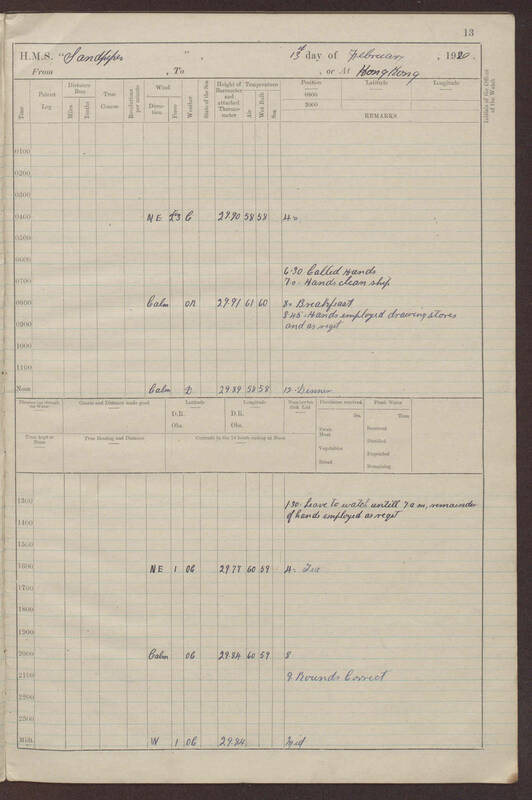 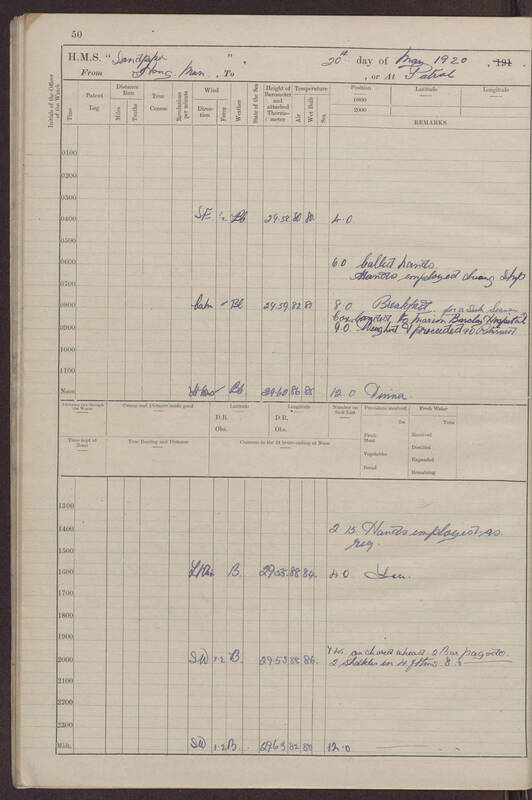 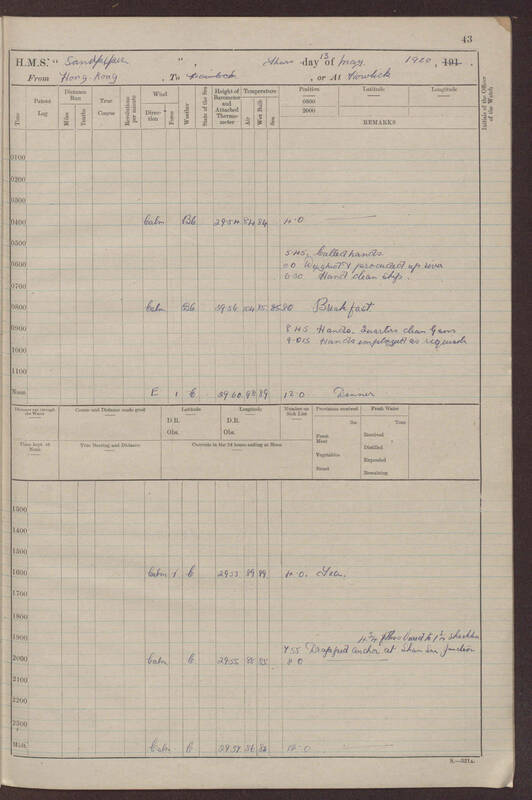 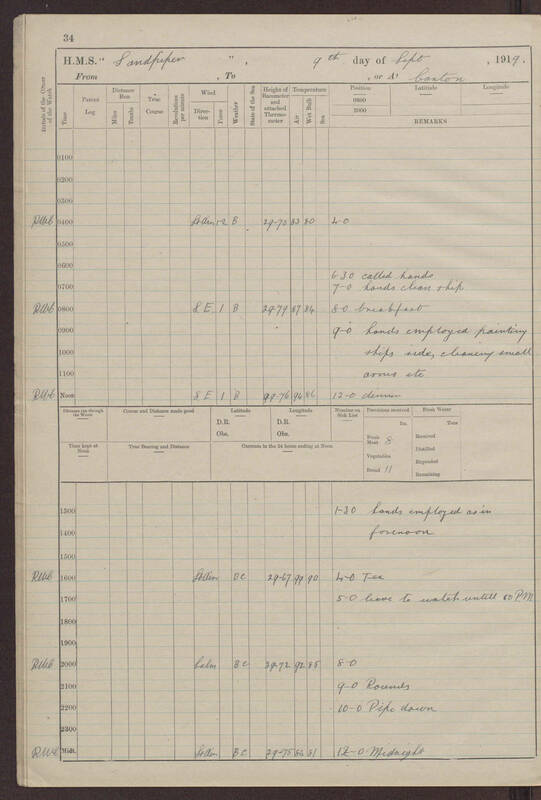 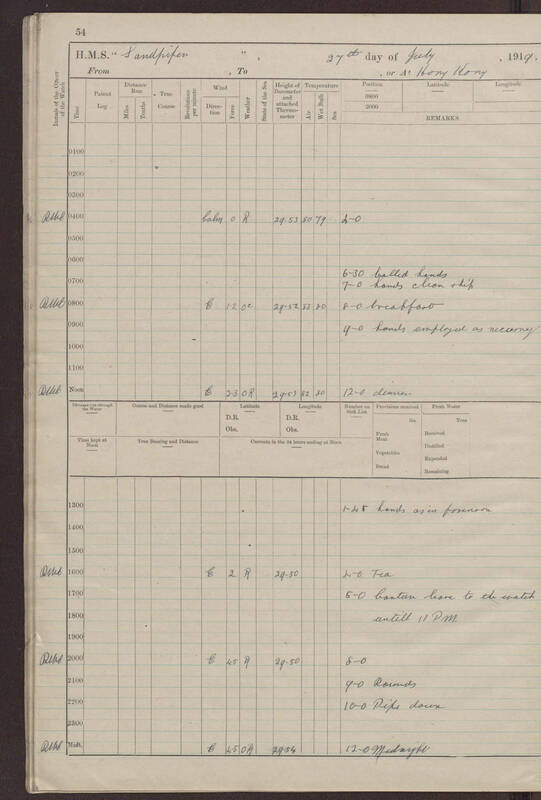 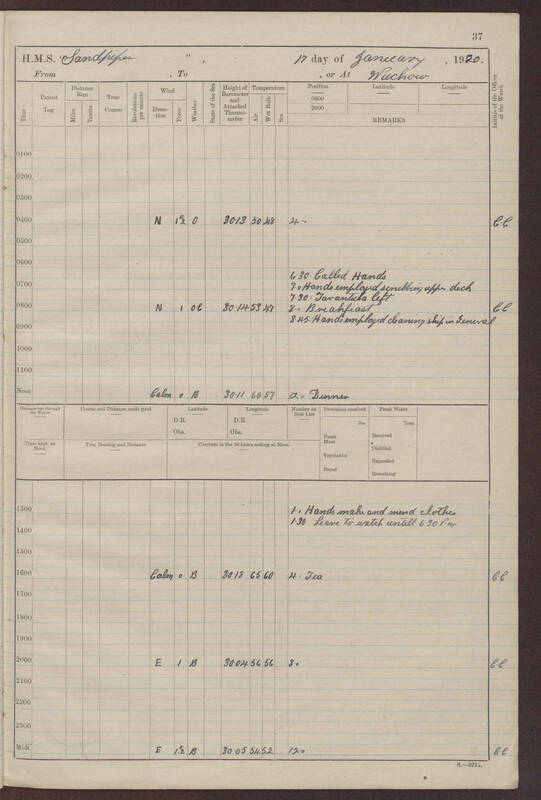 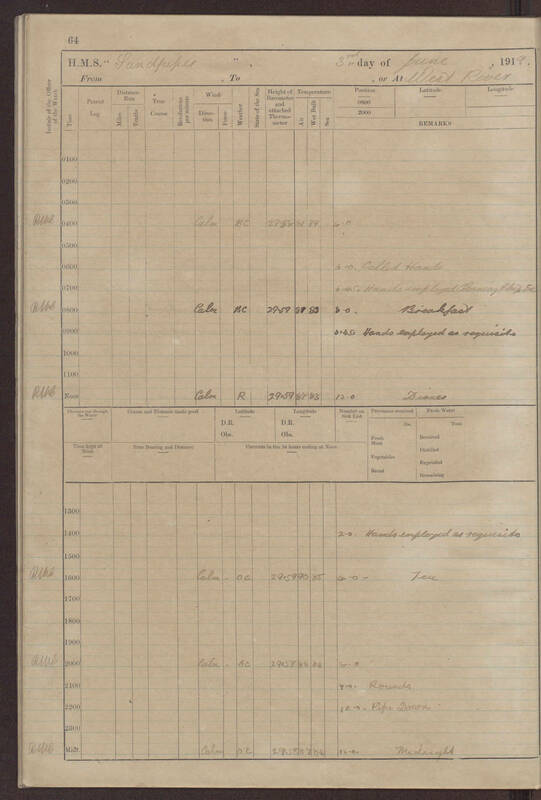 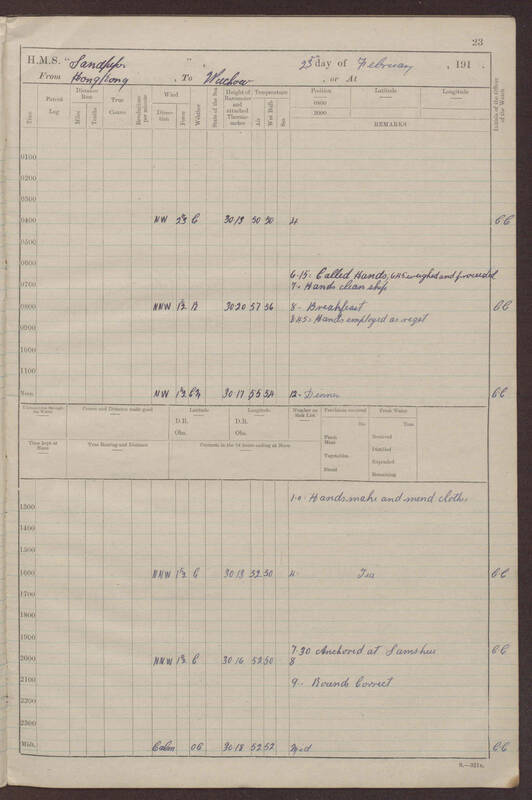 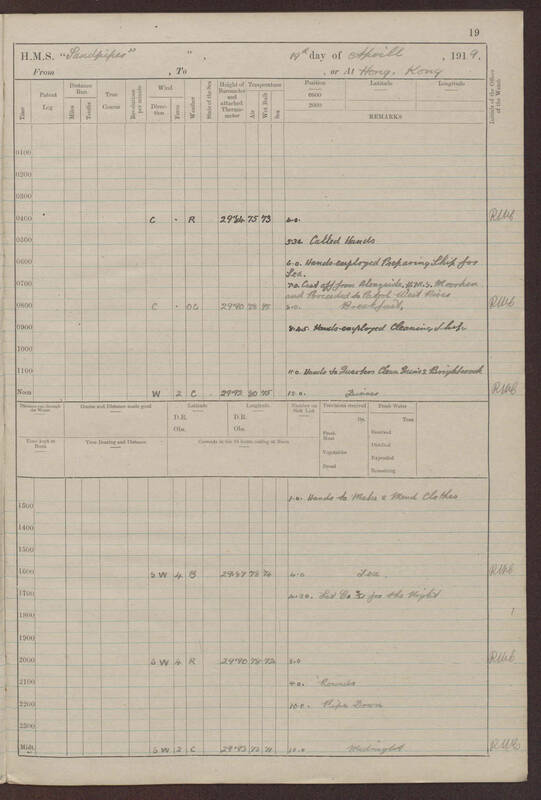 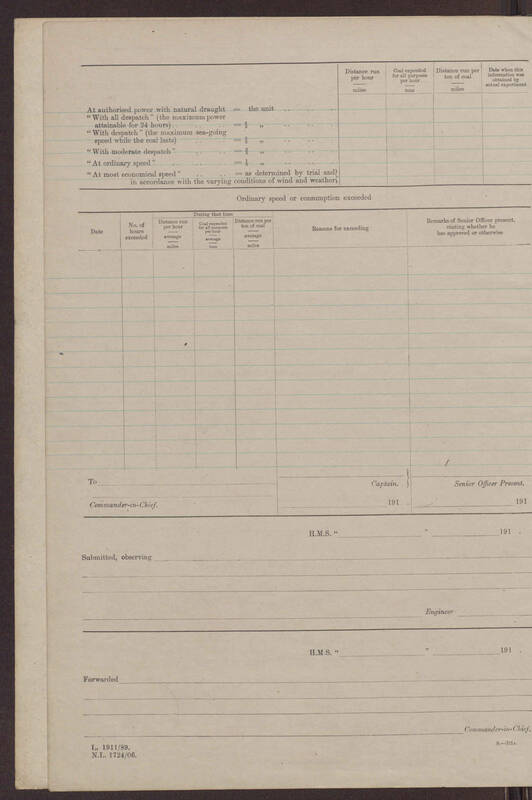 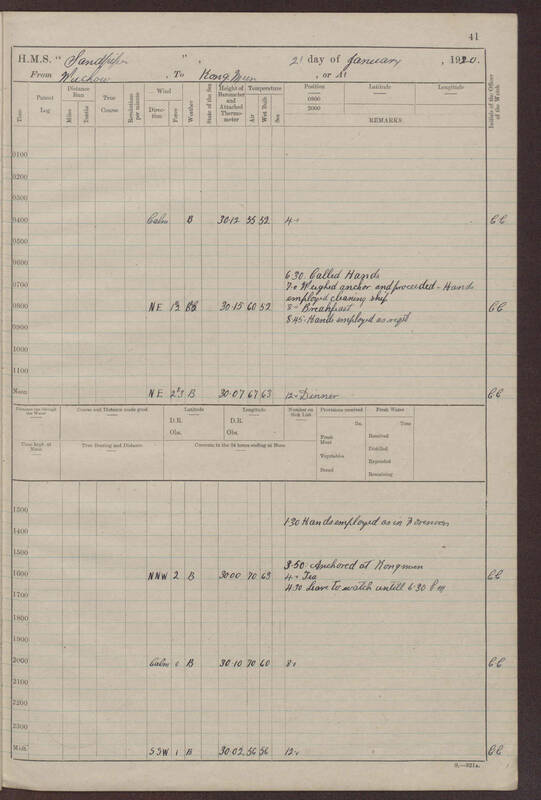 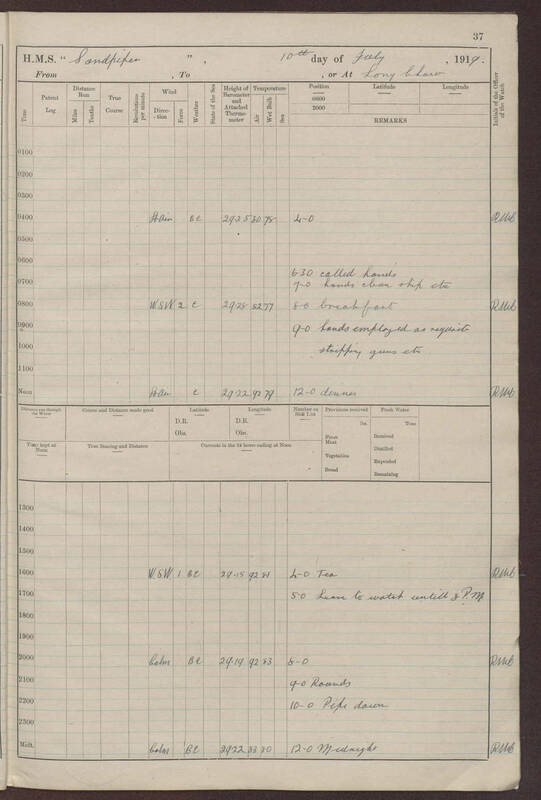 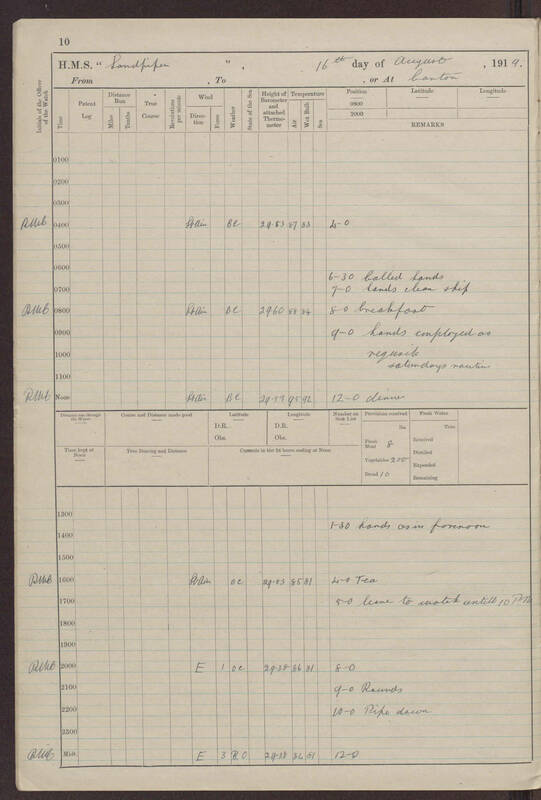 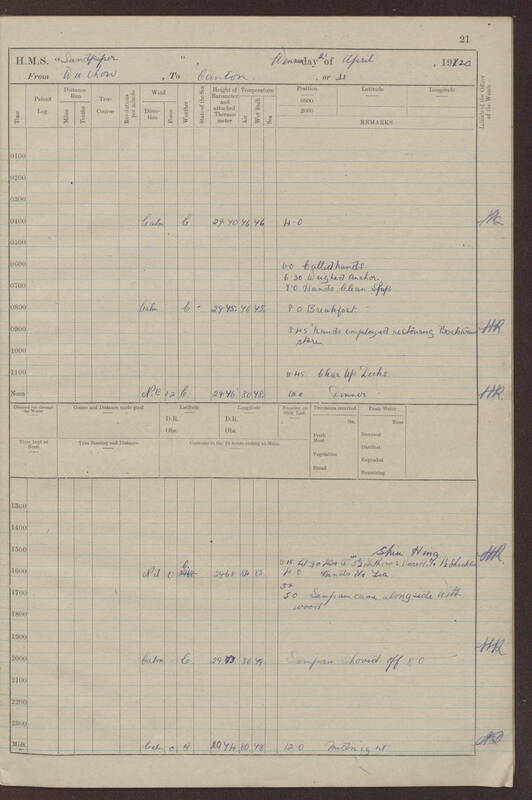 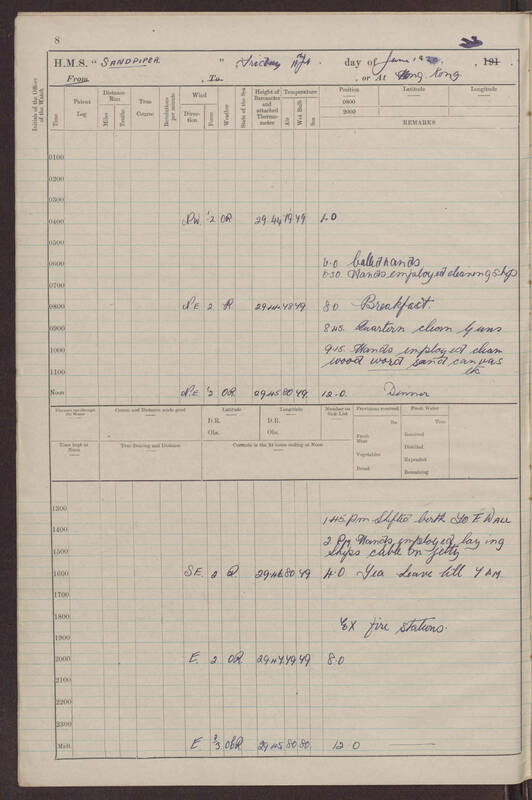 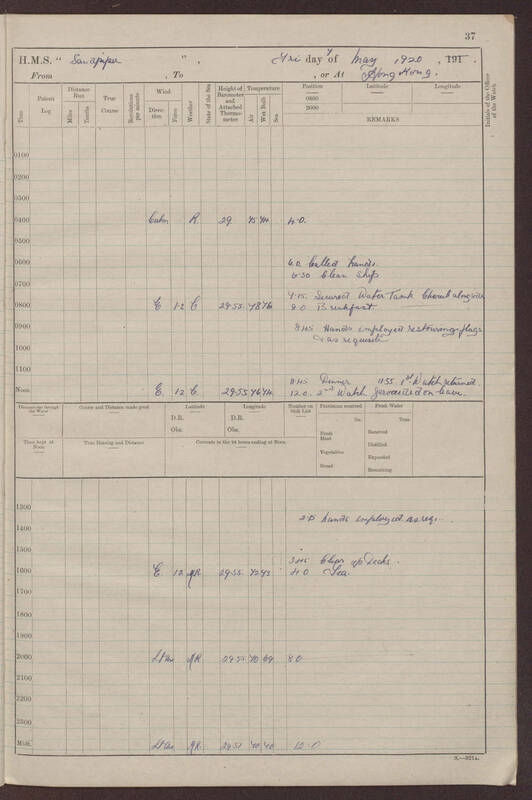 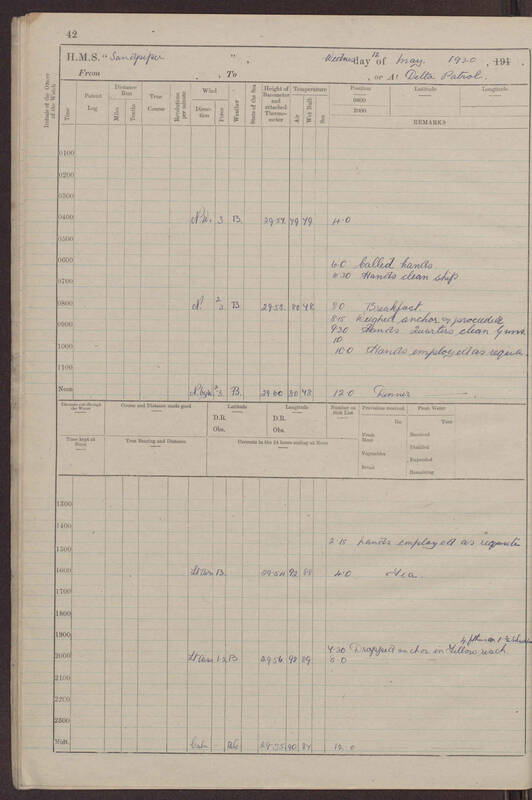 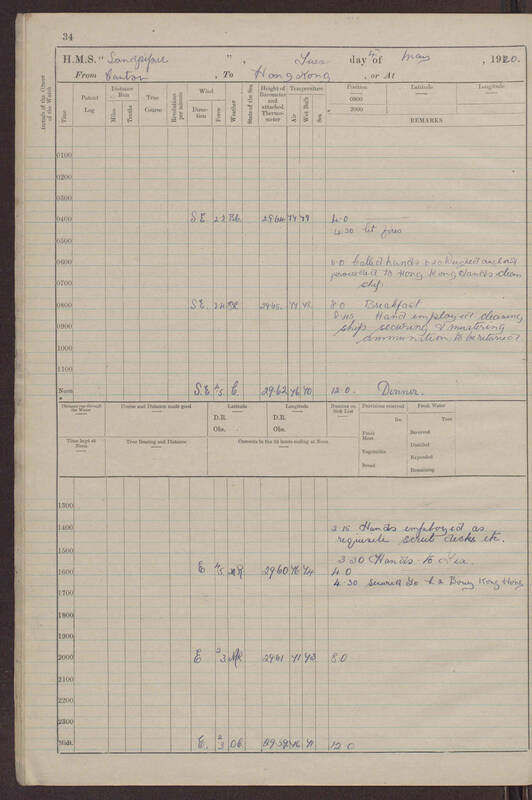 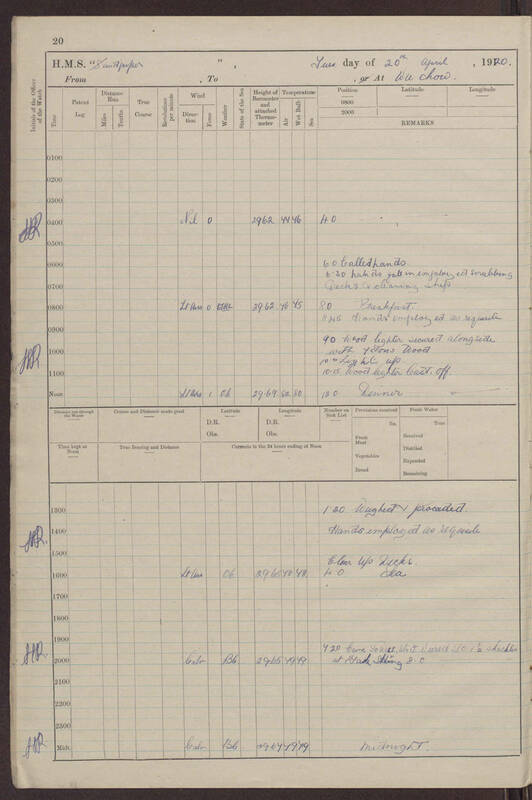 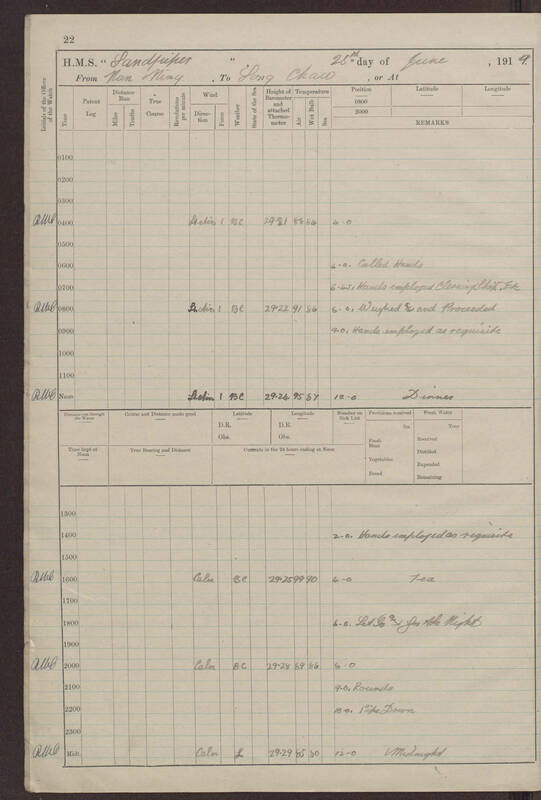 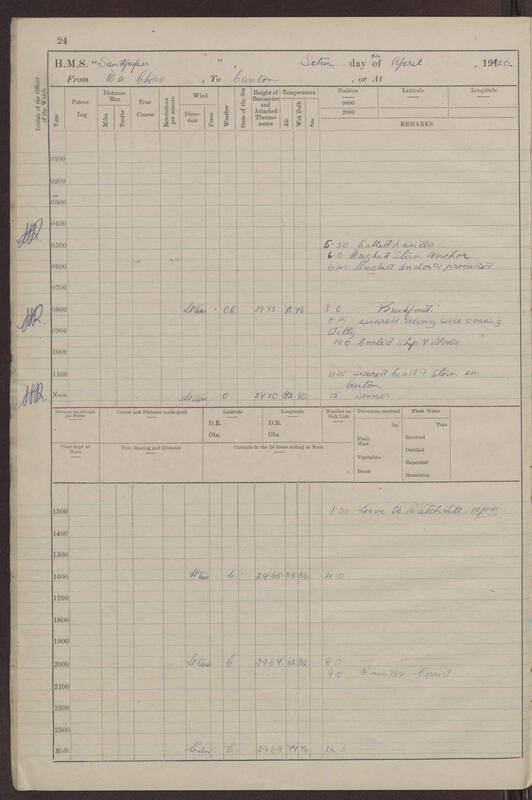 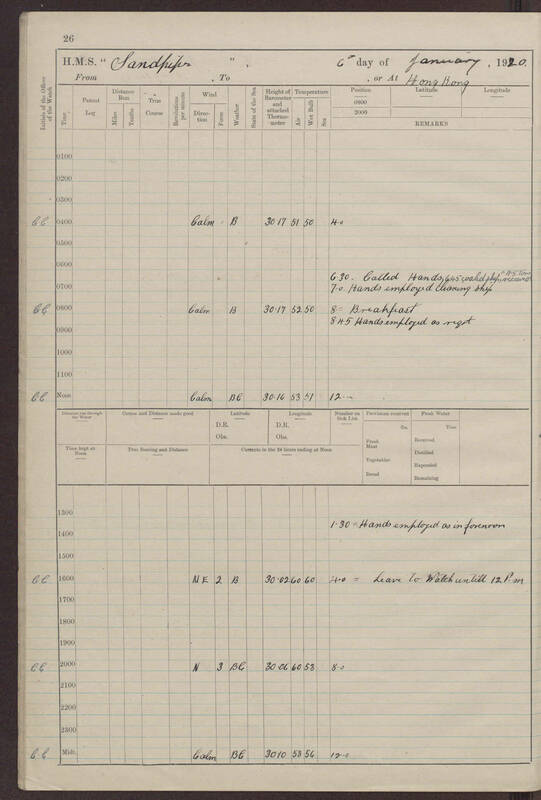 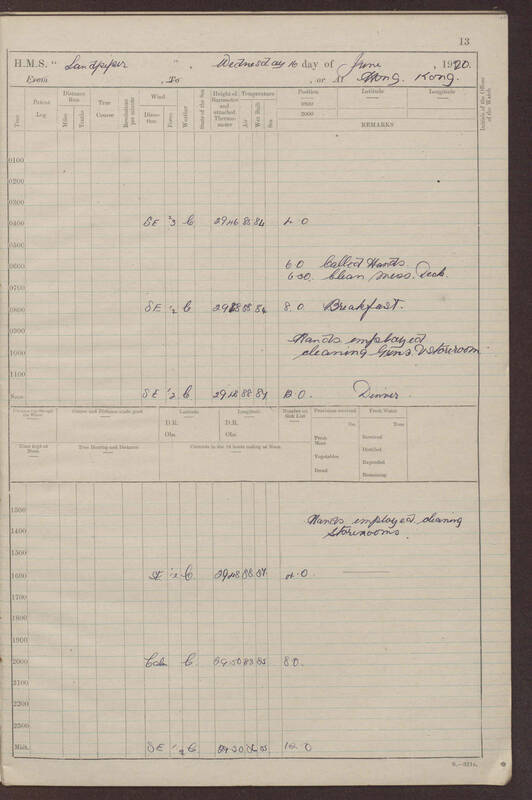 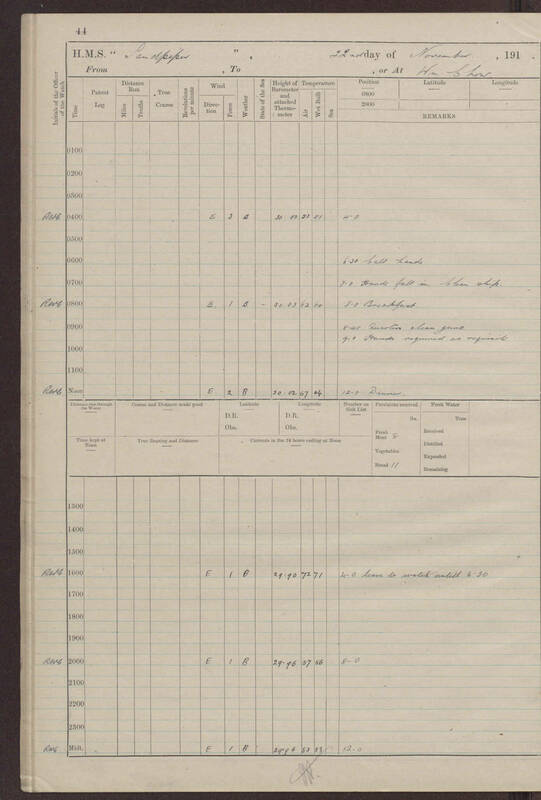 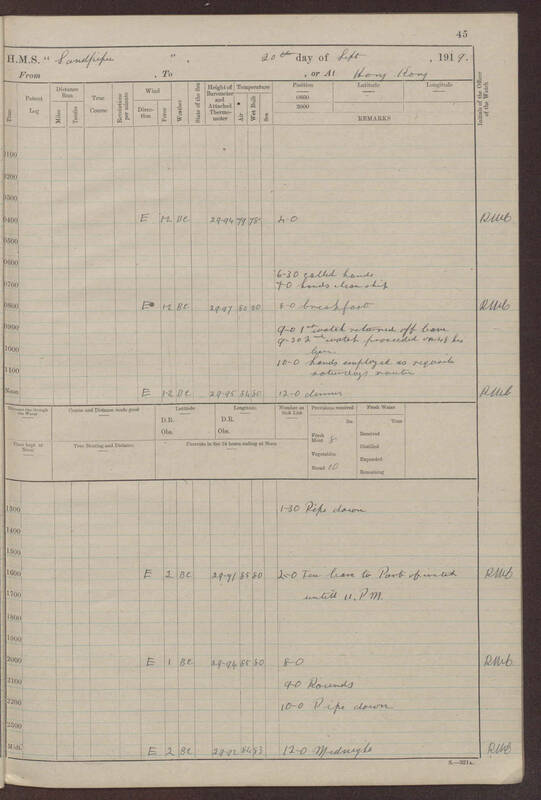 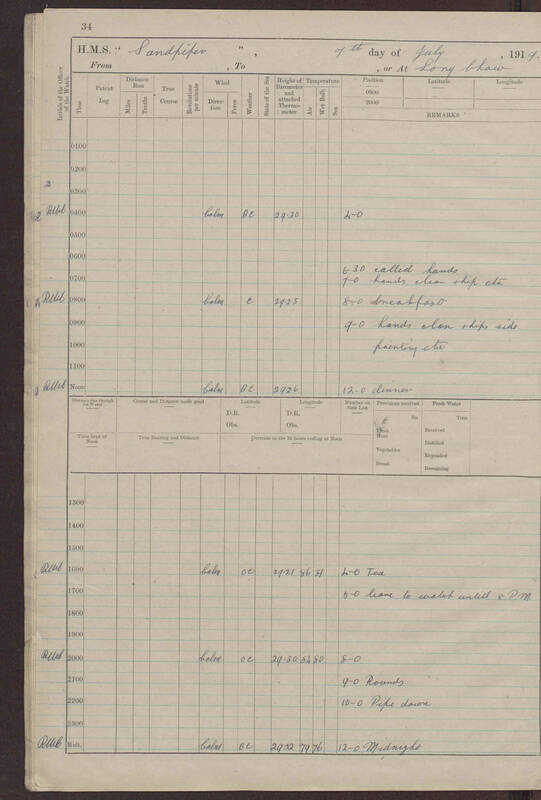 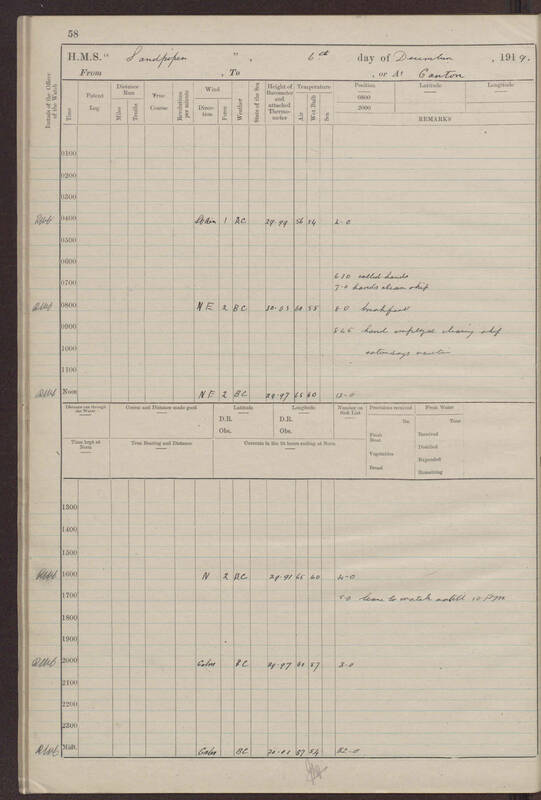 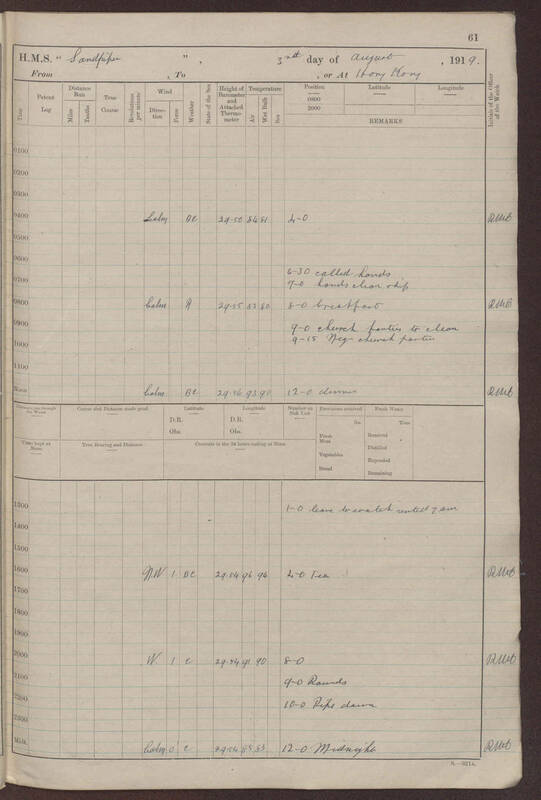 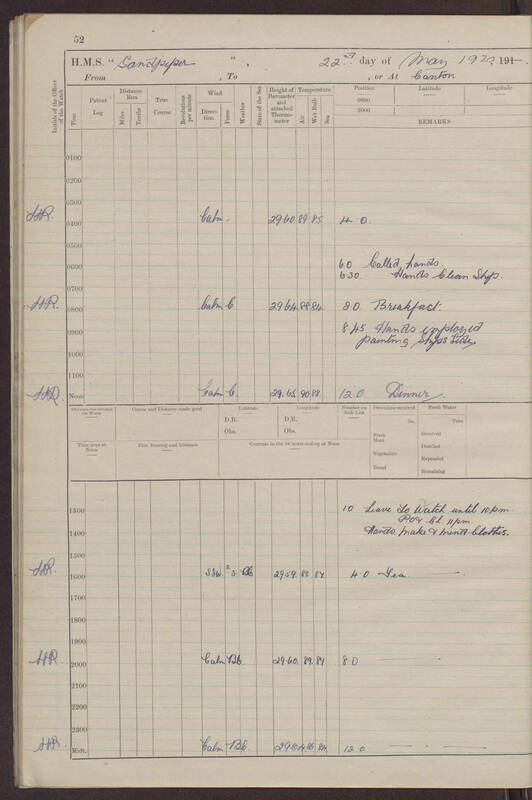 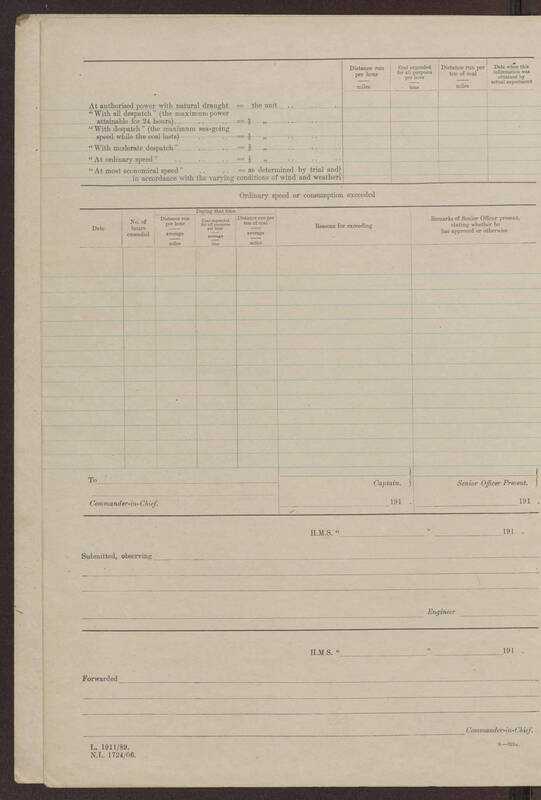 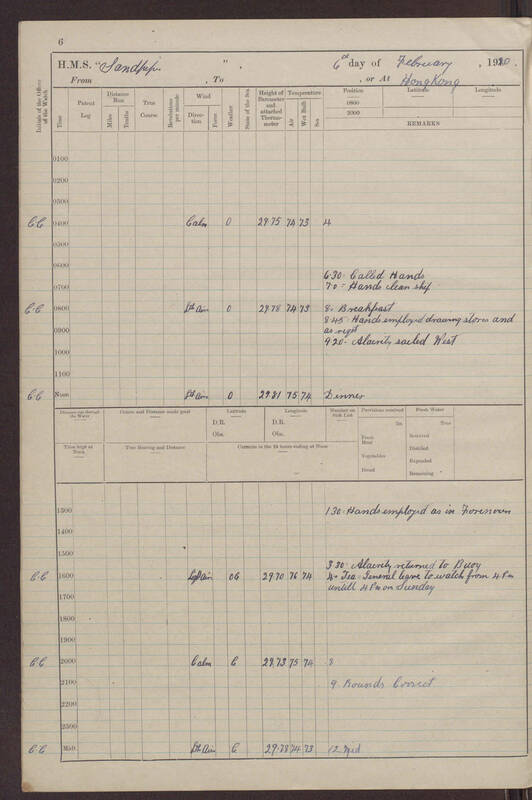 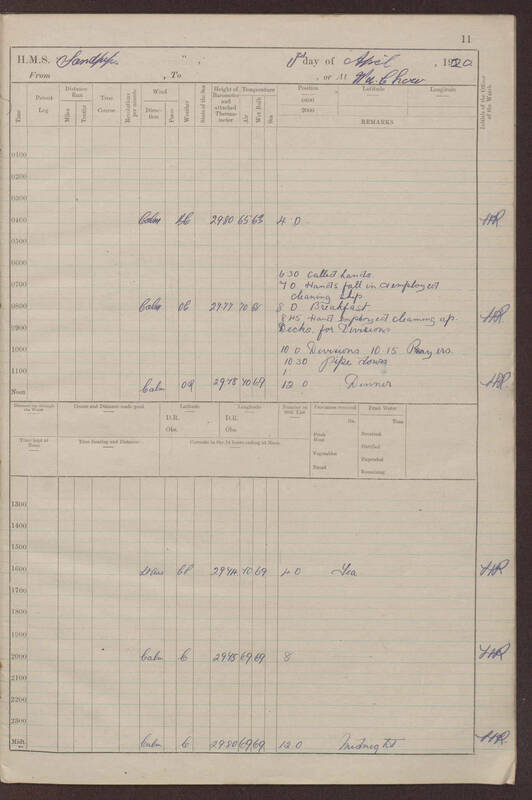 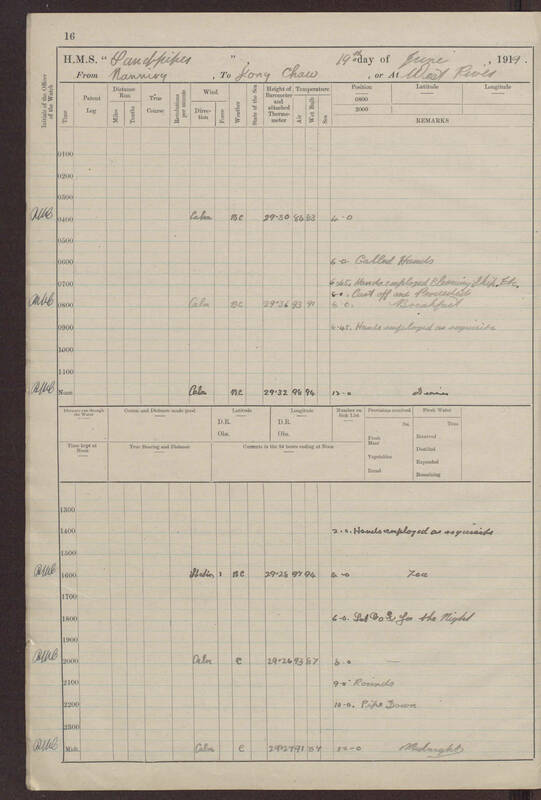 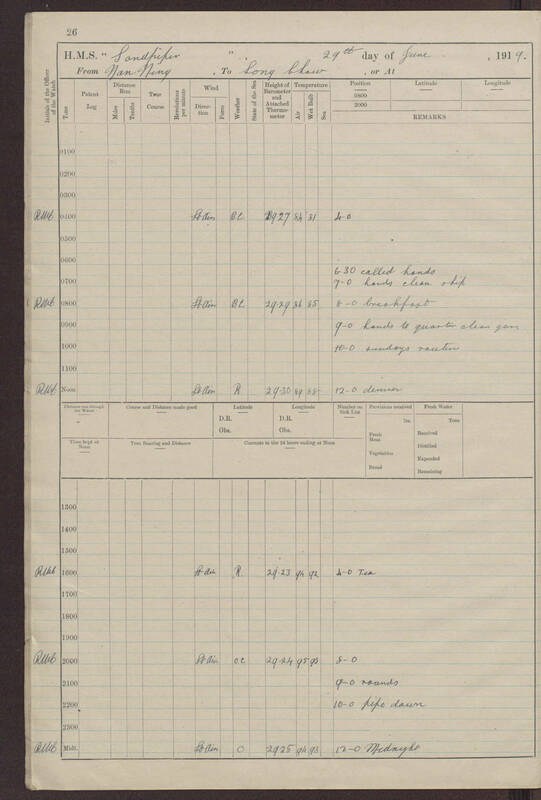 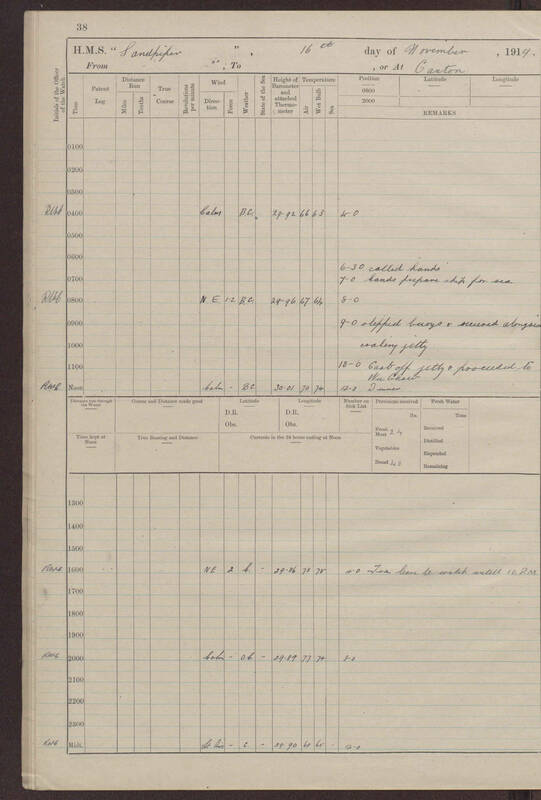 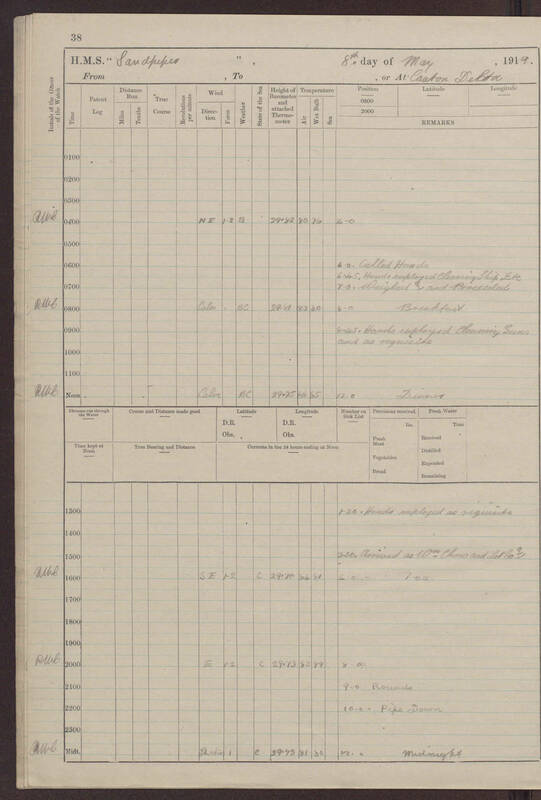 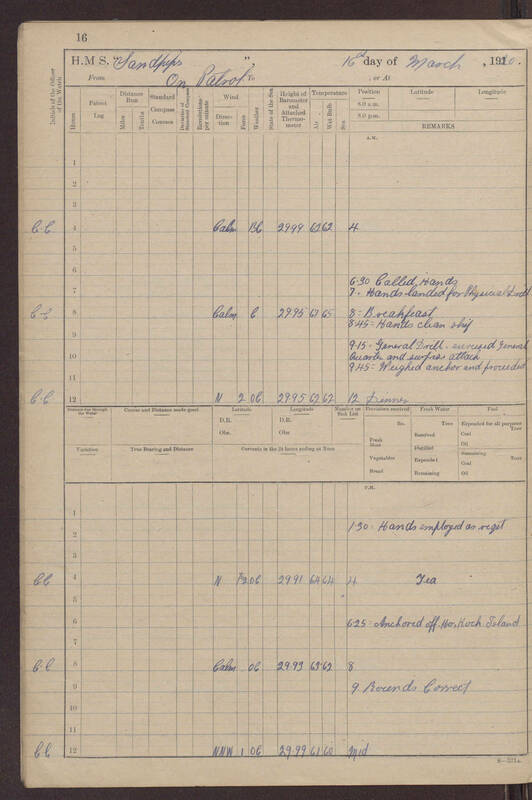 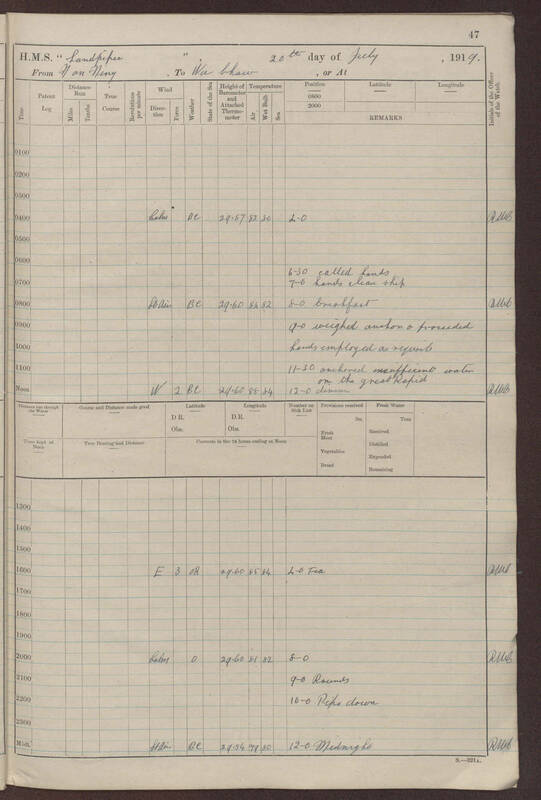 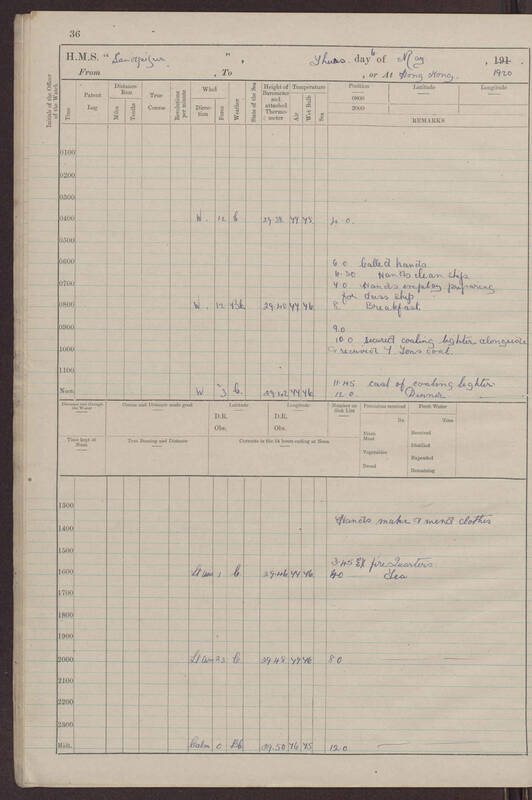 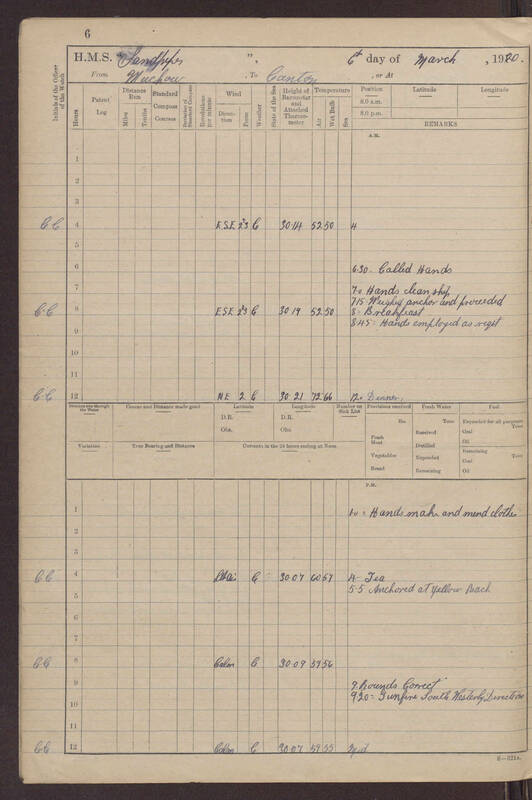 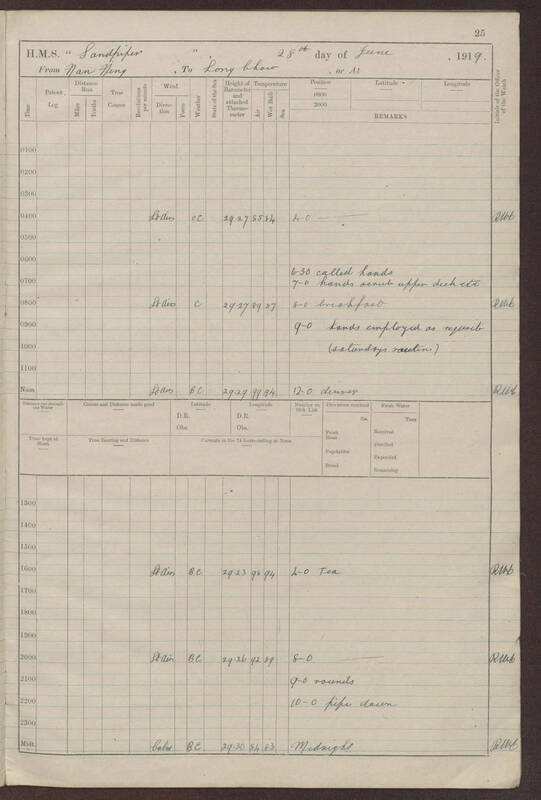 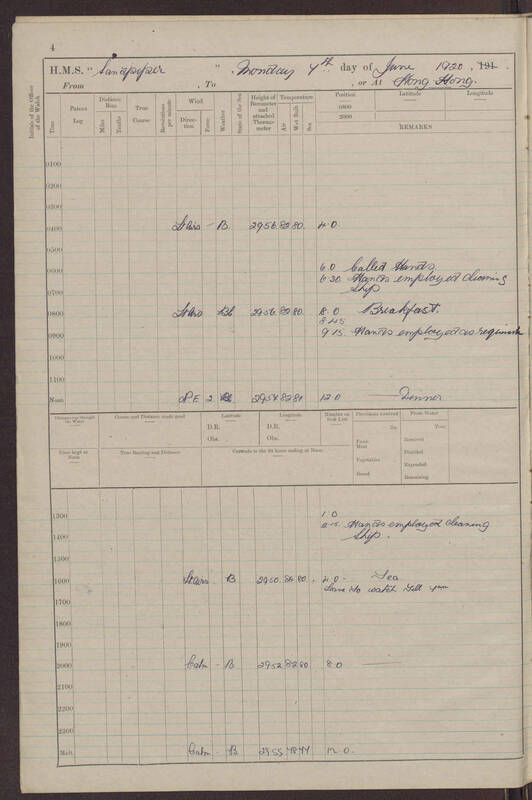 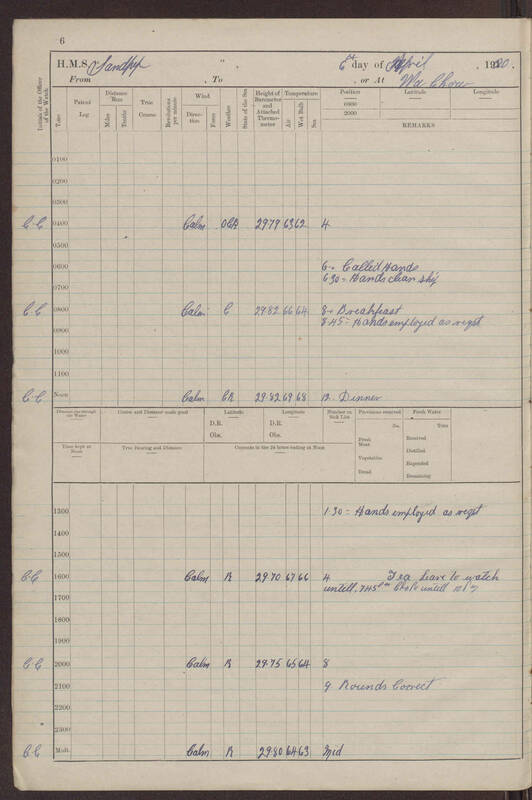 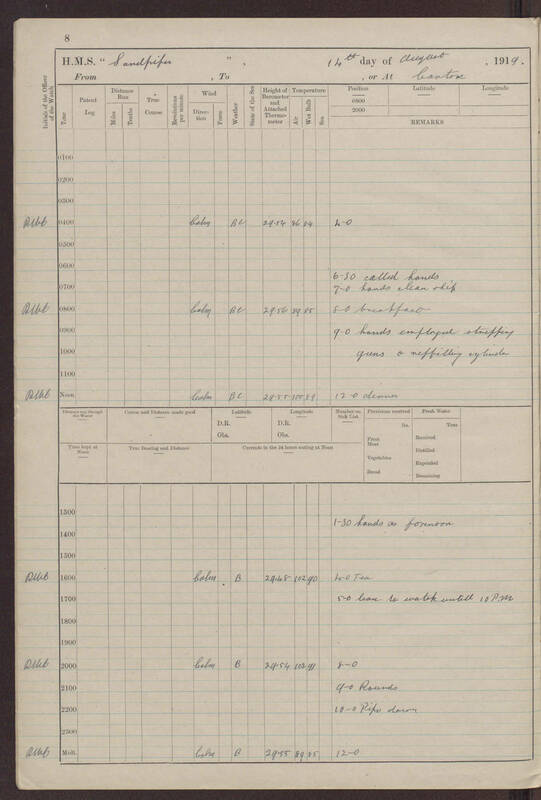 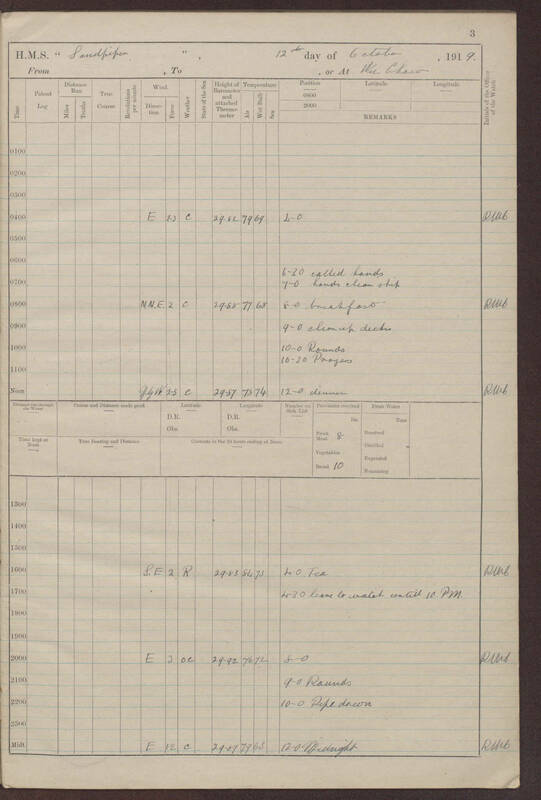 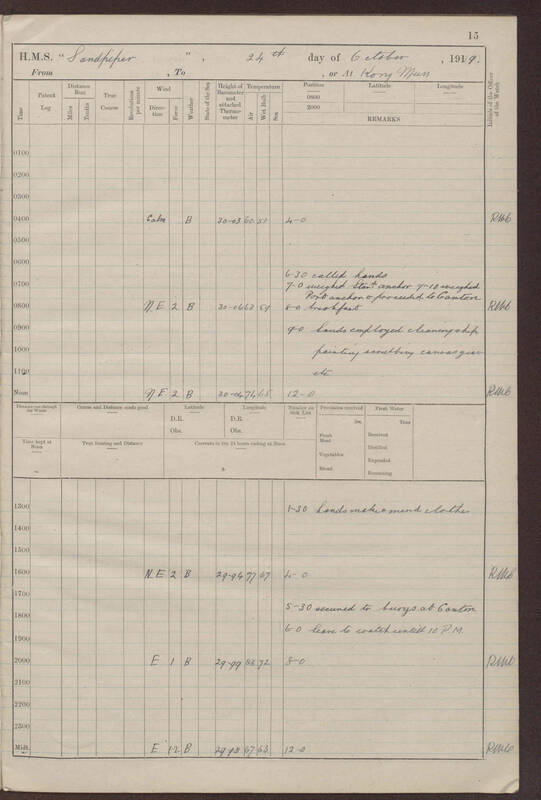 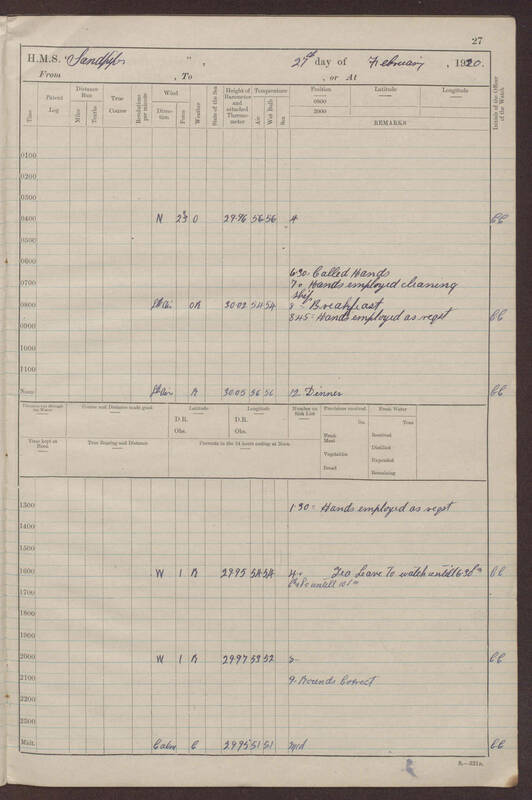 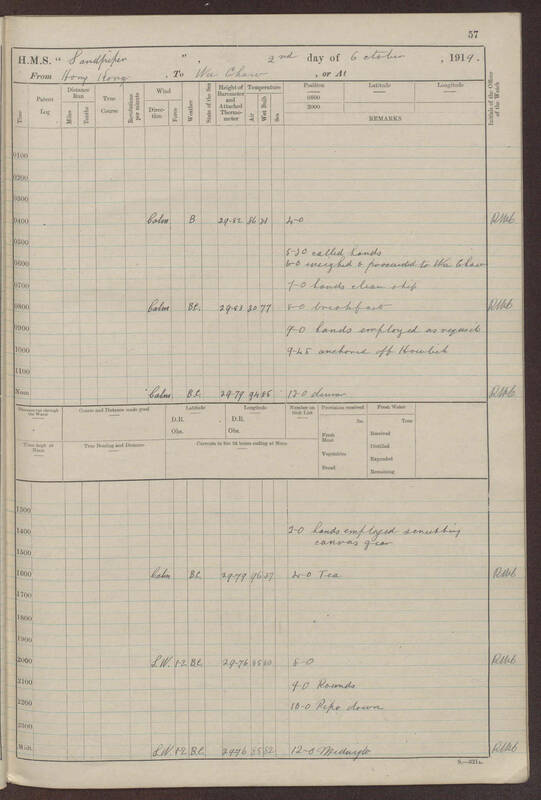 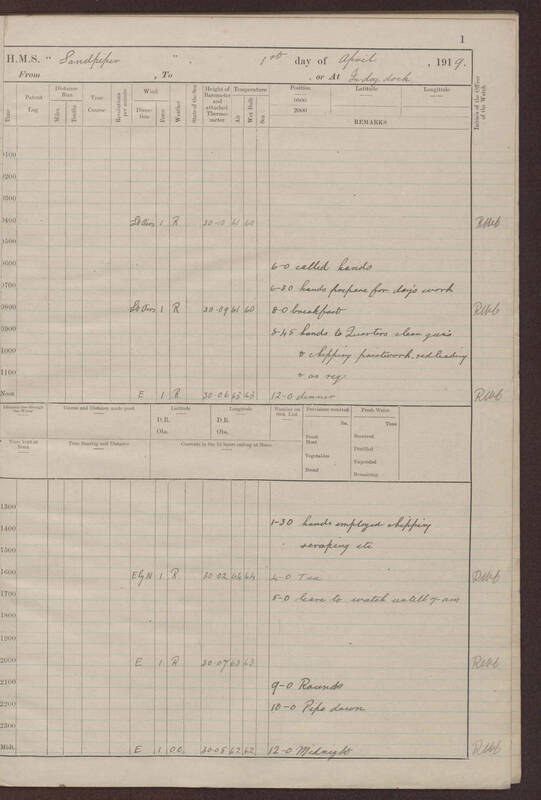 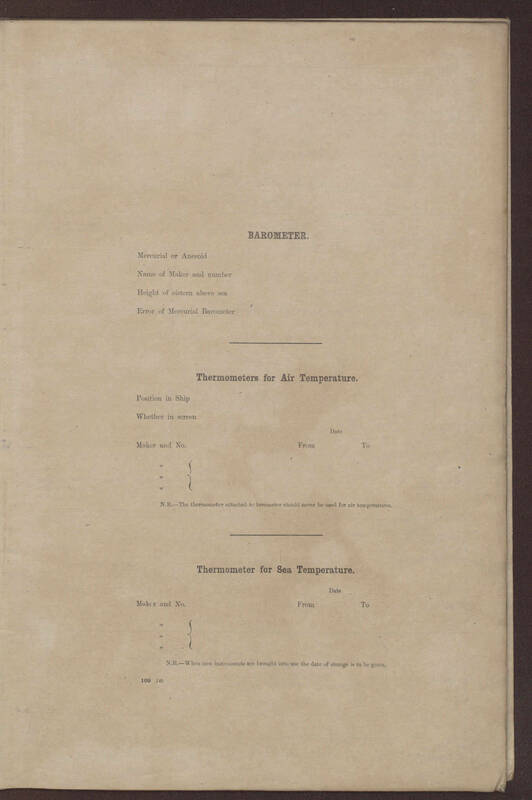 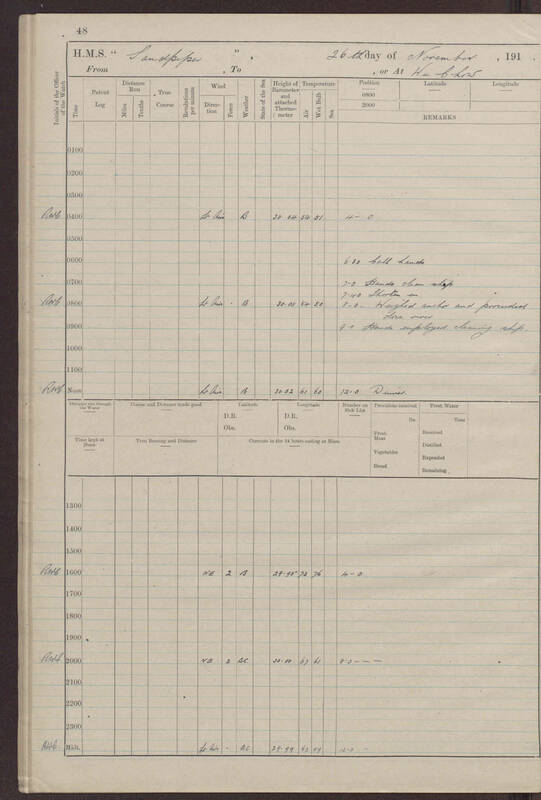 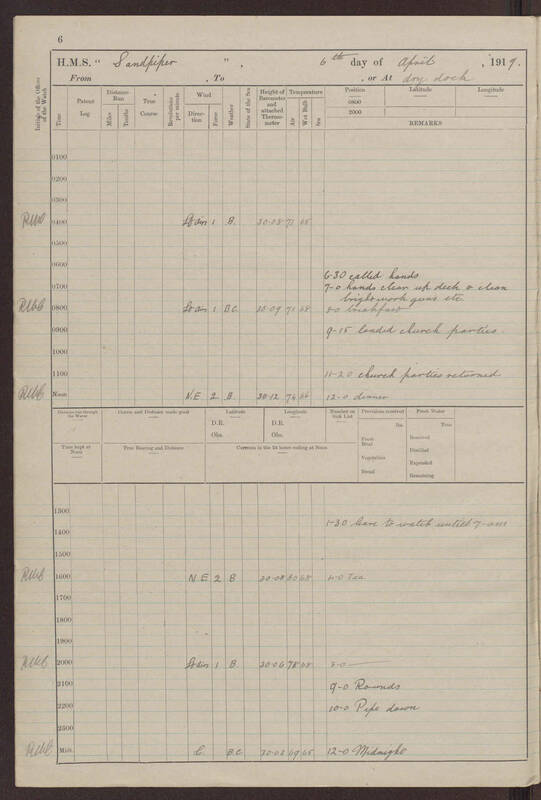 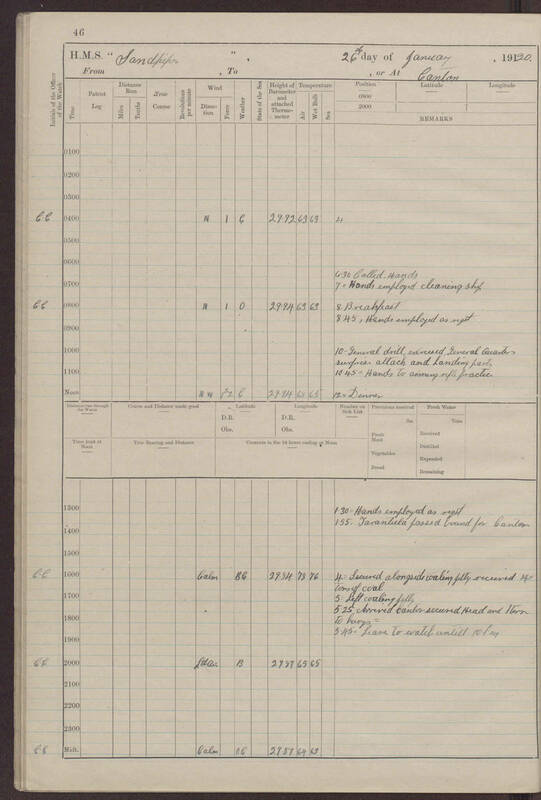 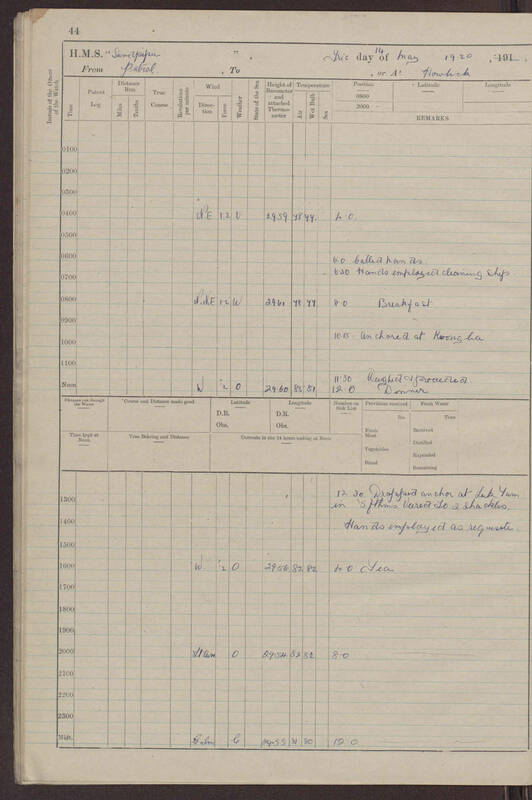 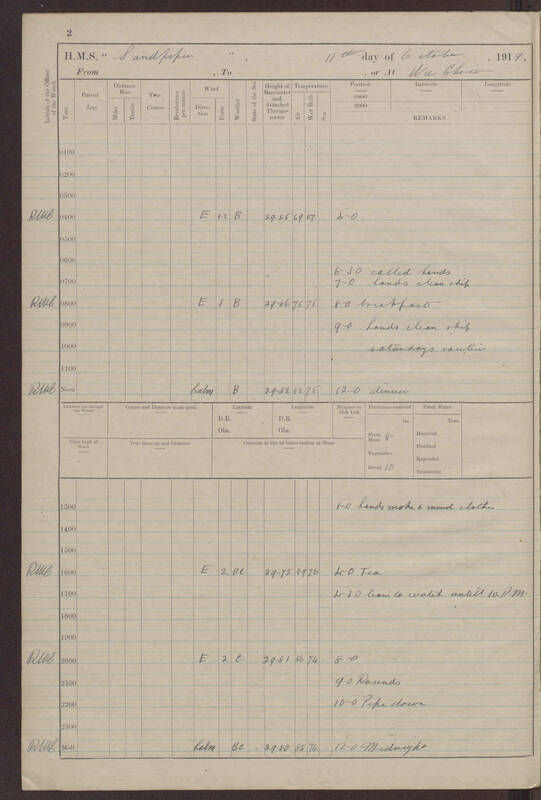 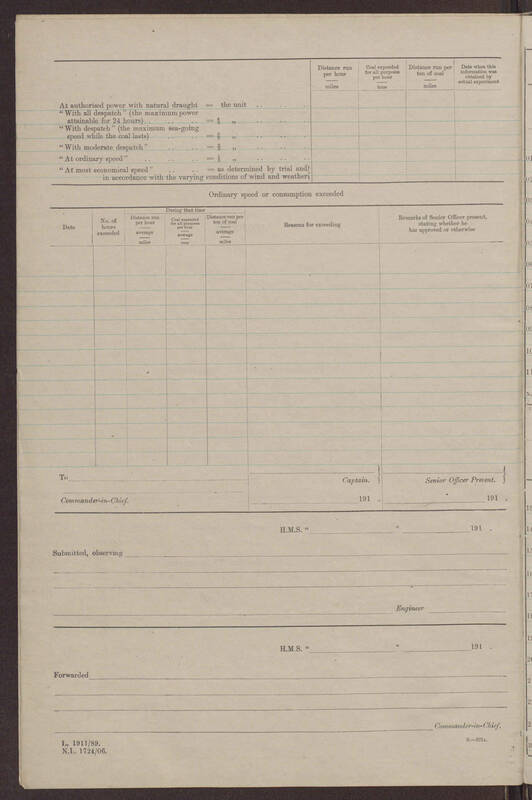 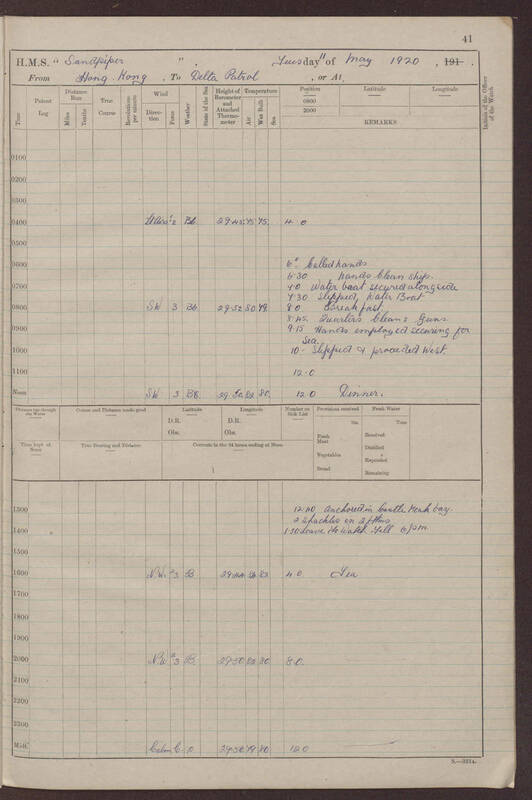 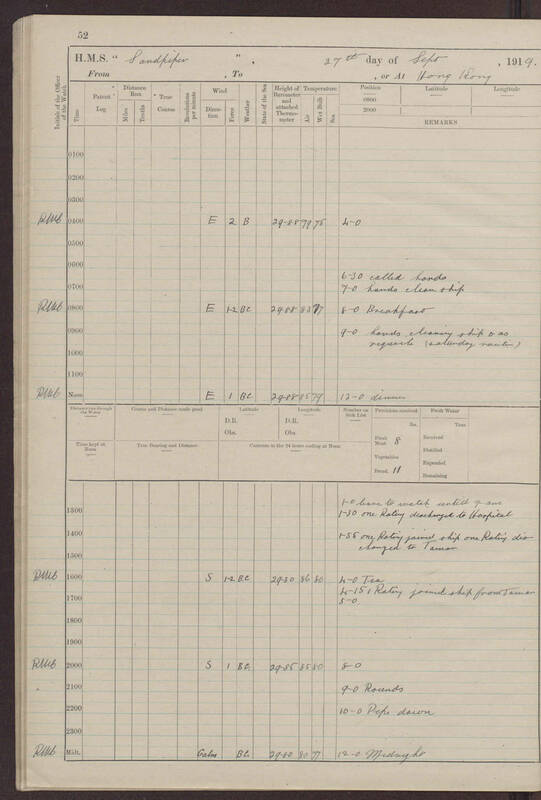 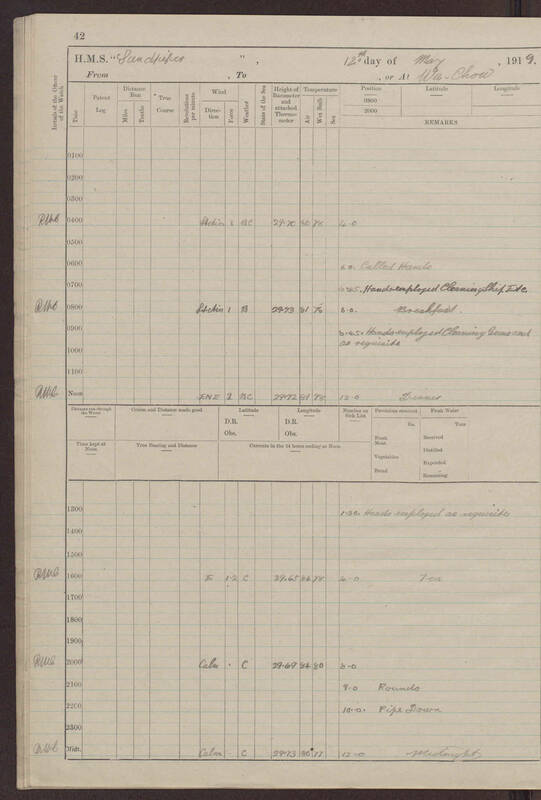 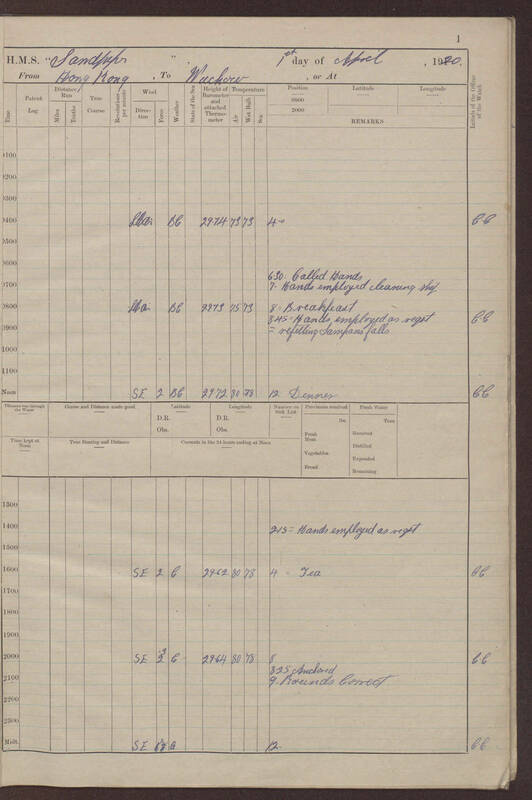 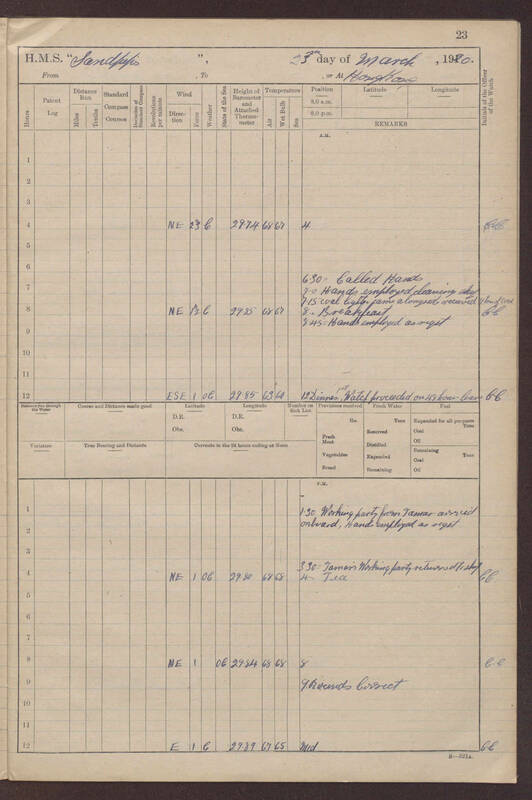 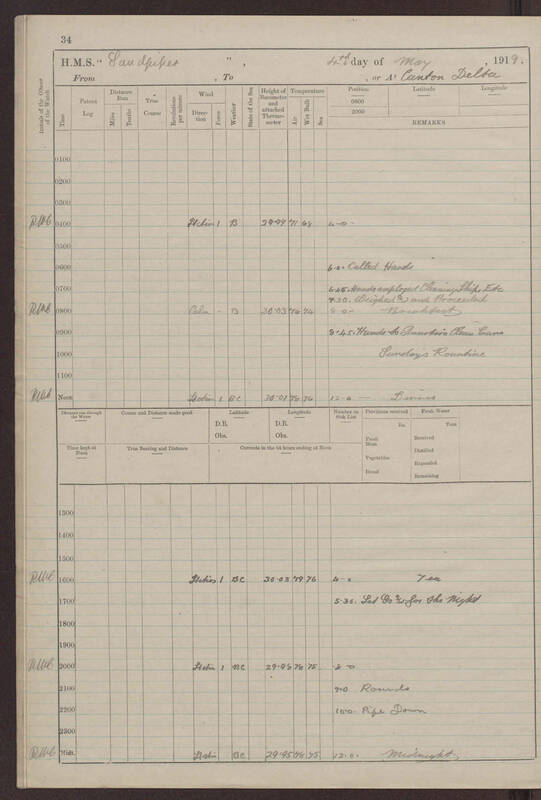 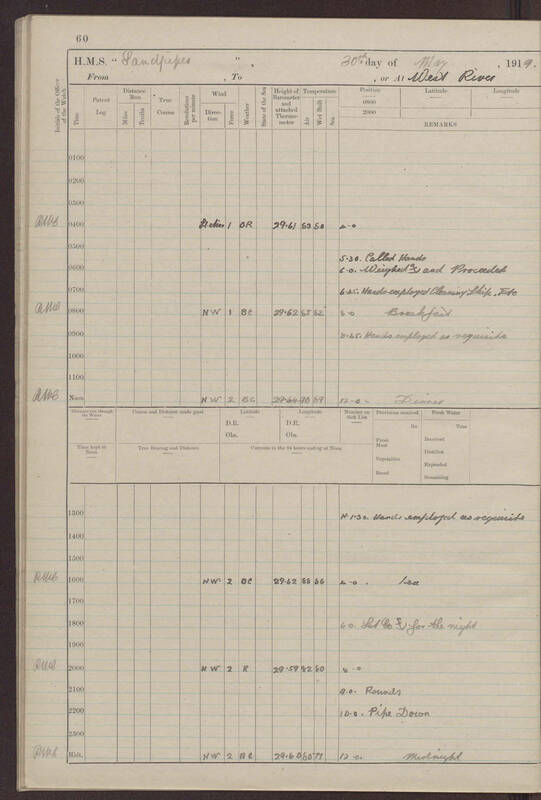 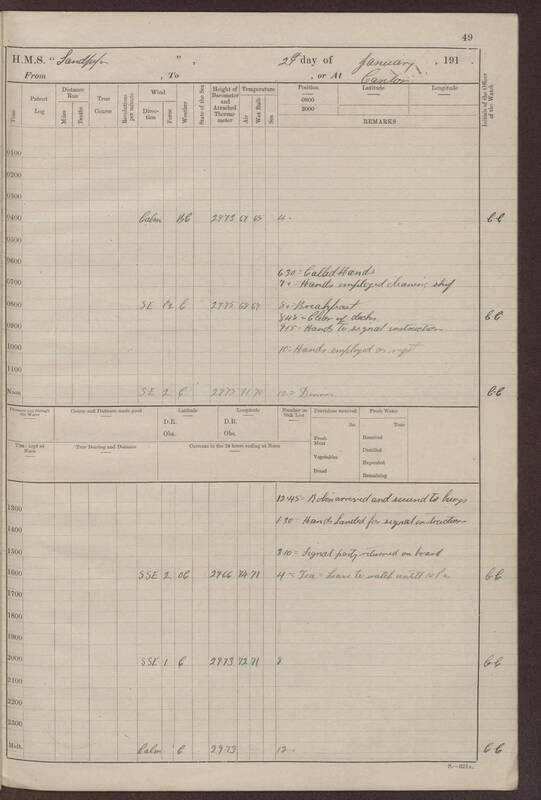 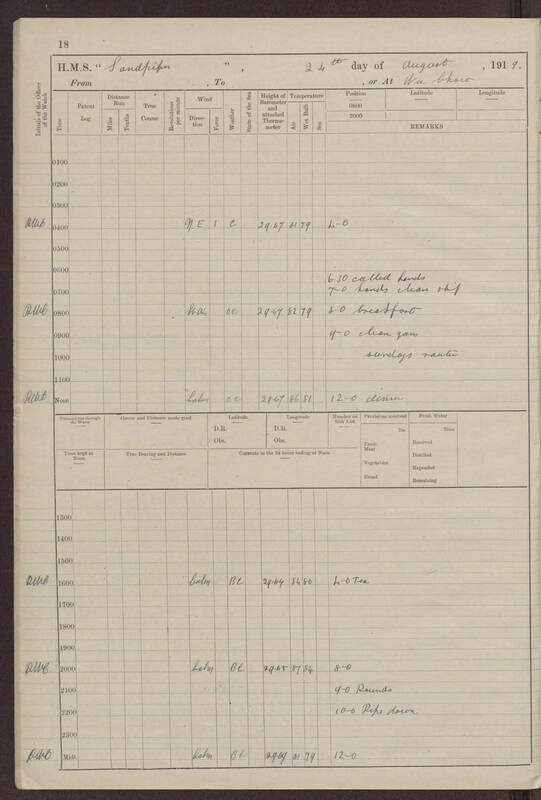 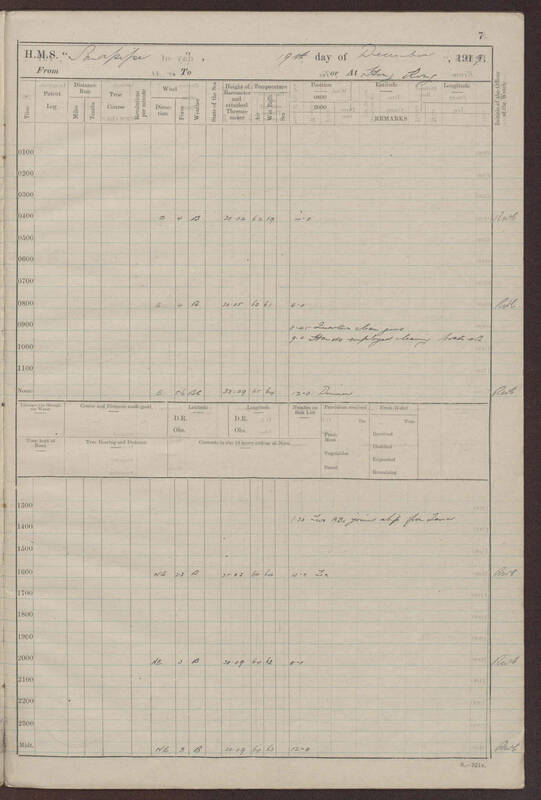 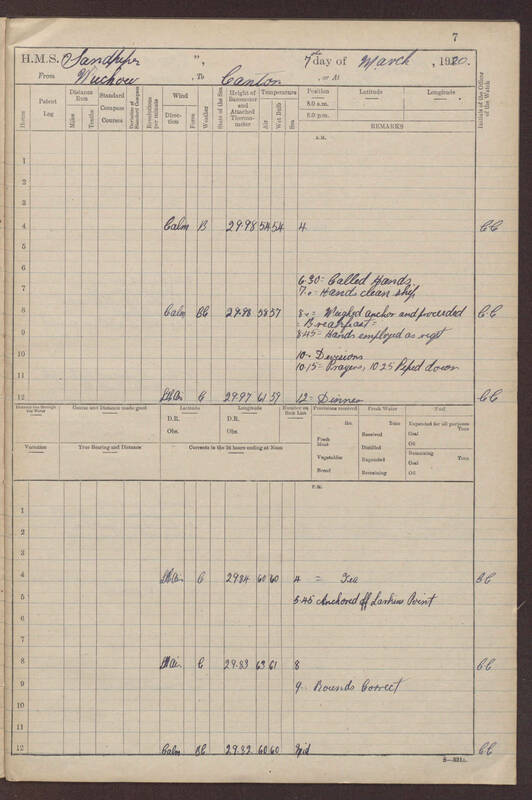 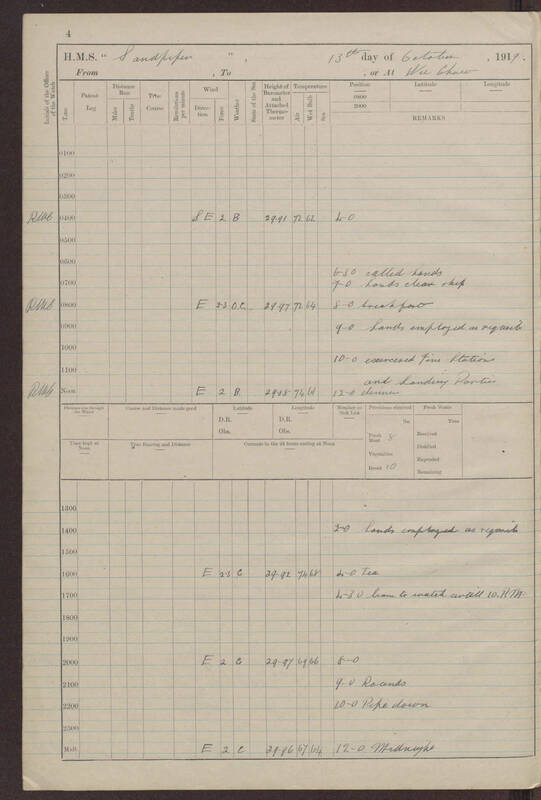 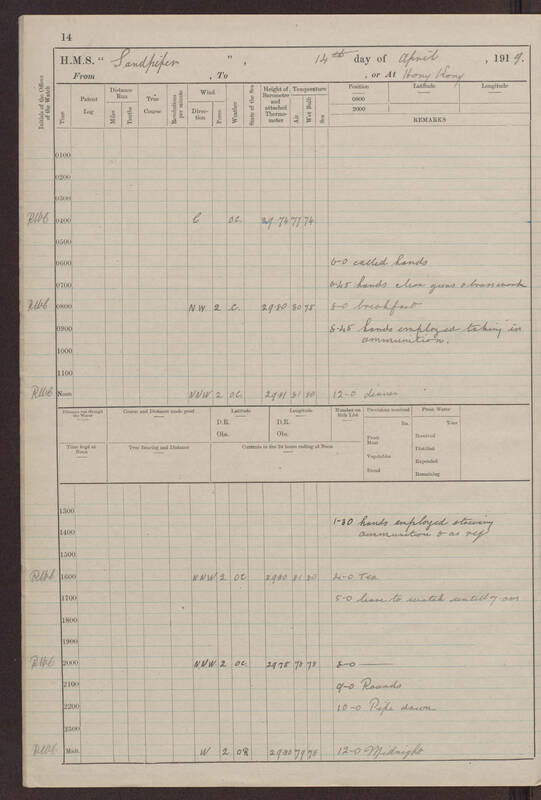 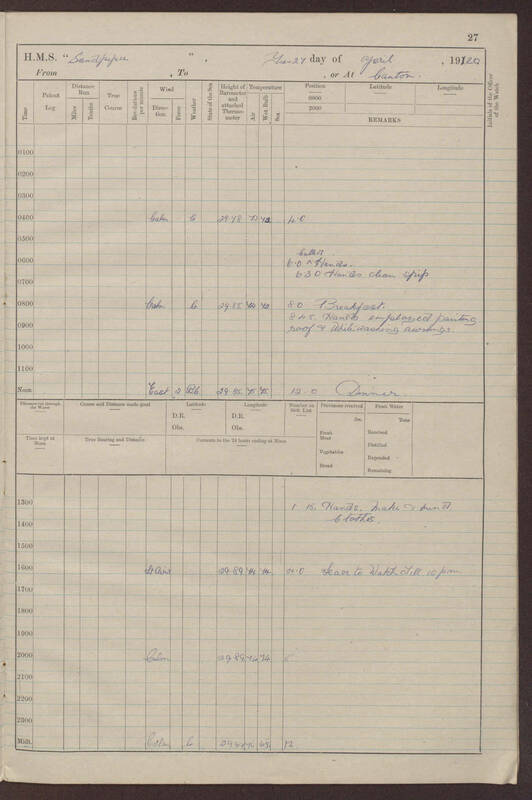 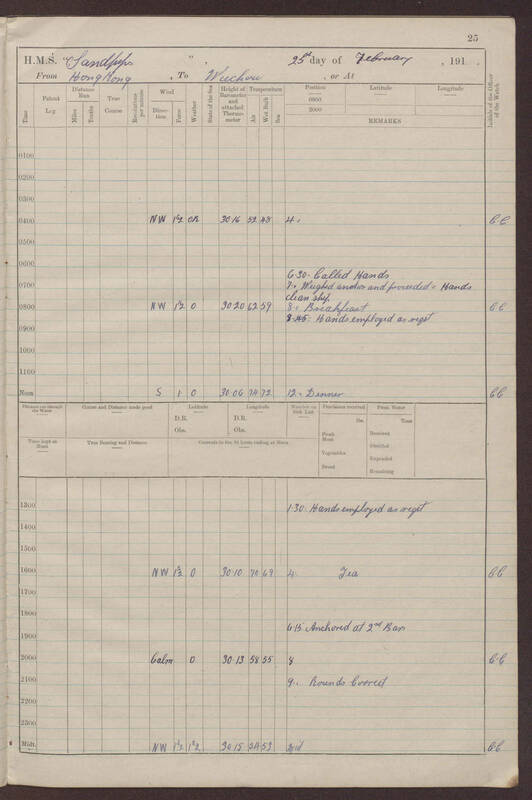 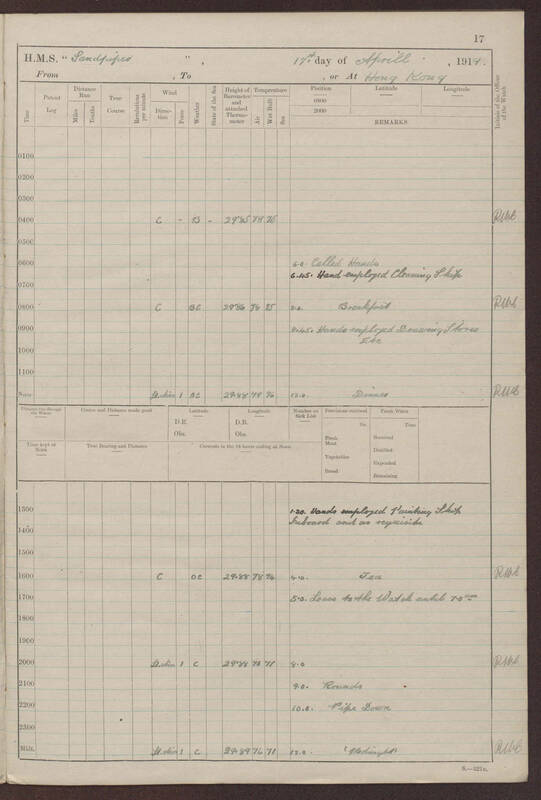 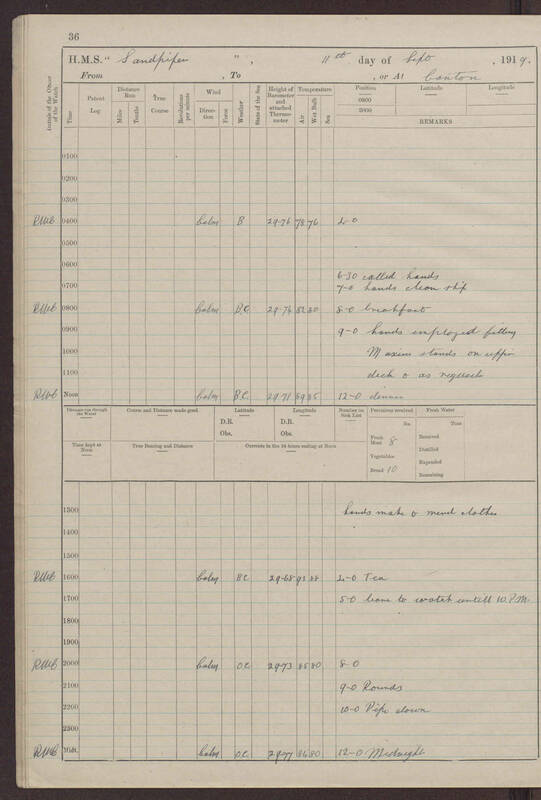 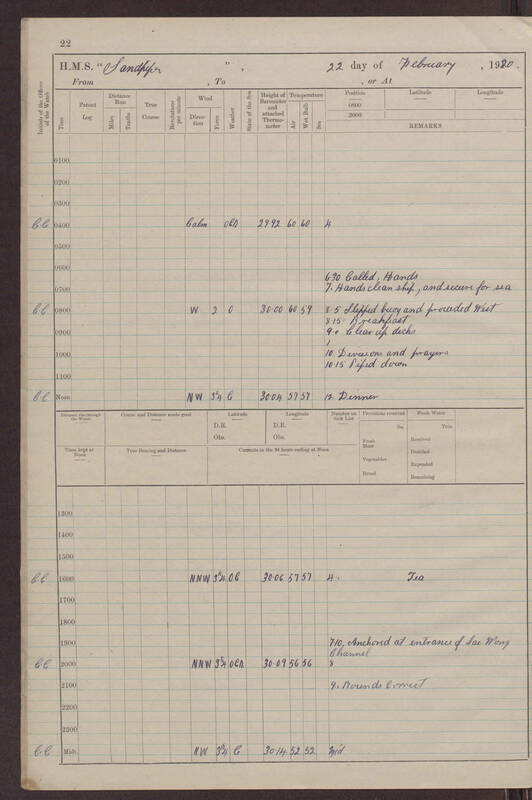 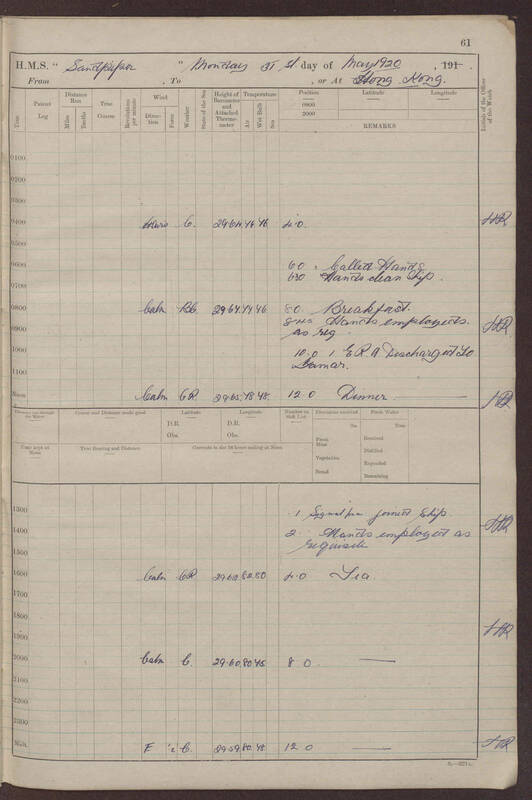 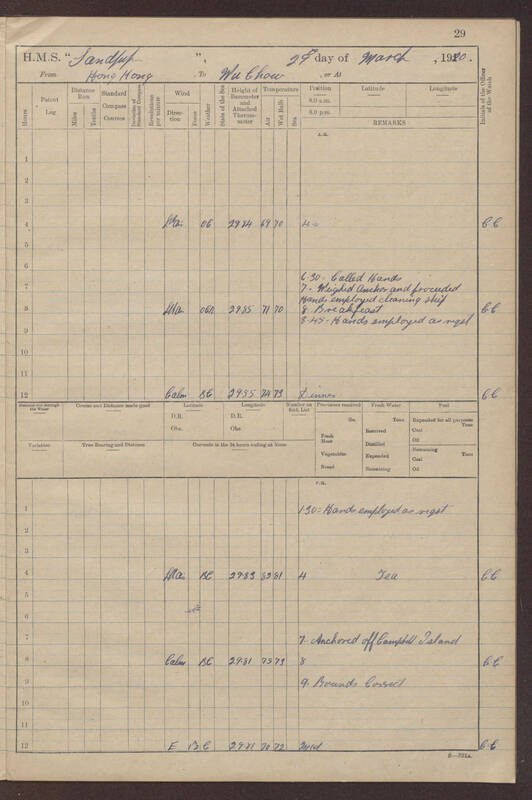 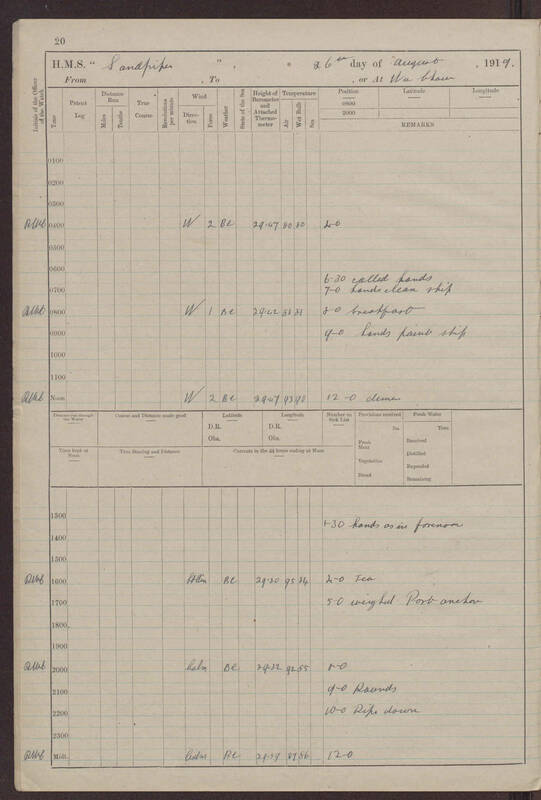 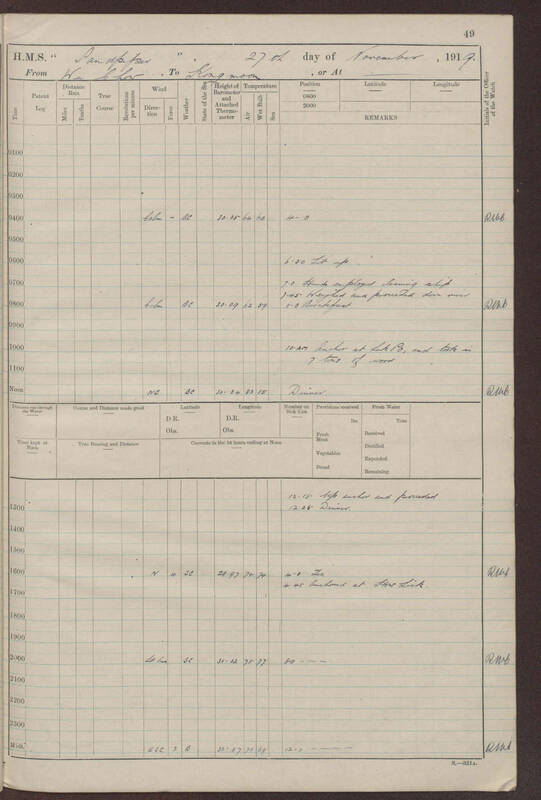 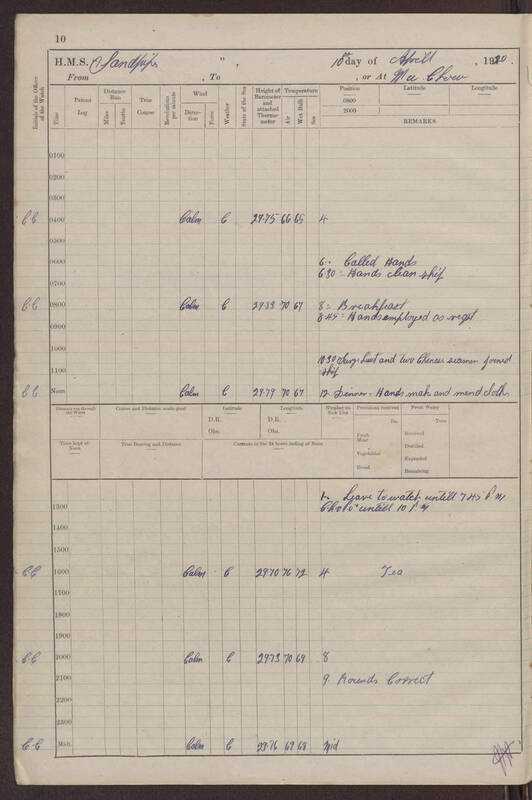 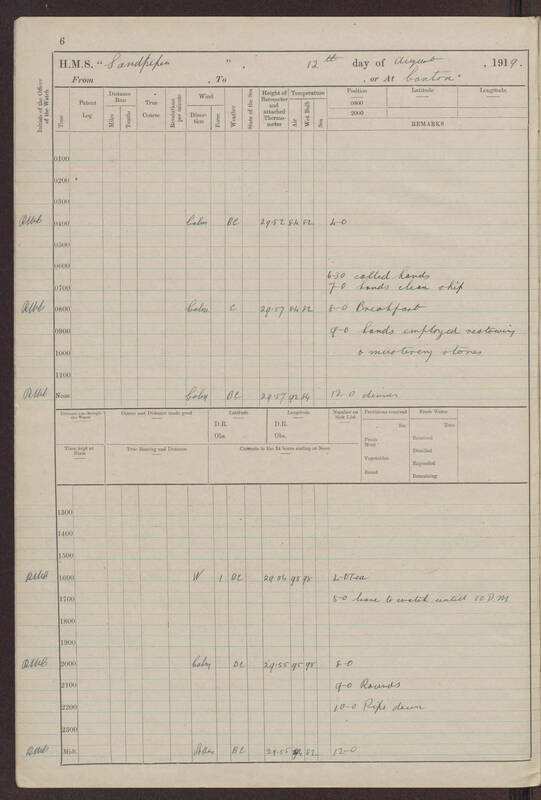 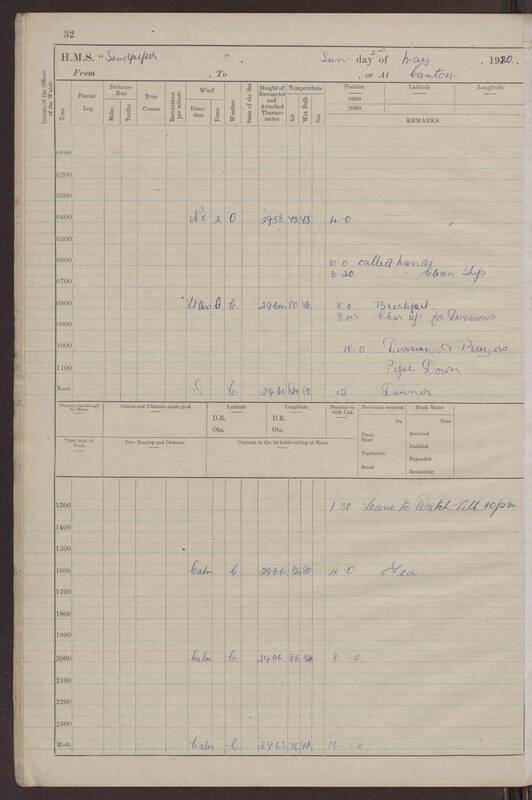 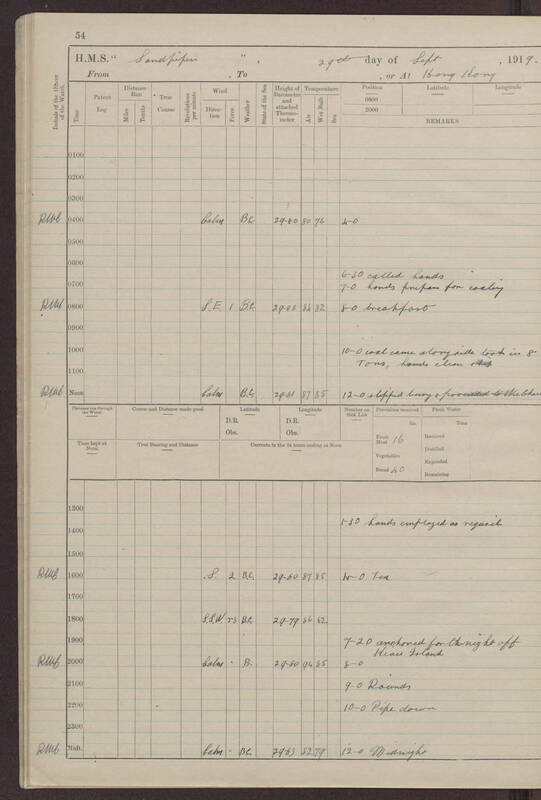 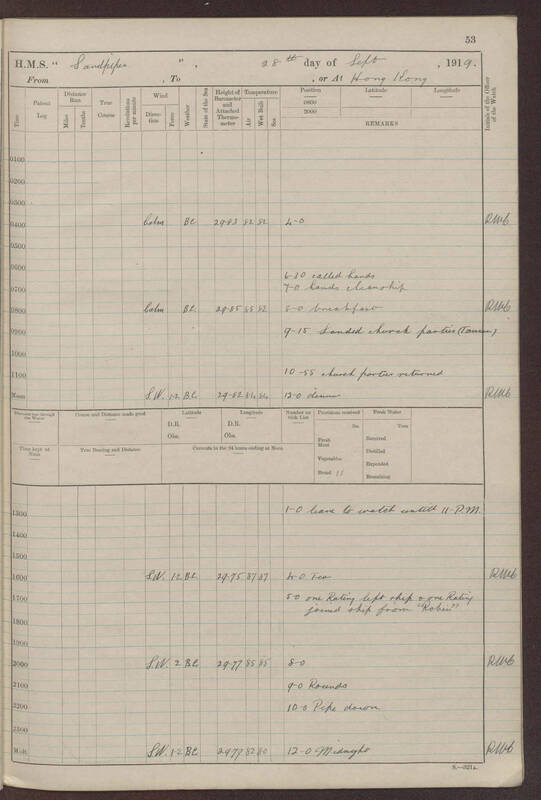 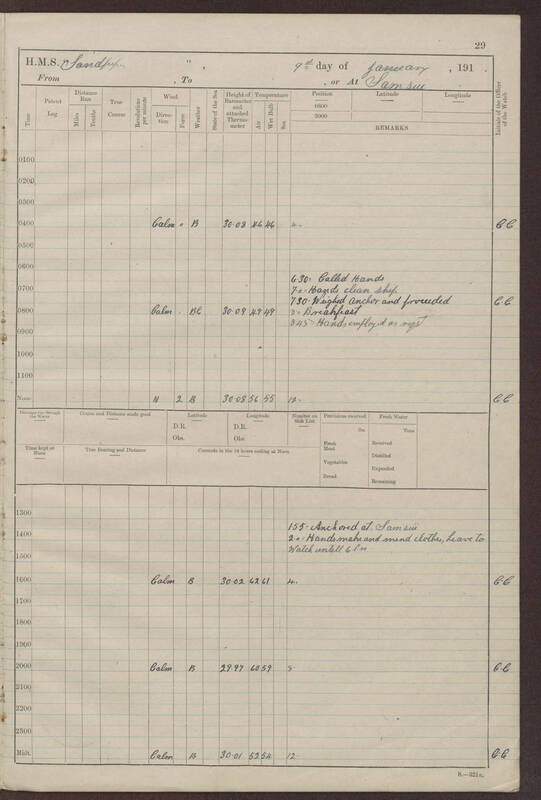 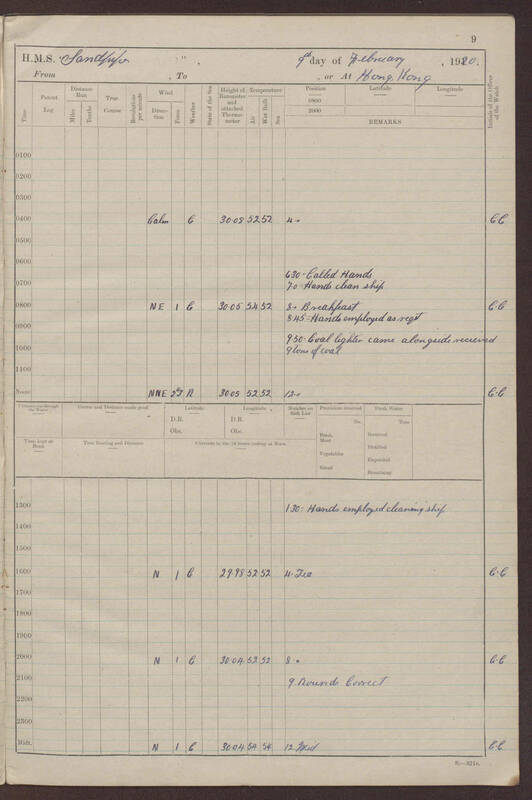 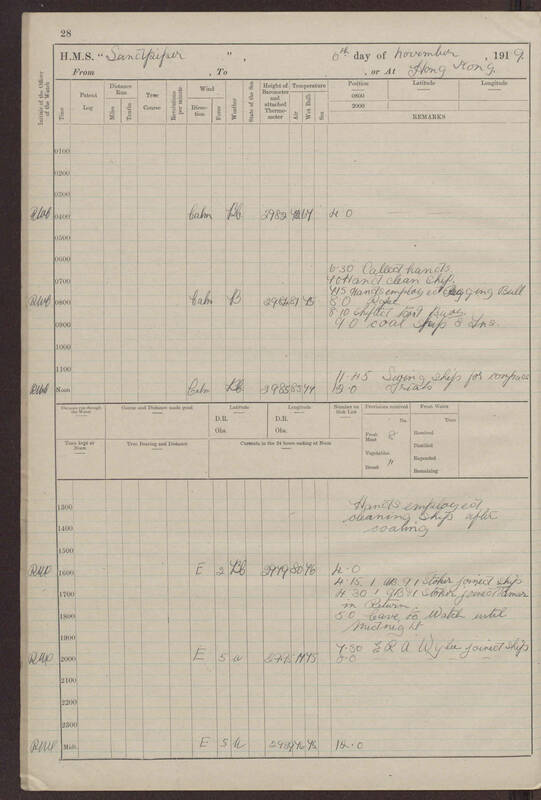 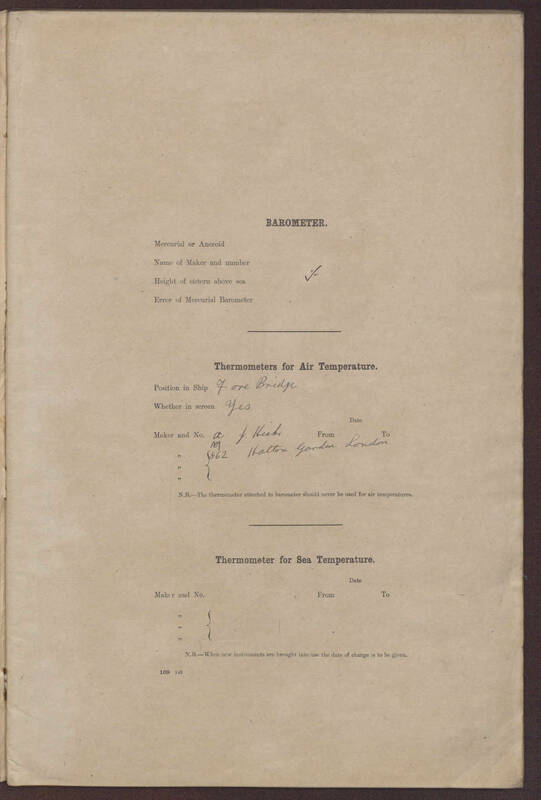 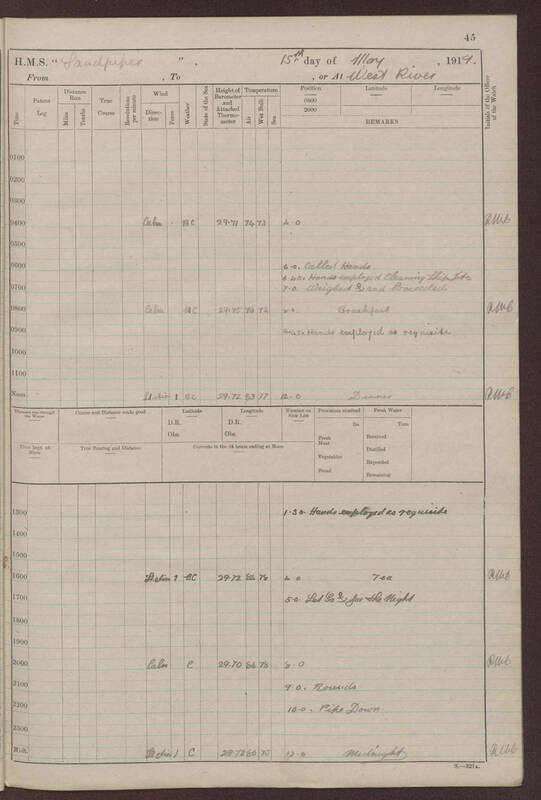 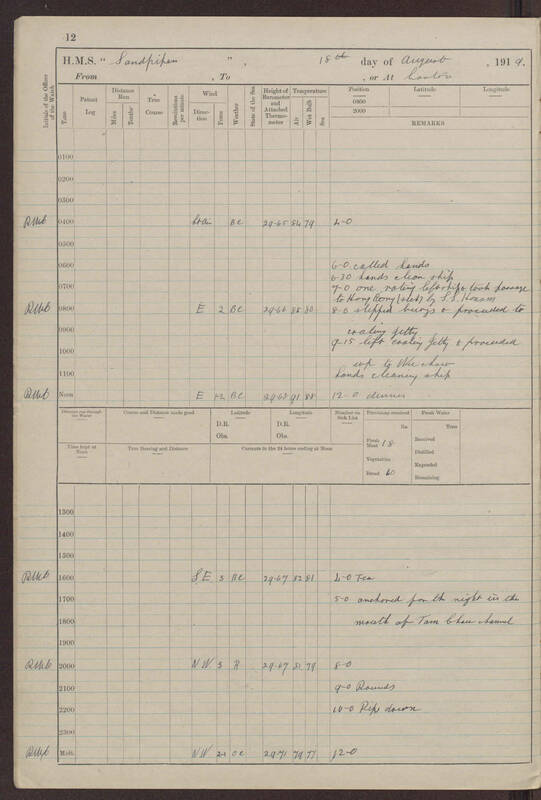 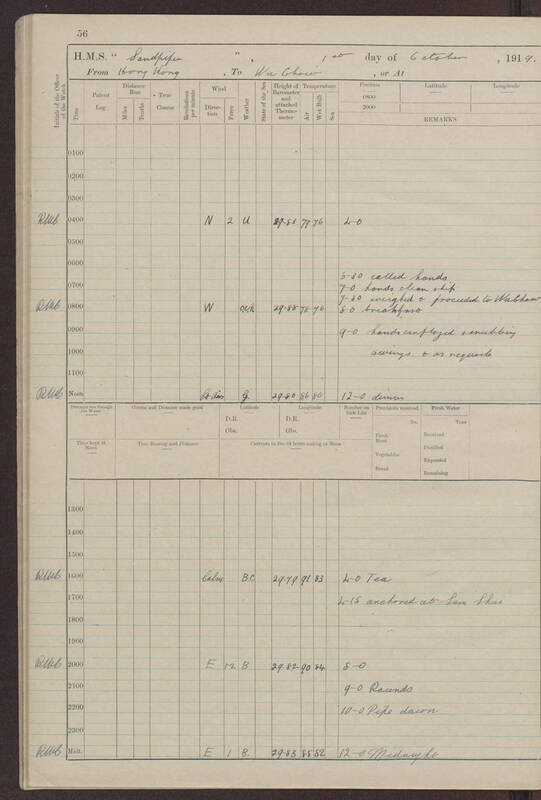 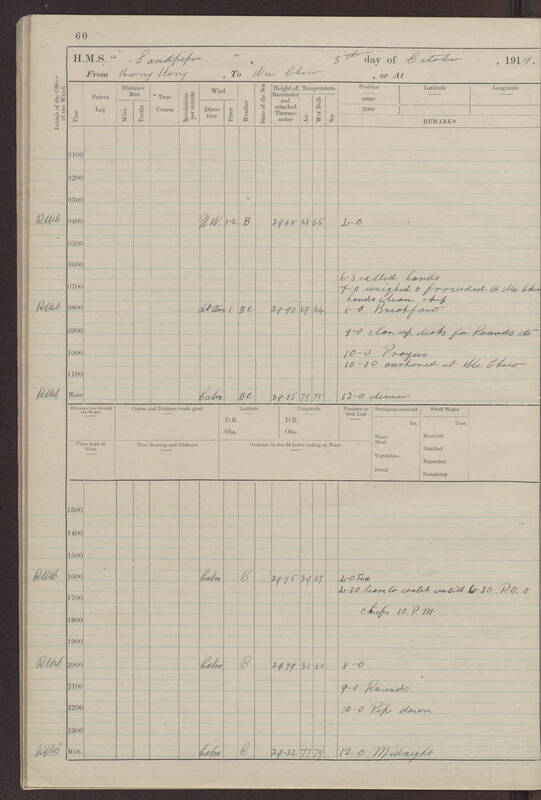 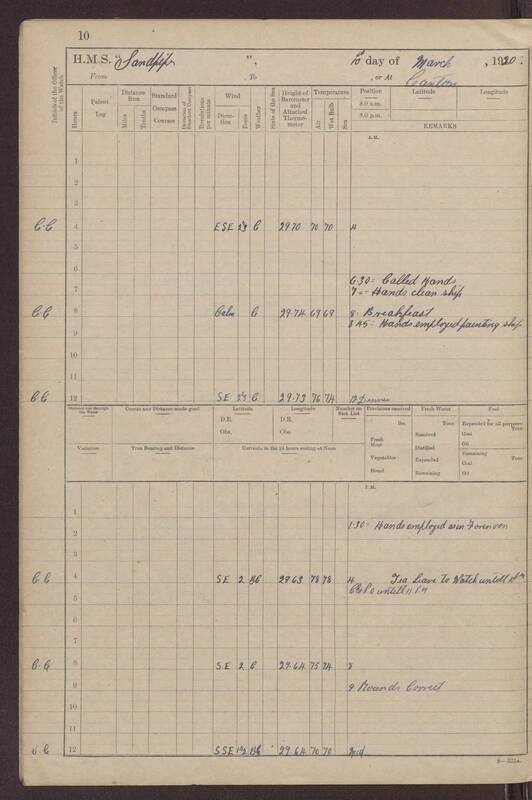 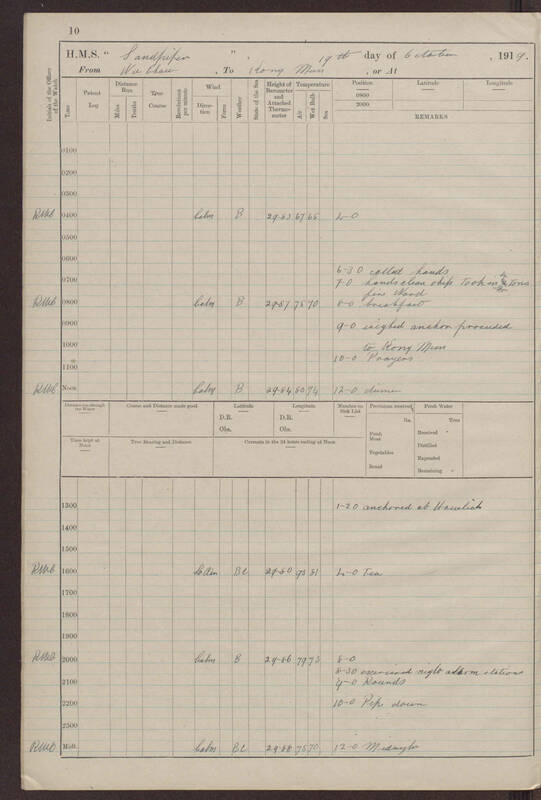 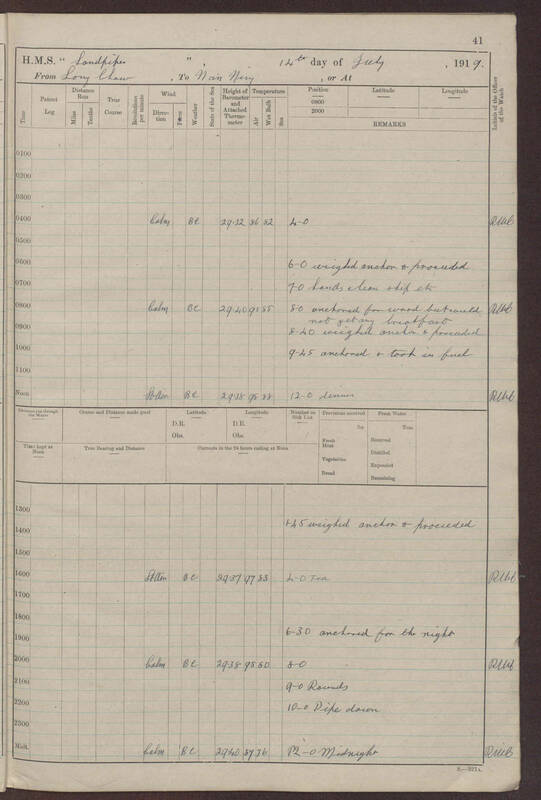 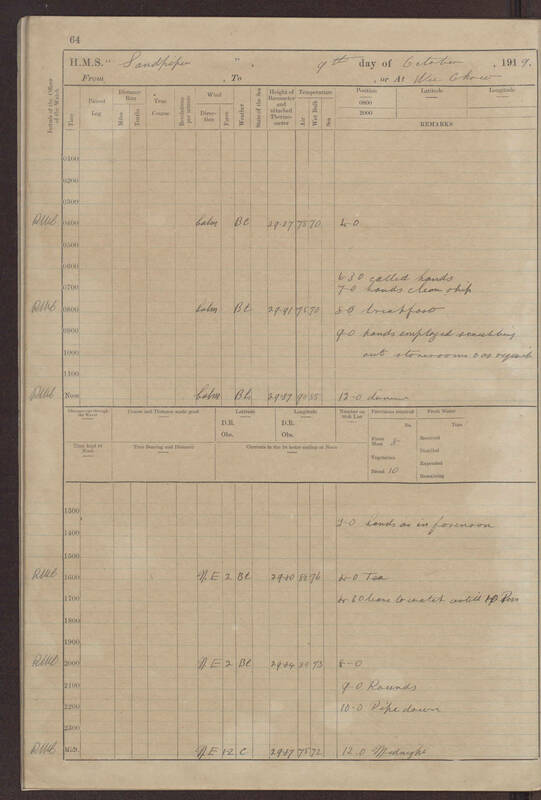 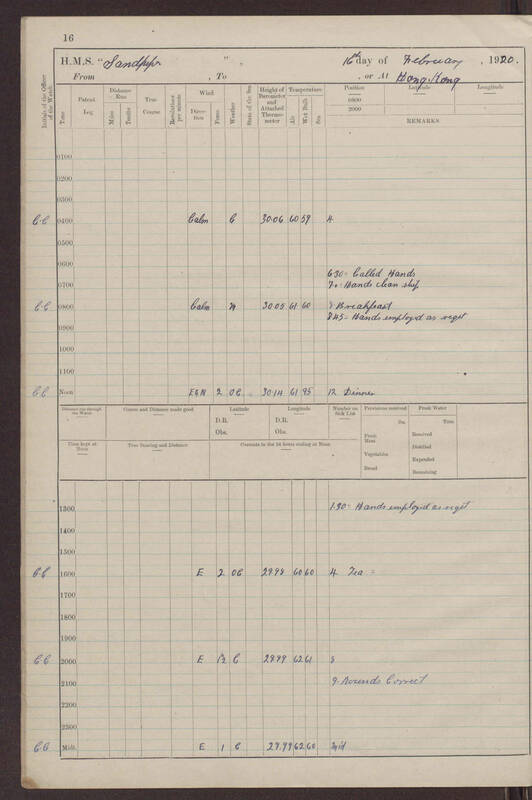 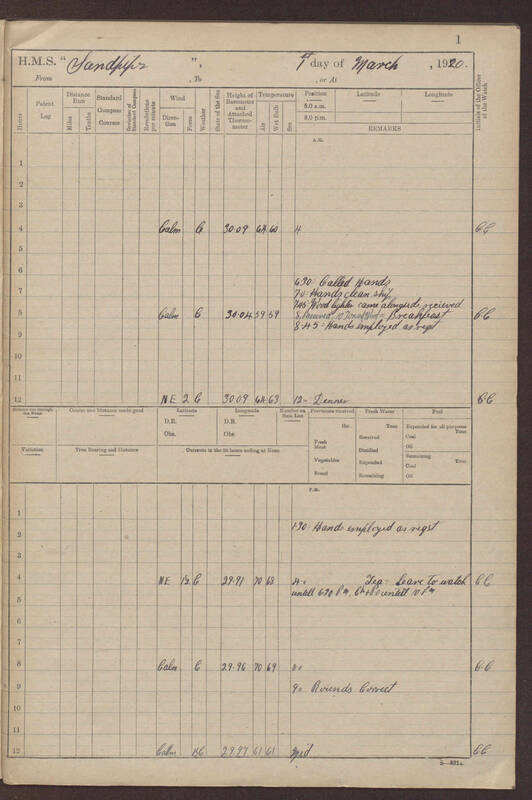 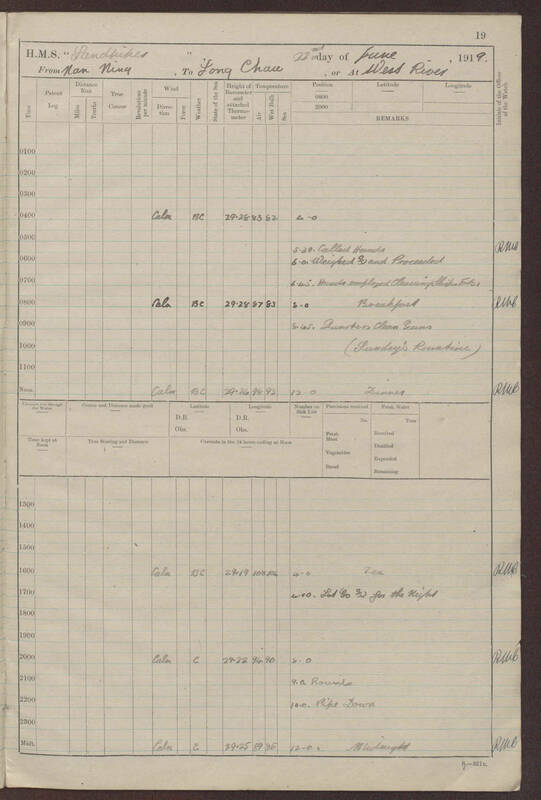 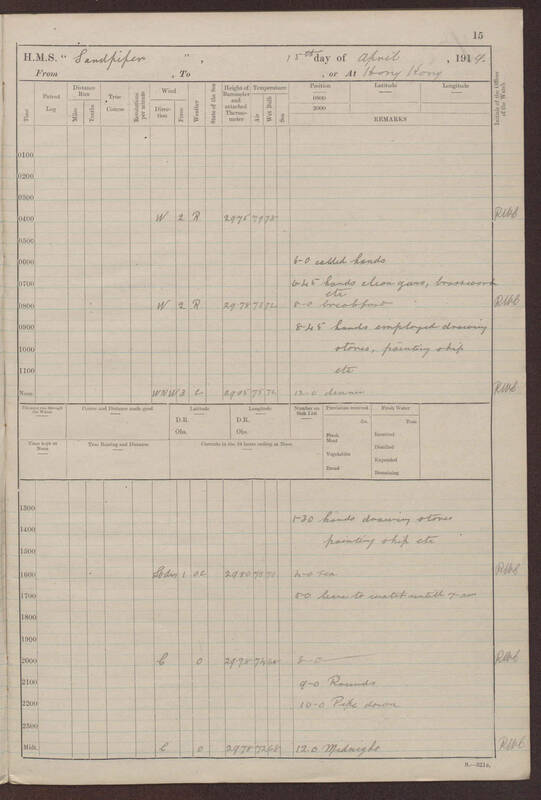 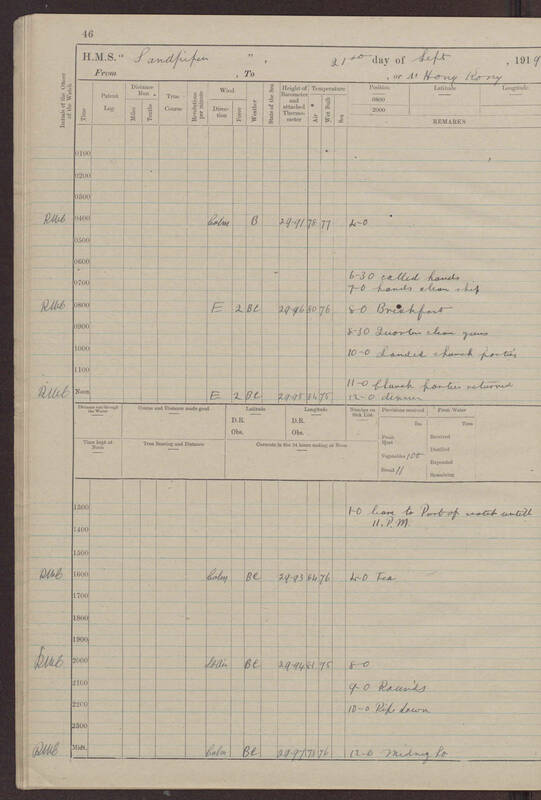 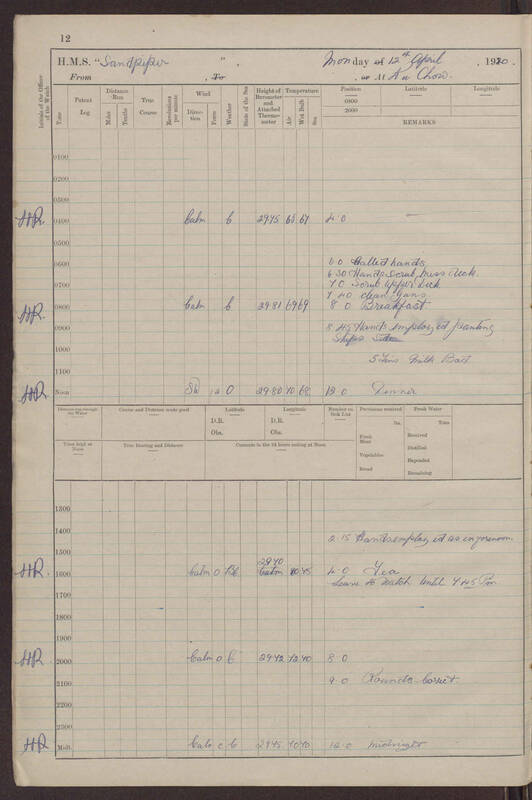 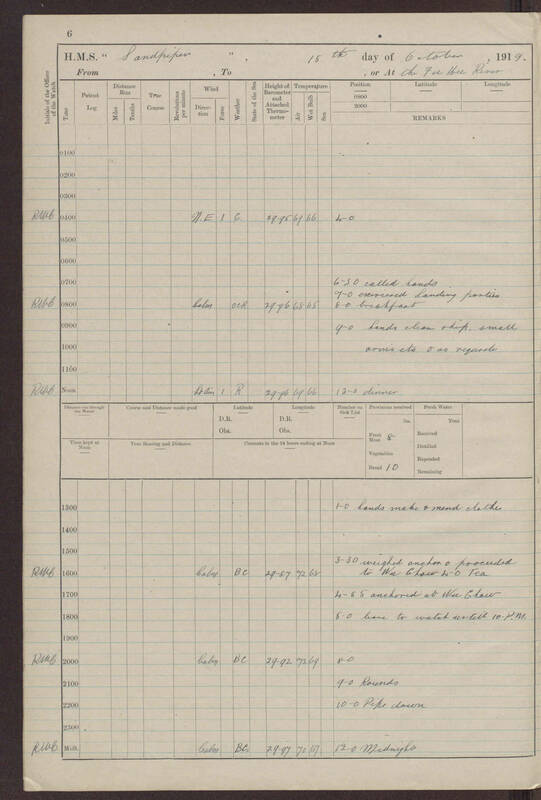 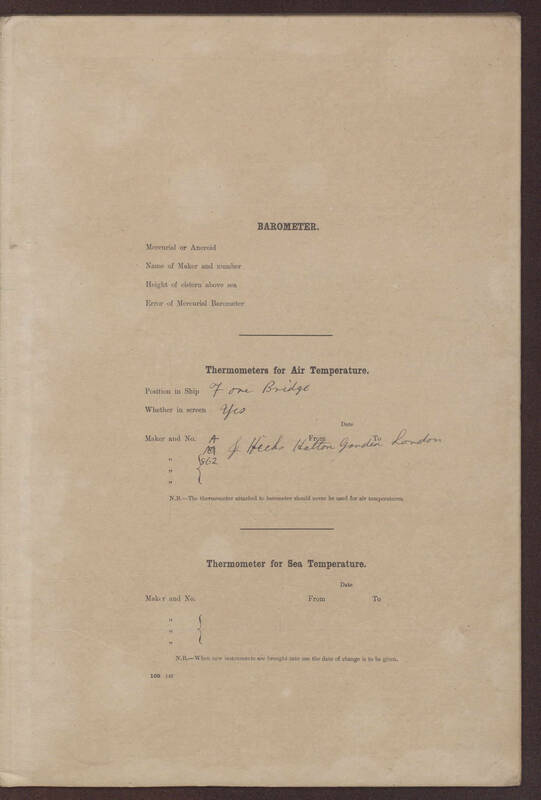 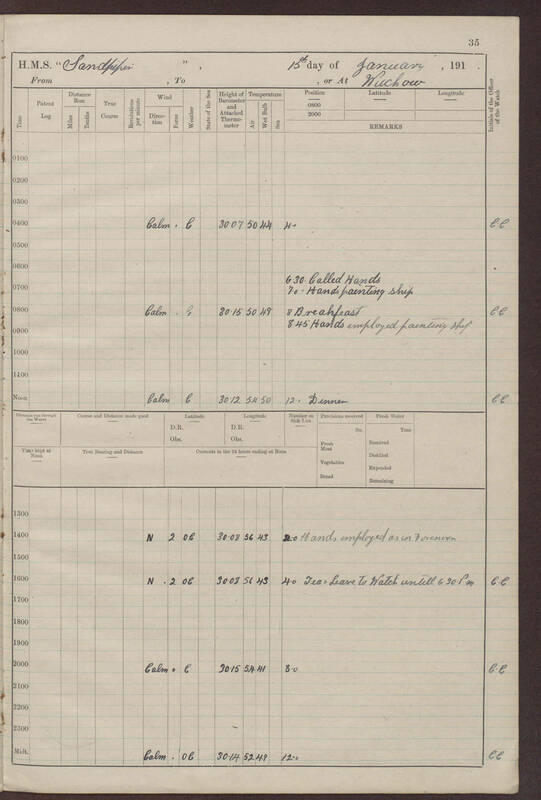 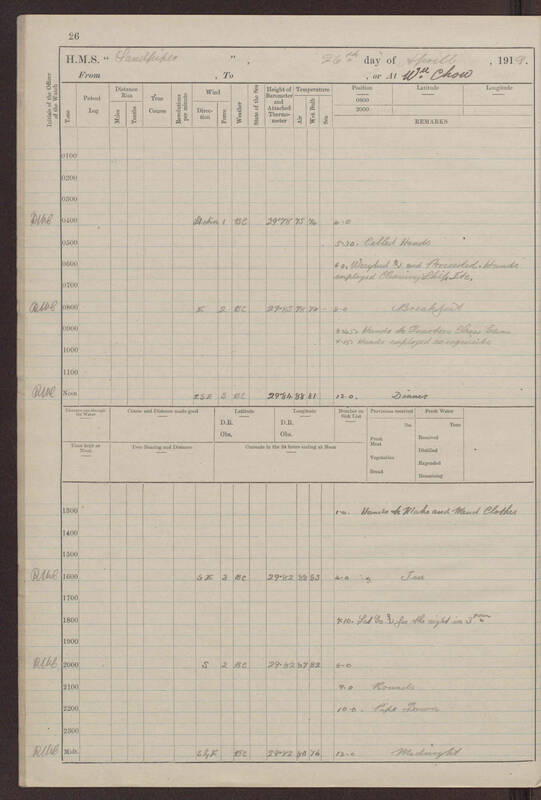 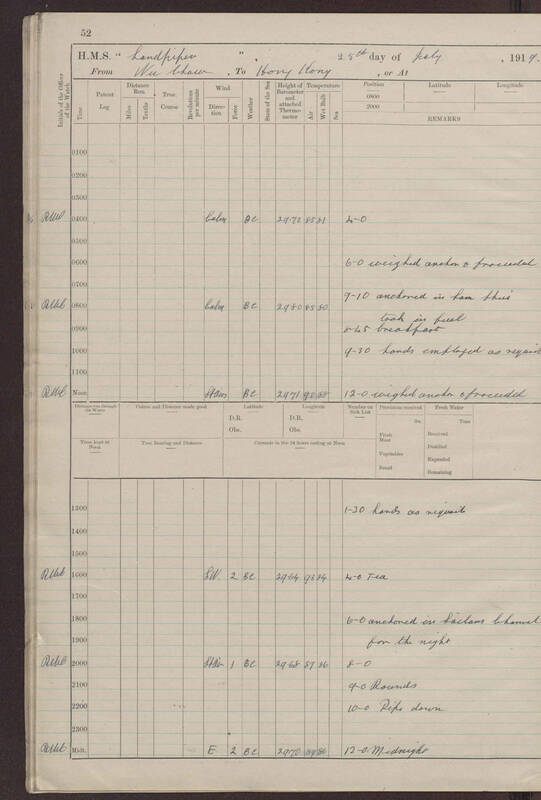 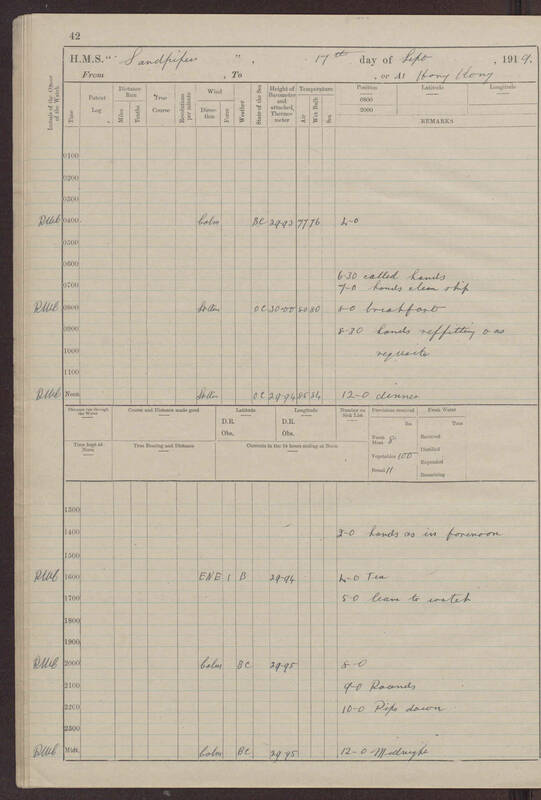 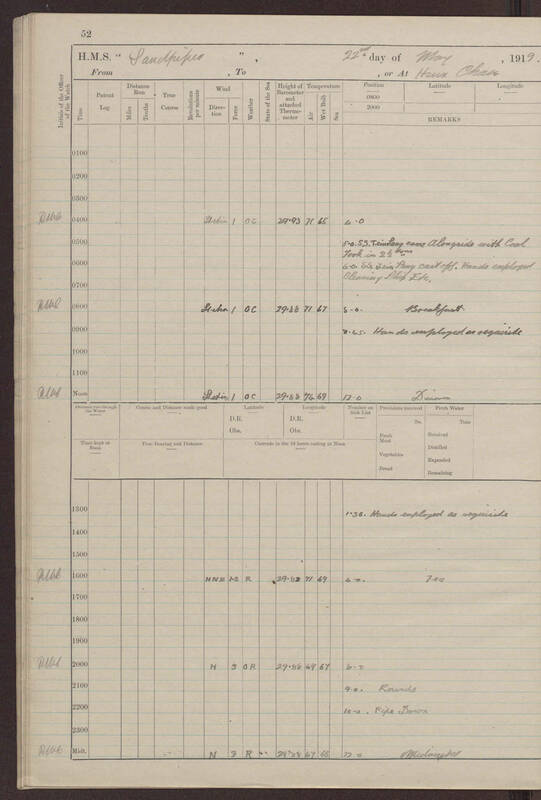 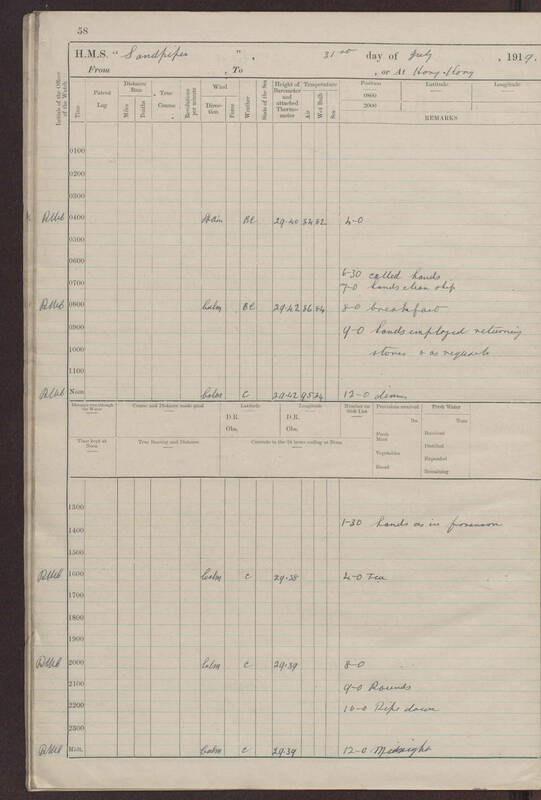 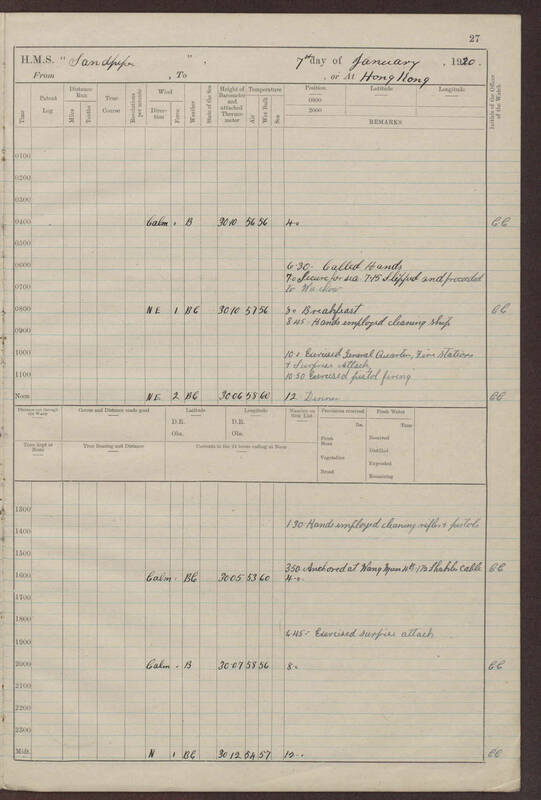 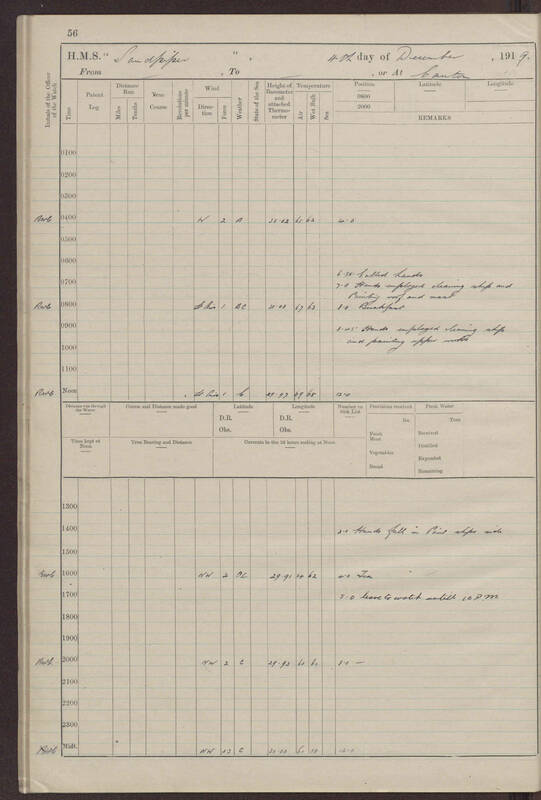 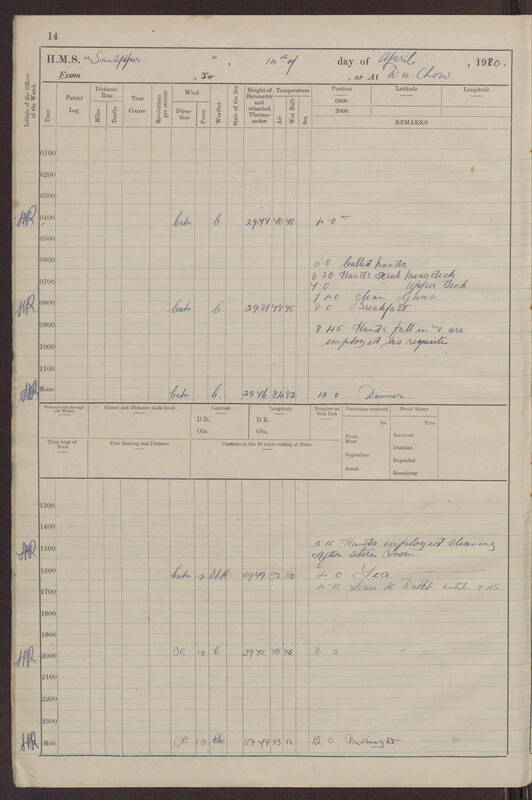 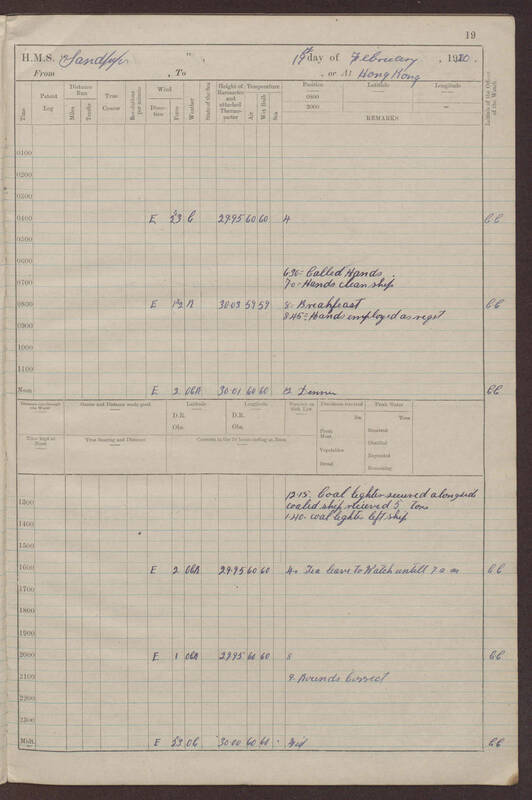 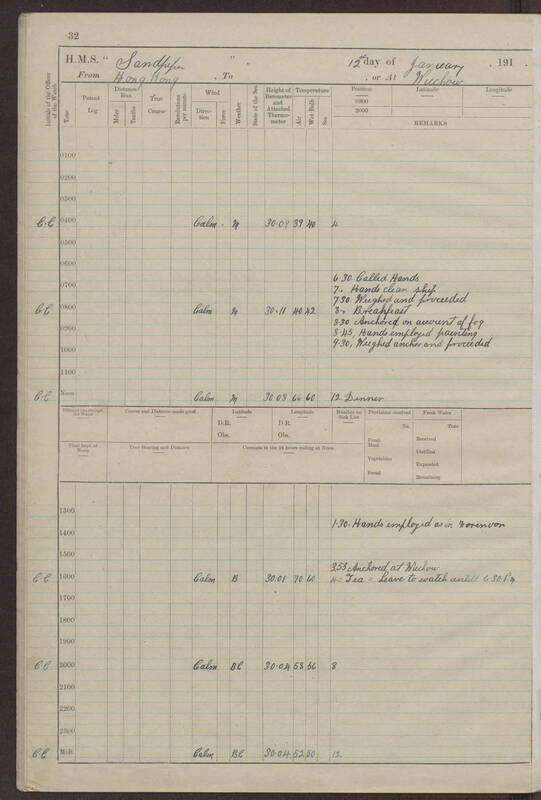 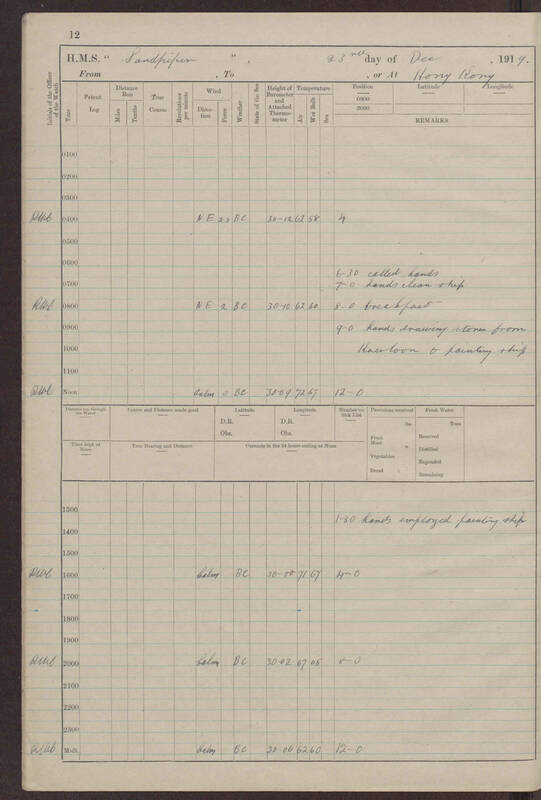 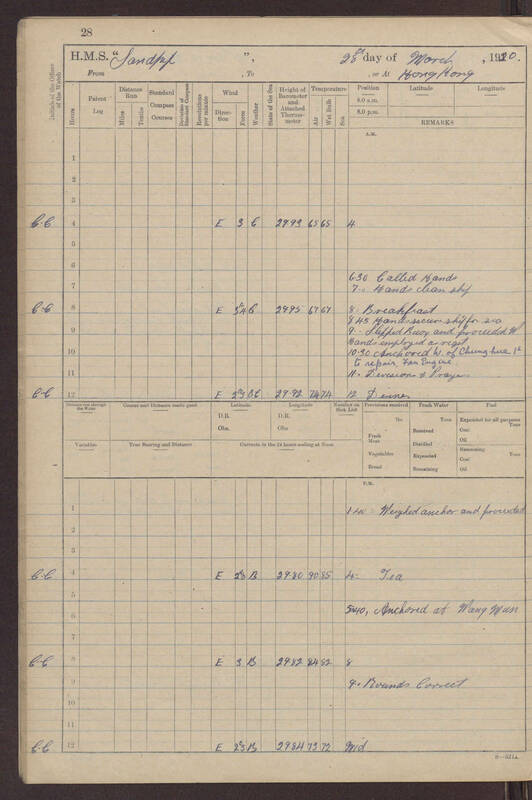 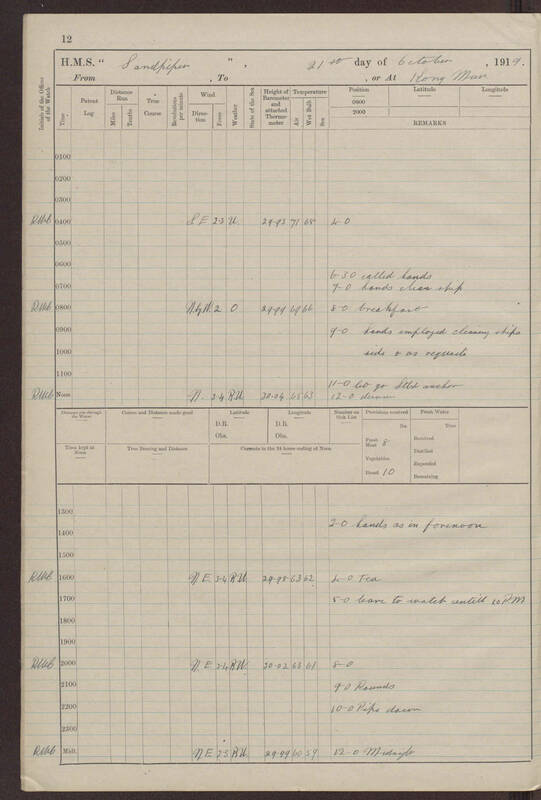 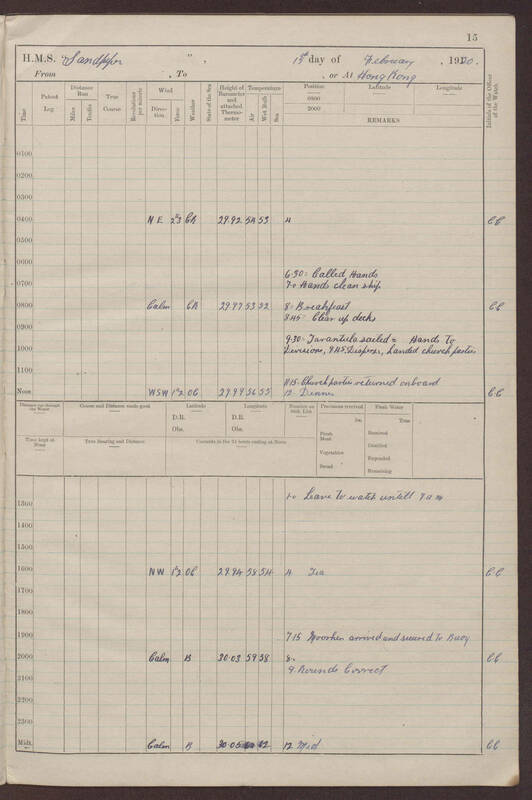 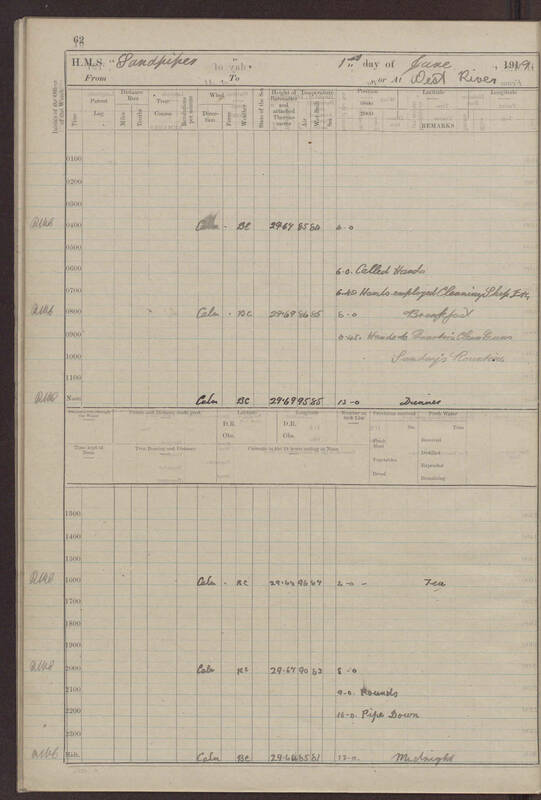 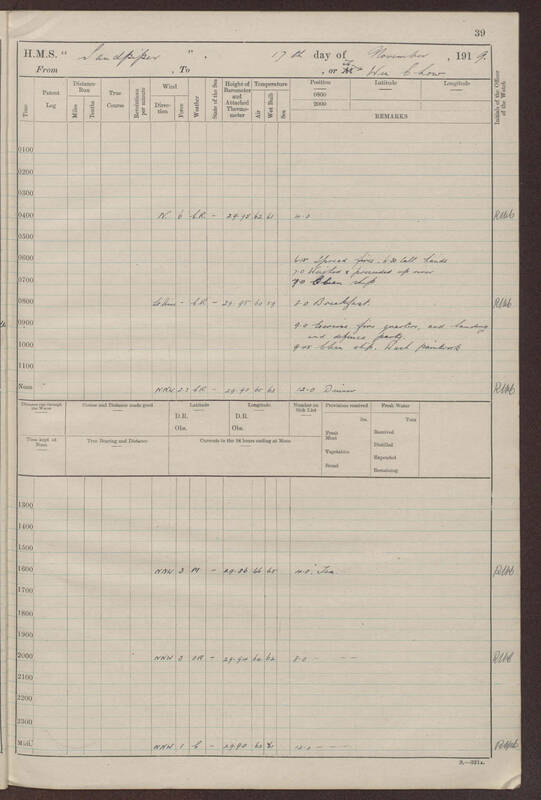 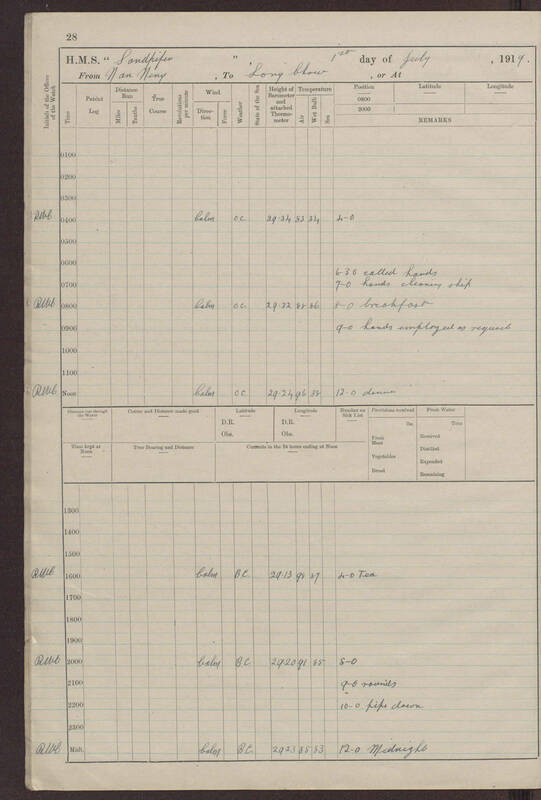 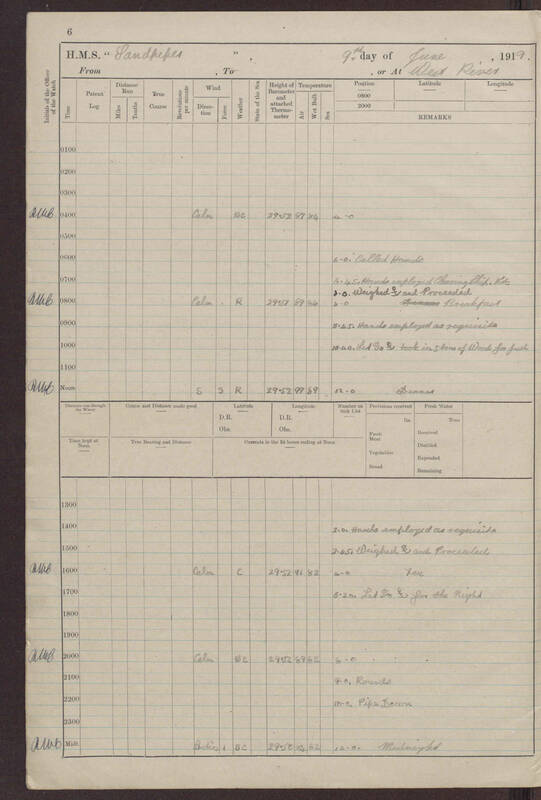 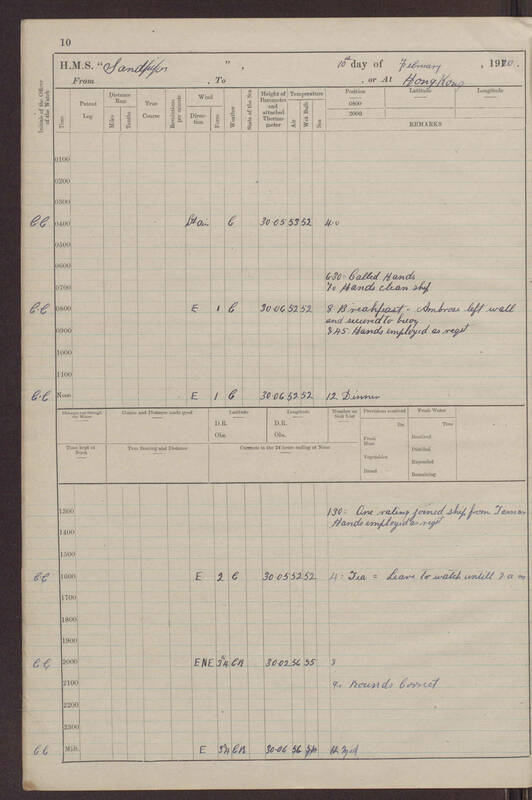 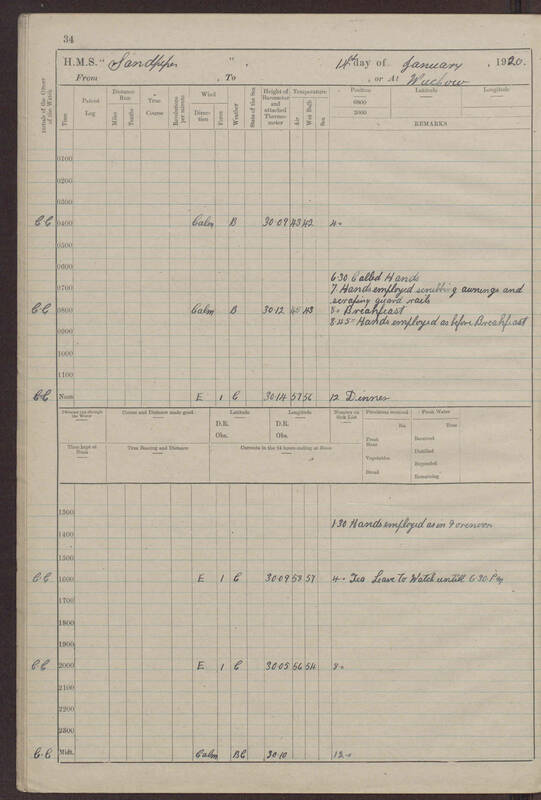 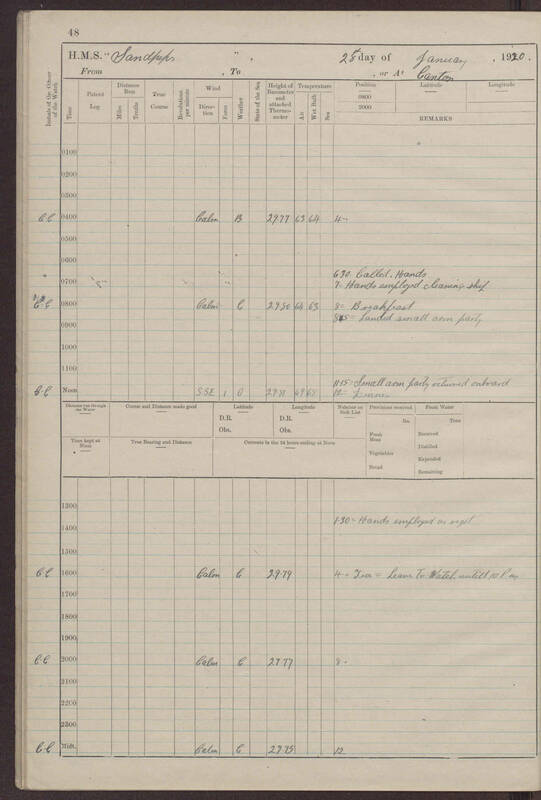 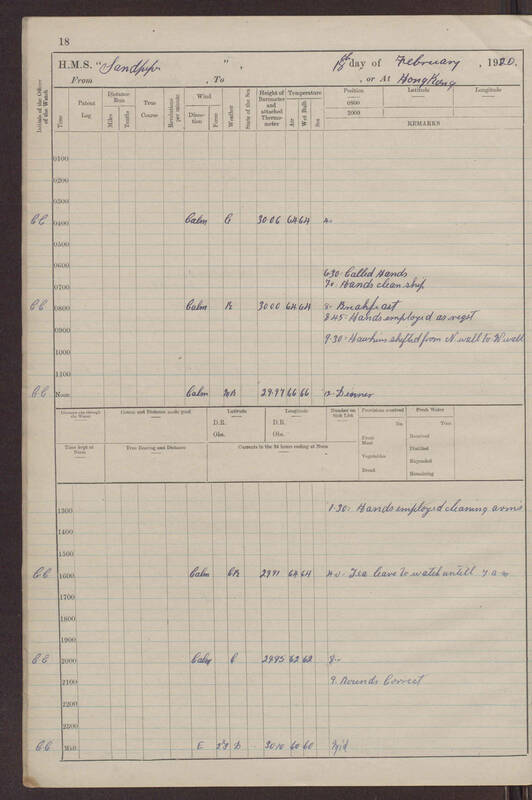 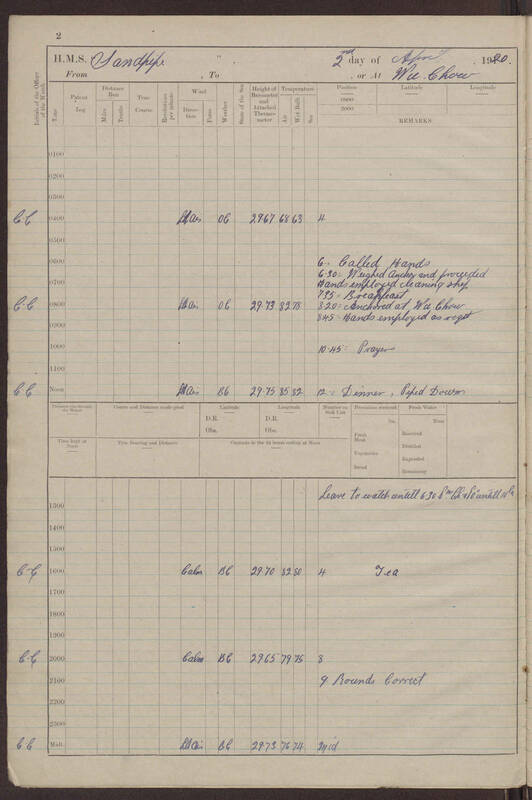 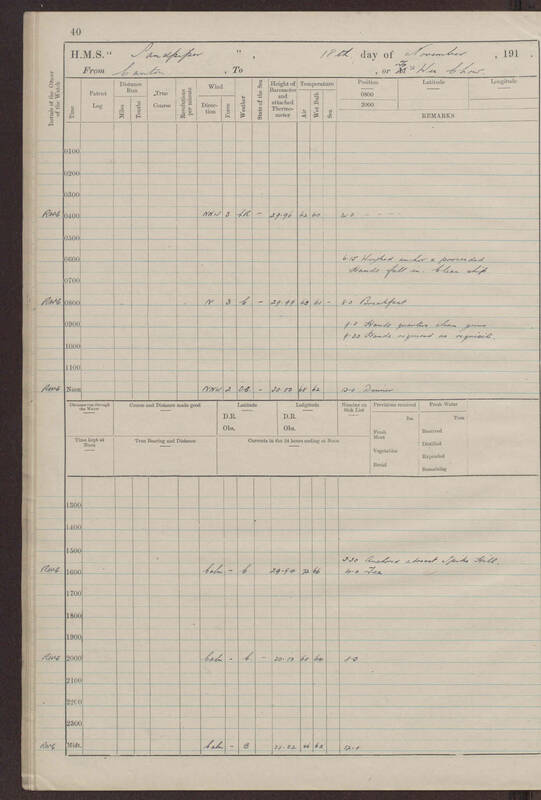 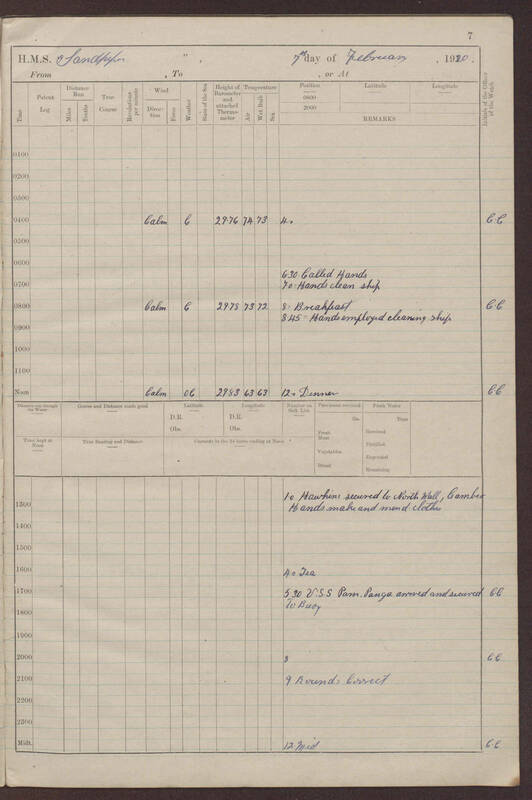 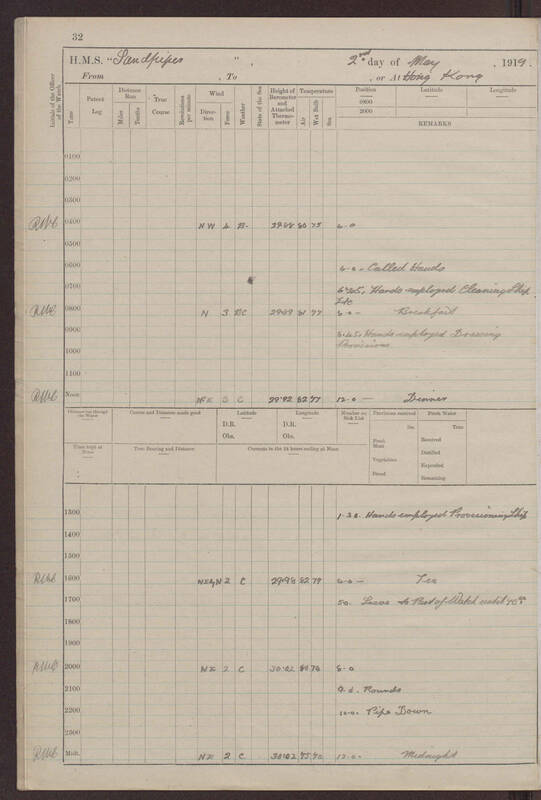 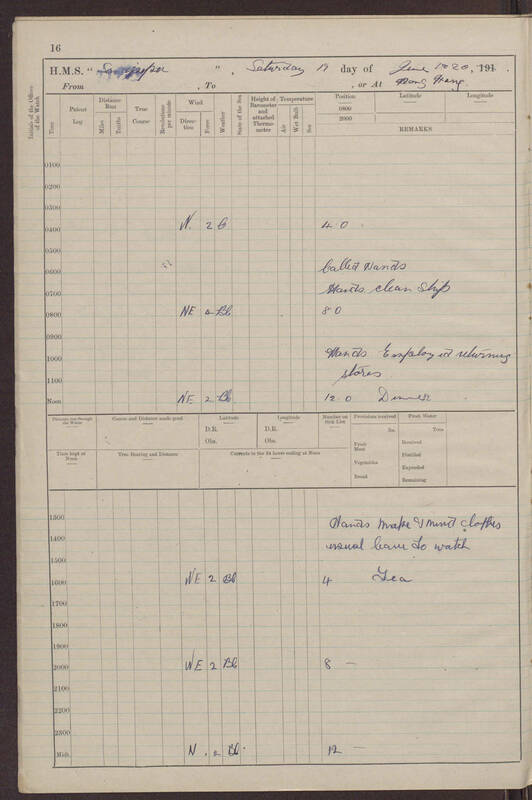 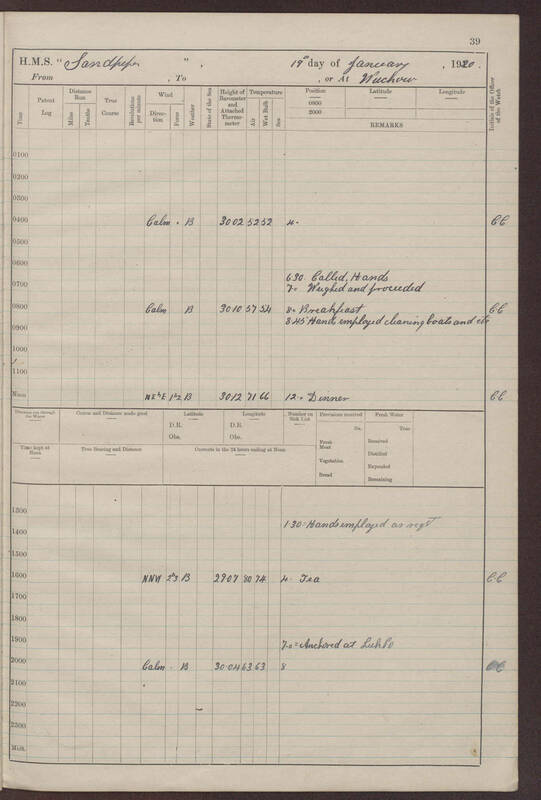 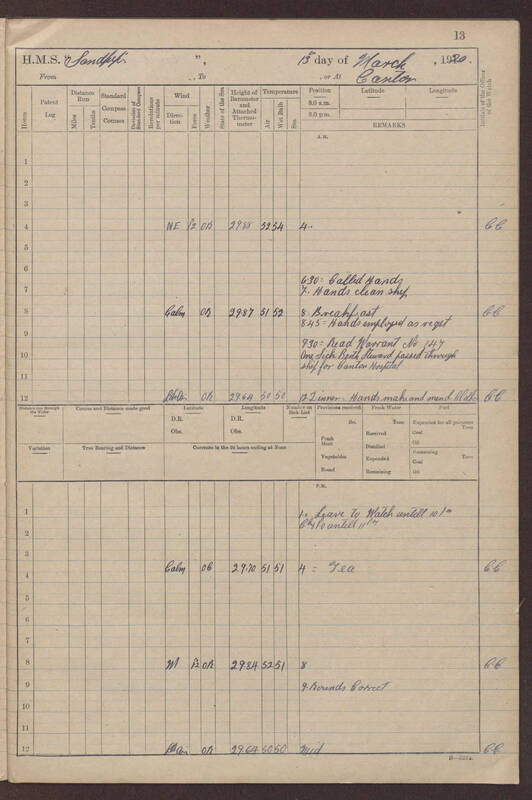 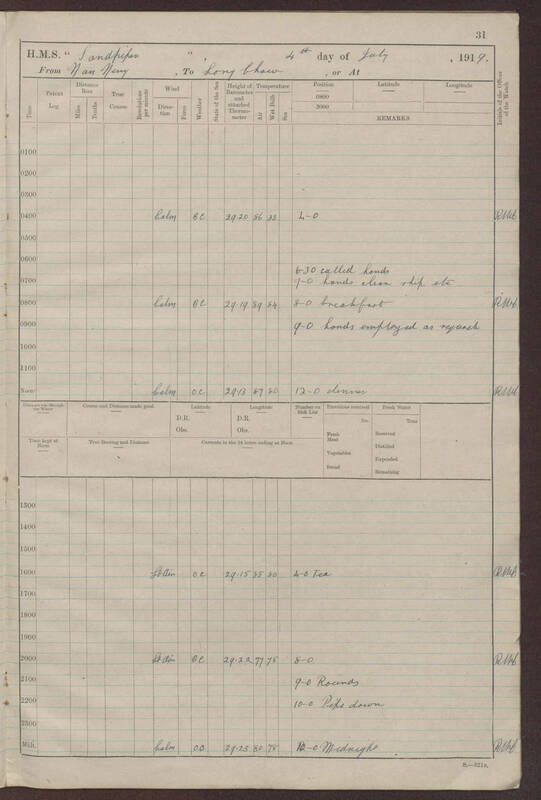 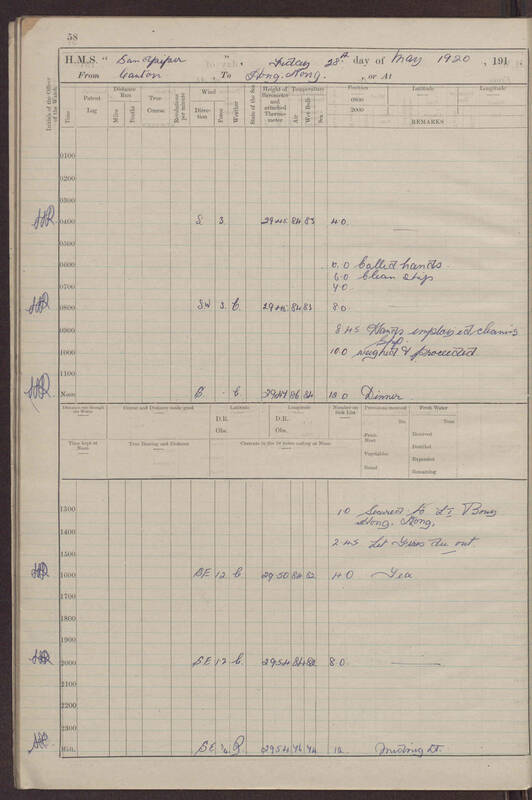 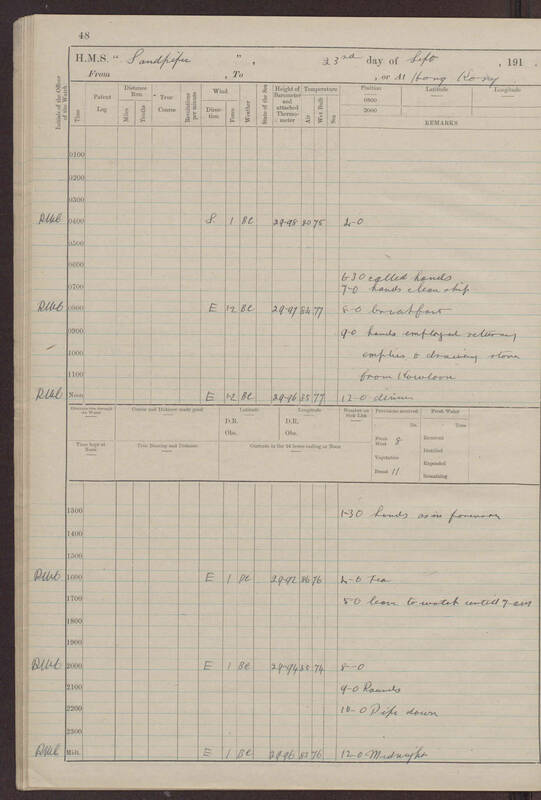 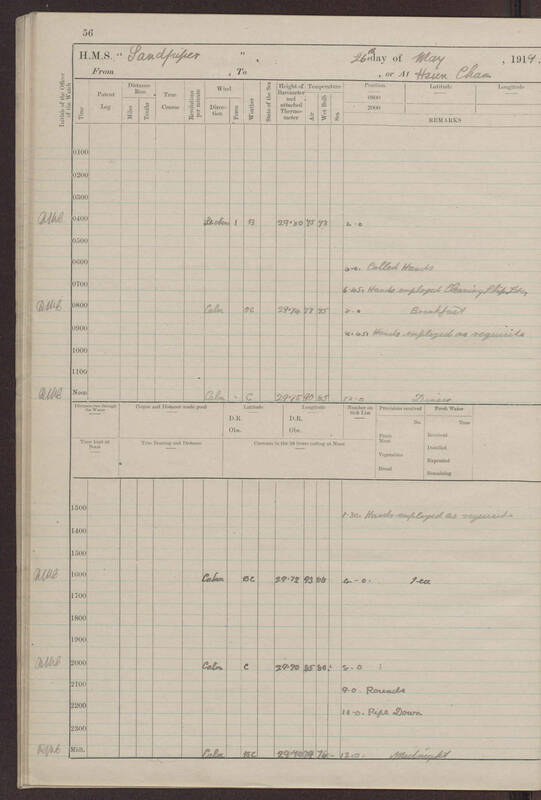 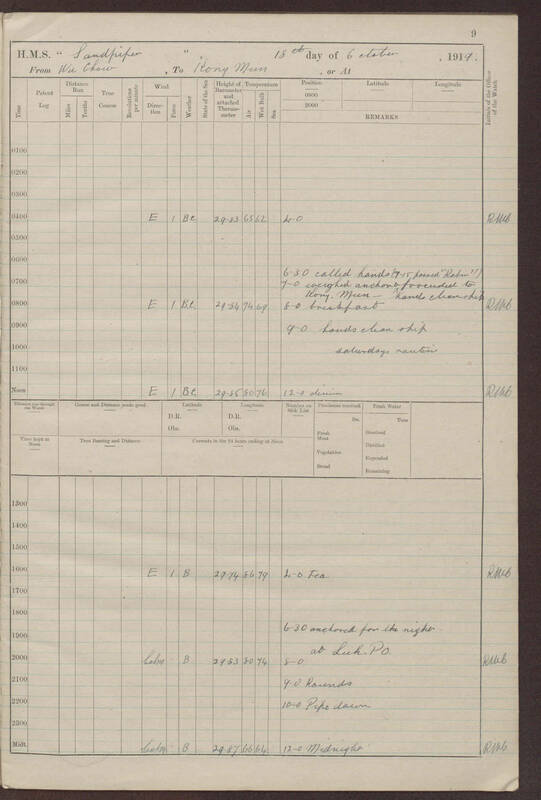 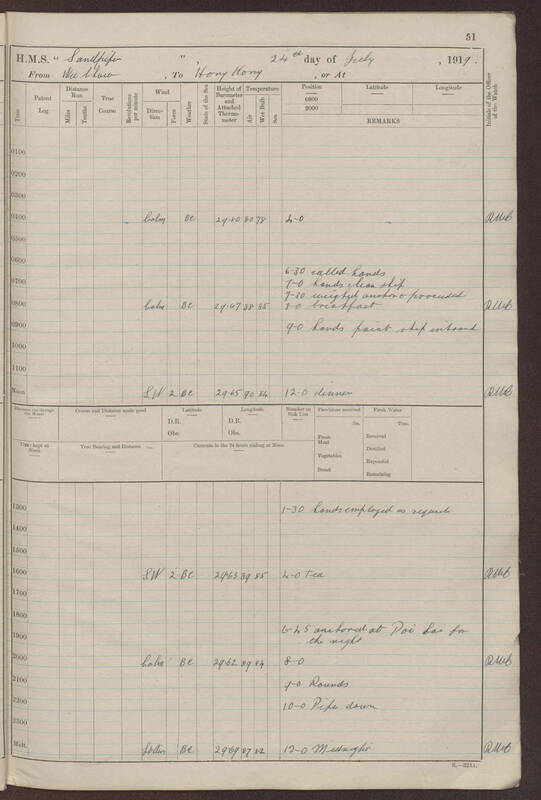 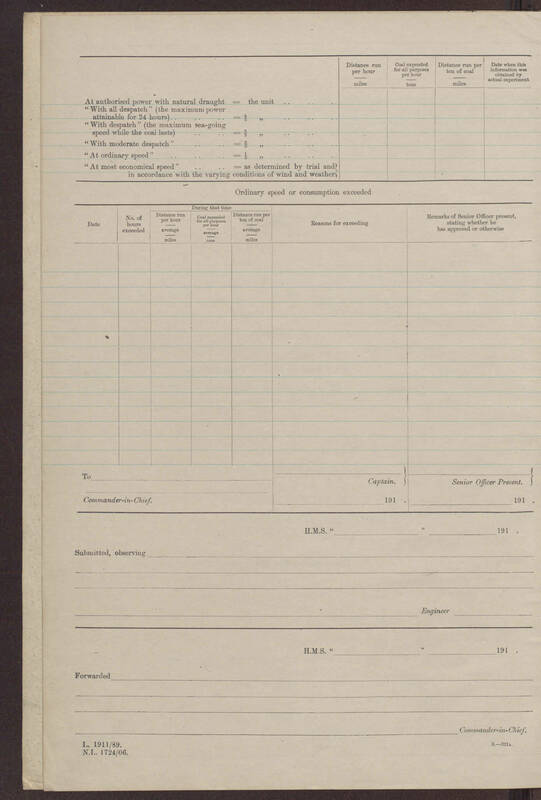 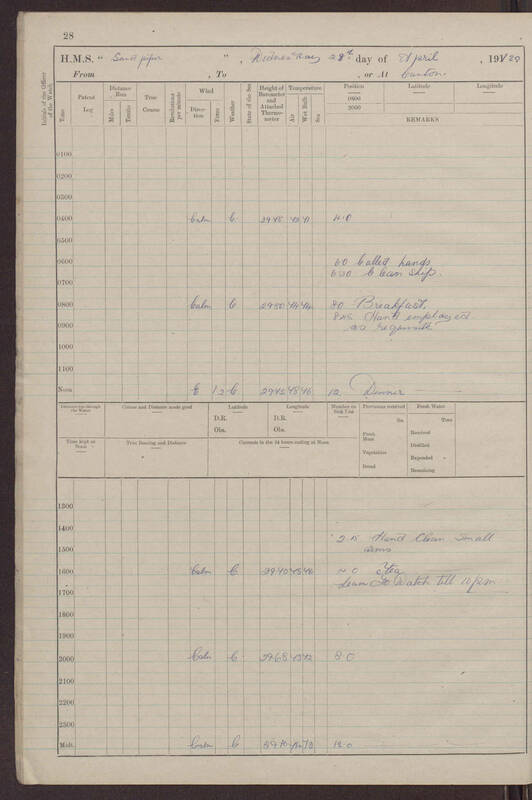 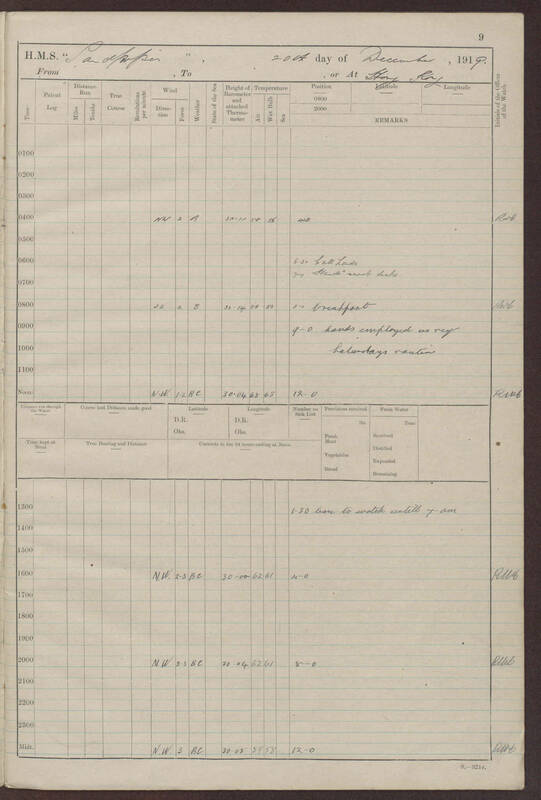 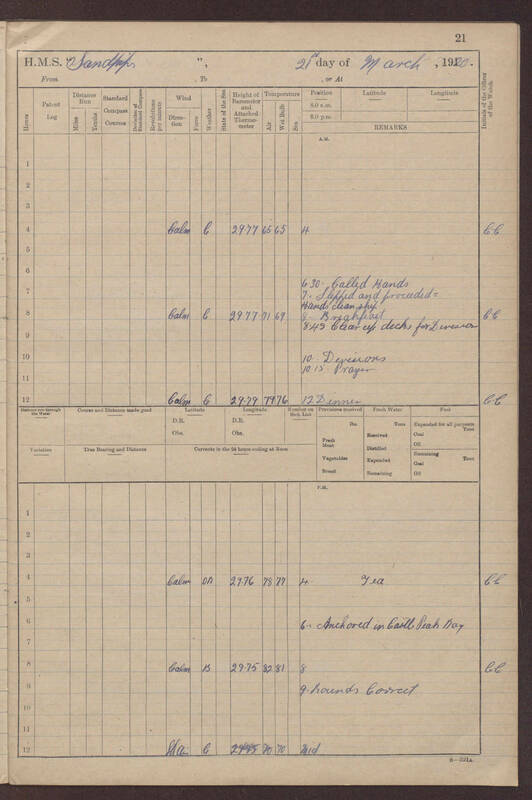 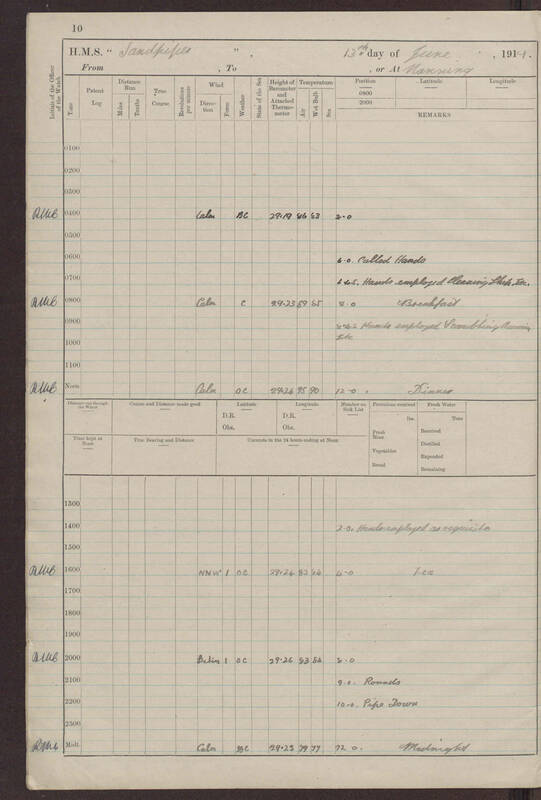 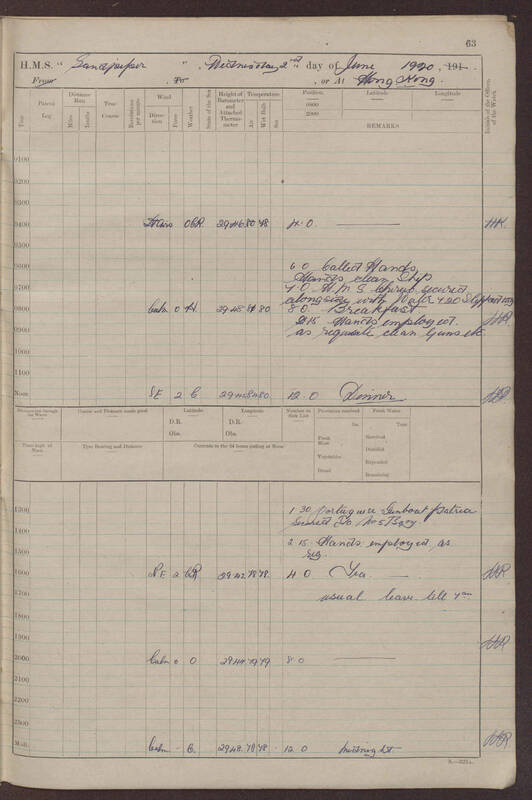 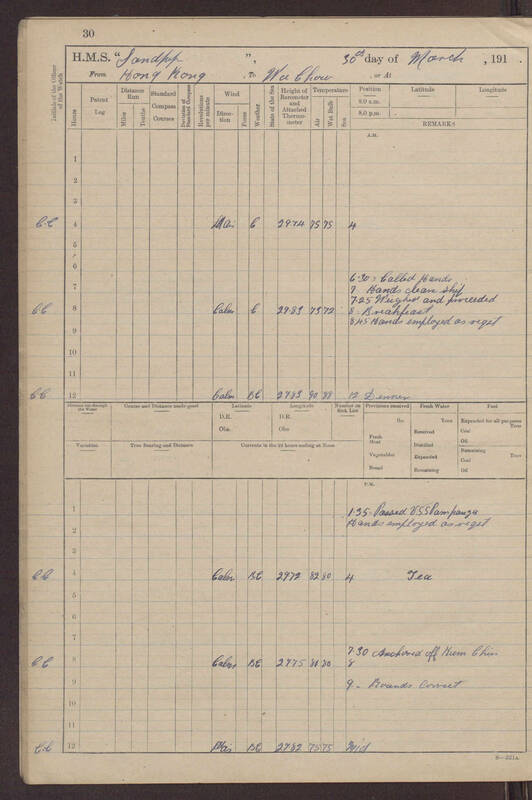 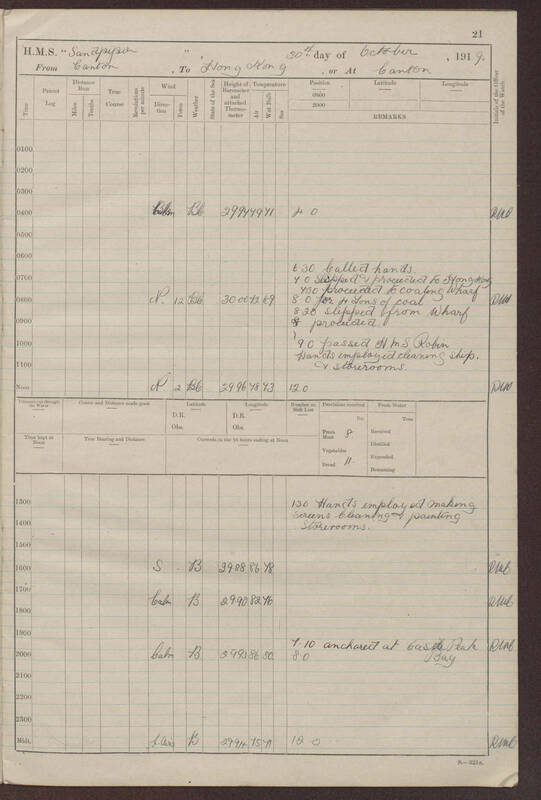 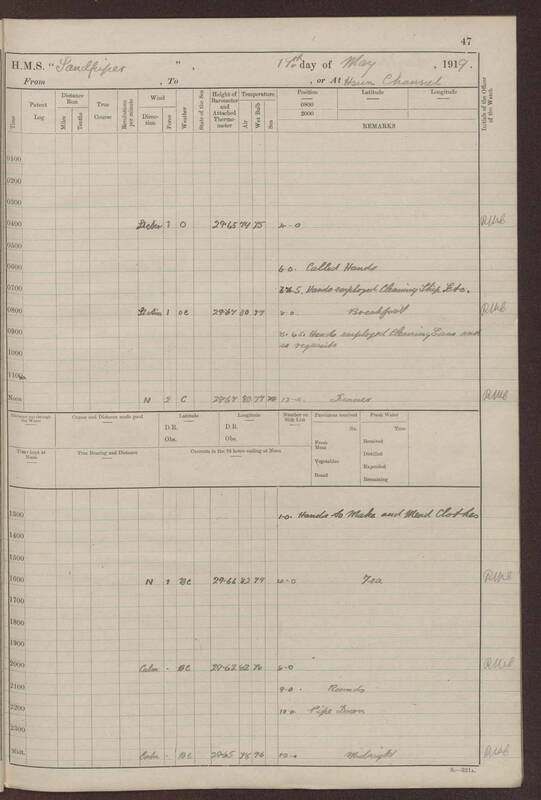 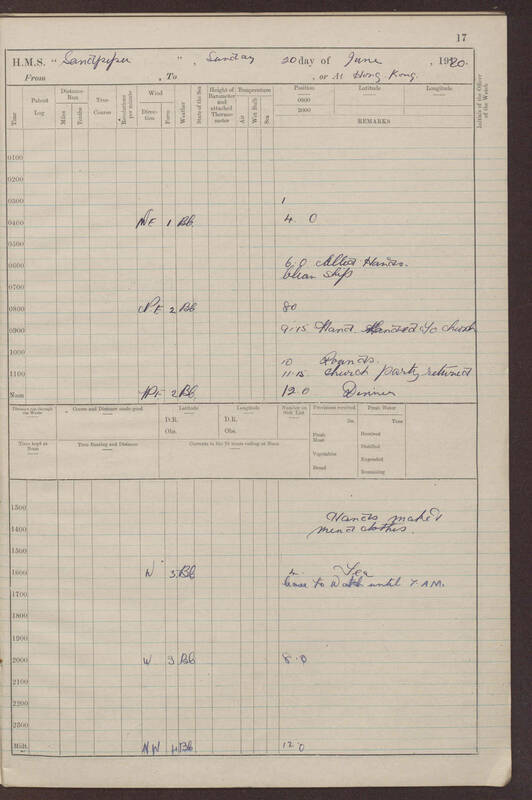 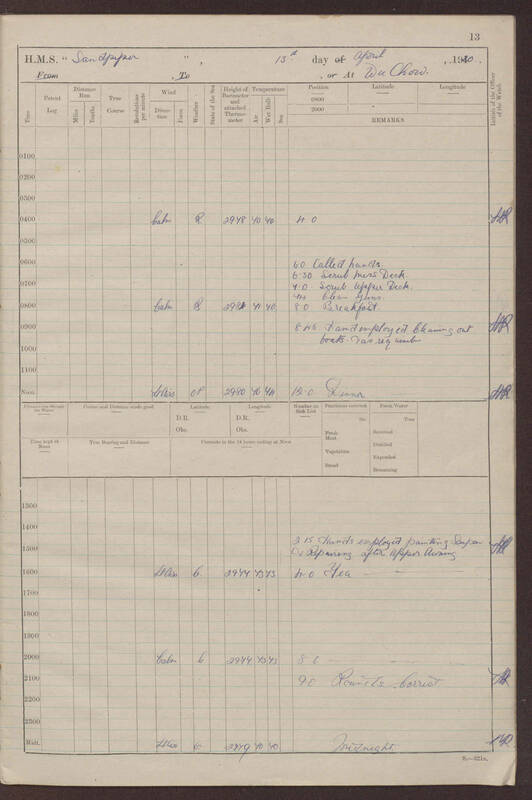 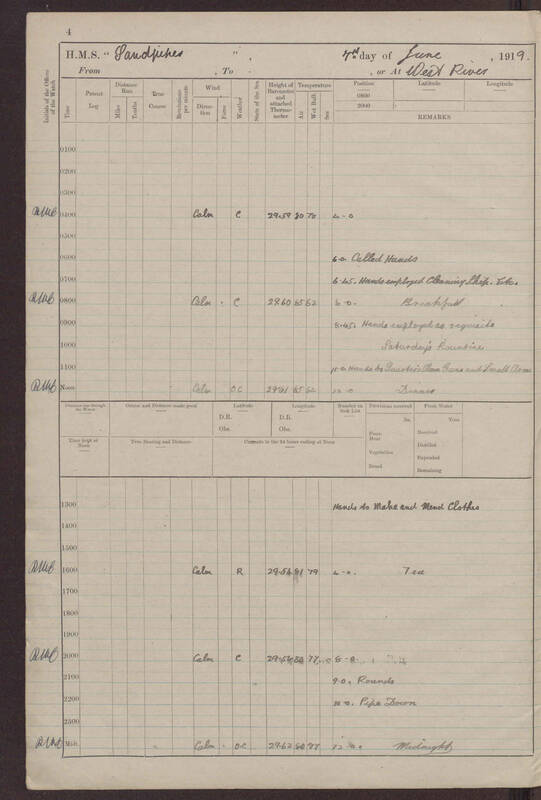 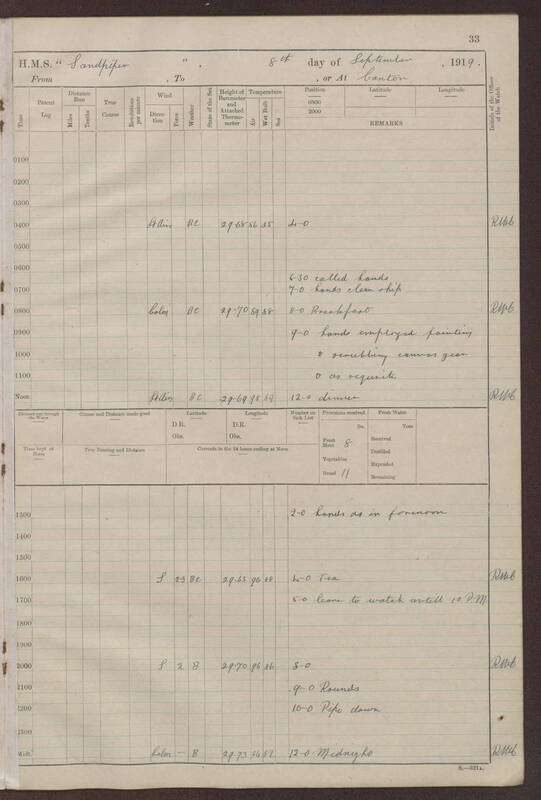 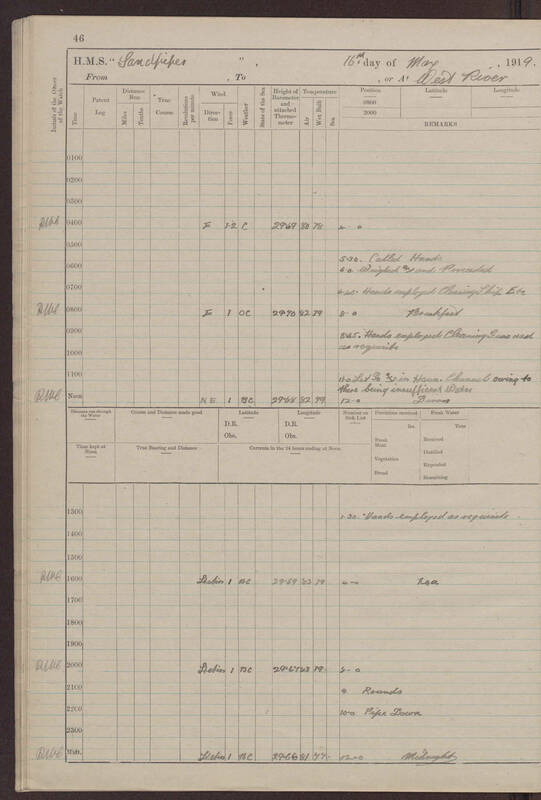 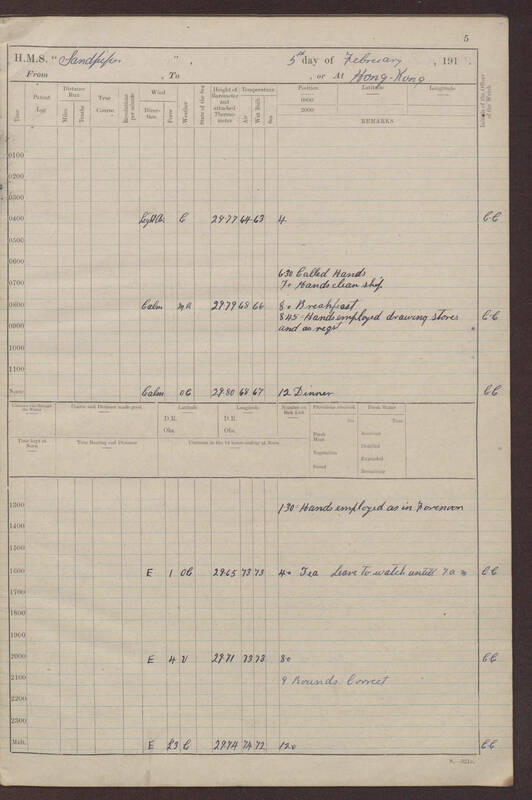 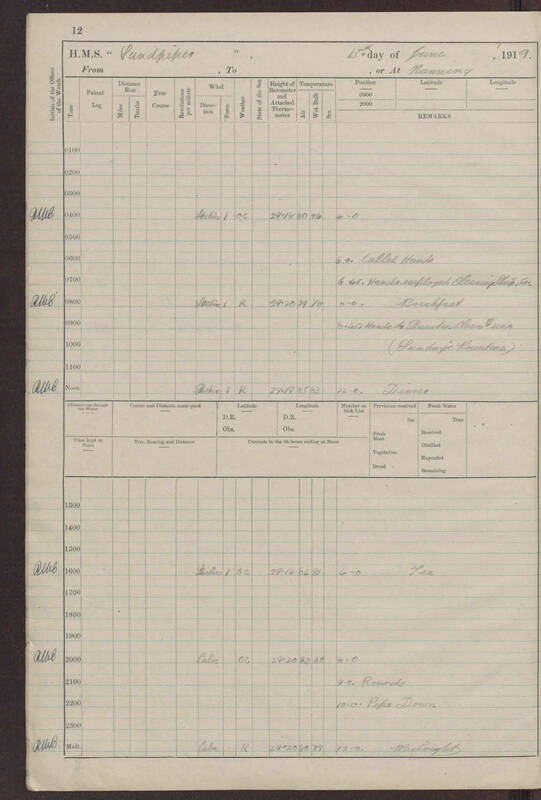 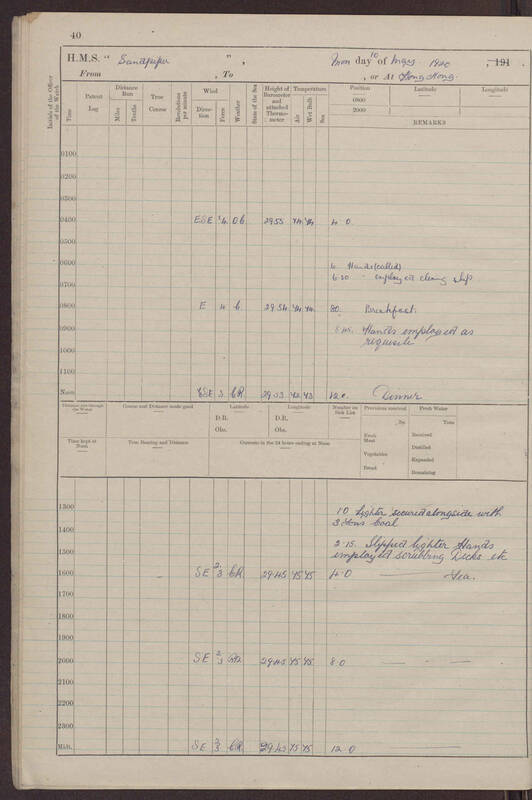 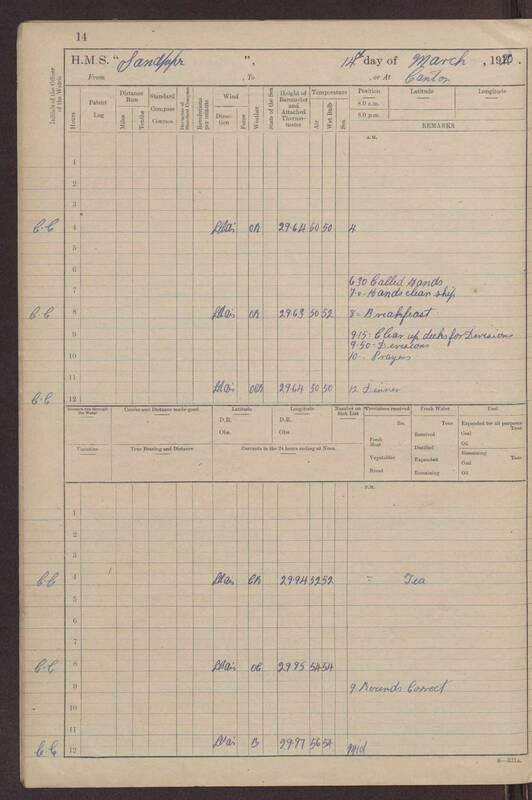 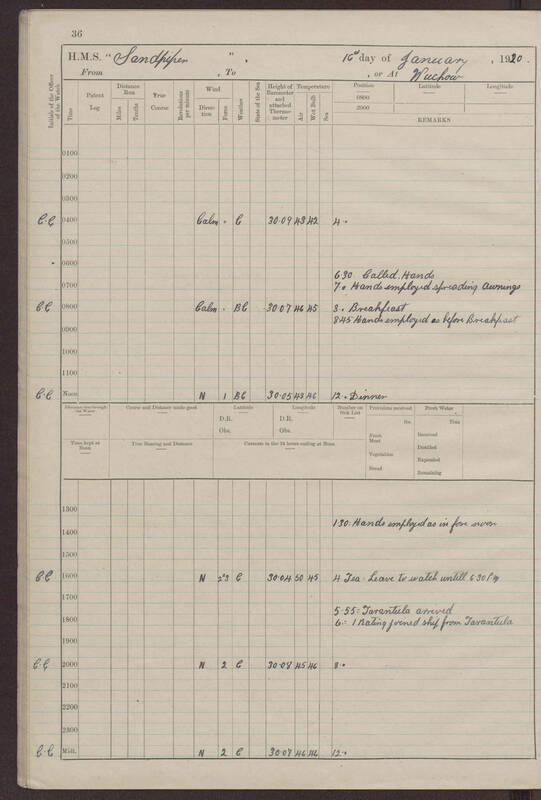 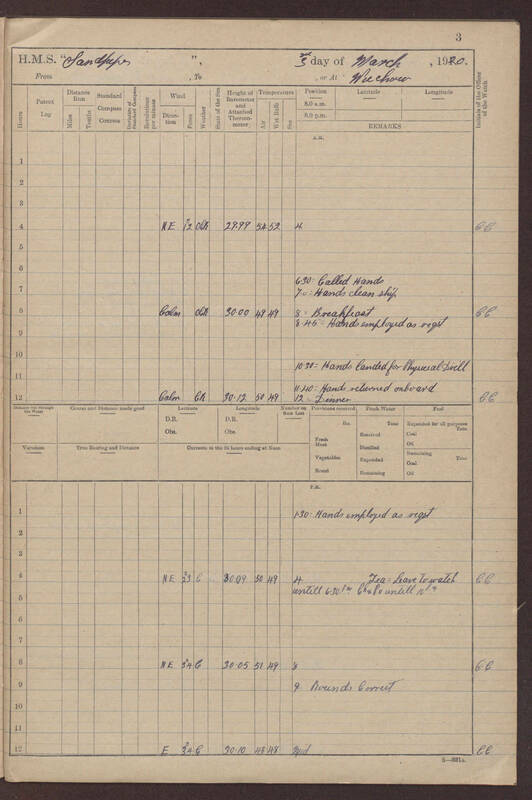 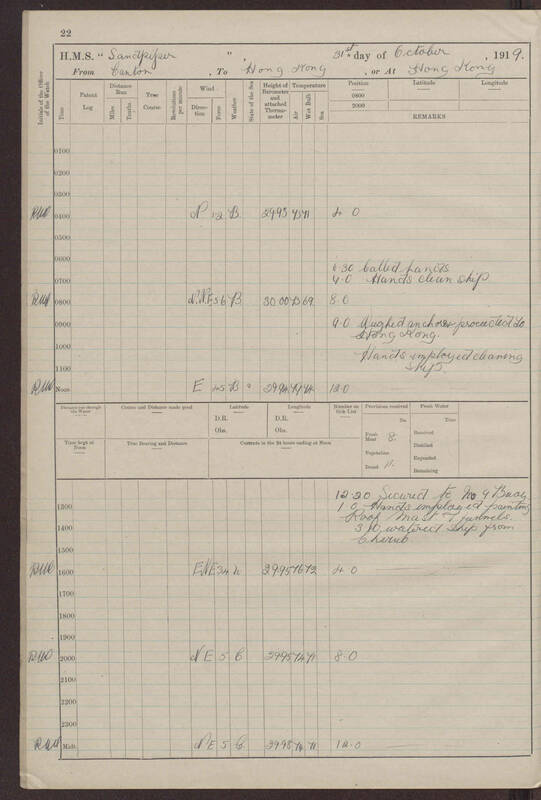 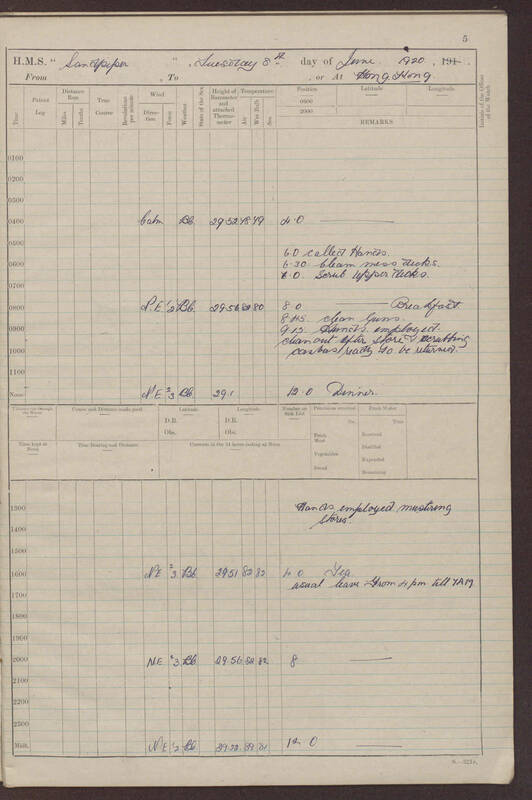 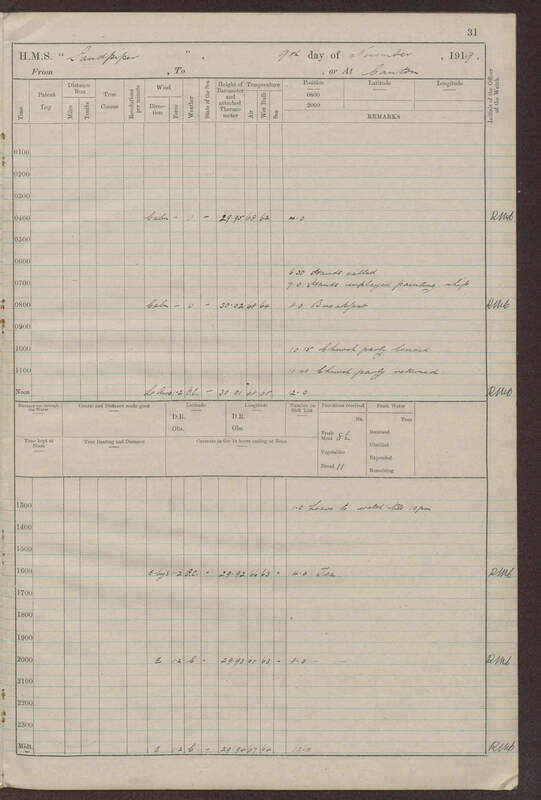 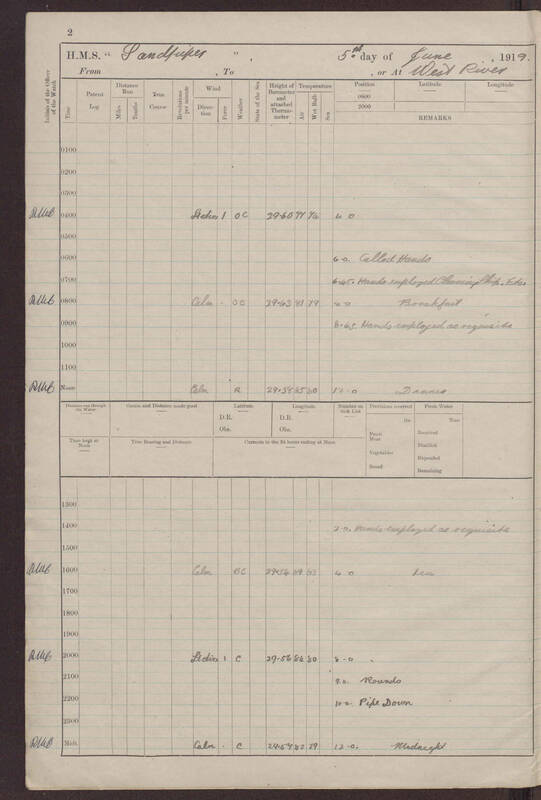 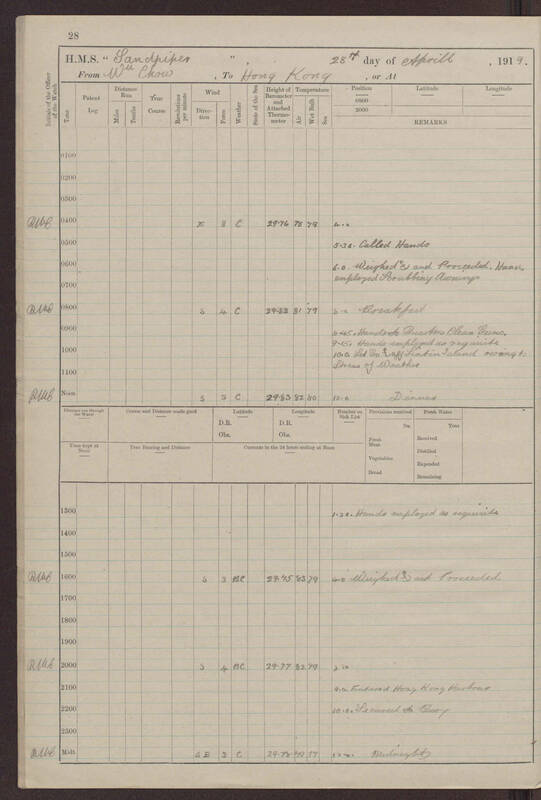 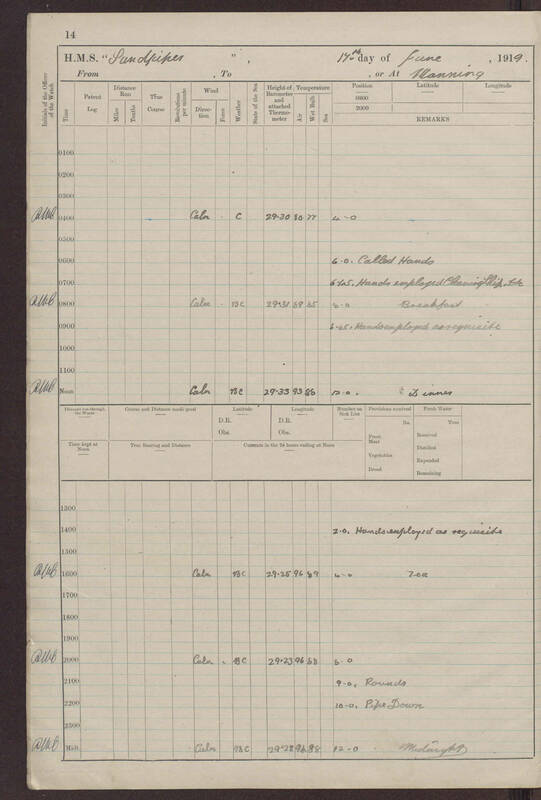 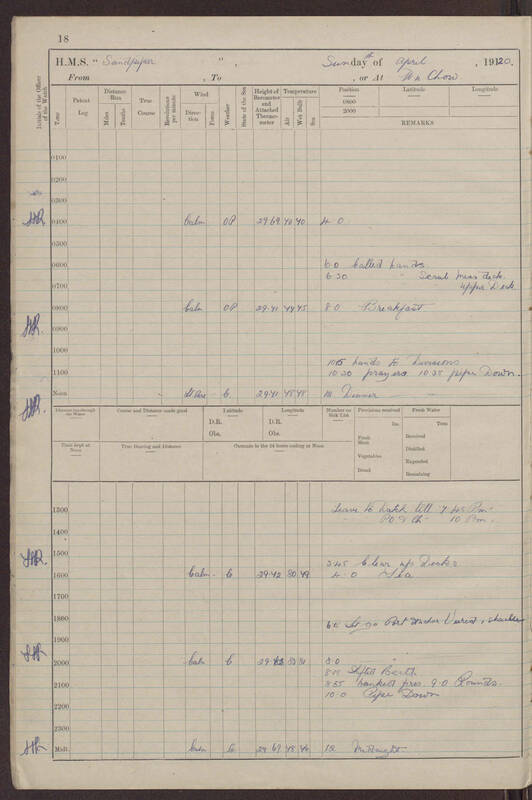 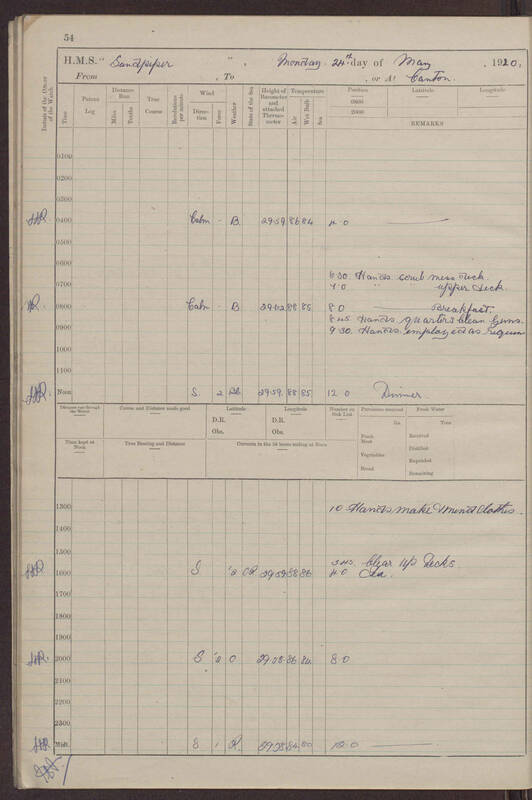 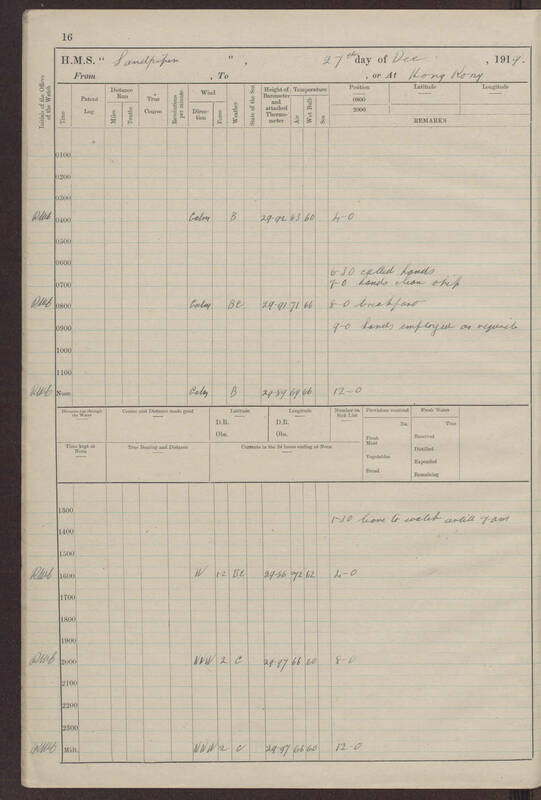 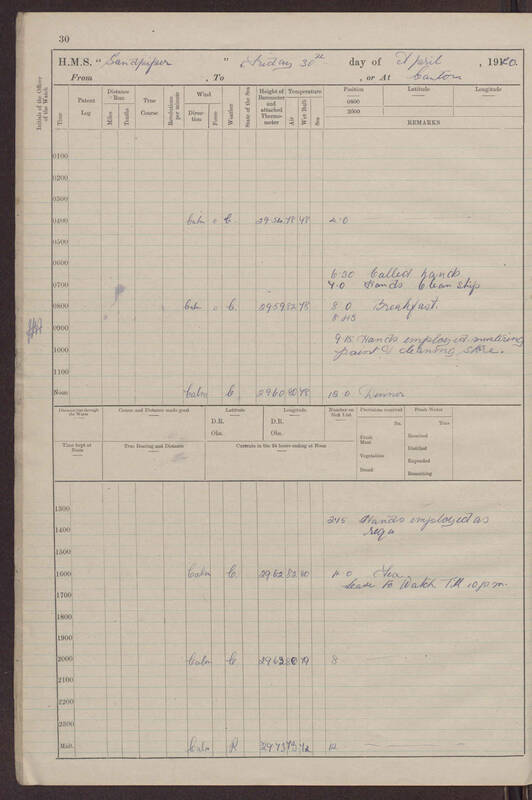 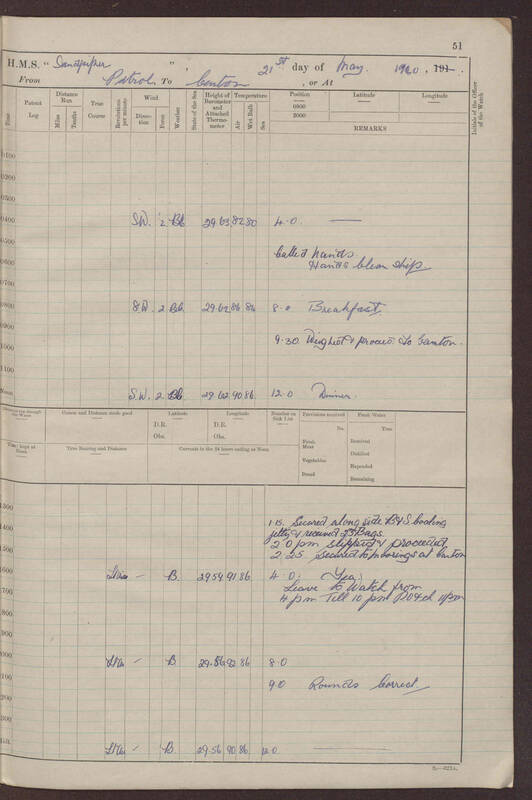 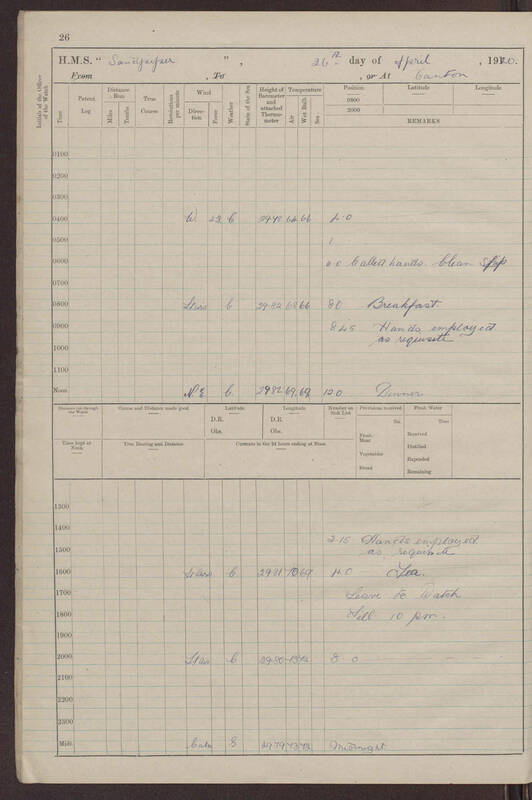 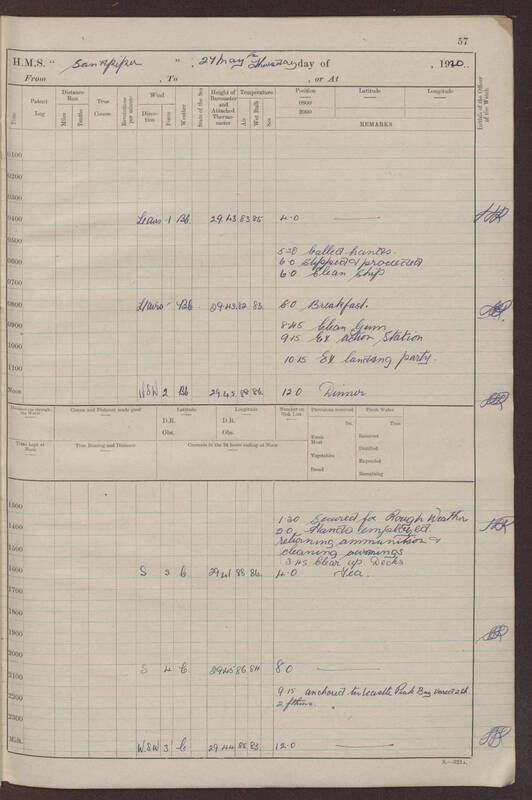 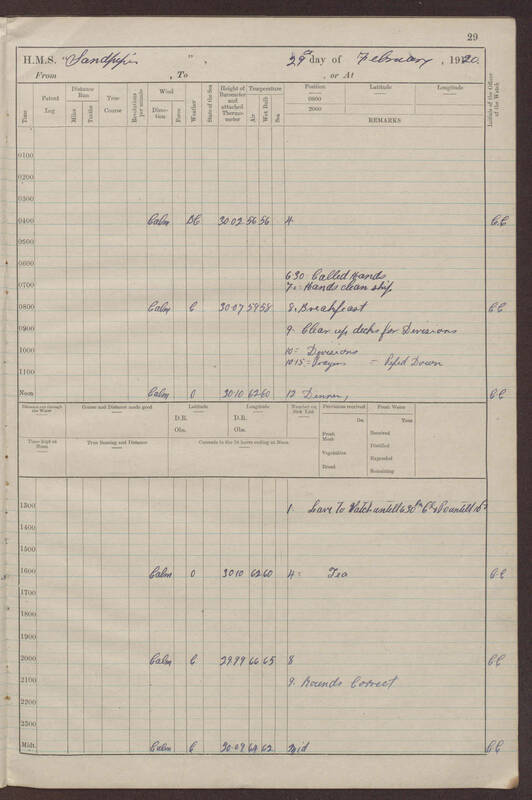 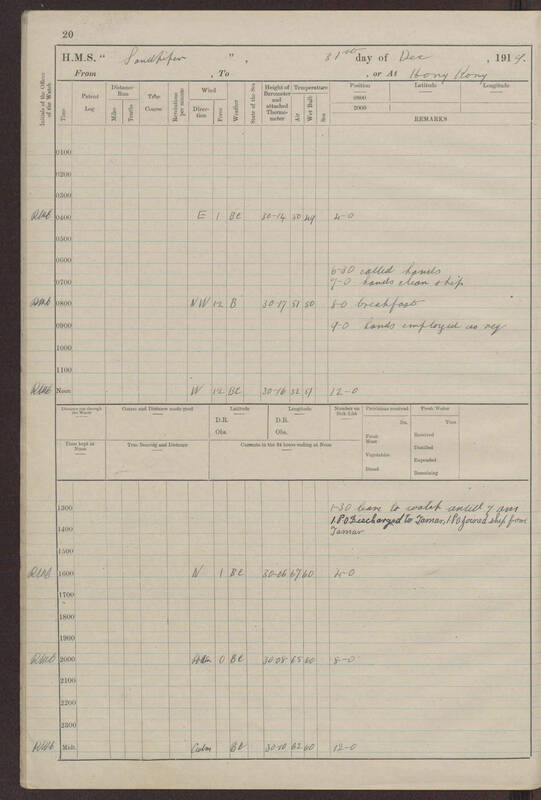 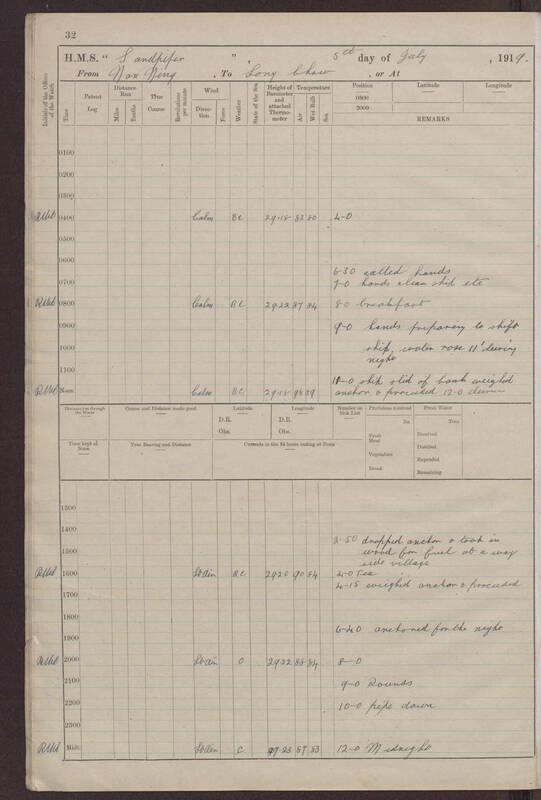 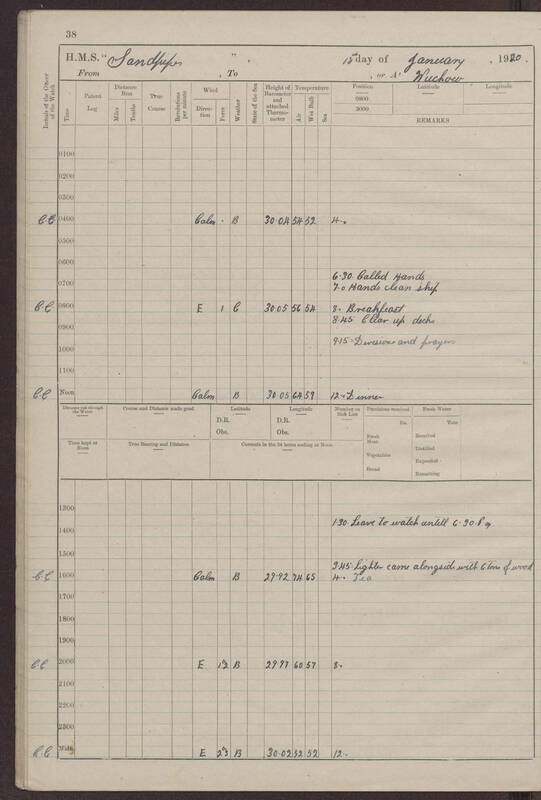 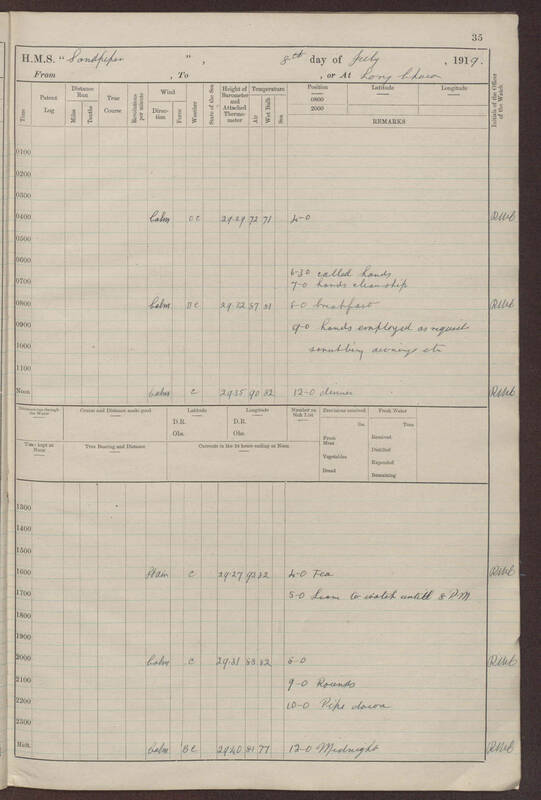 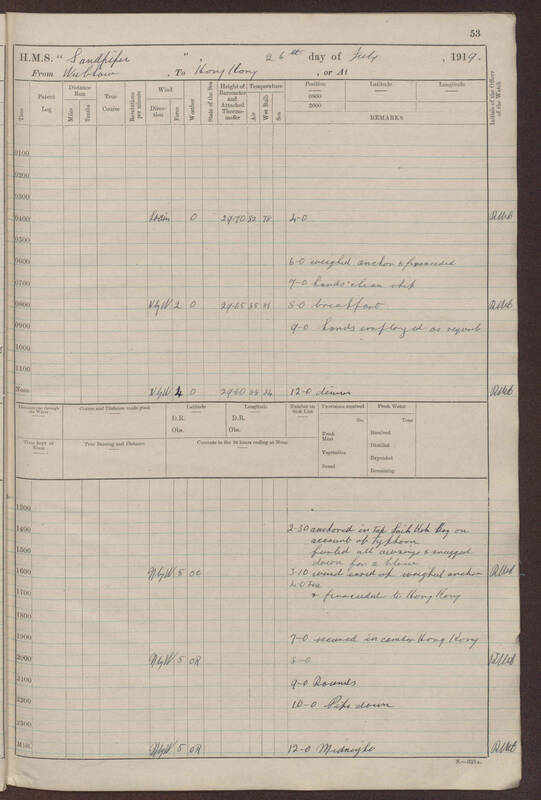 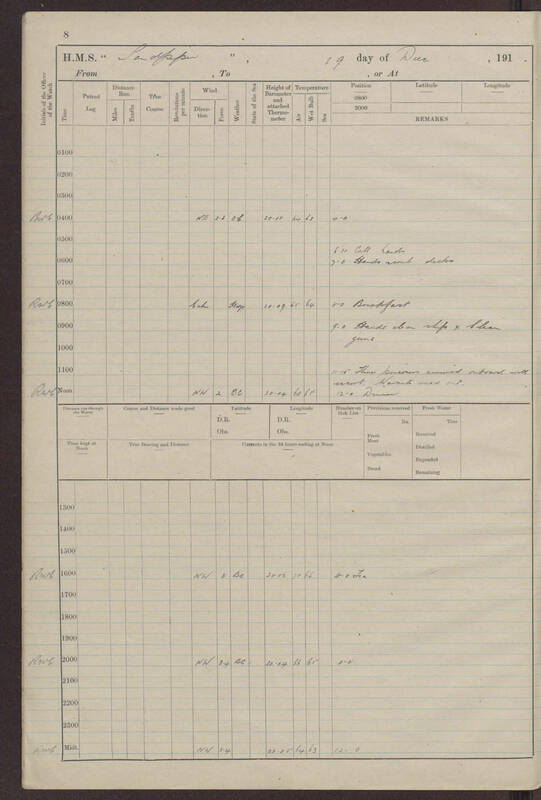 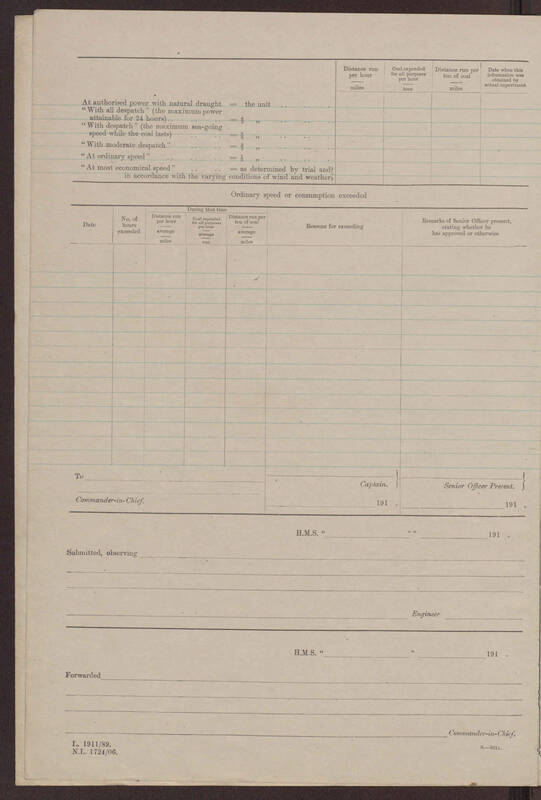 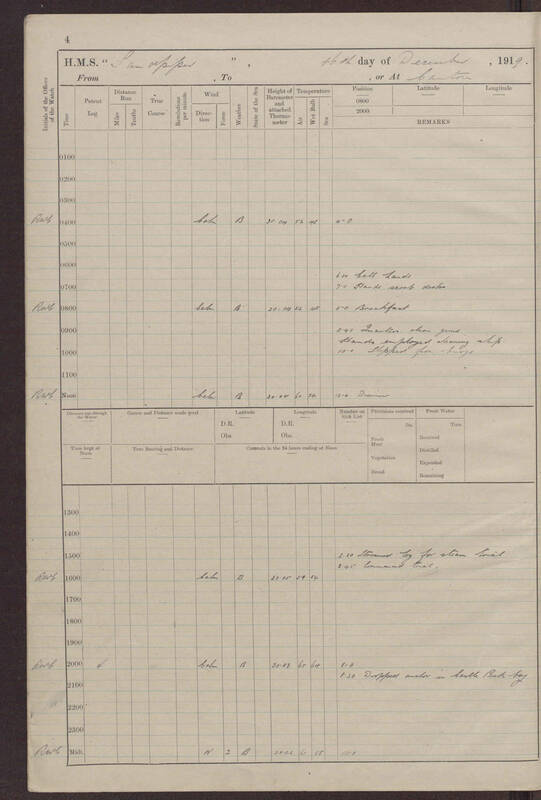 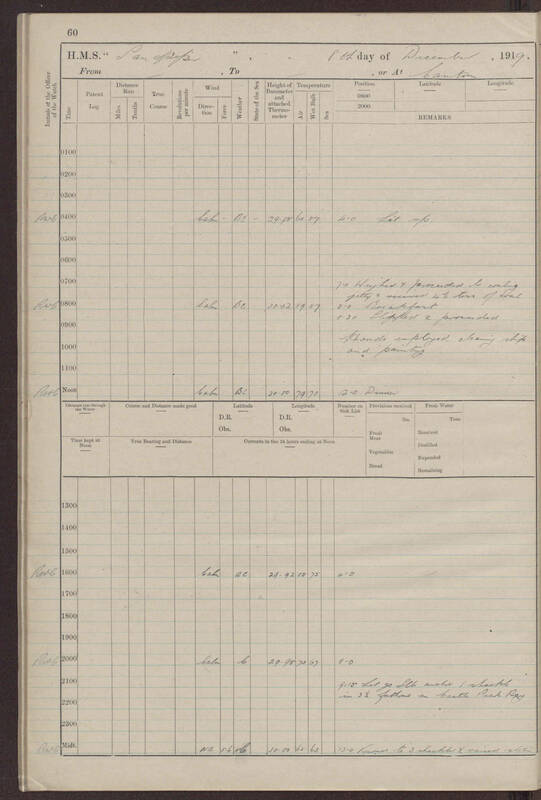 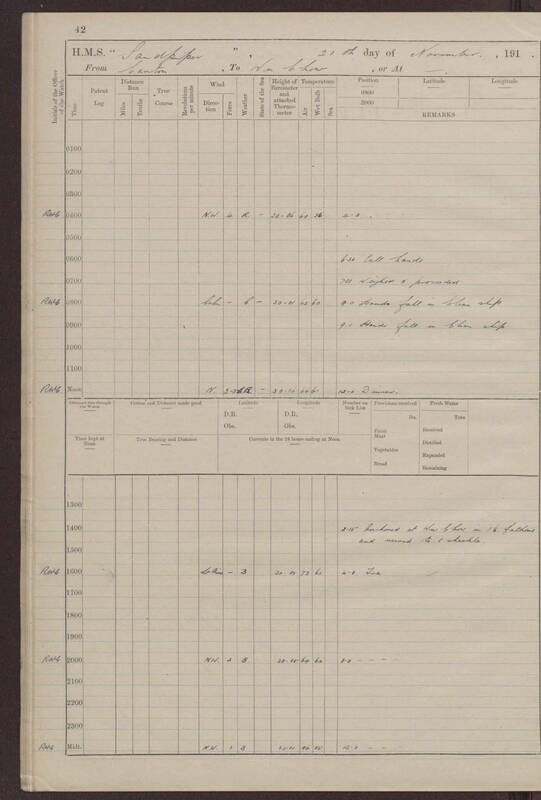 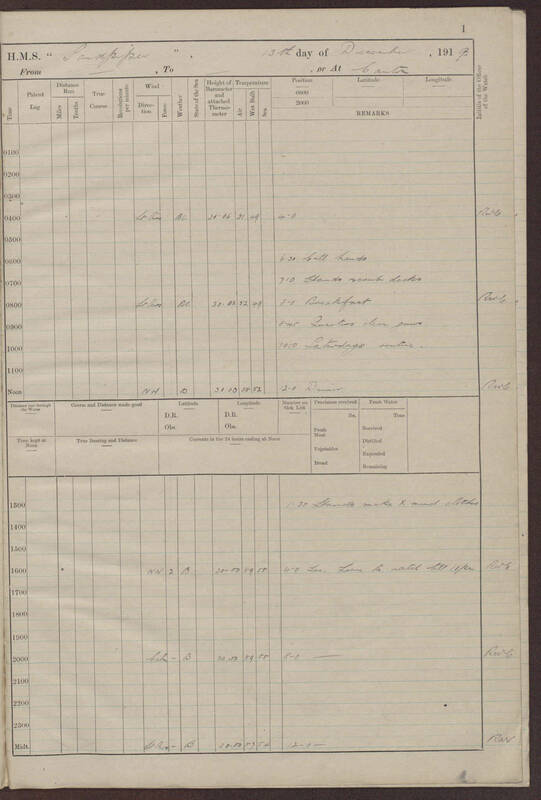 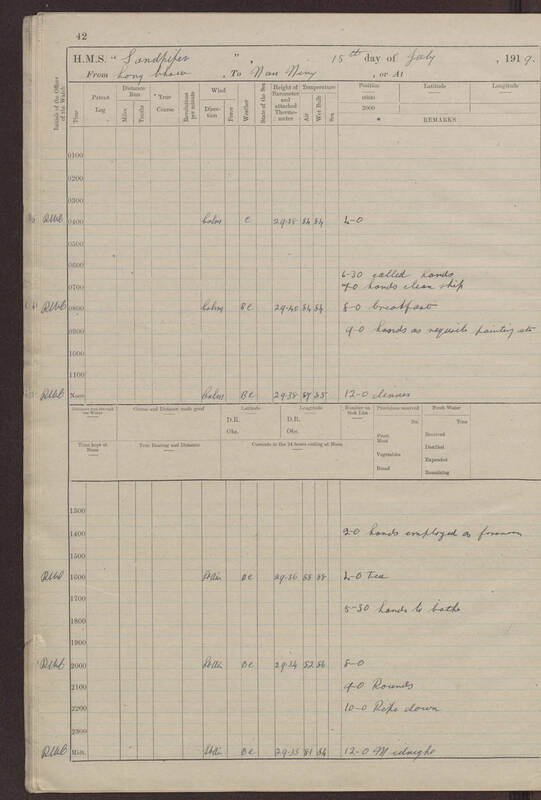 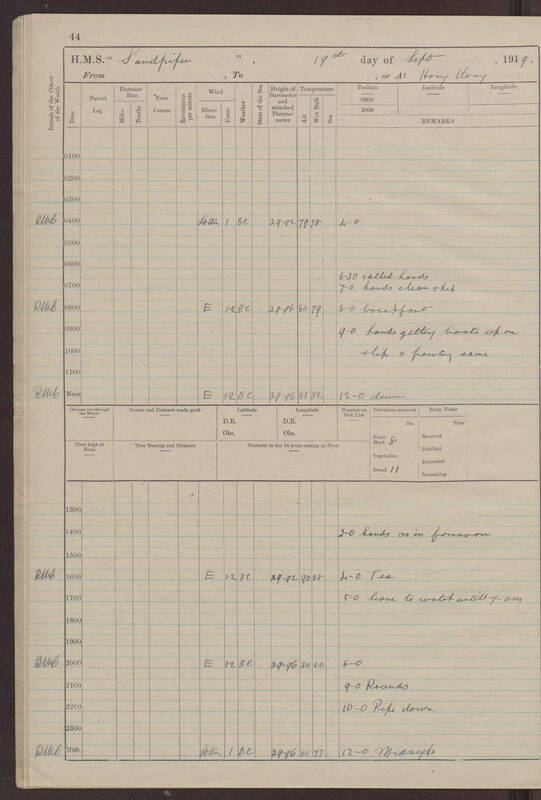 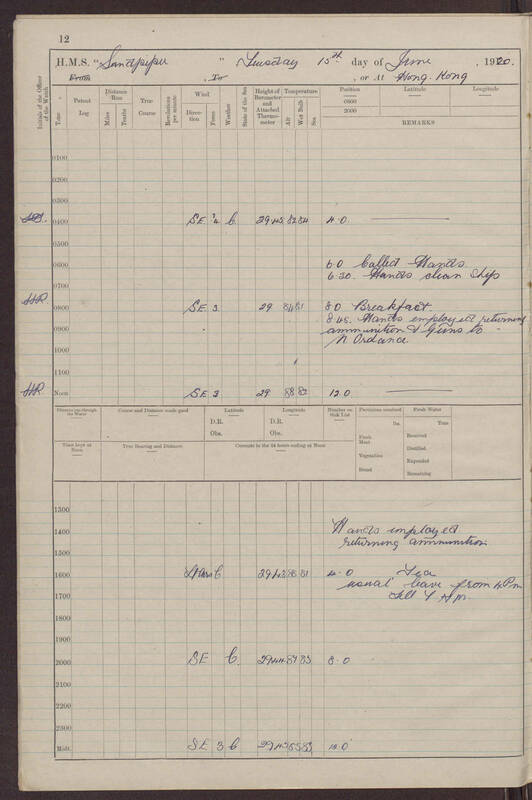 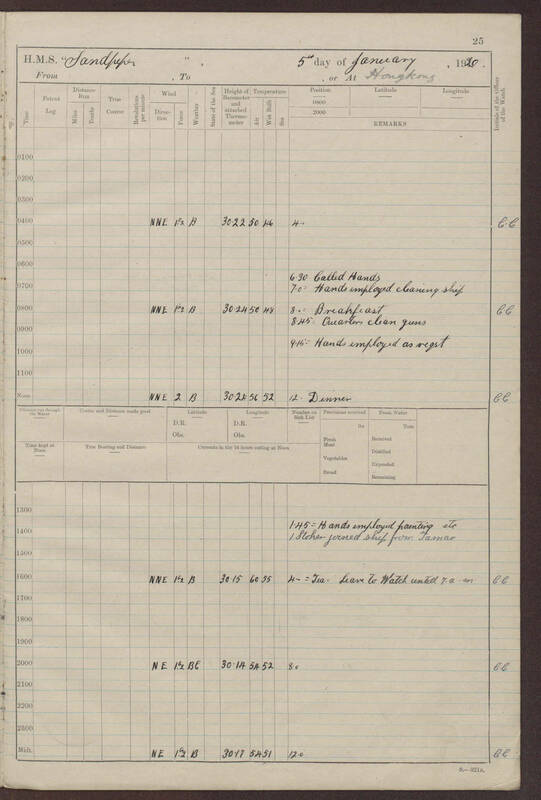 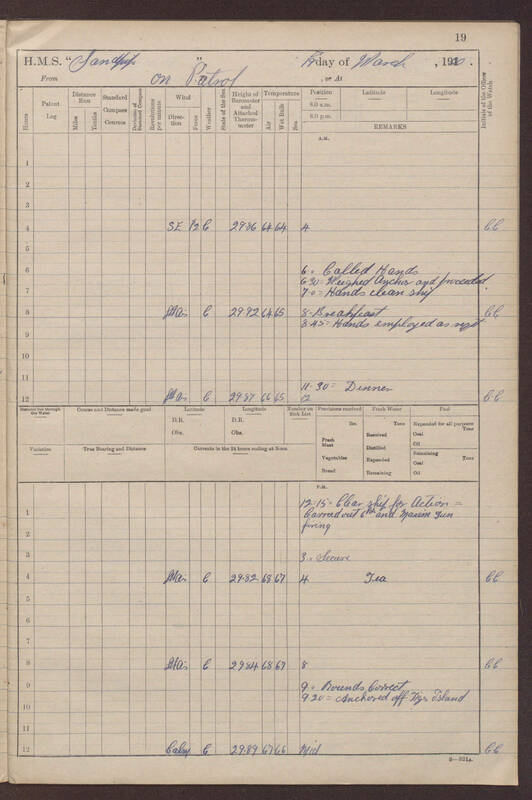 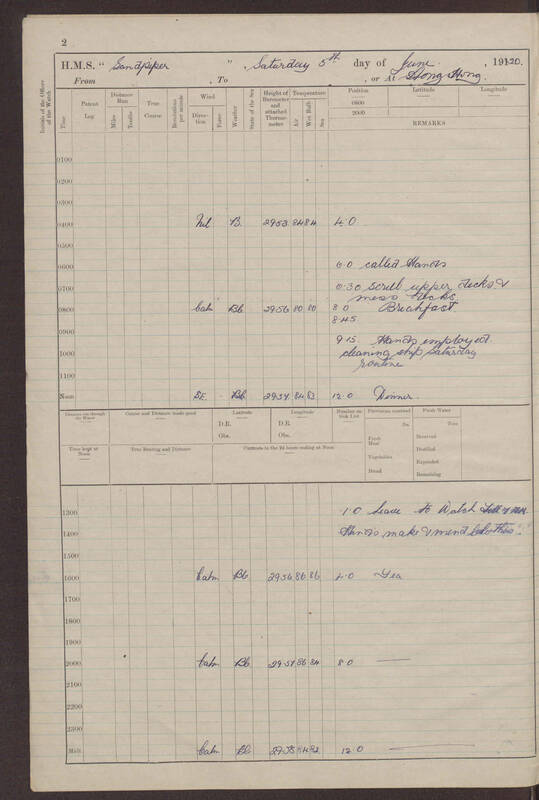 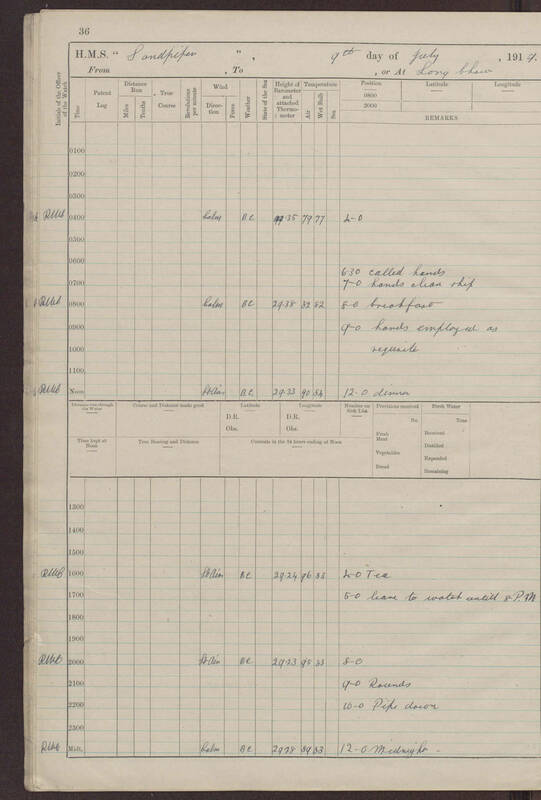 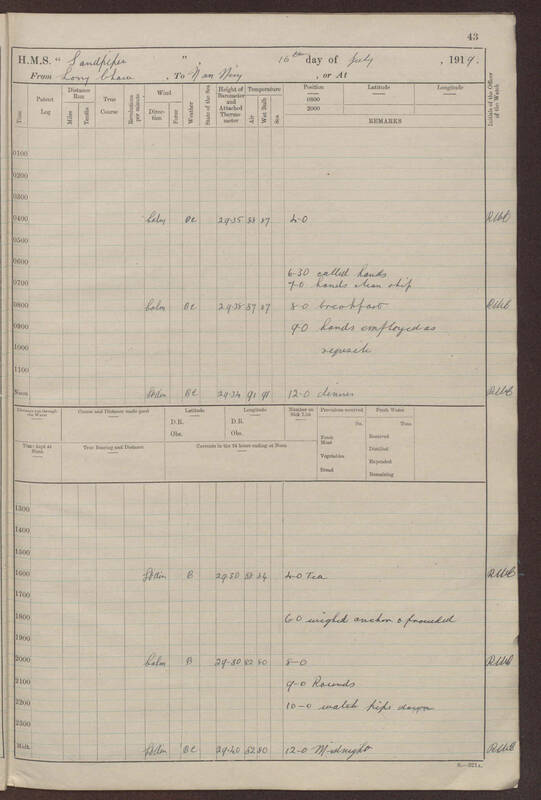 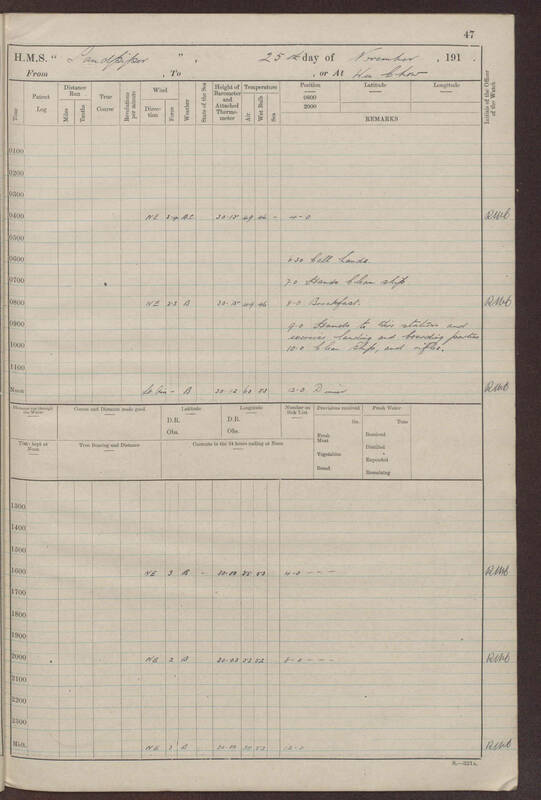 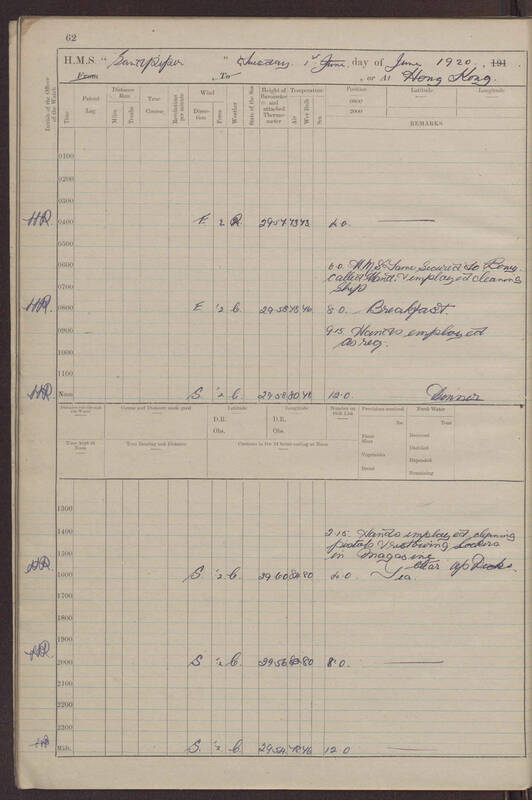 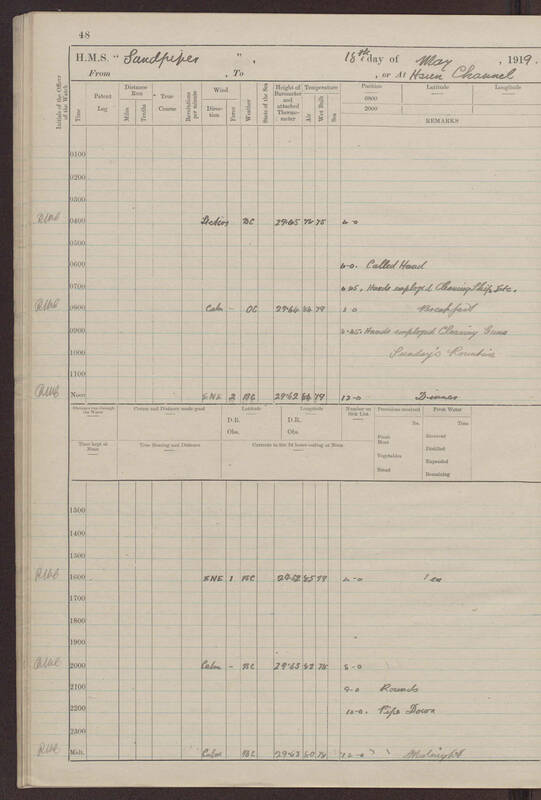 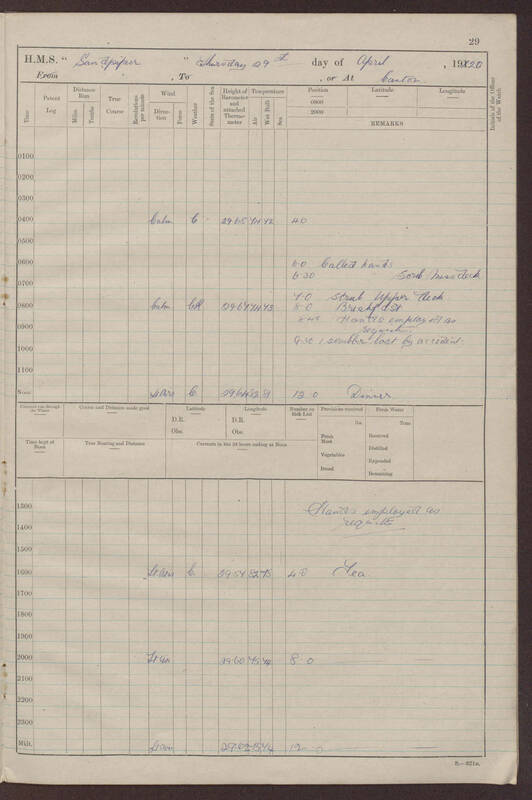 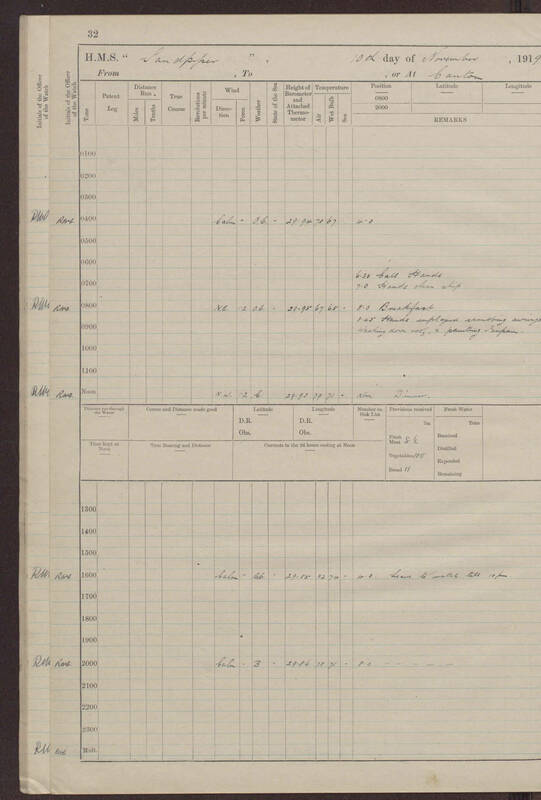 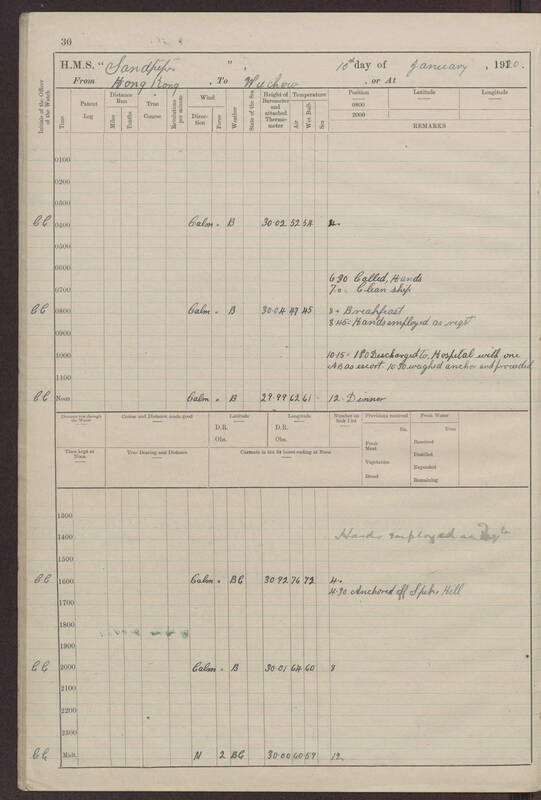 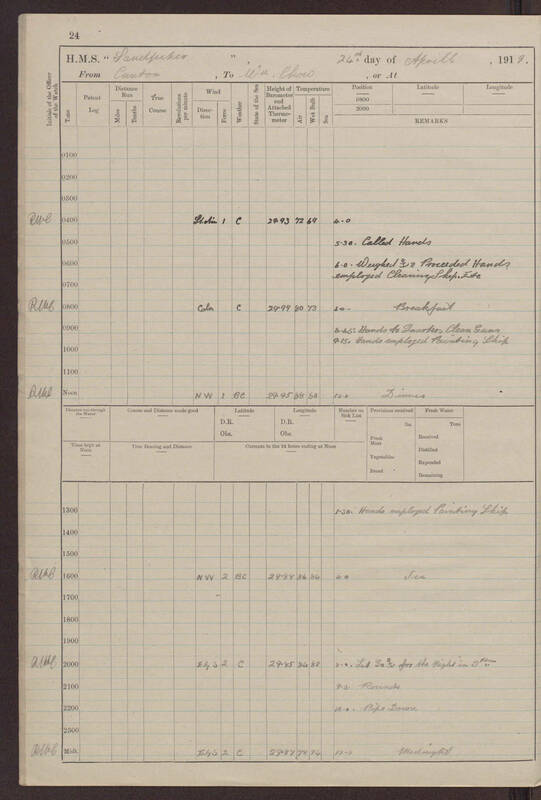 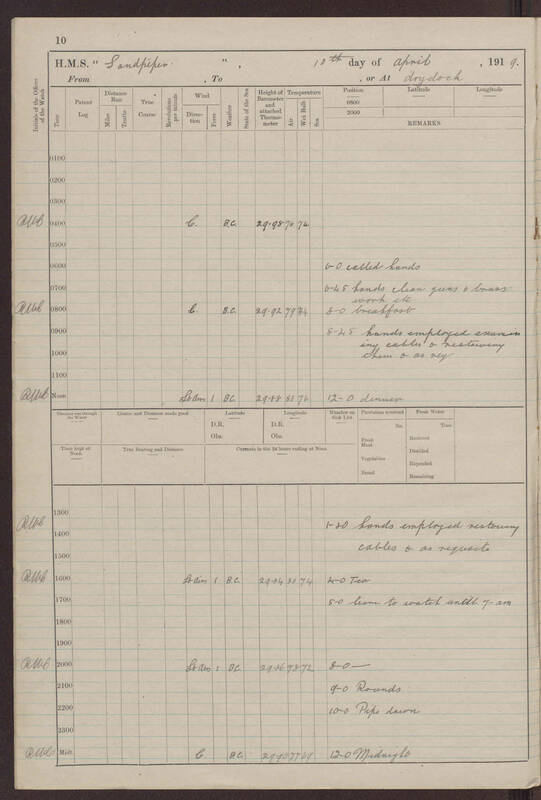 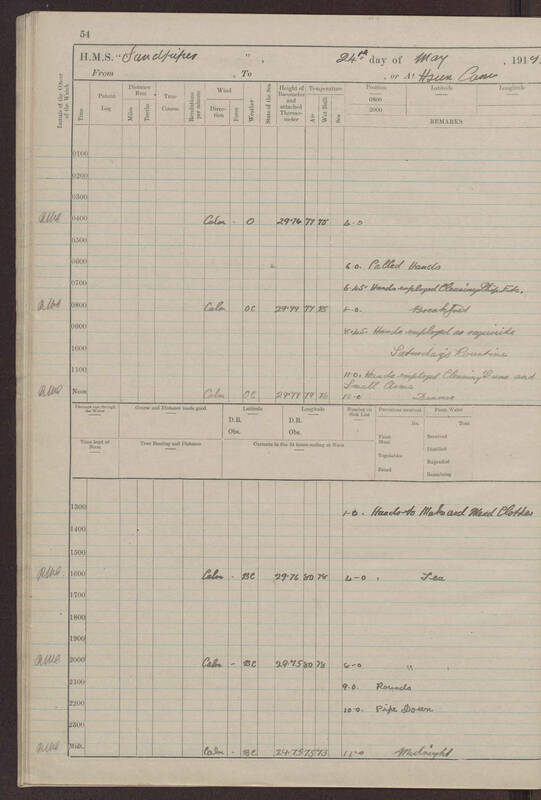 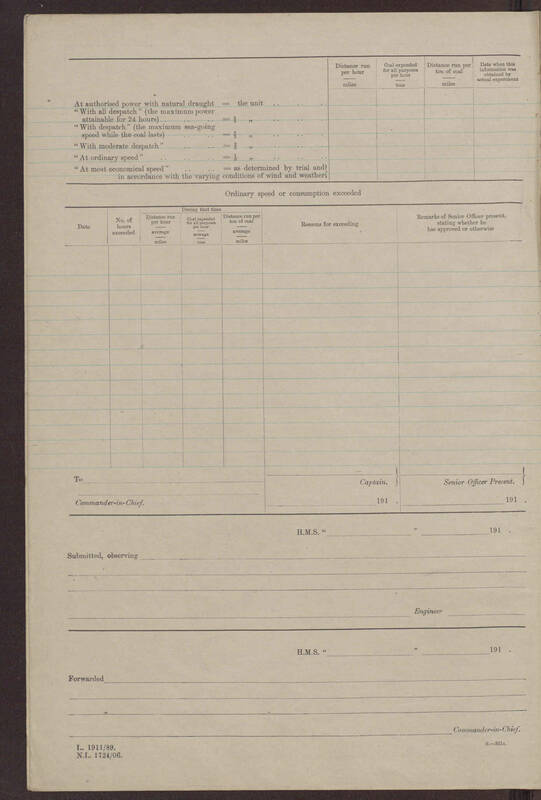 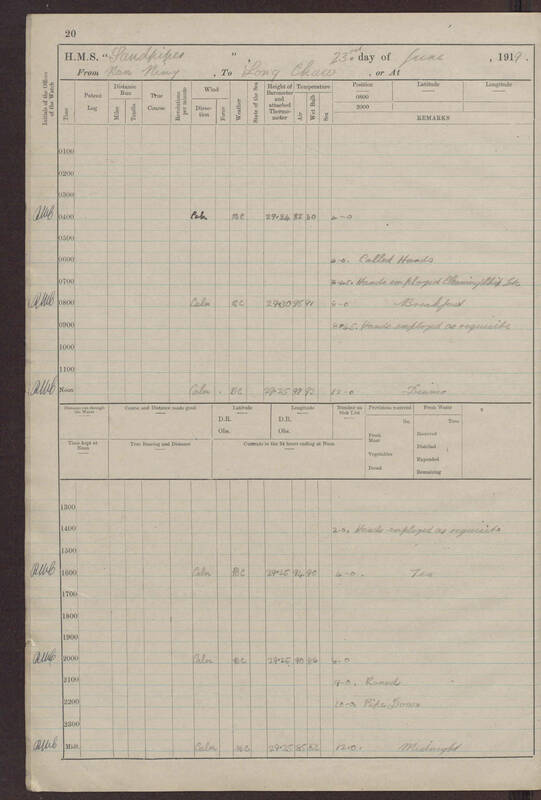 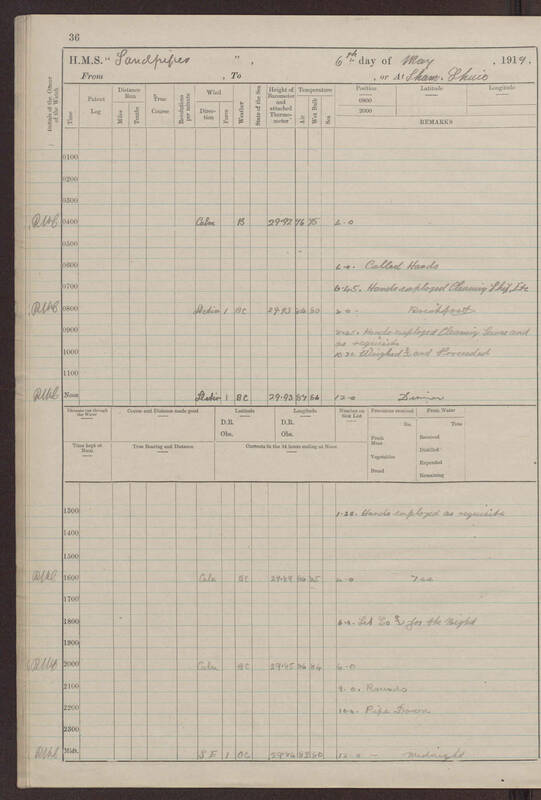 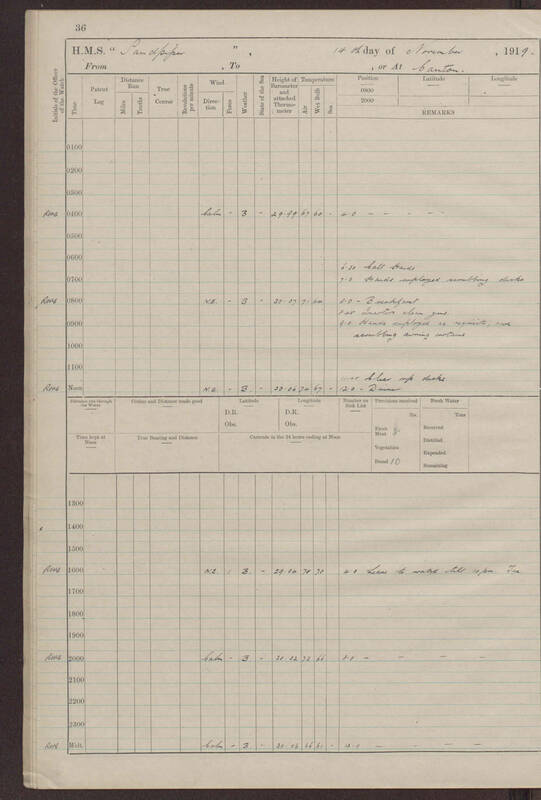 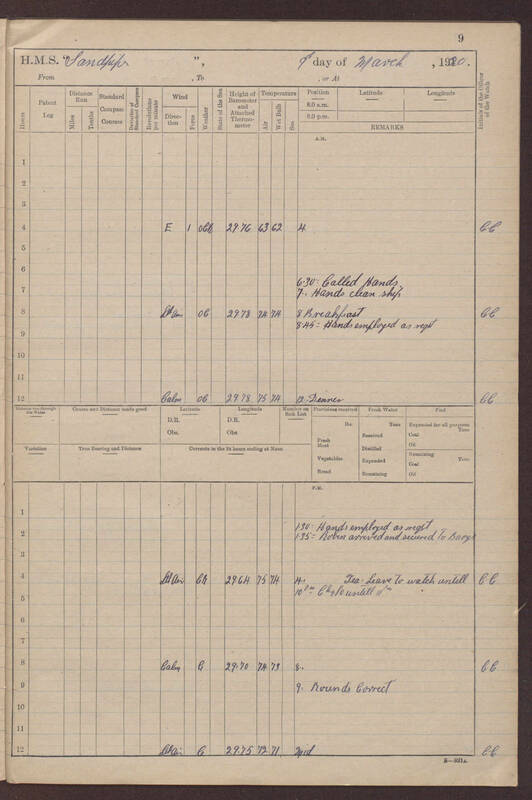 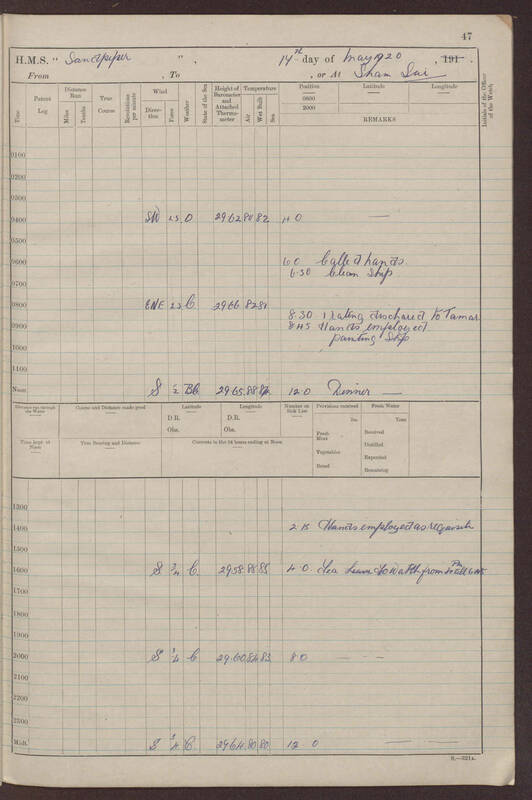 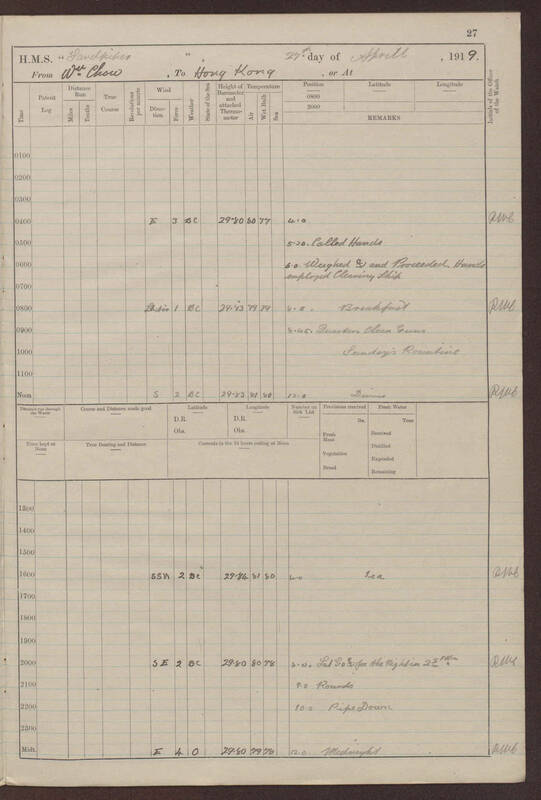 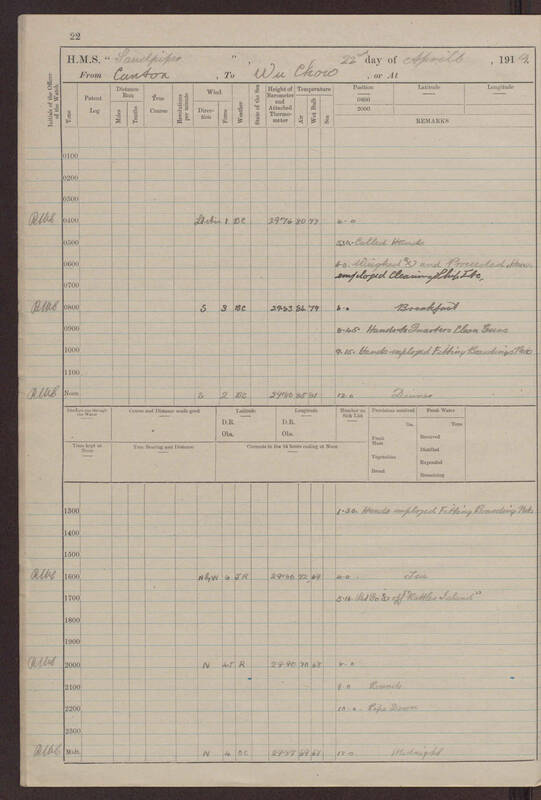 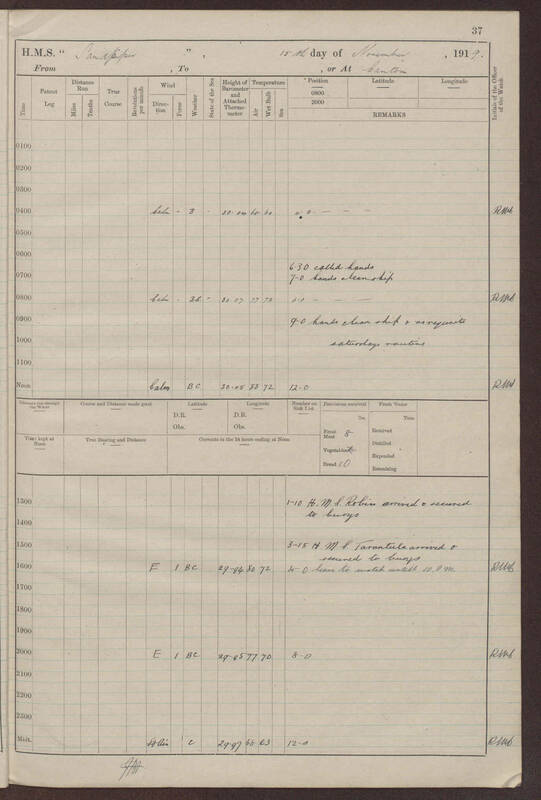 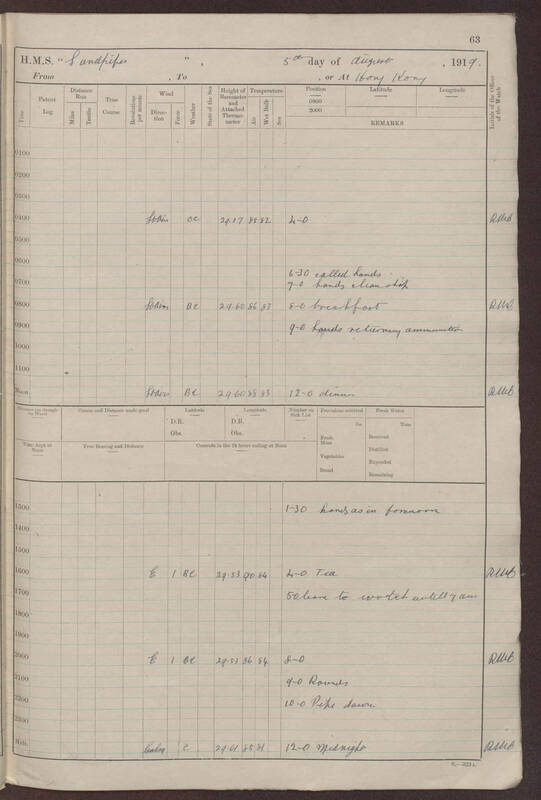 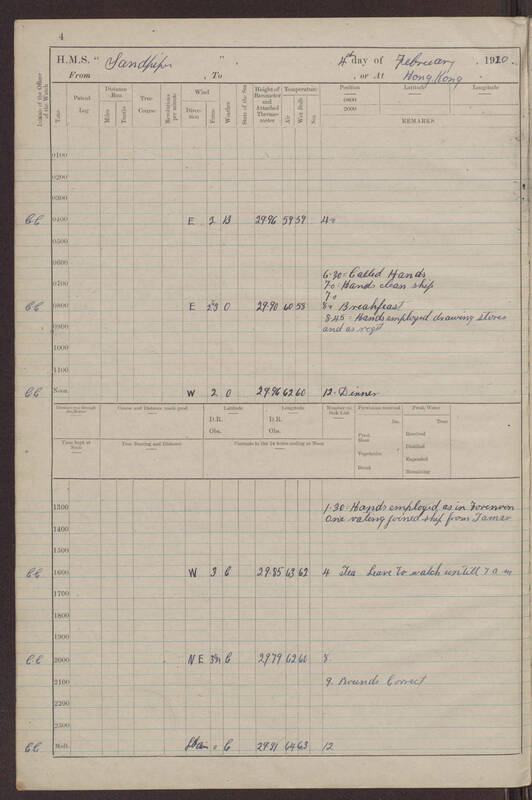 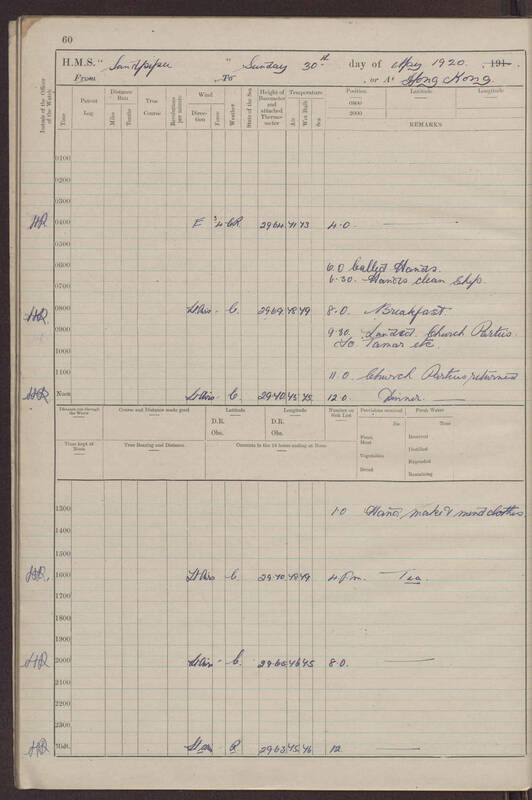 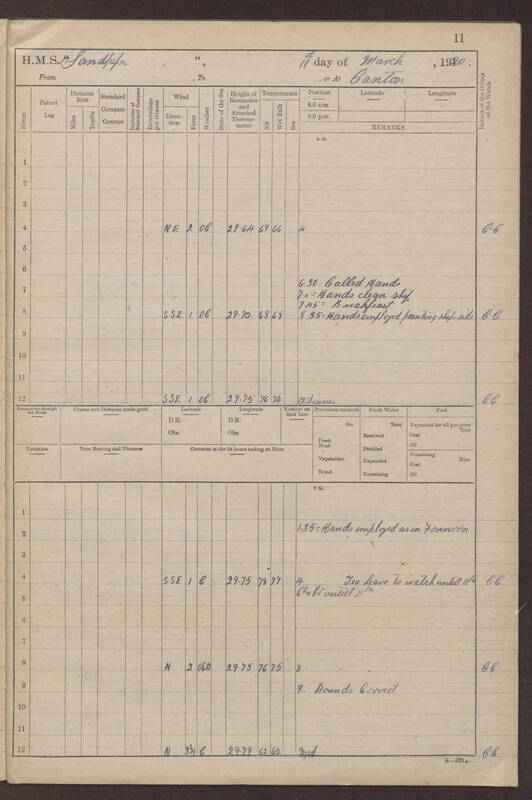 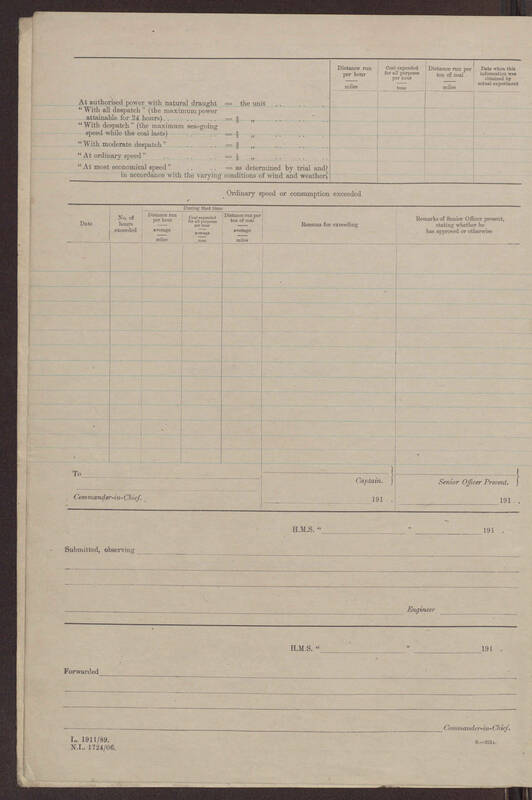 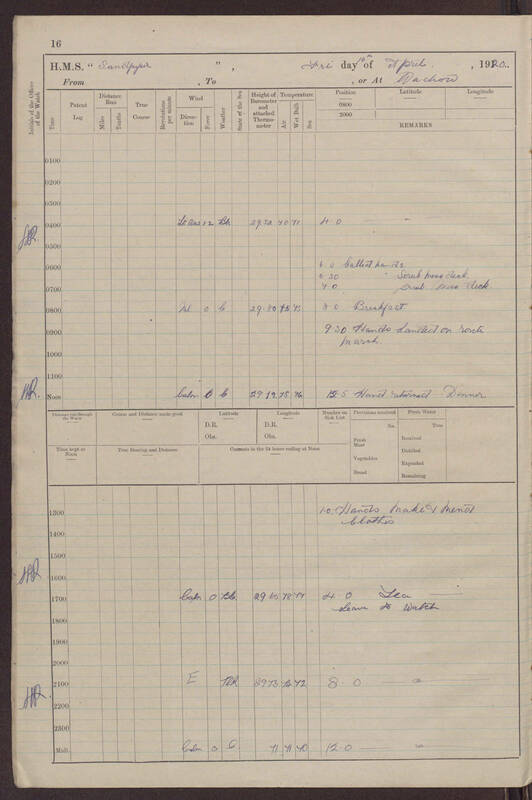 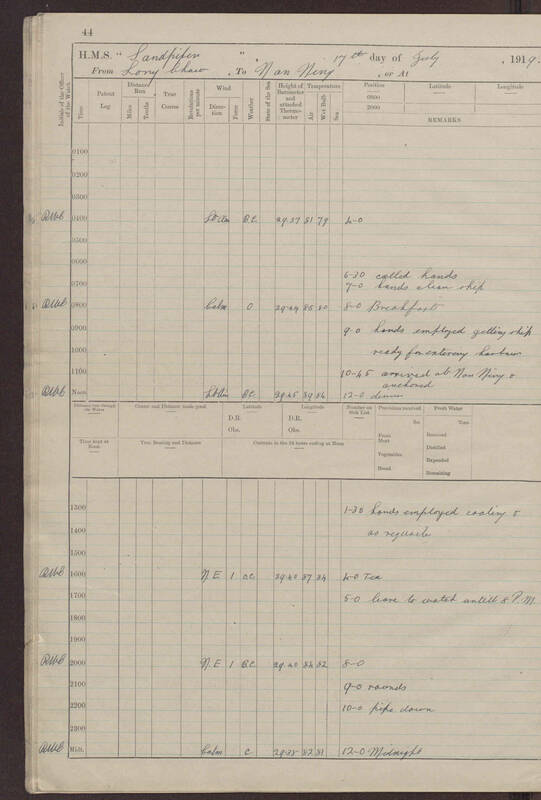 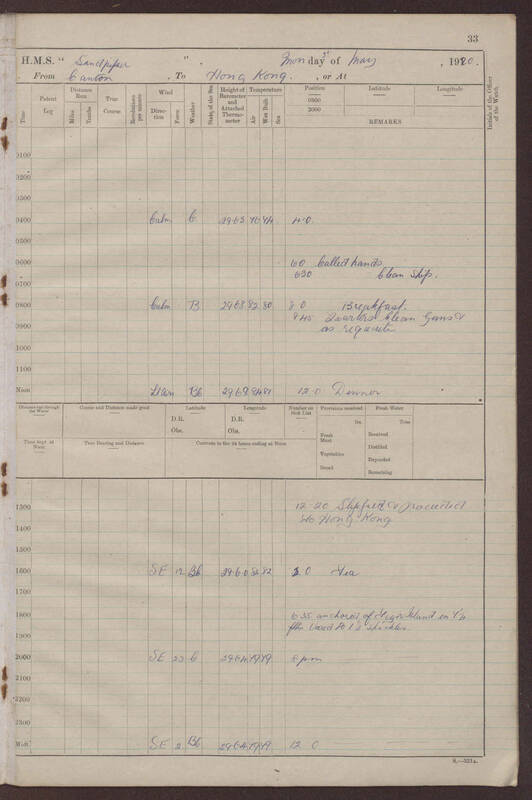 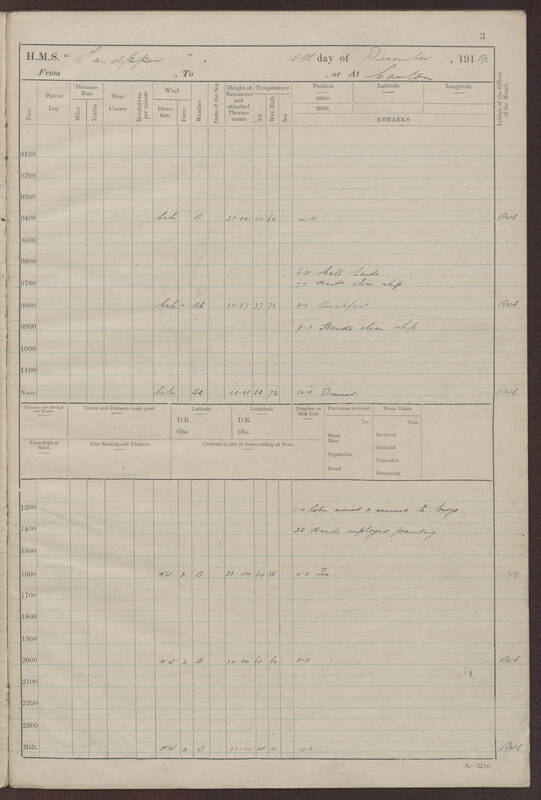 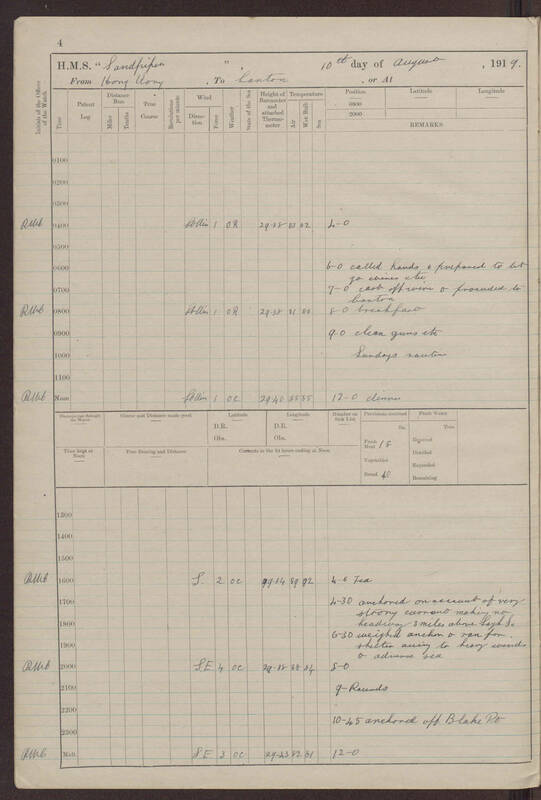 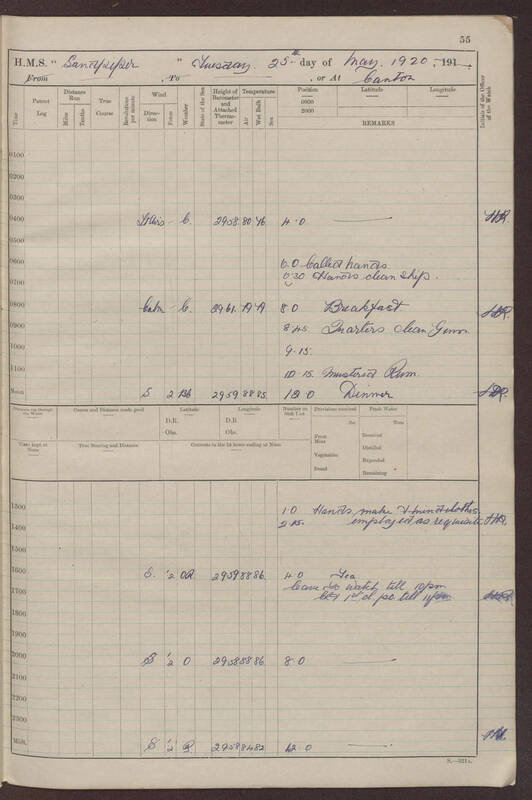 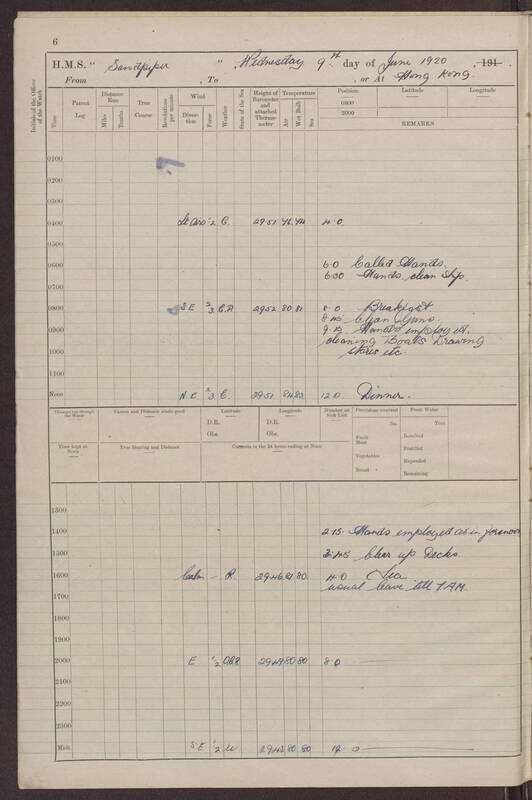 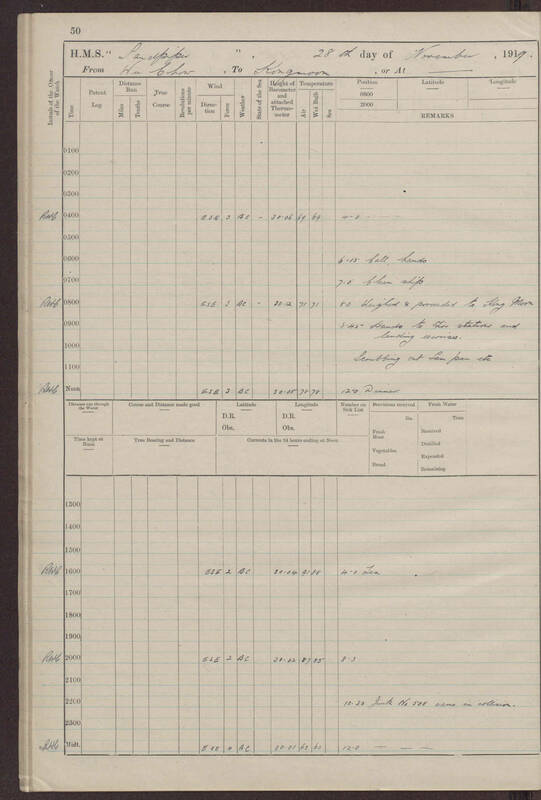 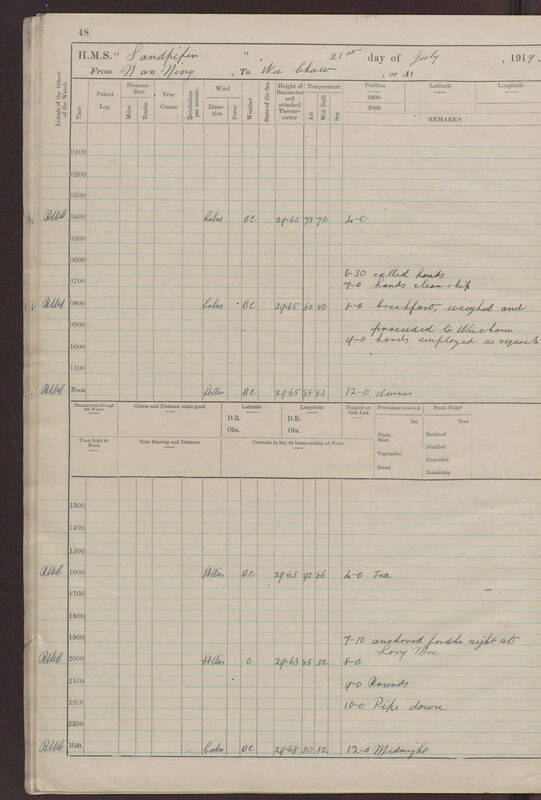 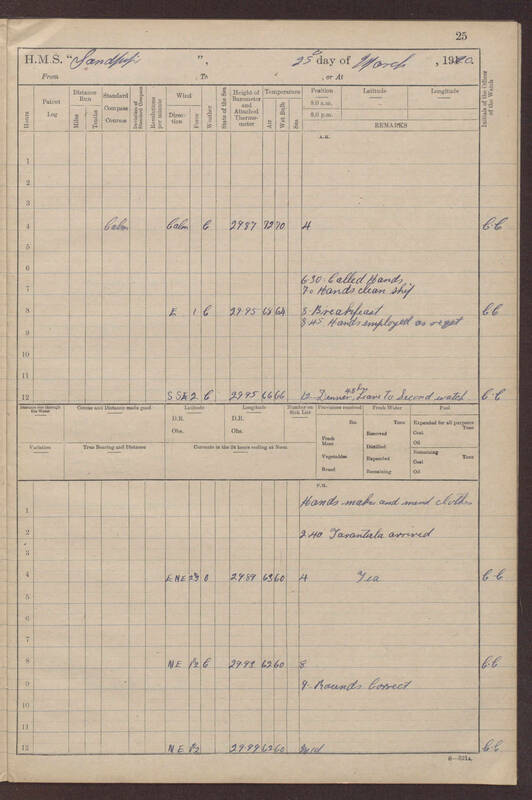 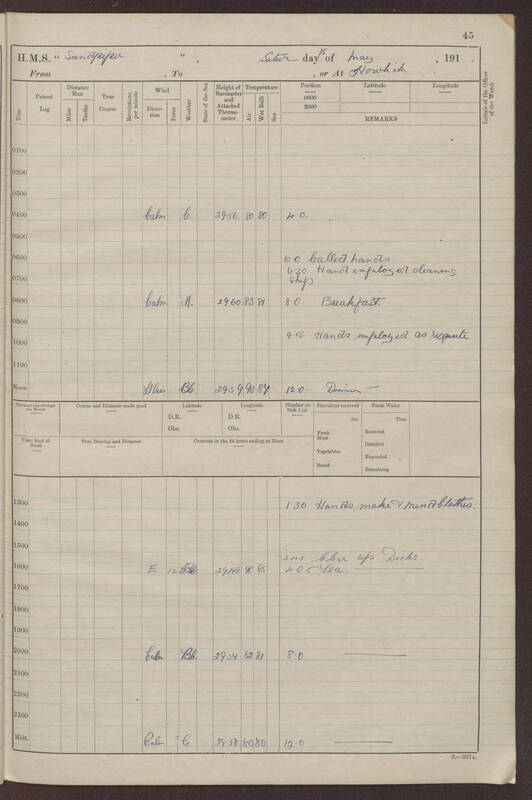 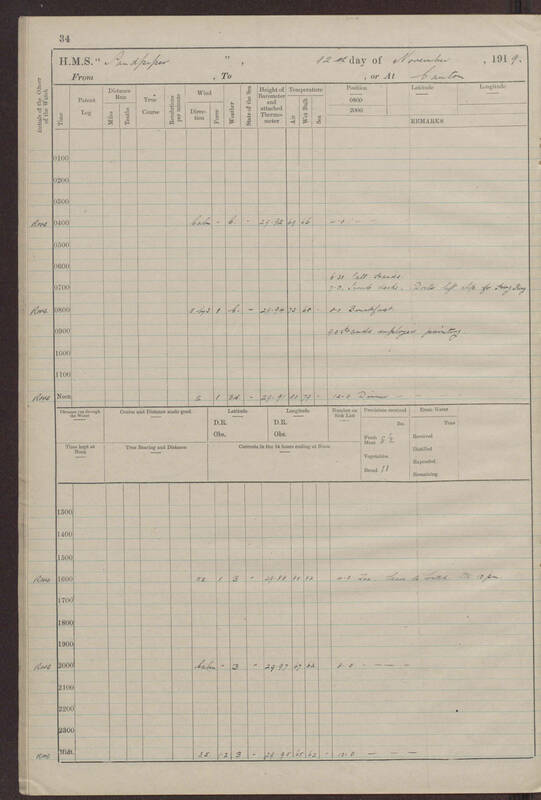 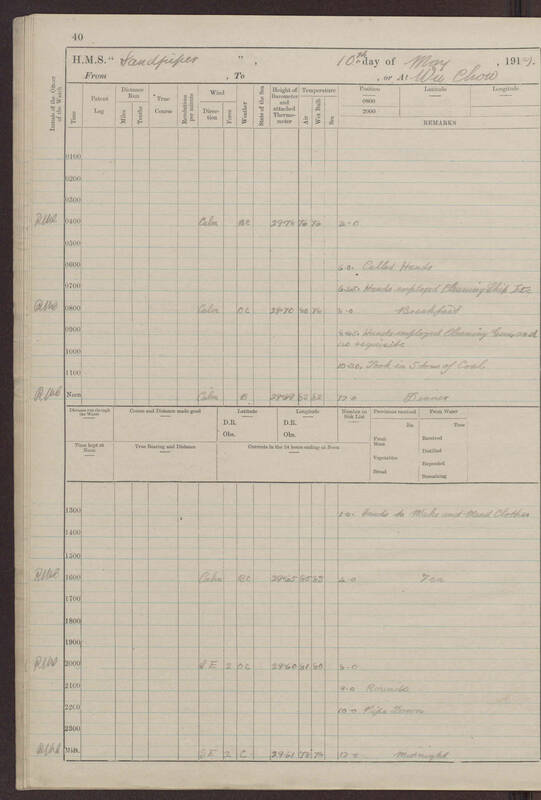 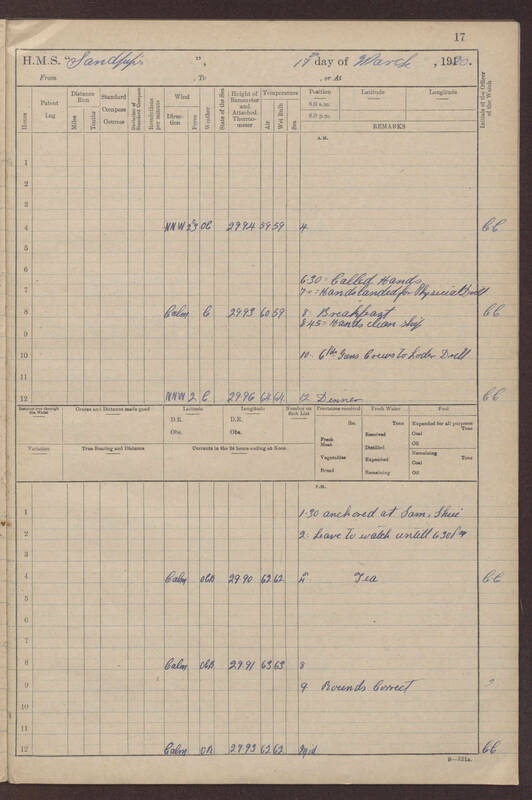 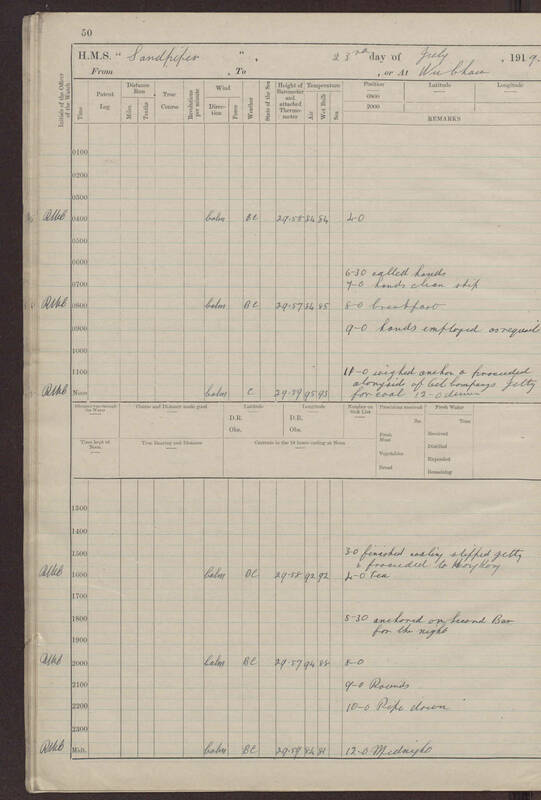 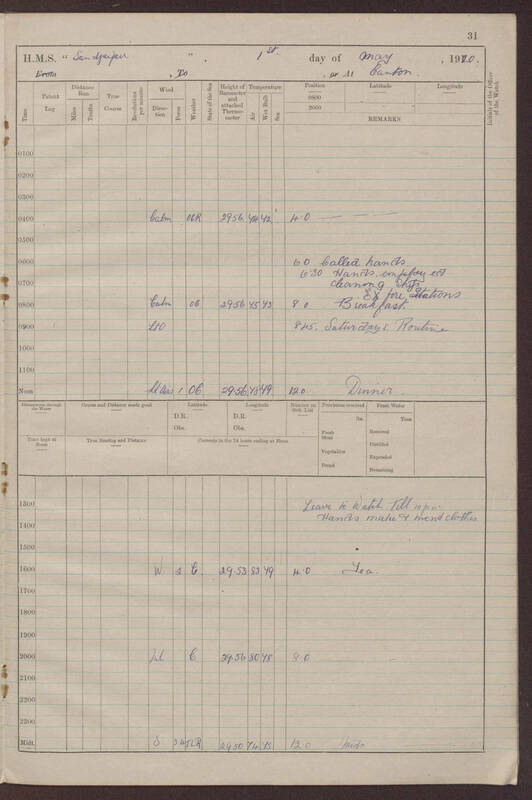 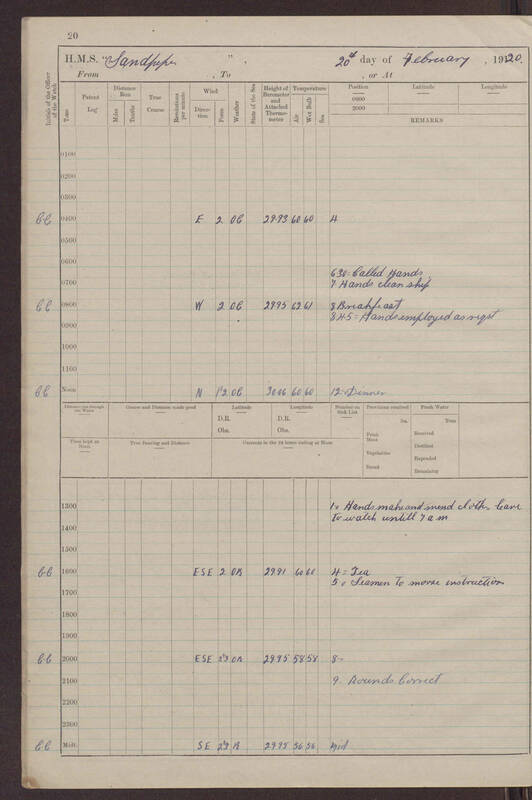 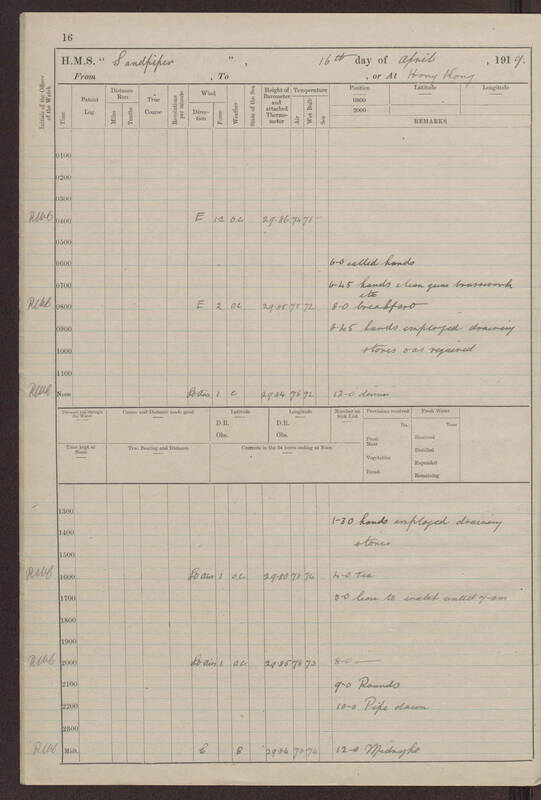 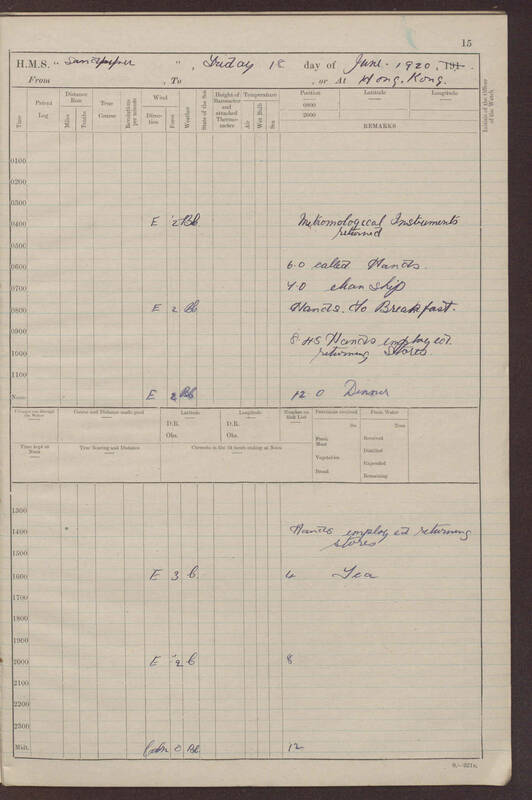 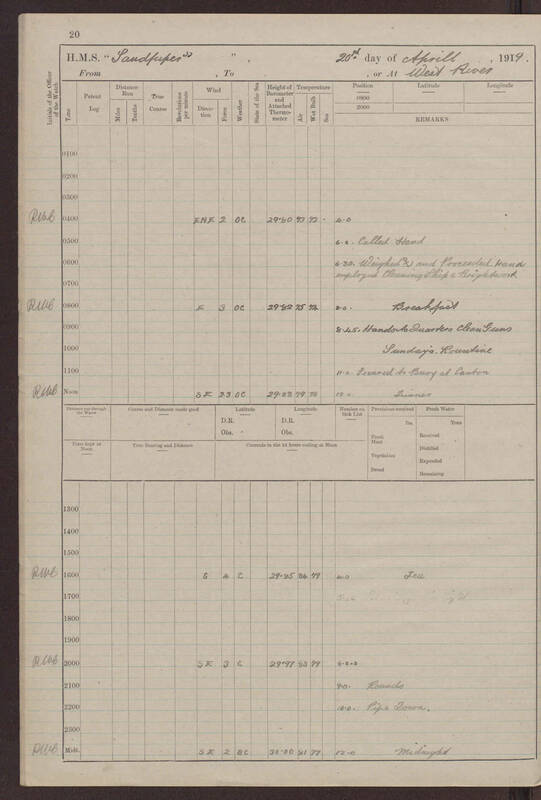 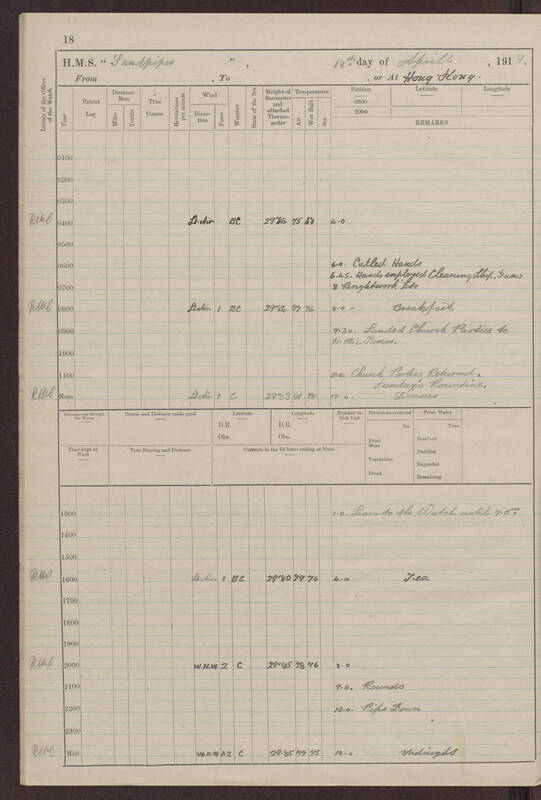 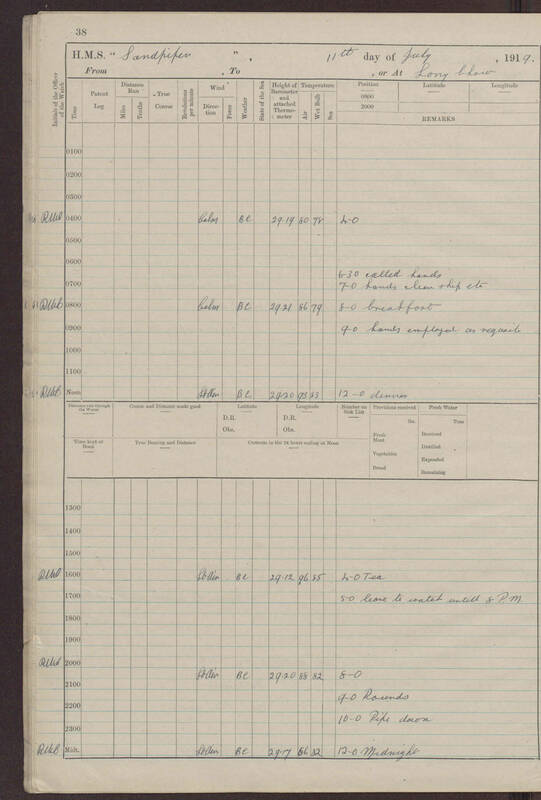 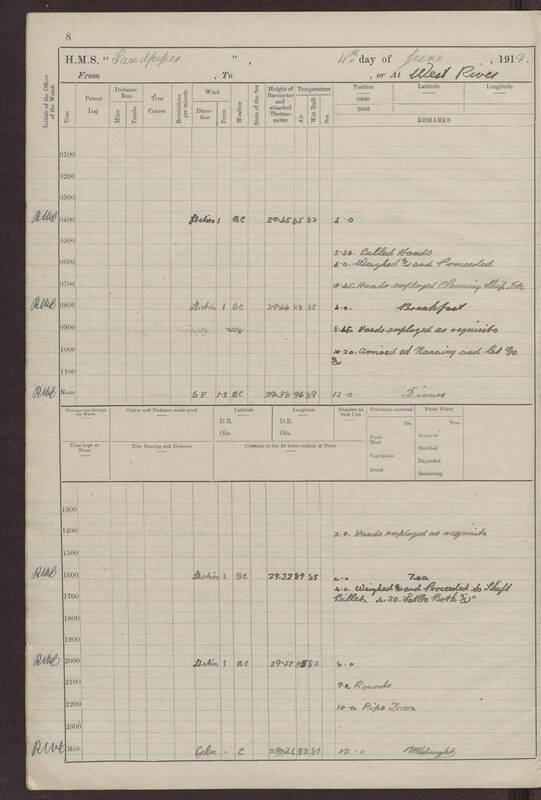 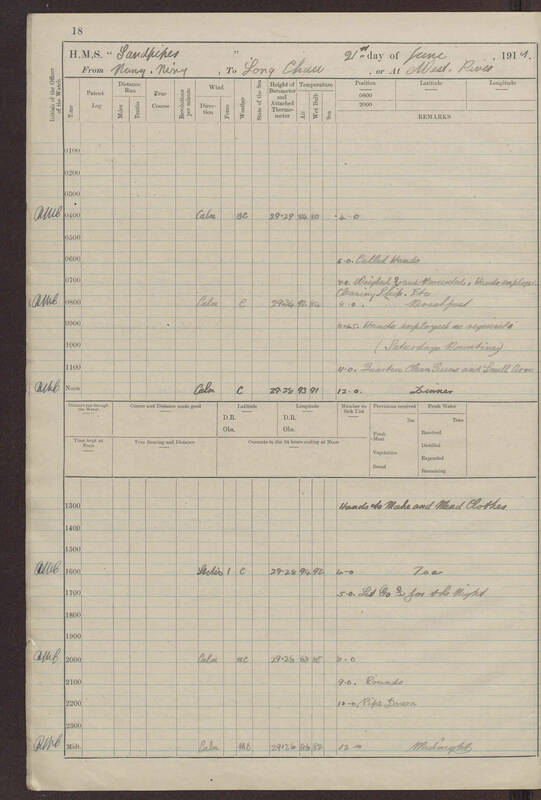 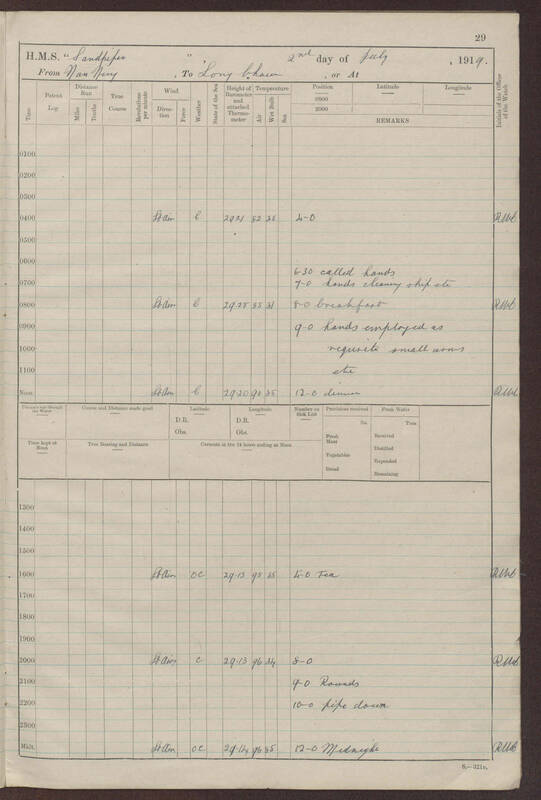 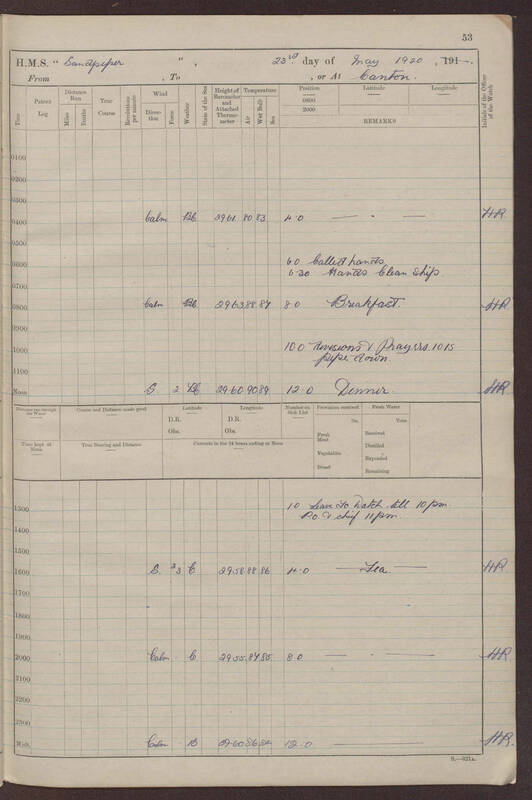 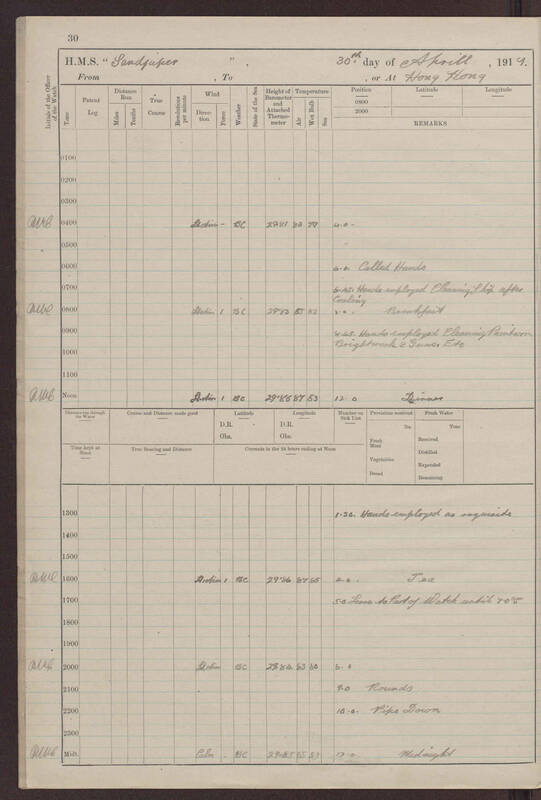 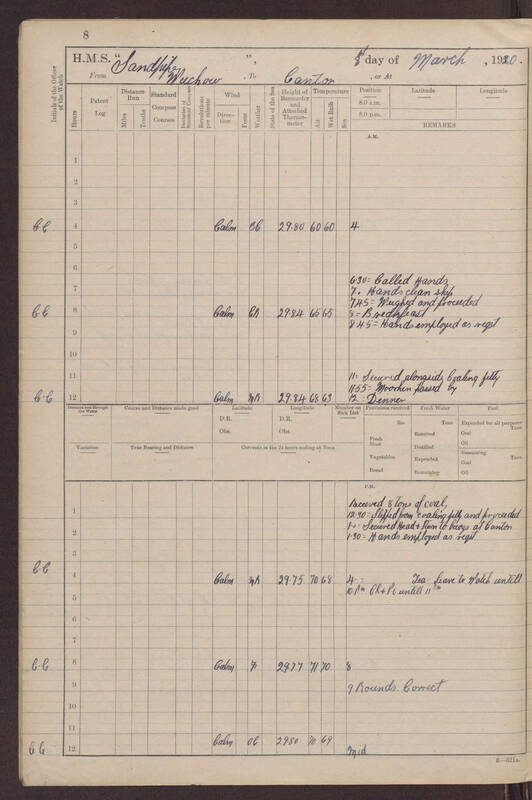 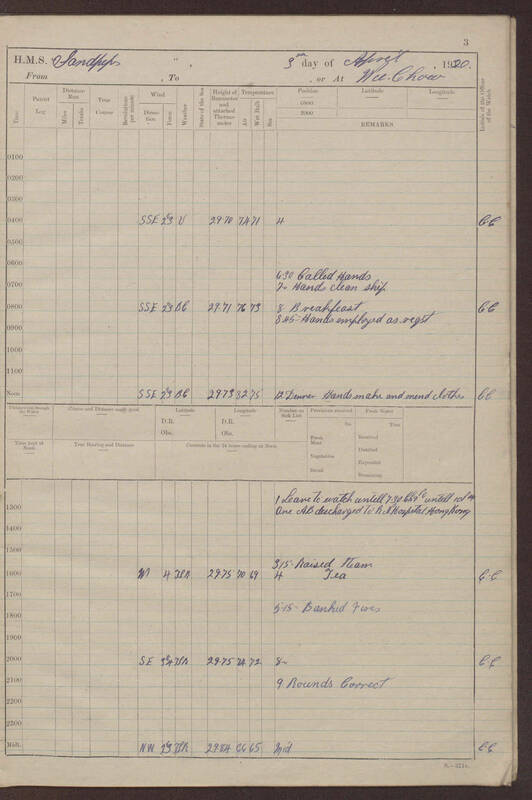 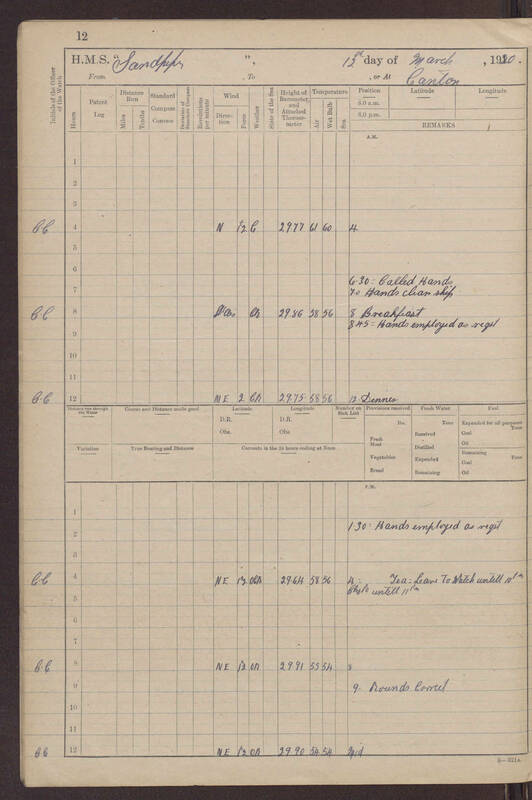 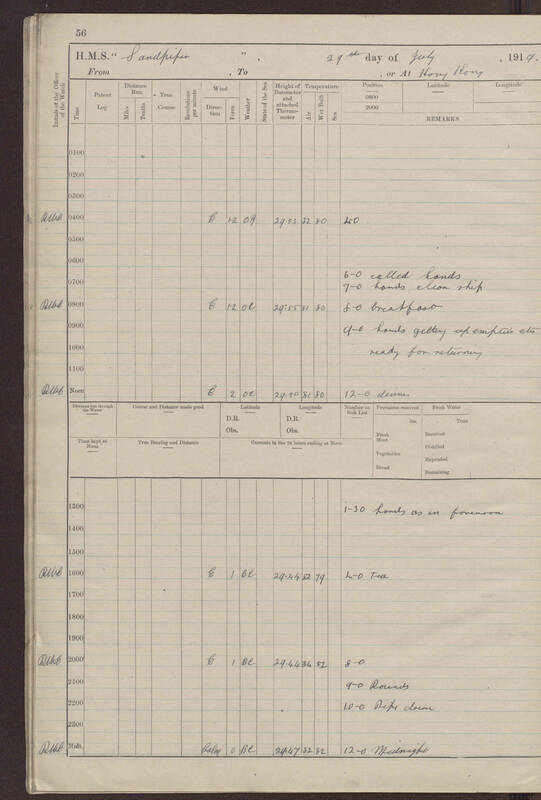 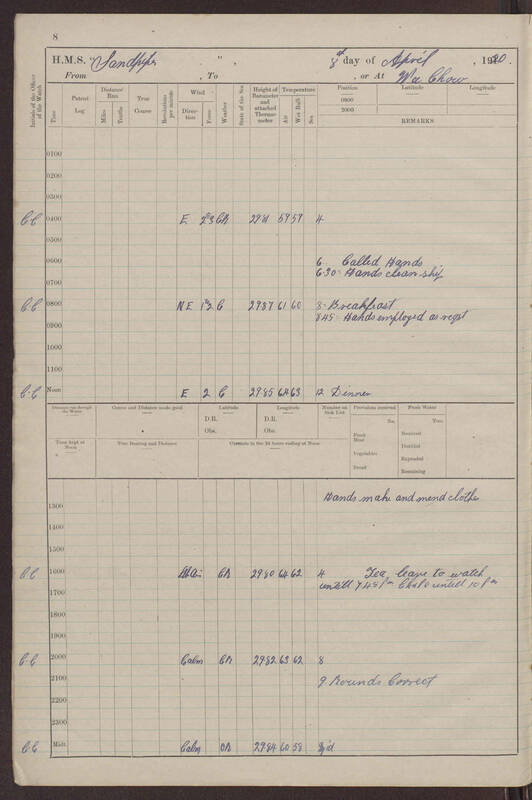 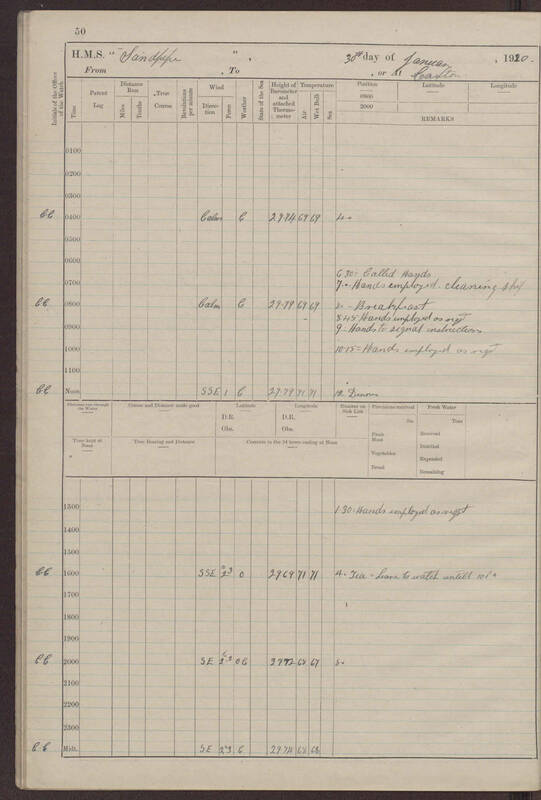 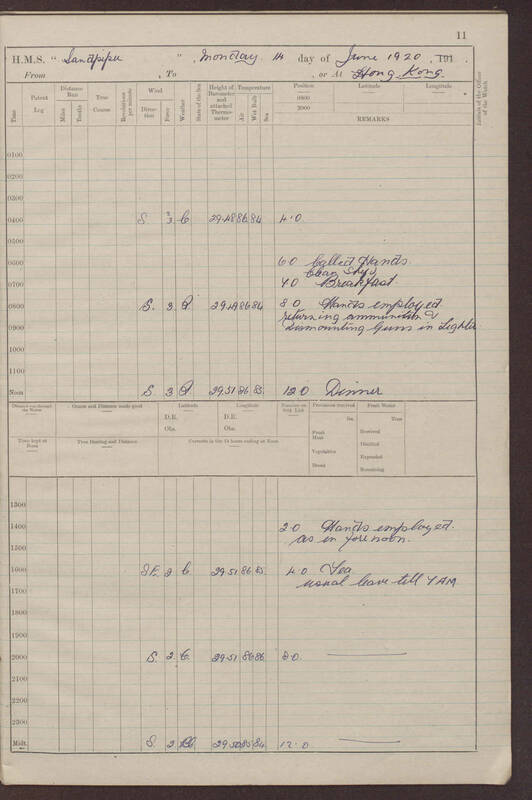 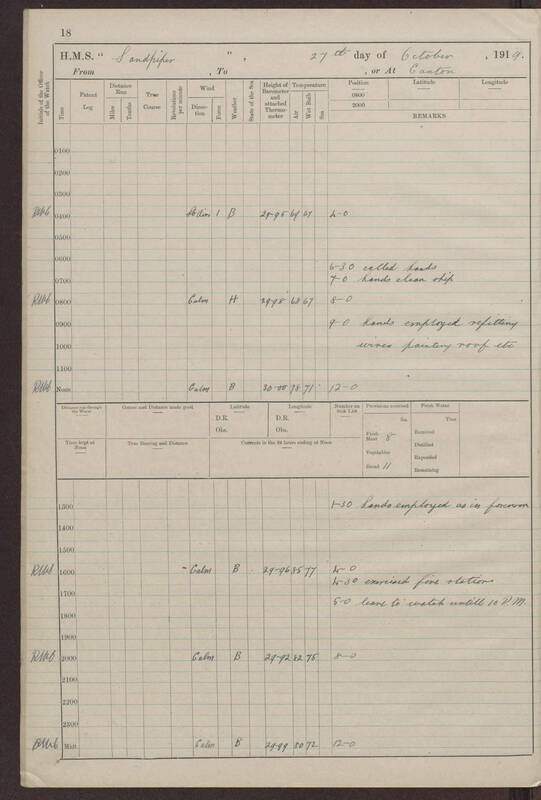 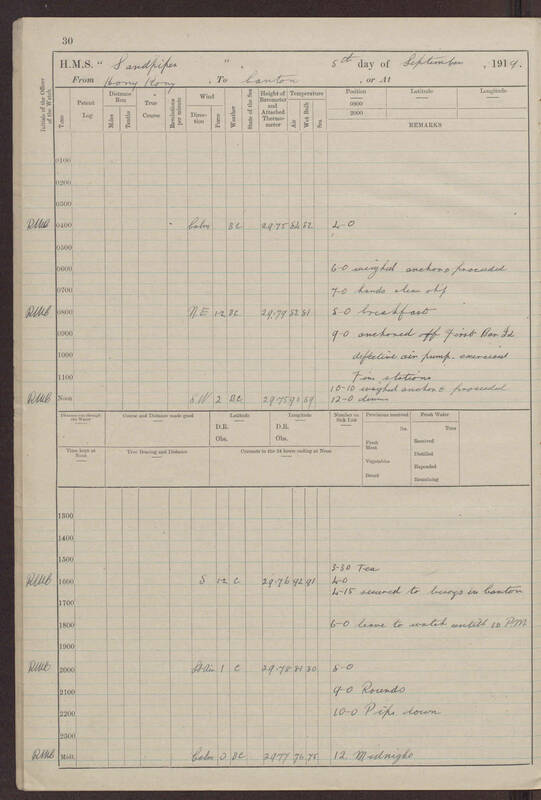 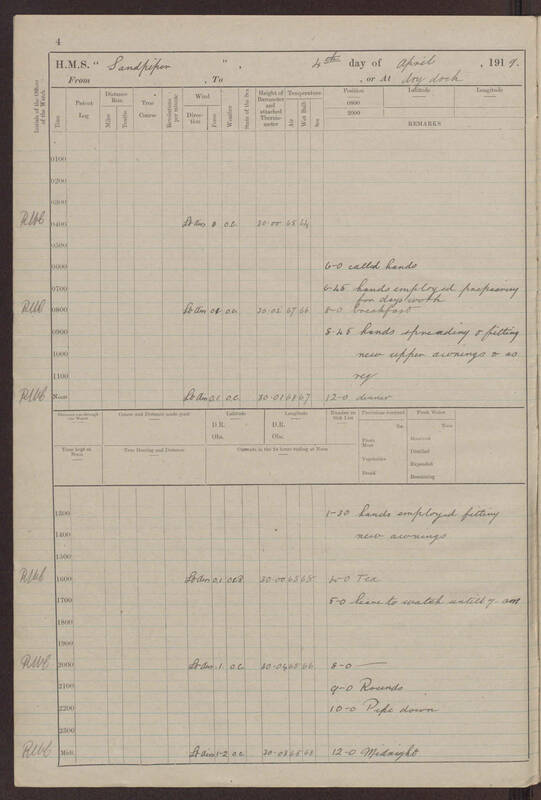 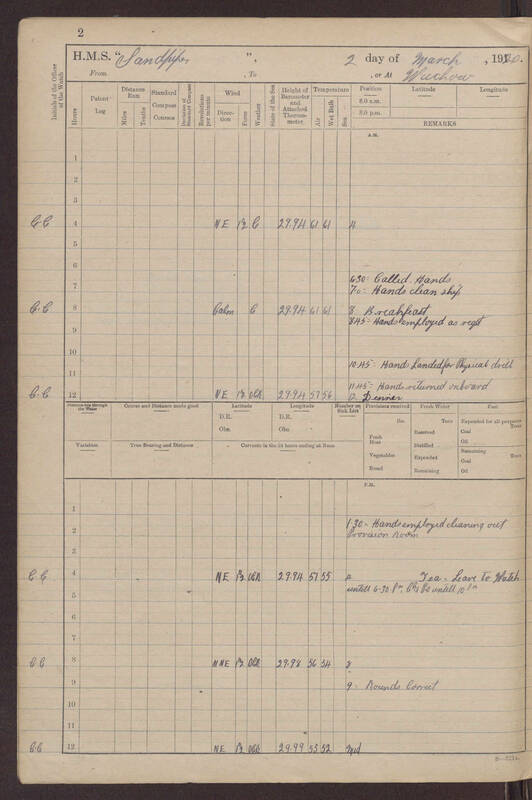 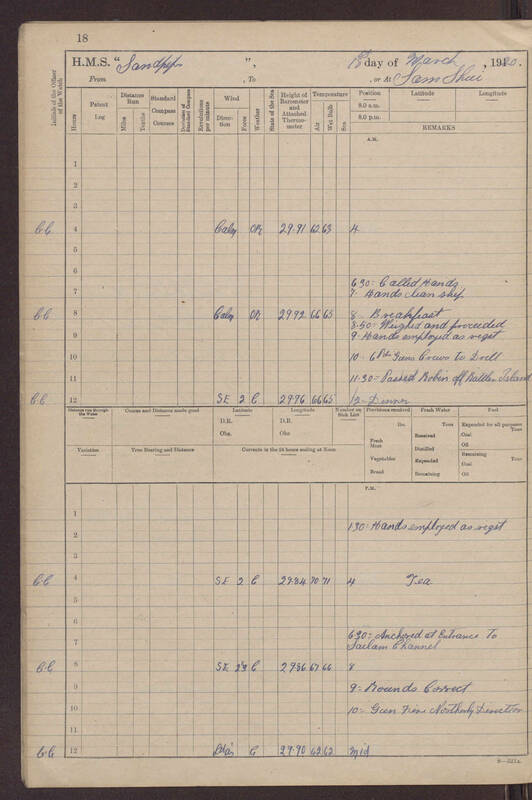 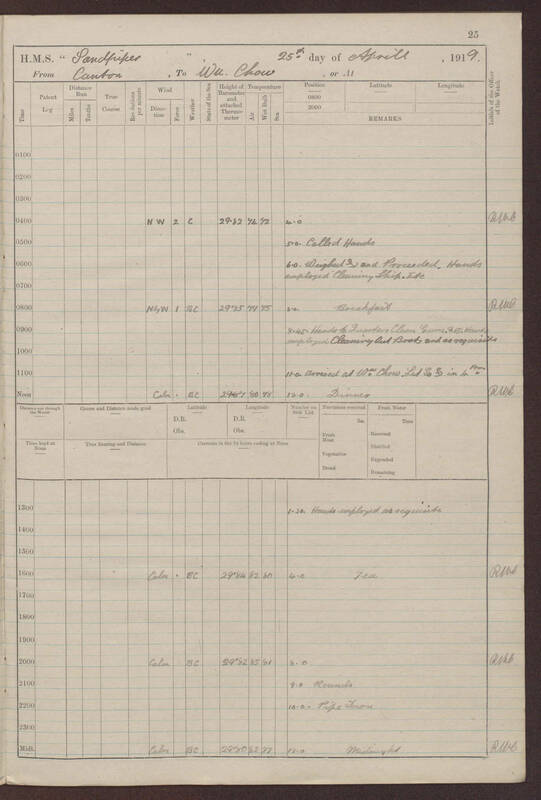 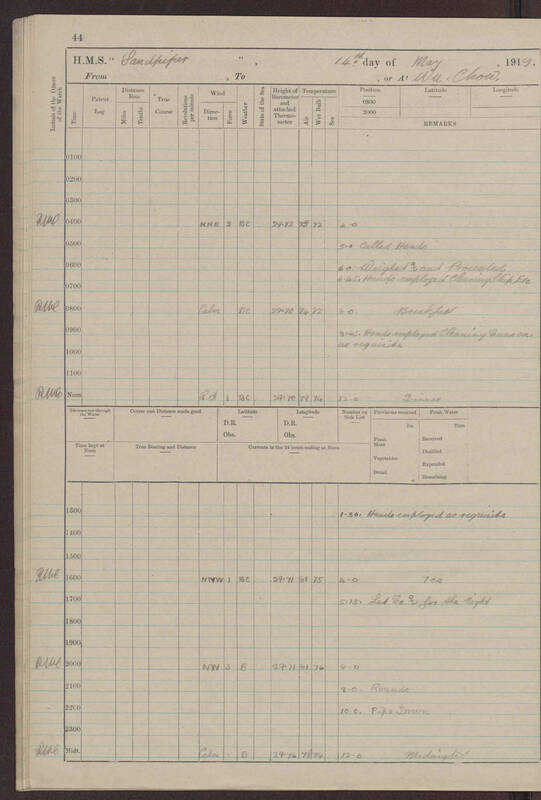 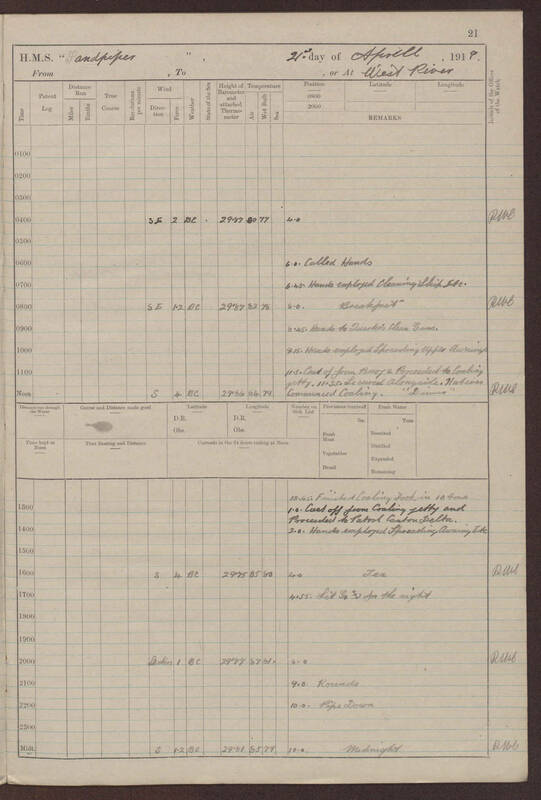 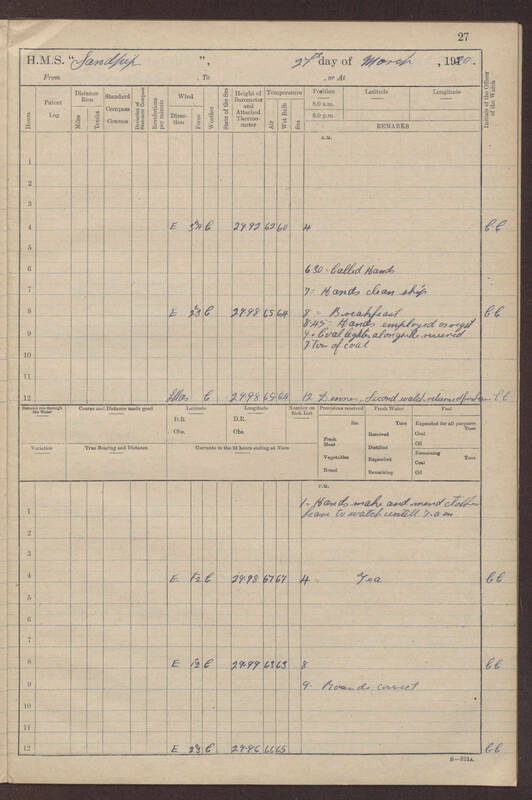 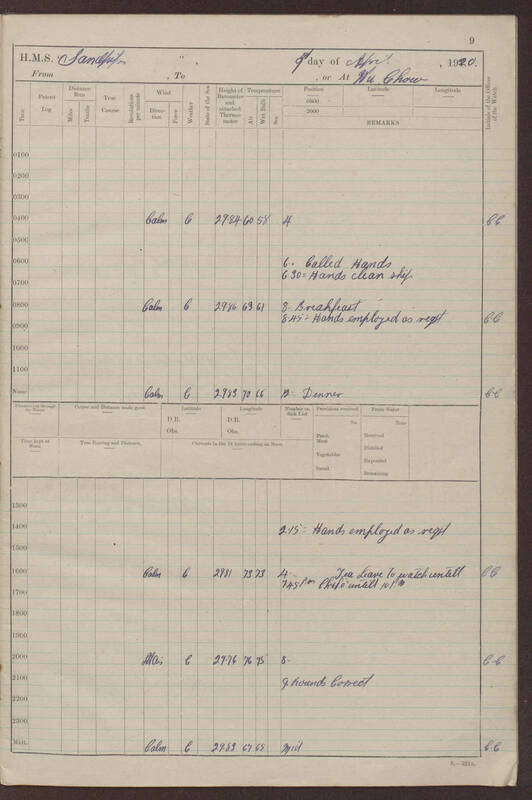 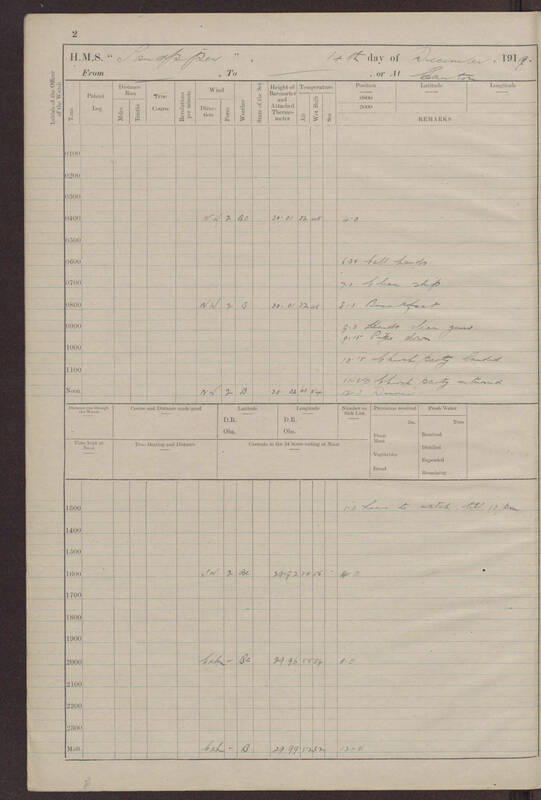 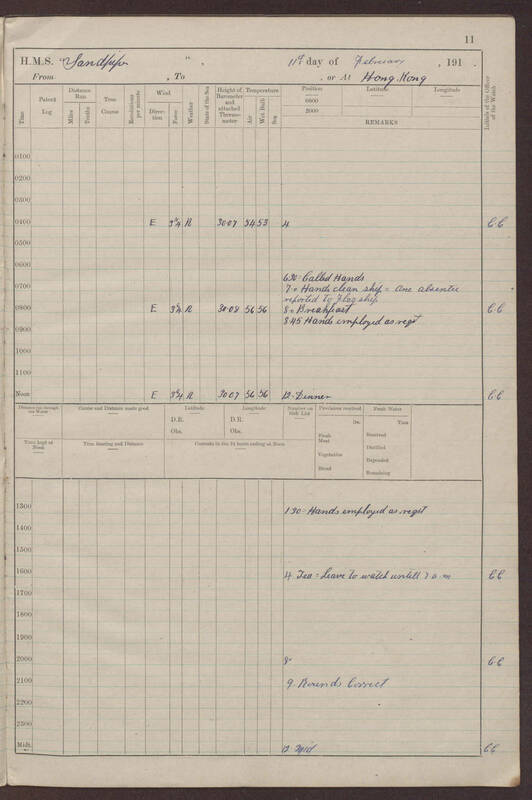 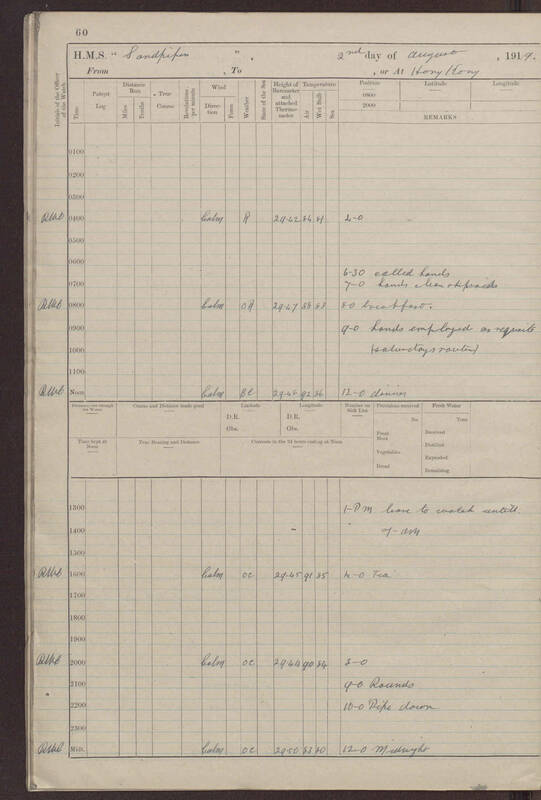 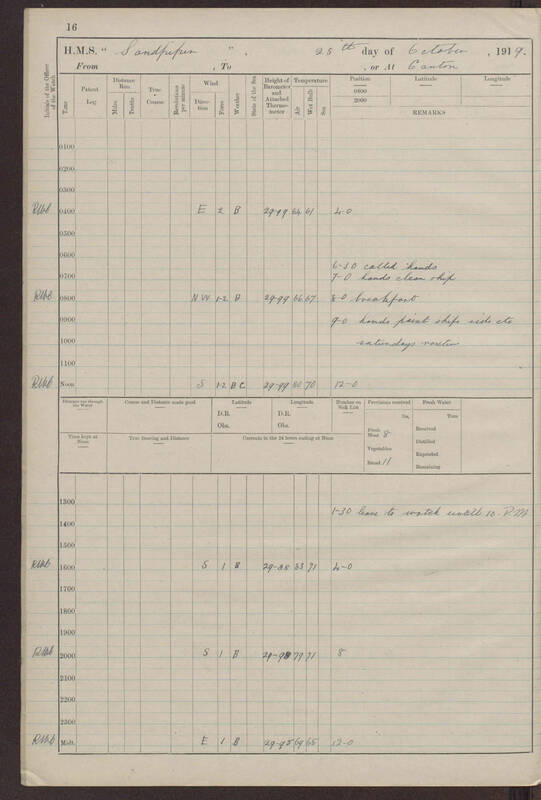 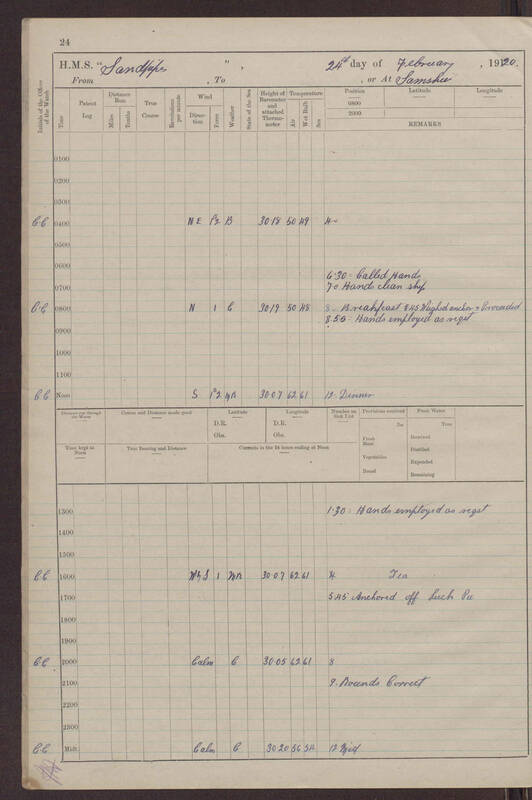 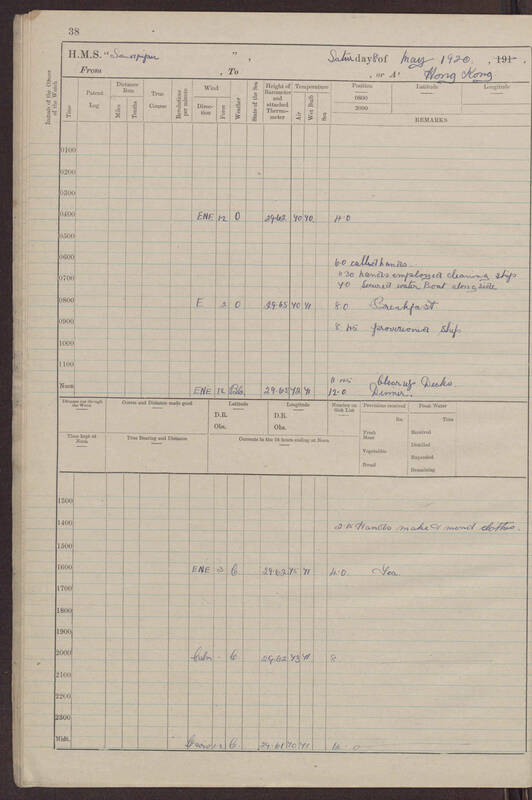 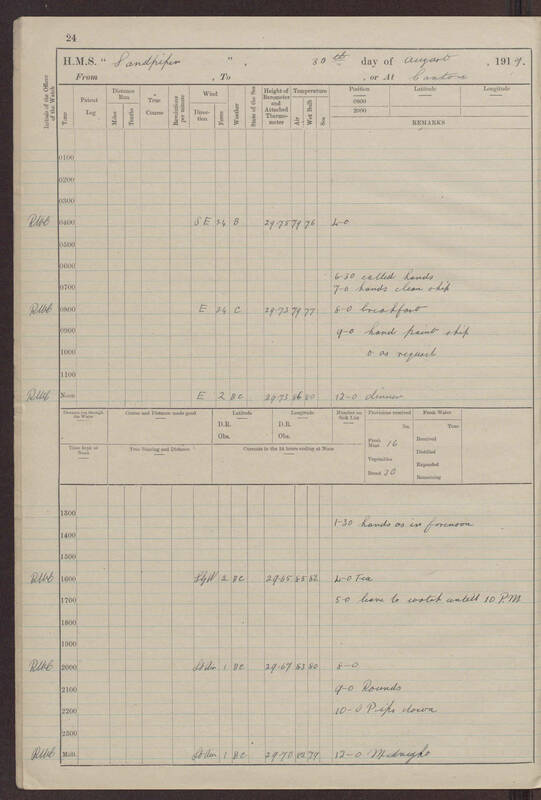 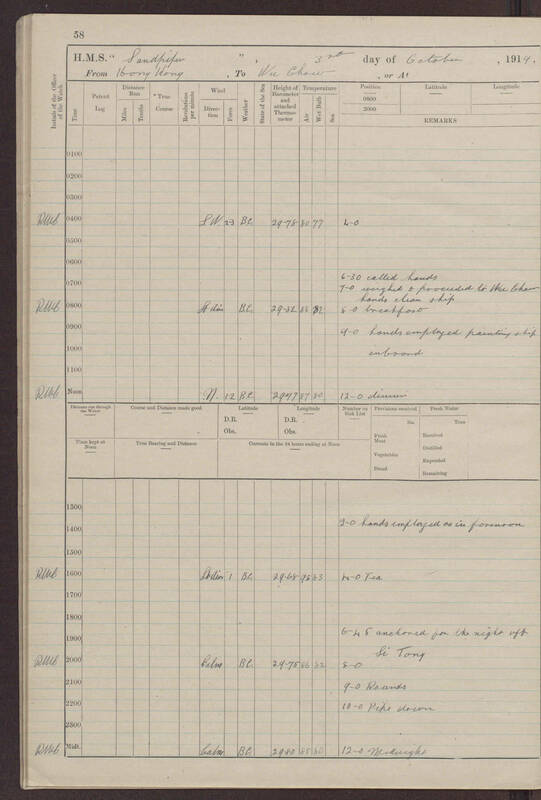 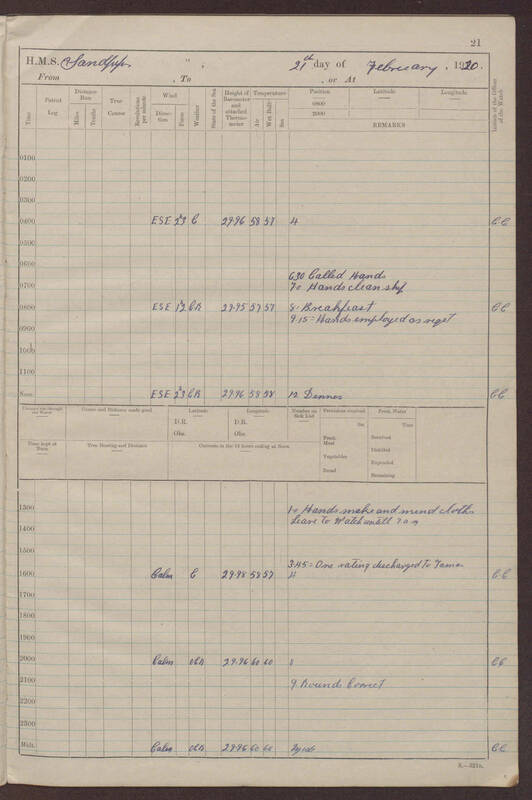 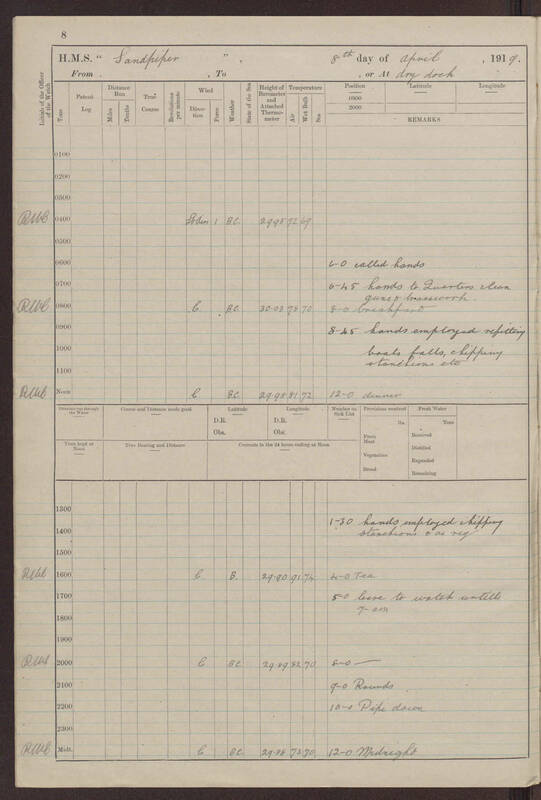 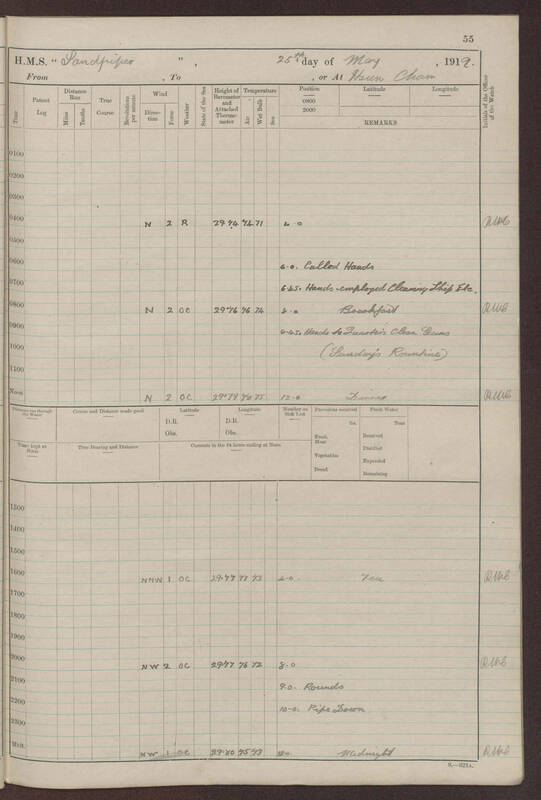 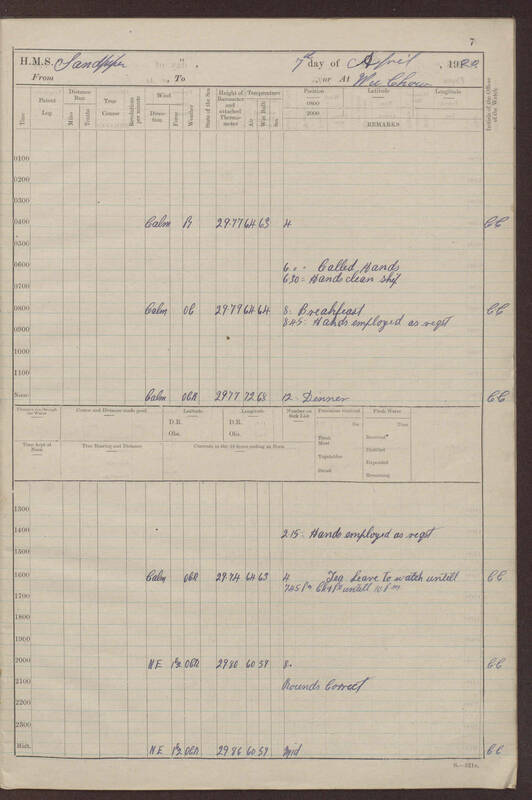 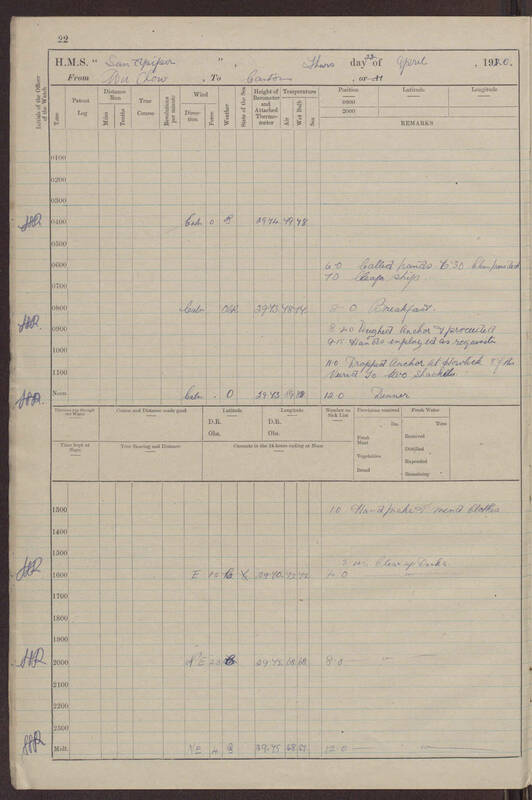 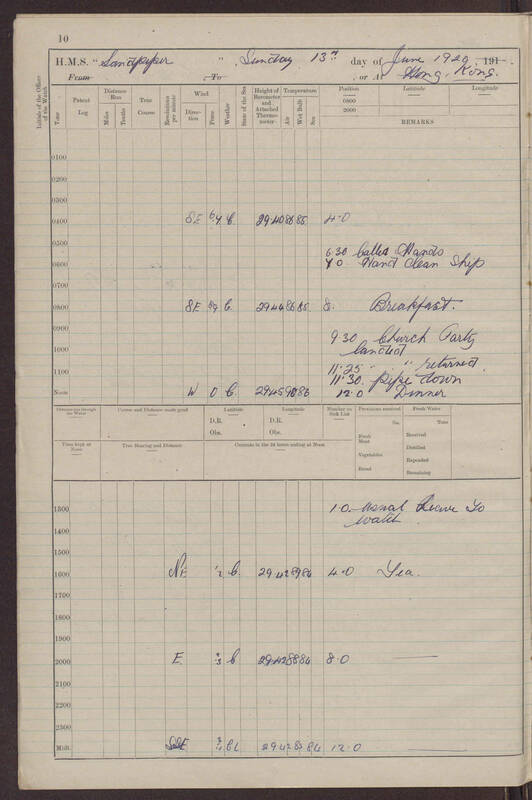 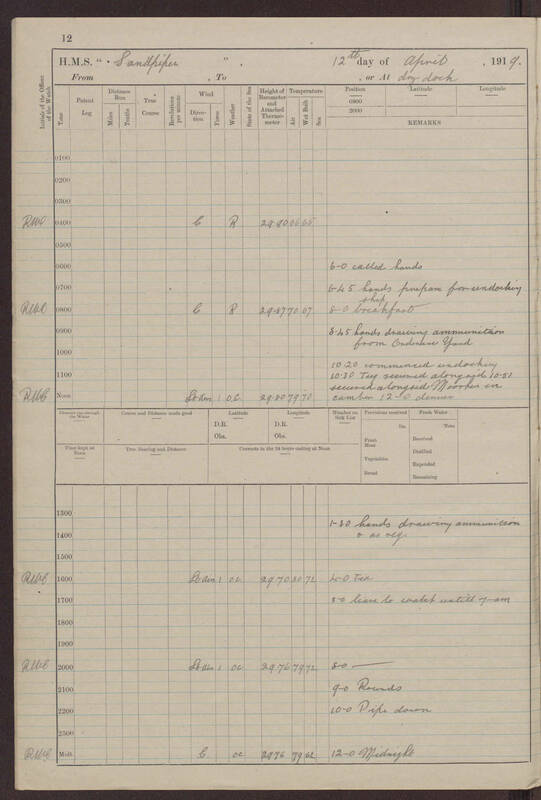 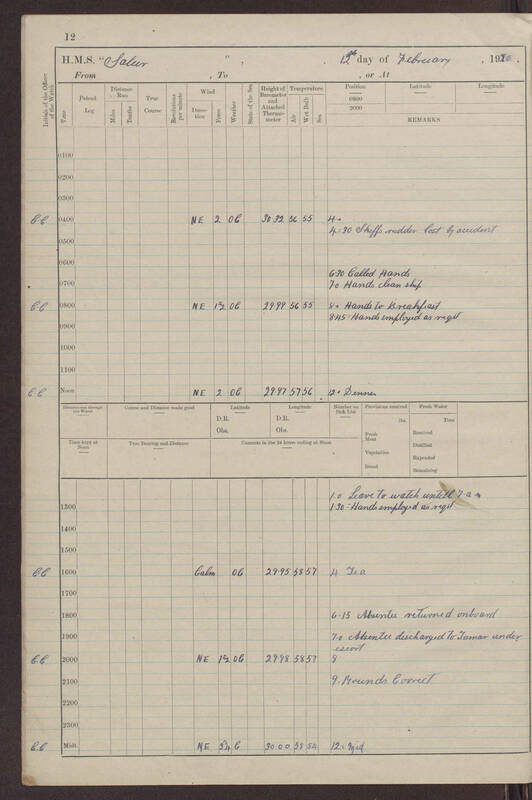 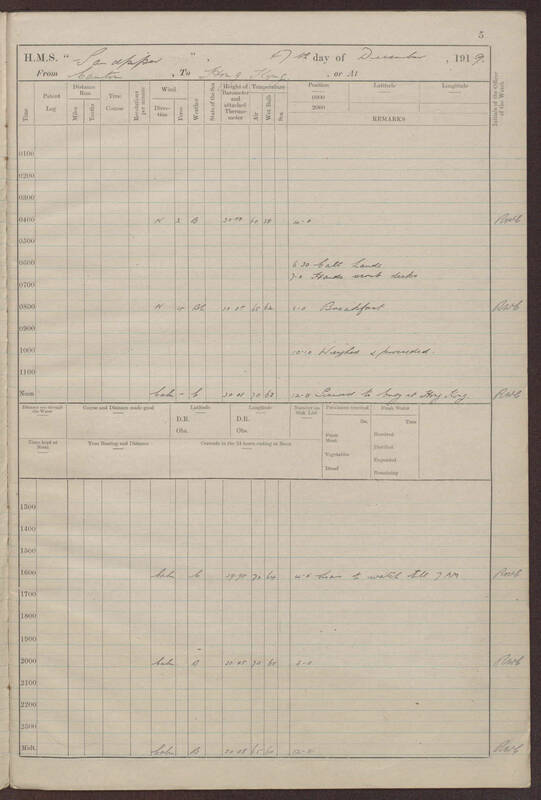 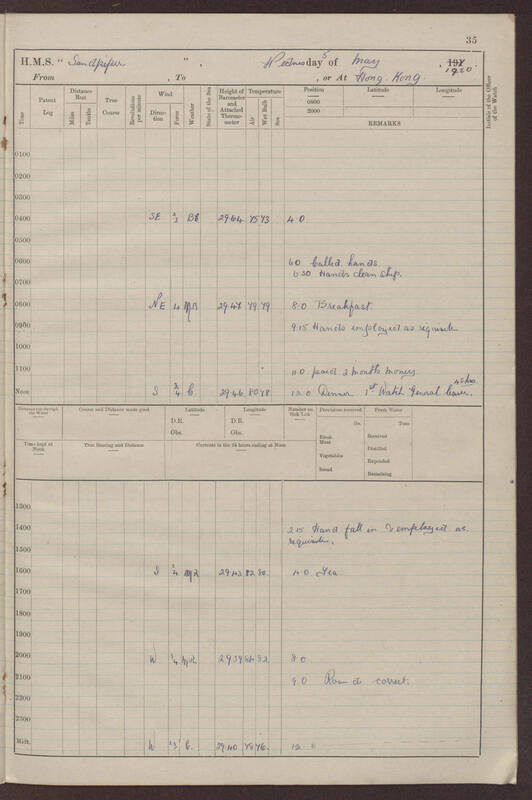 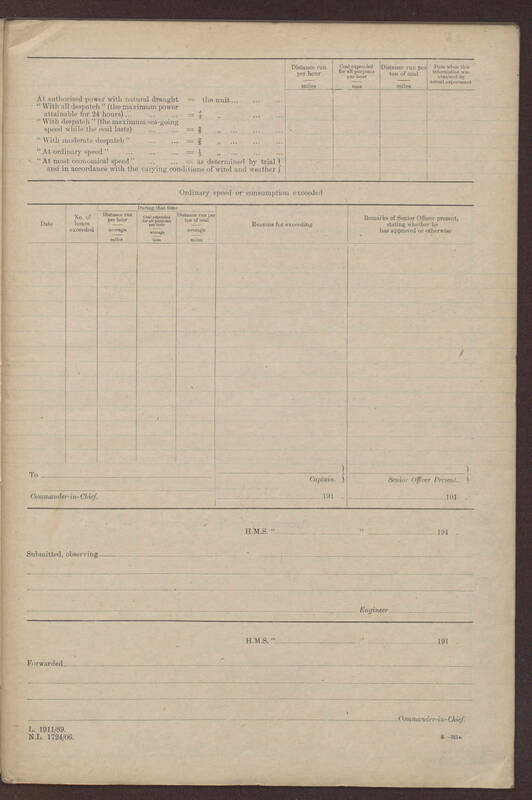 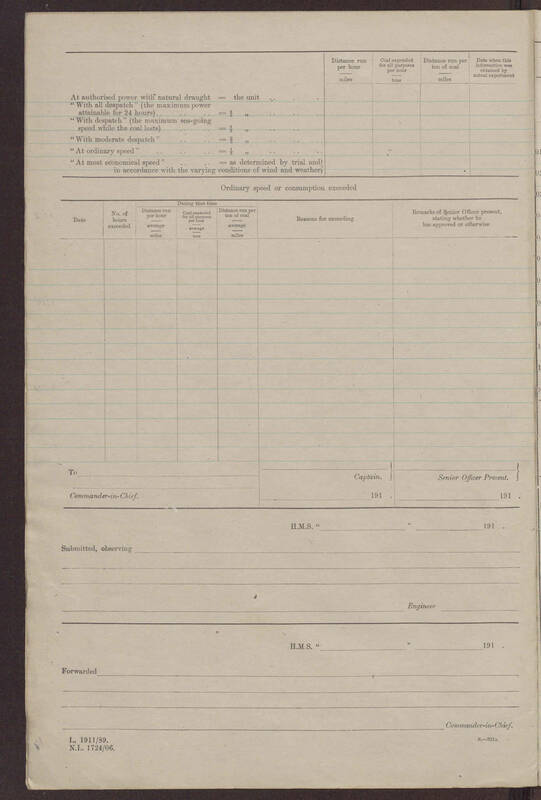 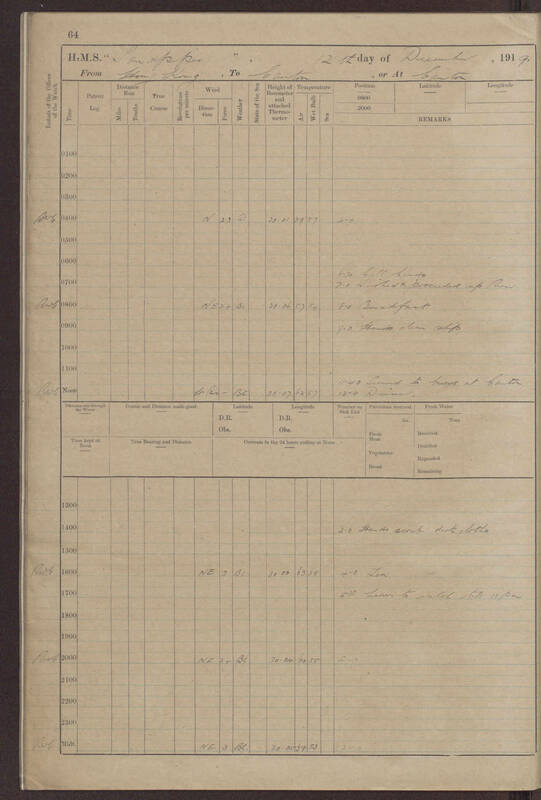 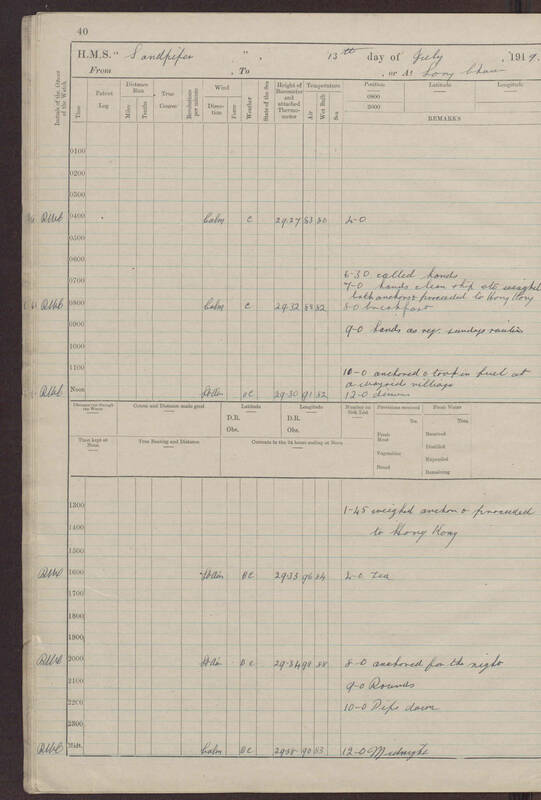 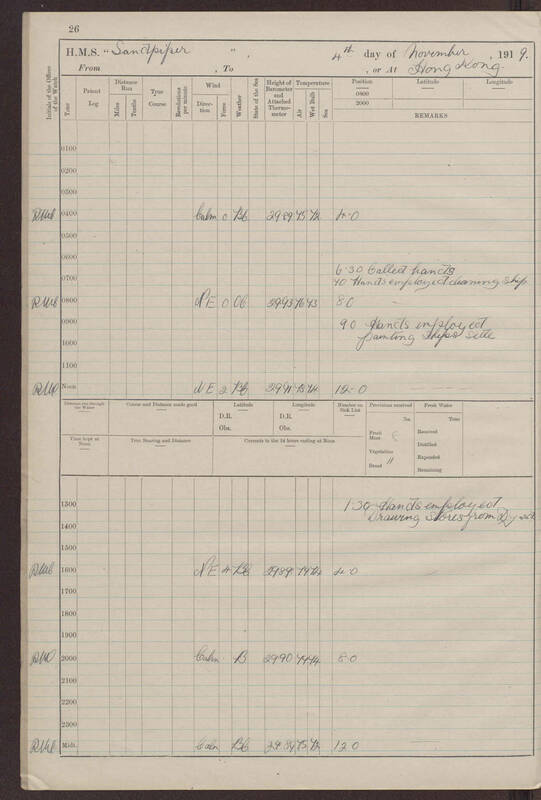 The quality and quantity of transcribed information therefore varies, and may include up to 6 versions of the same data depending on the number of volunteers working on the originals. 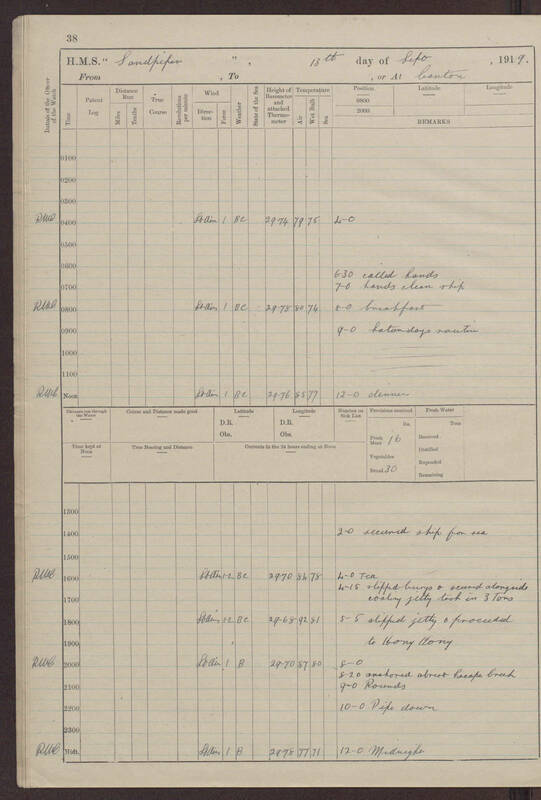 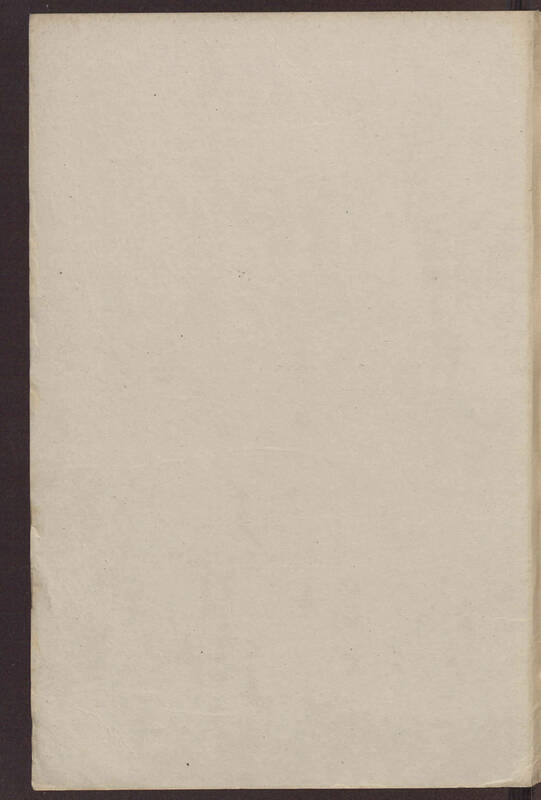 Ship: Met: S.S. TeinSang came alongside with coal, took in 21/2 tons. 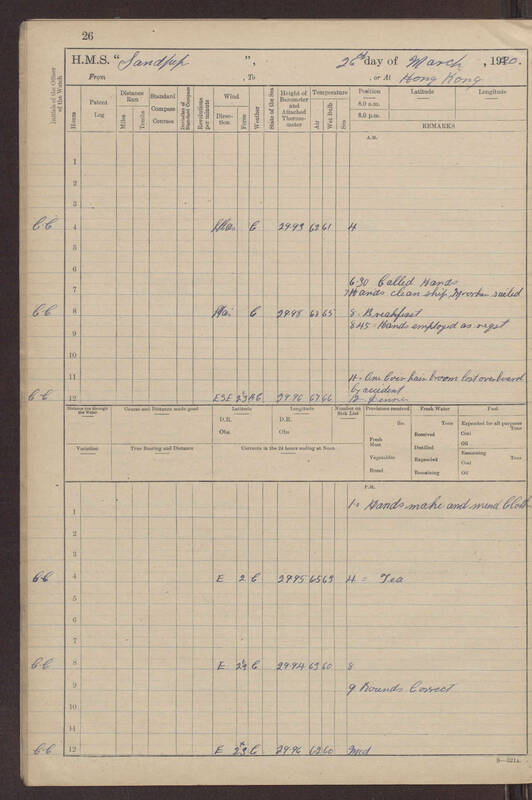 Ship: Met: Sandpan came alongside with coal. Took in 5 ton. 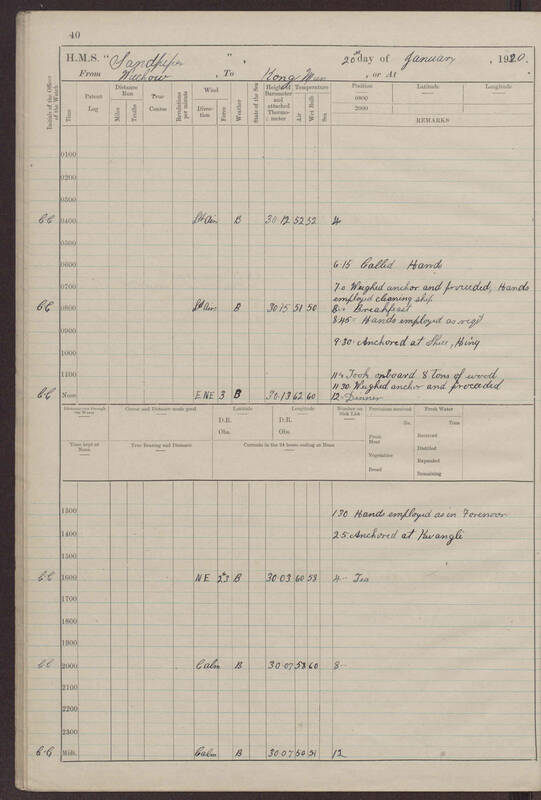 Other: Hands preparing to shift ship. 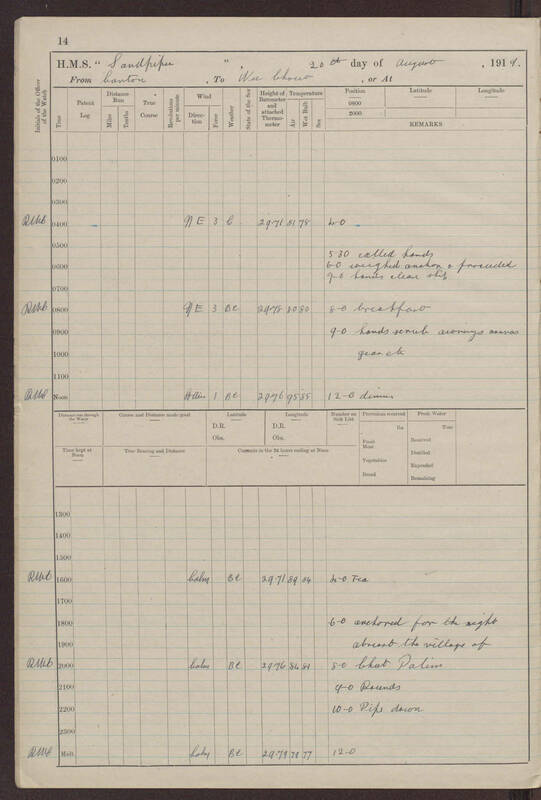 Water rose 11 feet during night. 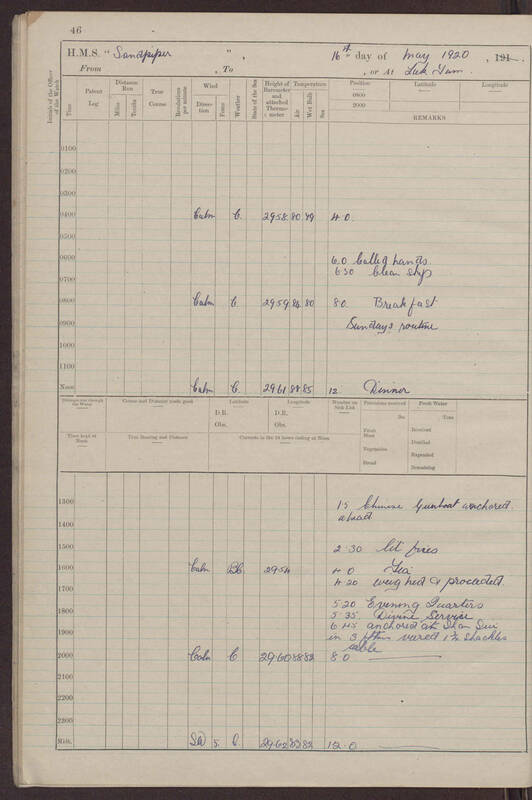 Other: 12.45 anchored at Pak Ma and took in wood for fuel. 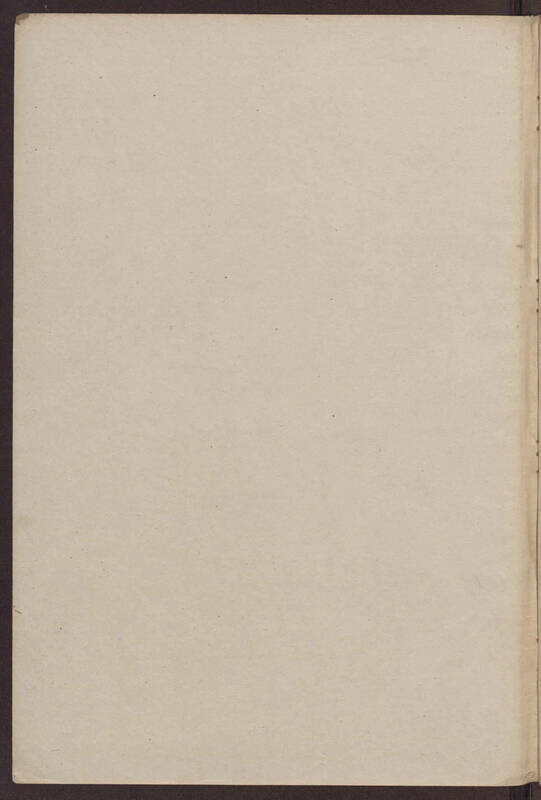 8.00 arrived at Wu Chow and anchored very strong tide. 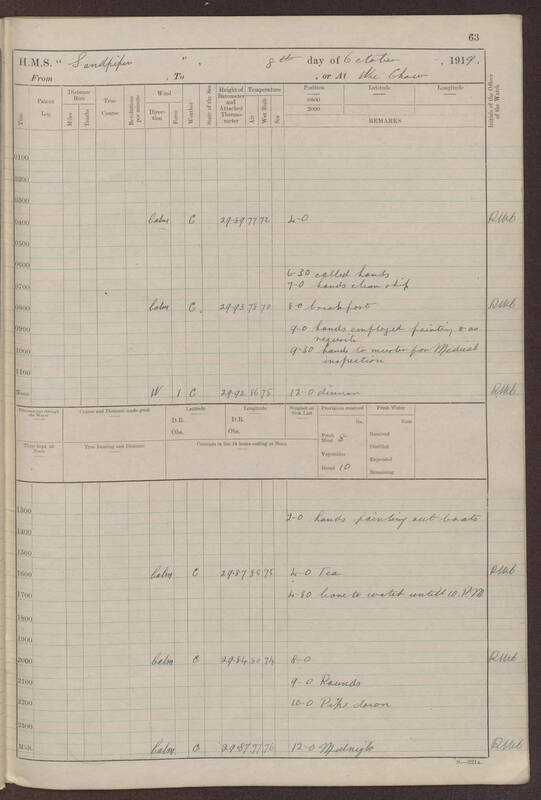 Other: leave to watch 10P.M. 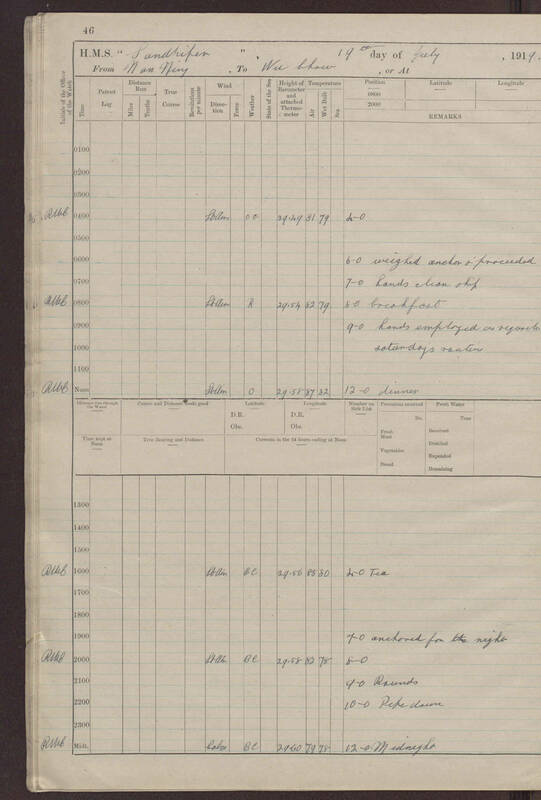 Other: leave to watch untill 10 P.M.
Other: leave to watch 10 P.M. 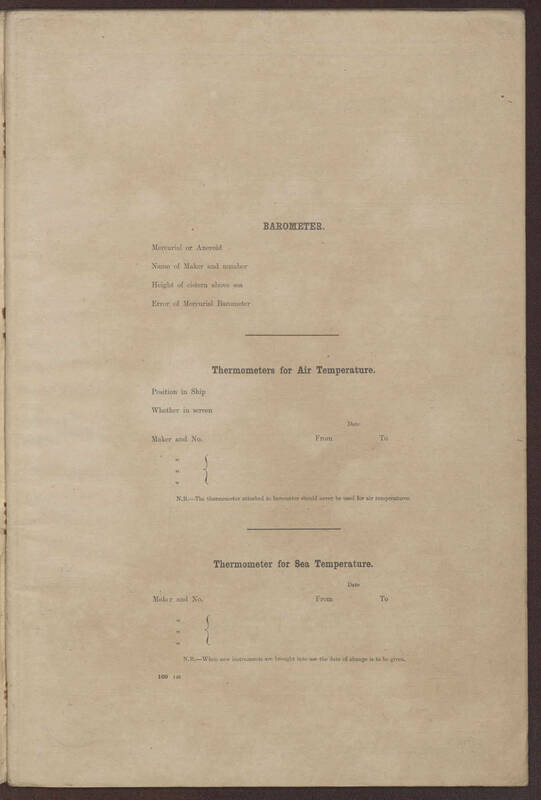 Person: Boarded: one ? 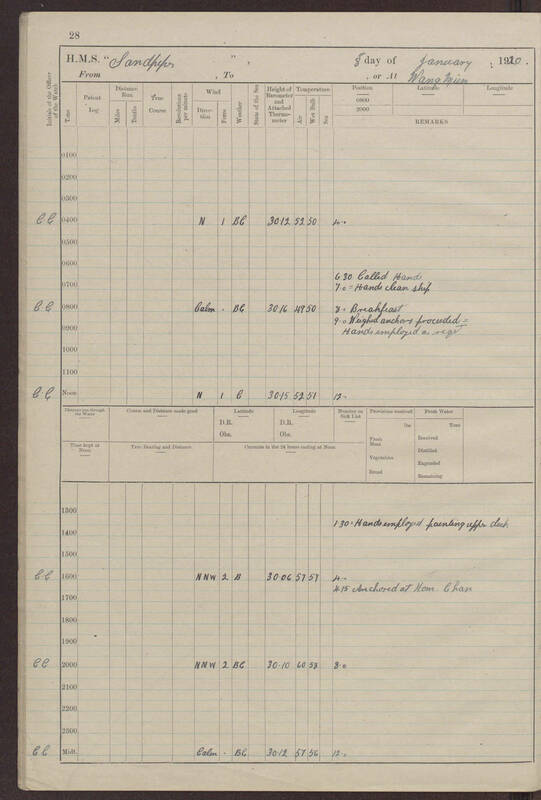 joined ship from "Robin"
Person: Other: POI Gilbert: Sent to fire to asertain if assistance was required Place: Visited: Honam: Large fire observed in Chinese D.yard. 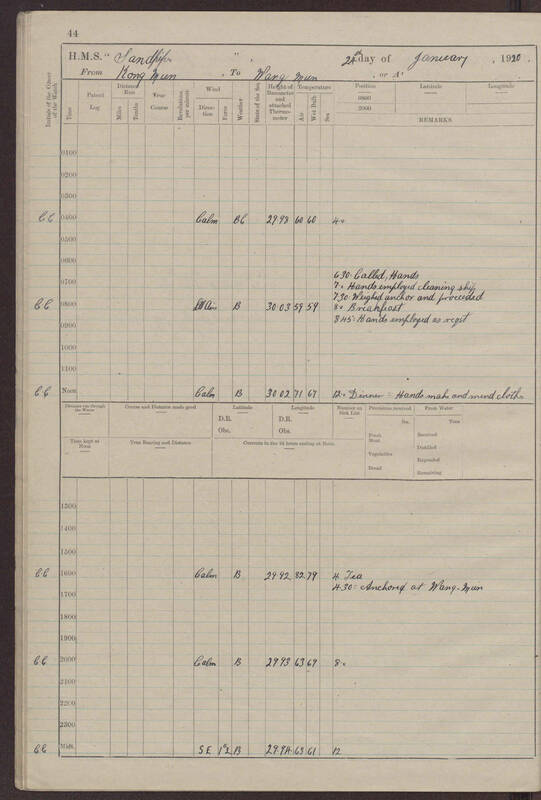 Other: 8.0 Broom lost overboard by accident. 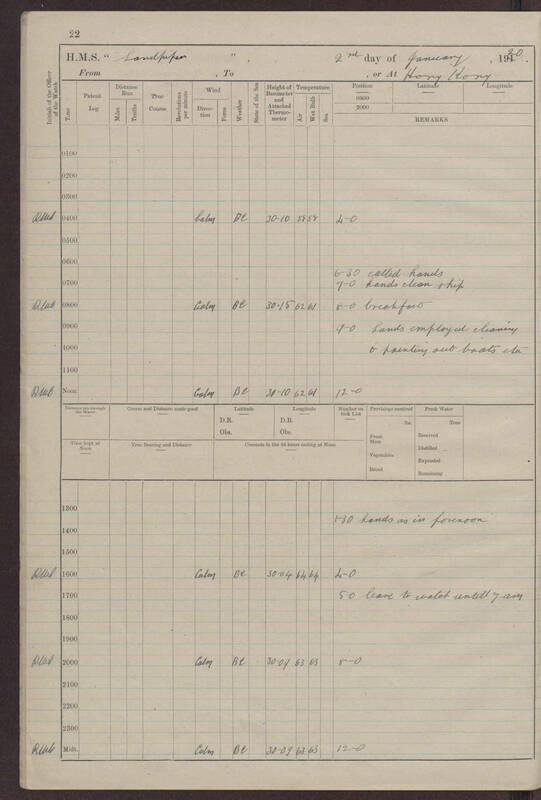 Other: 9.0[am] Coal ship 8 t[o]ns. 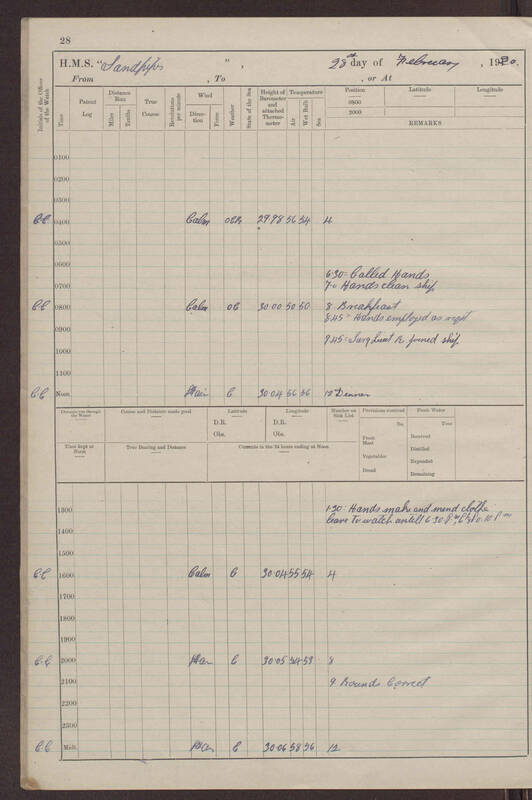 Other: 4.30[pm] AB & 1 stoker joined Tamar in return. 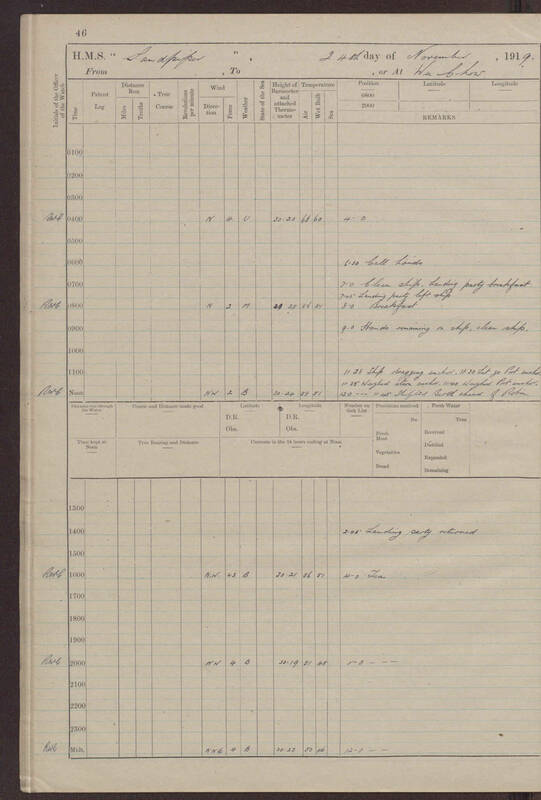 Other: 6.50[am] Slipped & proceeded Hands employed securing ship for sea. 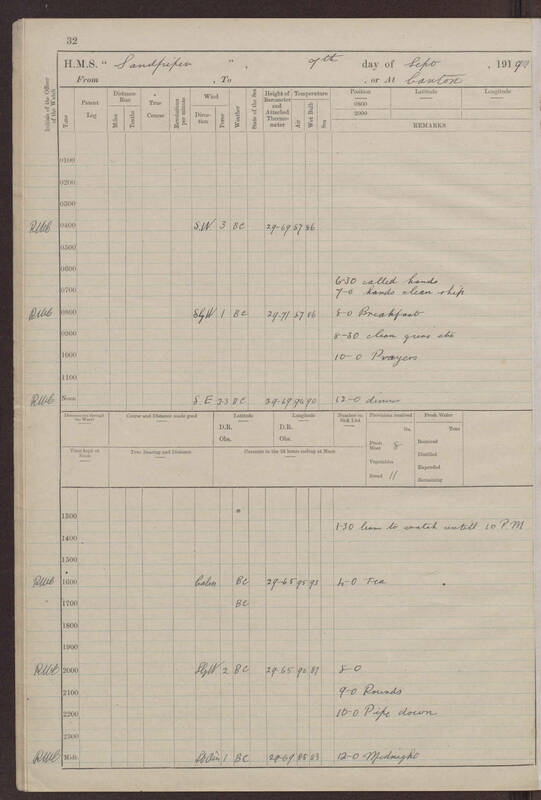 Other: 5.40[pm] Anchored at Tiger Island. 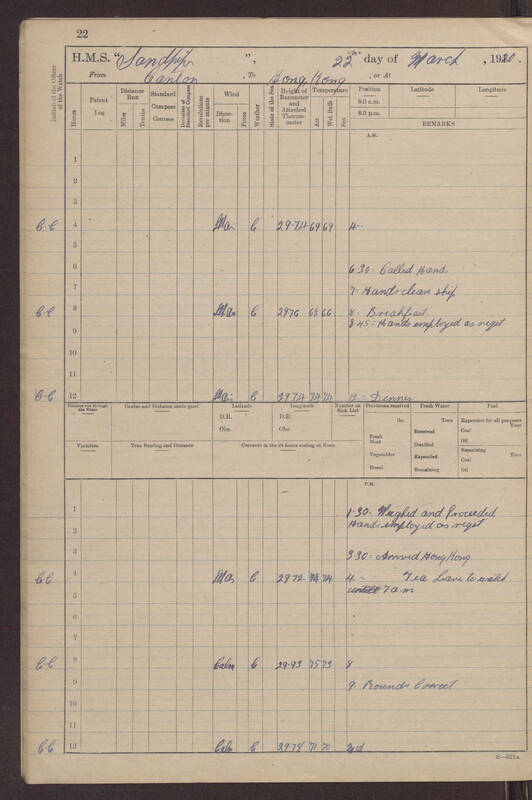 Other: 6.50[pm] H.M.S Robin anchored at Tiger Island. 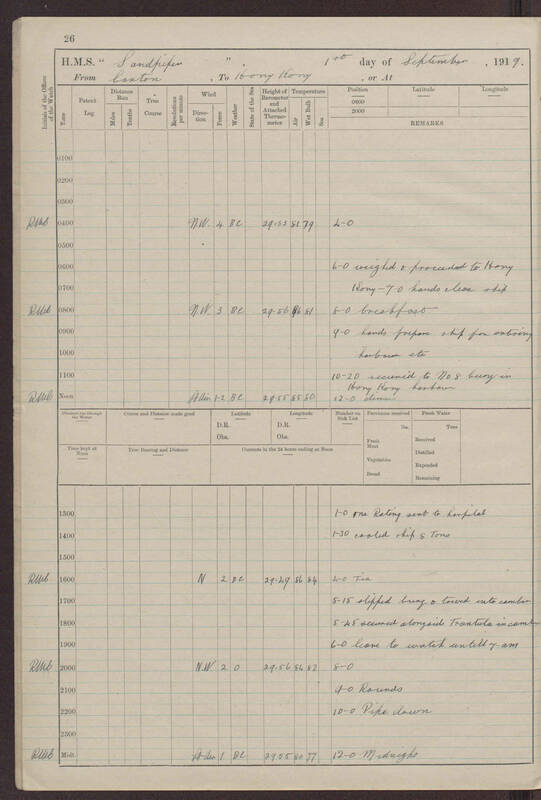 Other: 7.15[am] "Robin" weighed & proceeded. 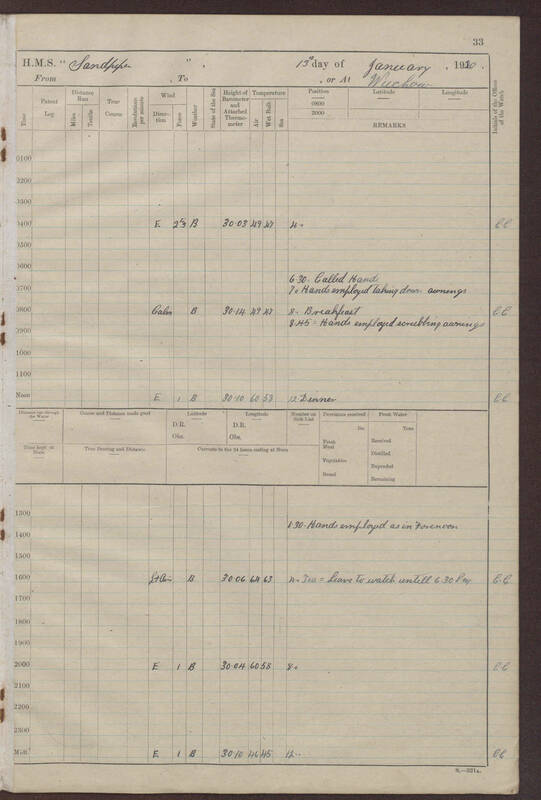 Other: 11.0[am] Fired one round blank. 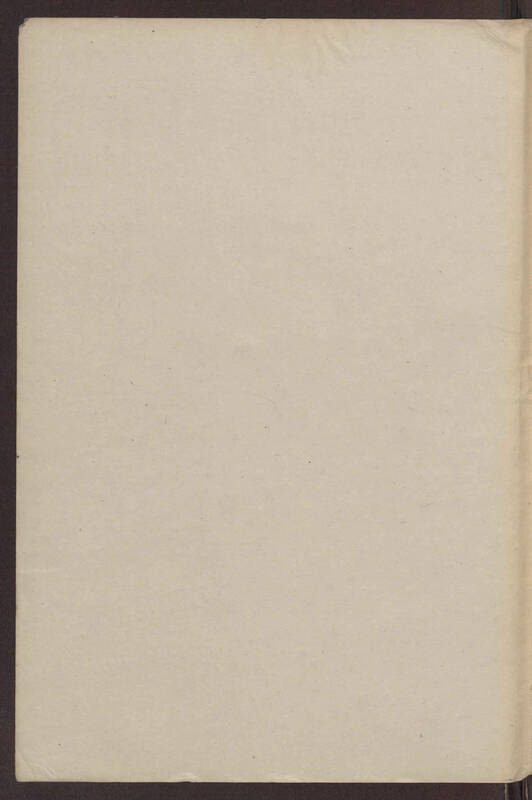 Half mast colours. 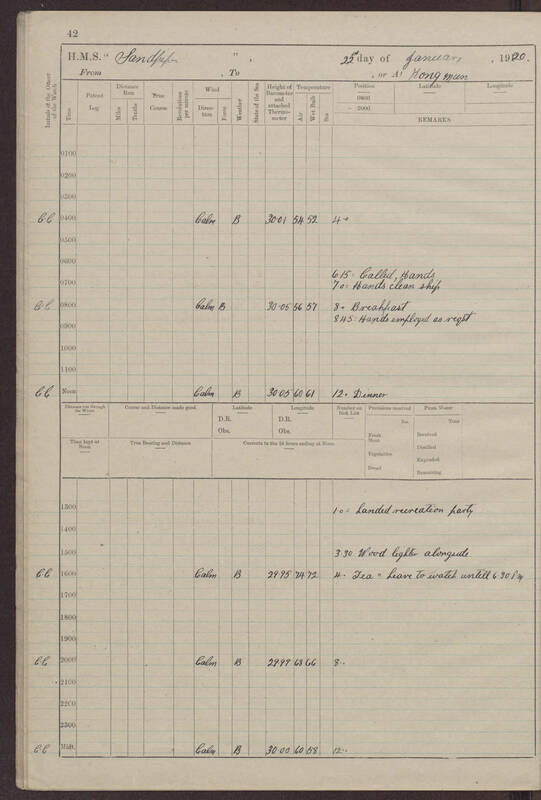 Other: Ship dragging anchor. 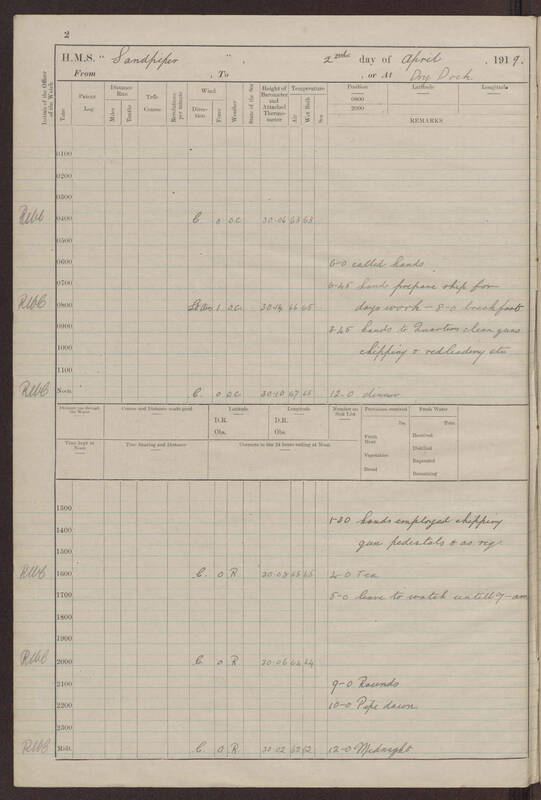 Let go port anchor. Weighed stern anchor. 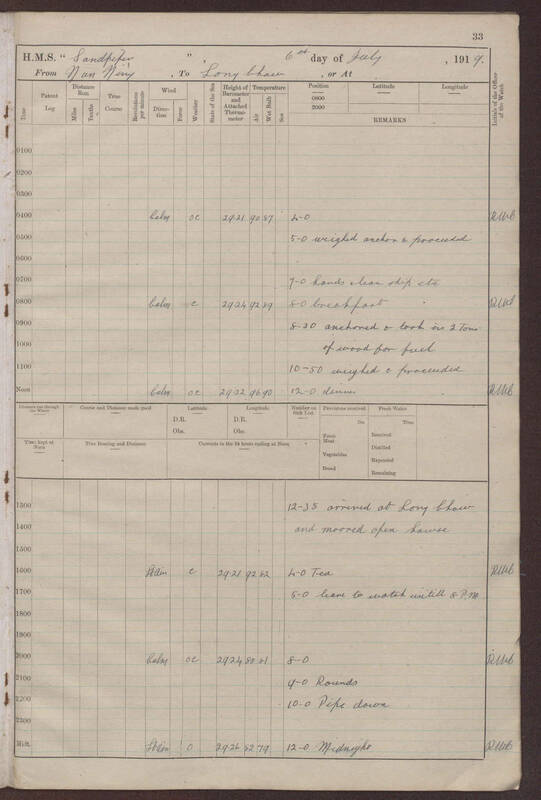 Weighed port anchor. 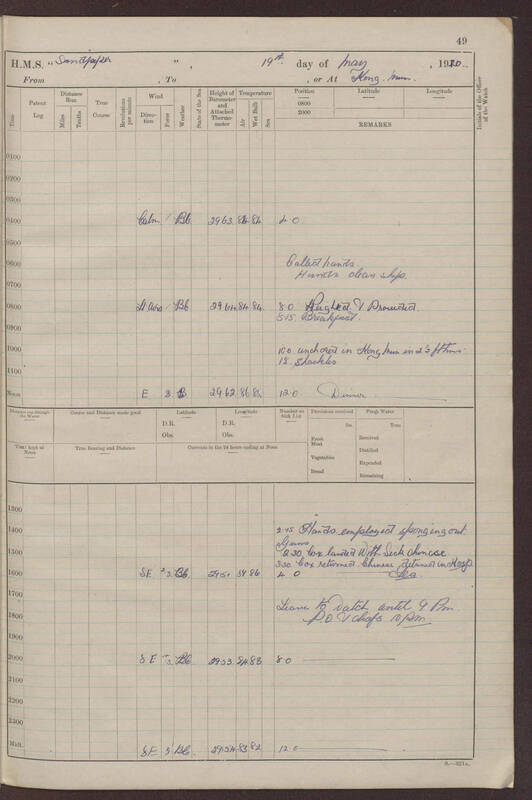 Shifted birth ahead of Robin. 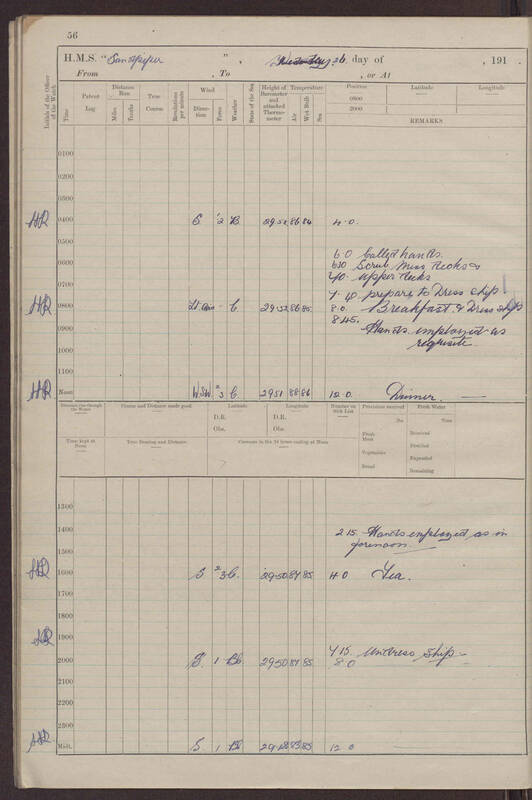 Other: 10.30 Junk No 508 came in collision. 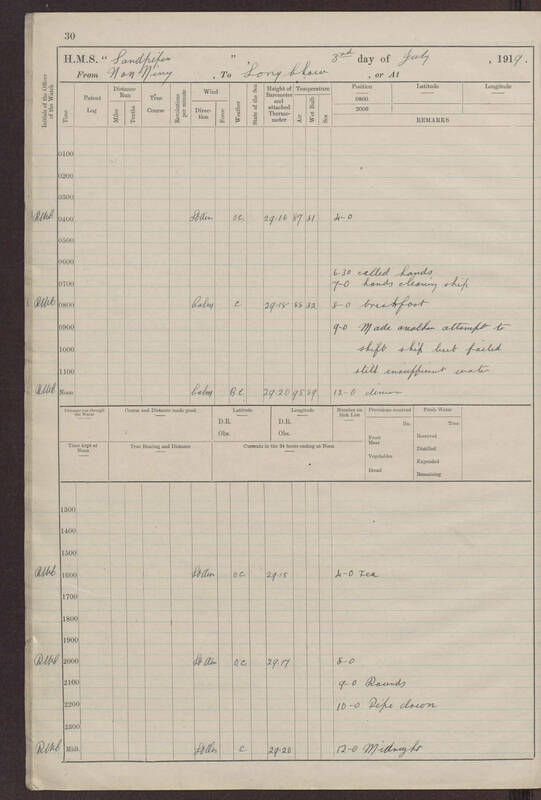 Person: Left ship: One AB discharged to Tanan, and ? 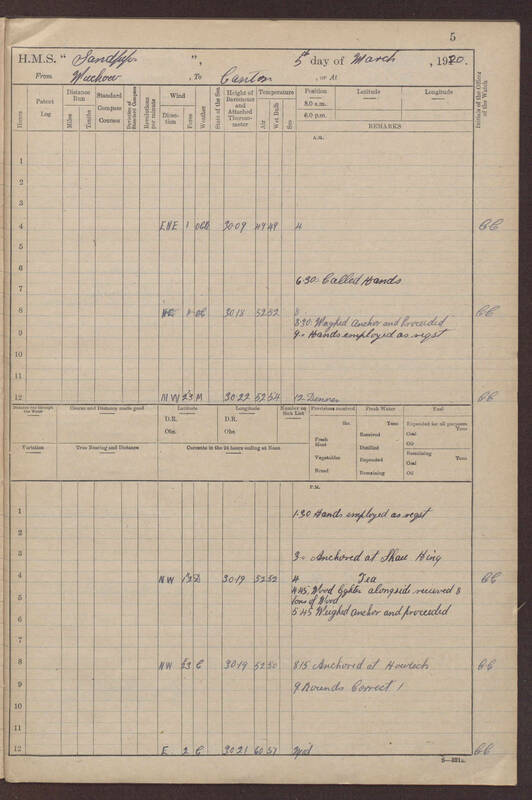 by one AB. 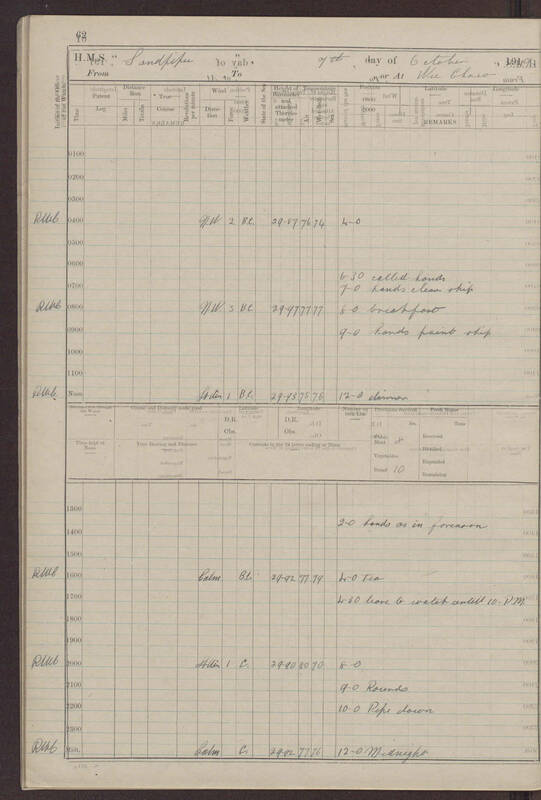 Other: ""Lit Up" The boilers I believe. 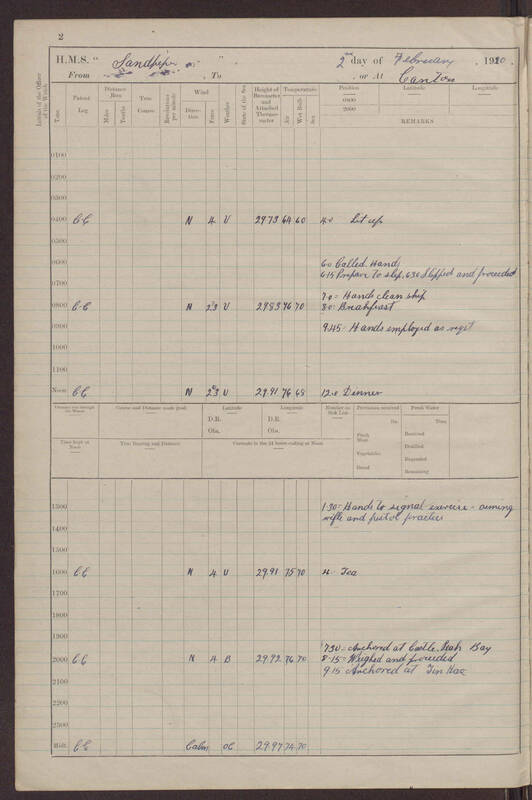 Other: At 0630 "Slipped and proceeded" Ship is under way. 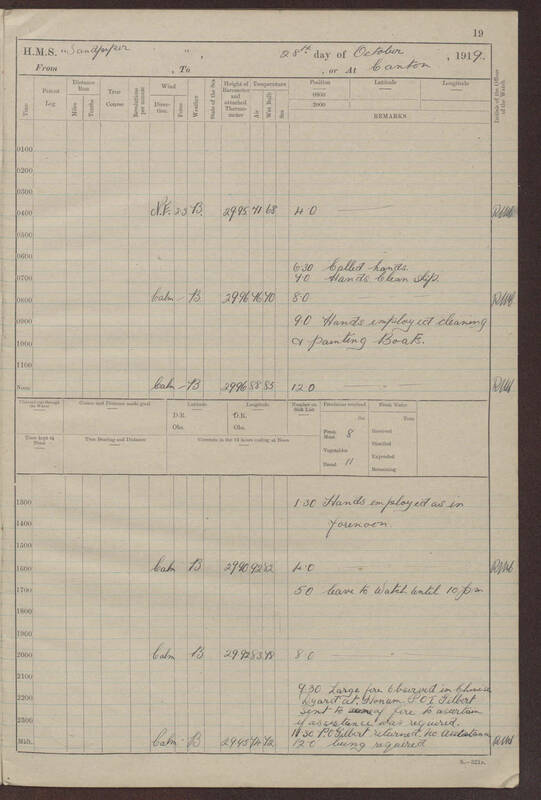 Other: at 2015 "weighed and proceeded"
Other: Cois (sp) Broom lost overboard by accident. 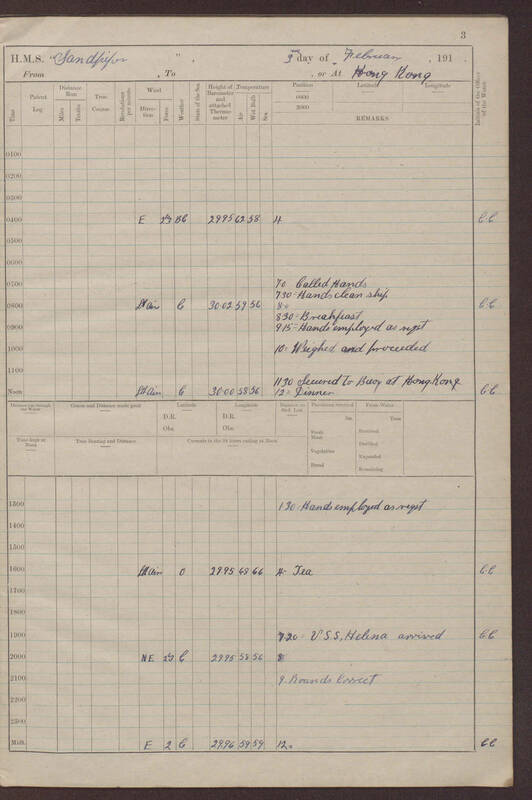 Other: Sick chinese taken ashore by Cox. 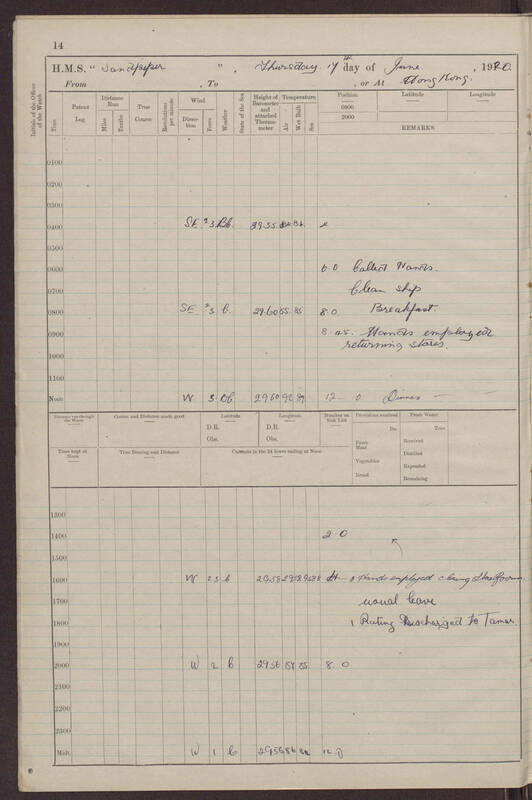 he returned chinese detained in Hosp. 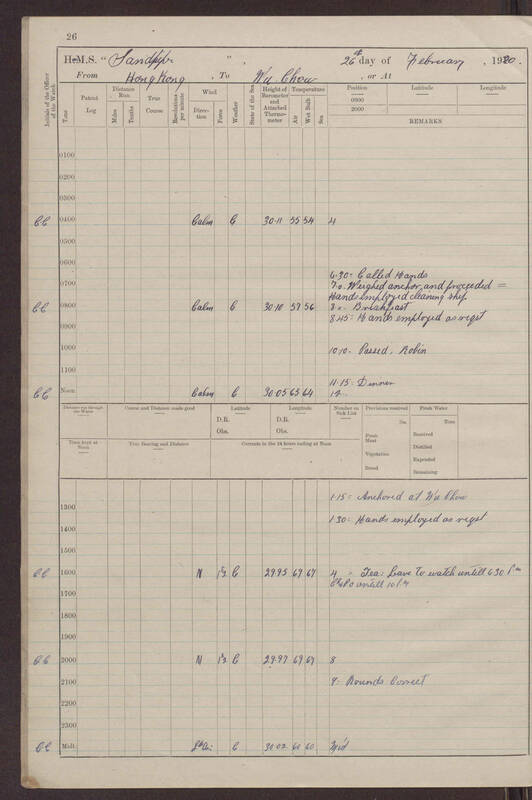 Other: C. in C. by signal. 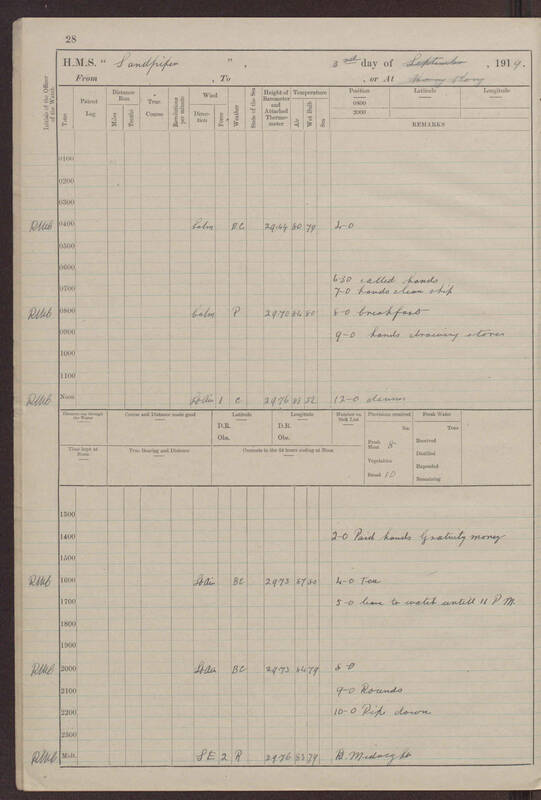 Other: No afternoon, evening wind direction, speed, sea levels, or temperatures recorded recorded Other: HMS Sandpiper paid off. 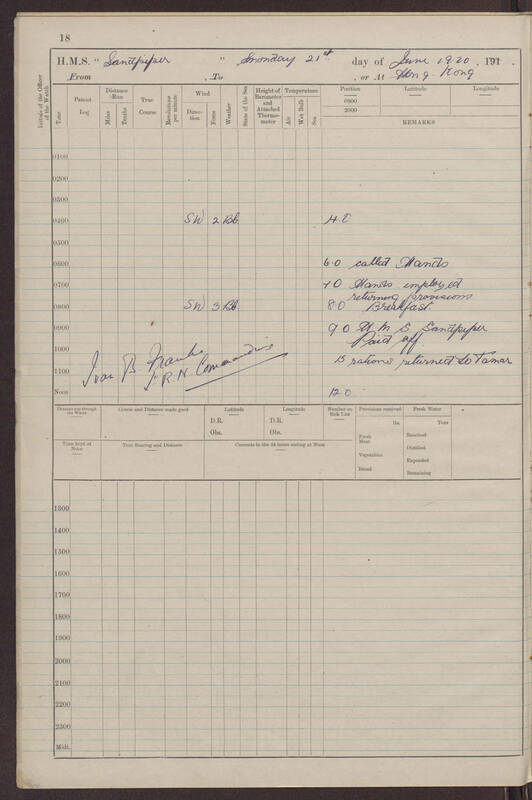 Person: Other: Ivan B. Franks: signed off log as the Sandpiper has been sold.